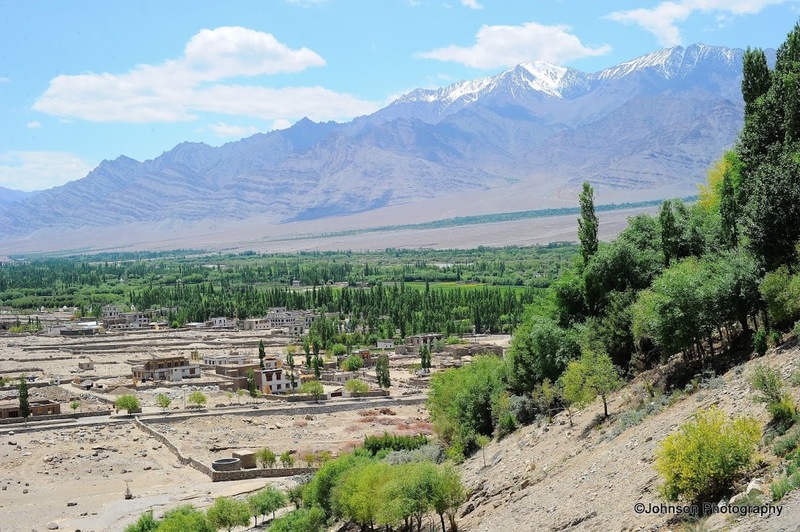 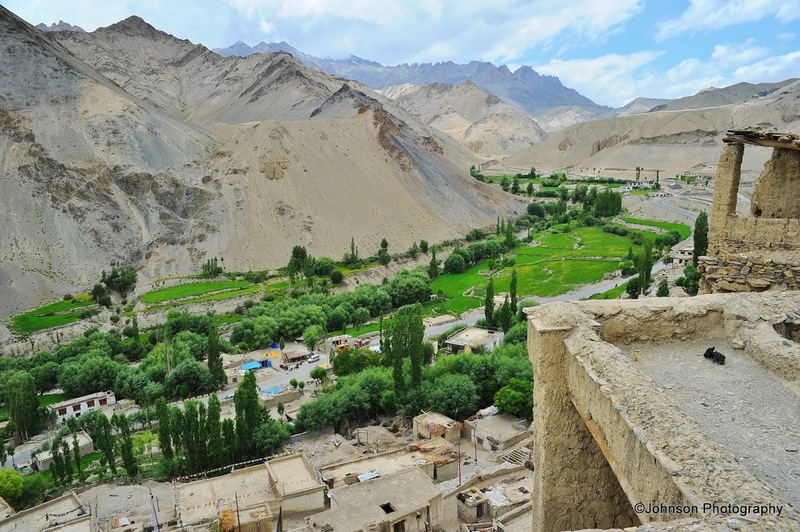 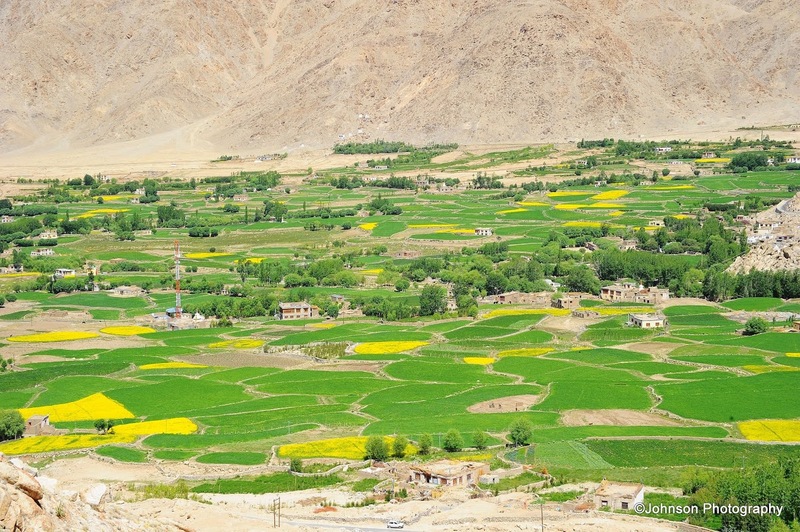 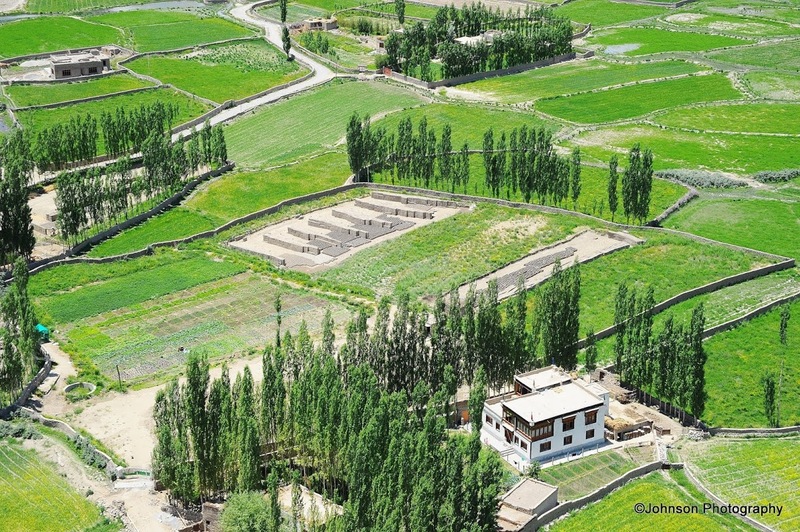 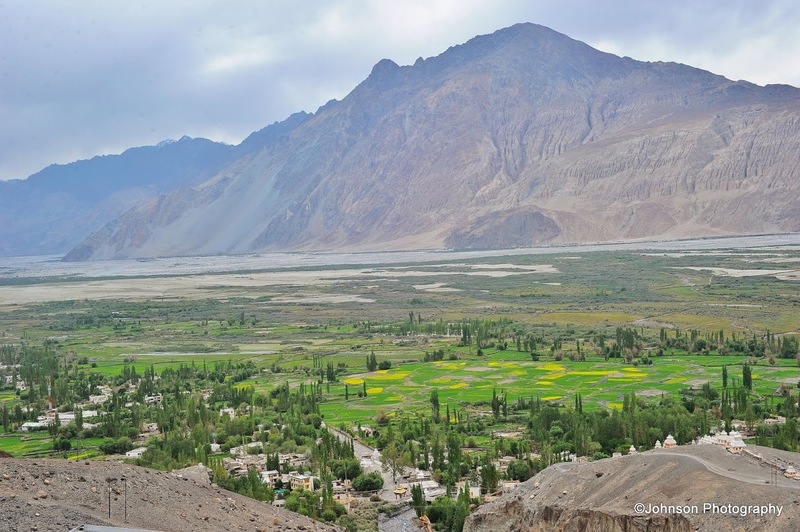 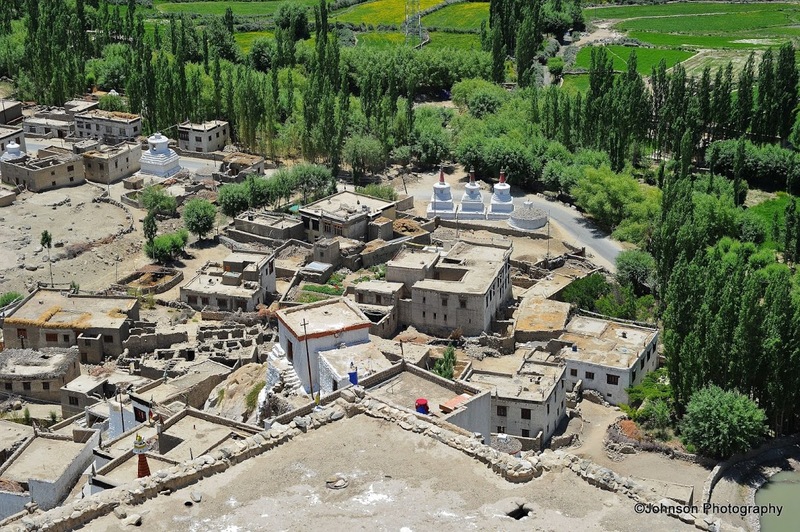 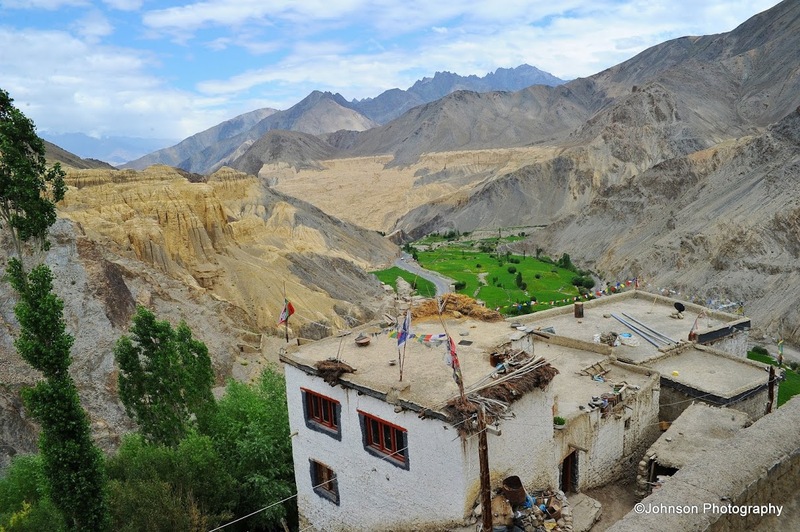 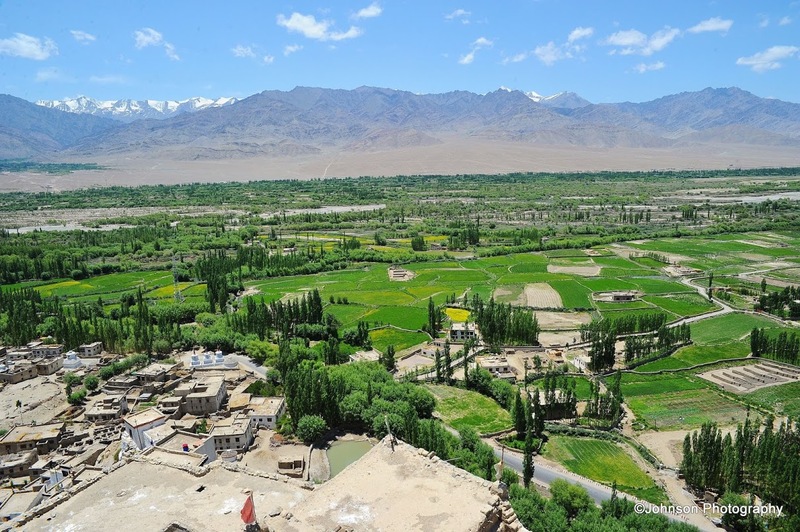 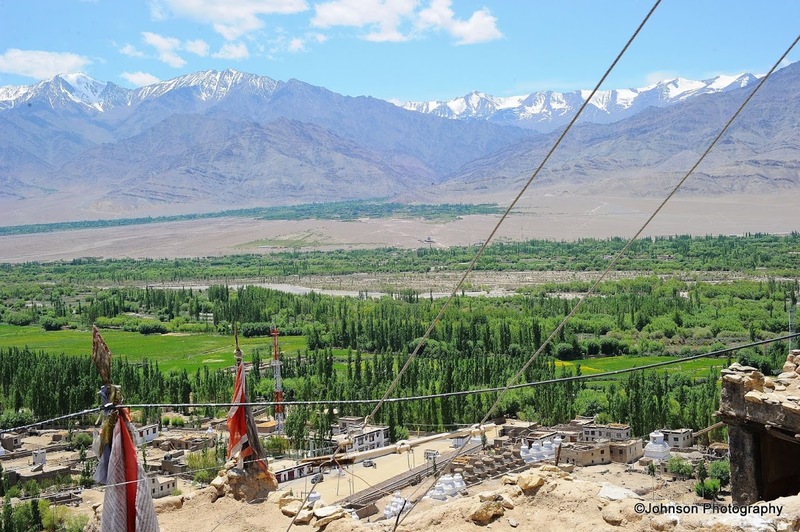 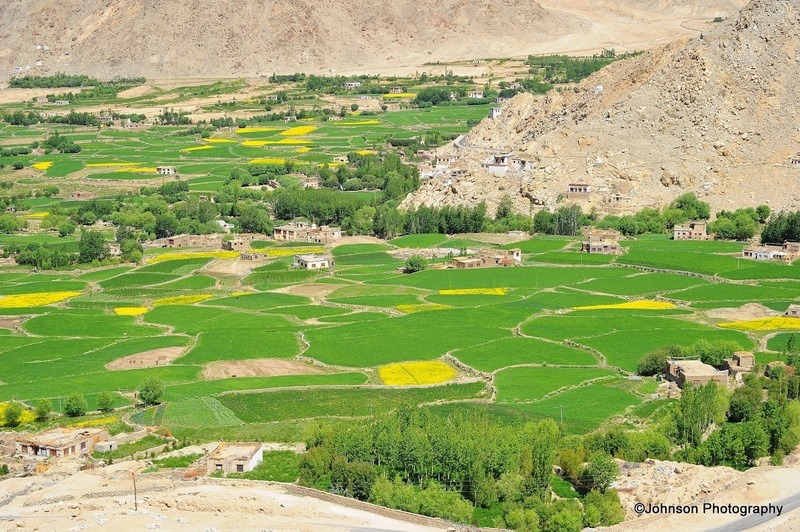 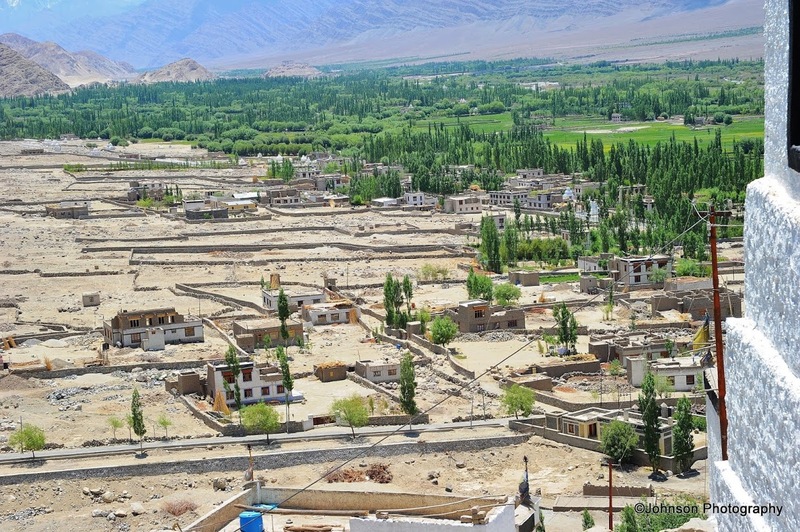 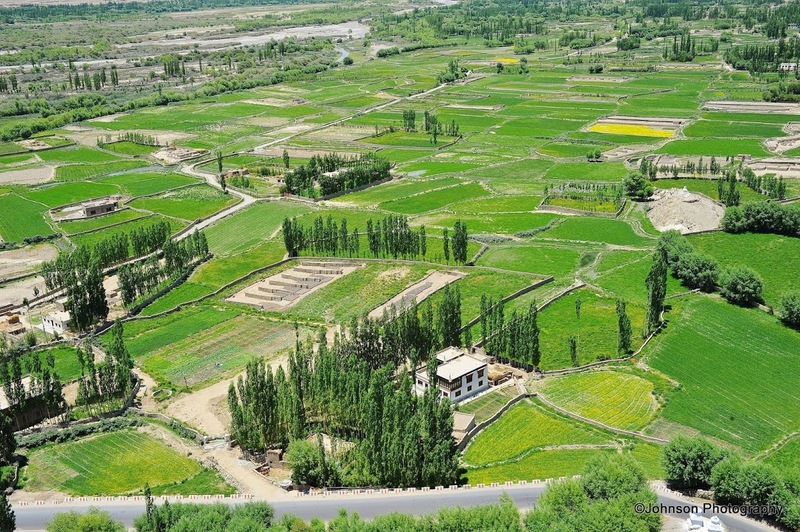 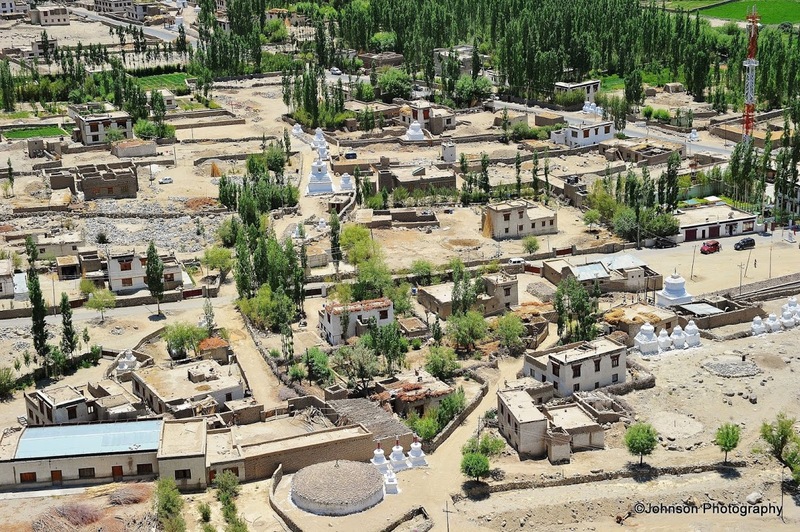 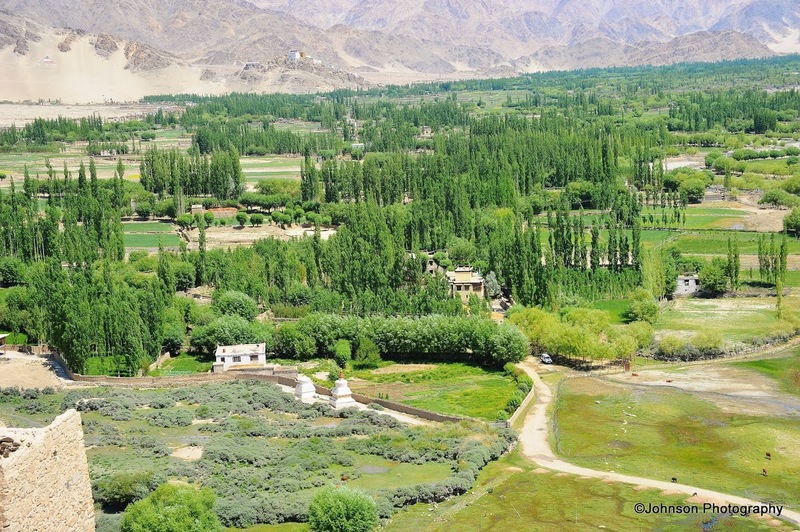 This scenic village is about 67 km from Lamayuru, on the way to Srinagar on the Leh-Srinagar highway. 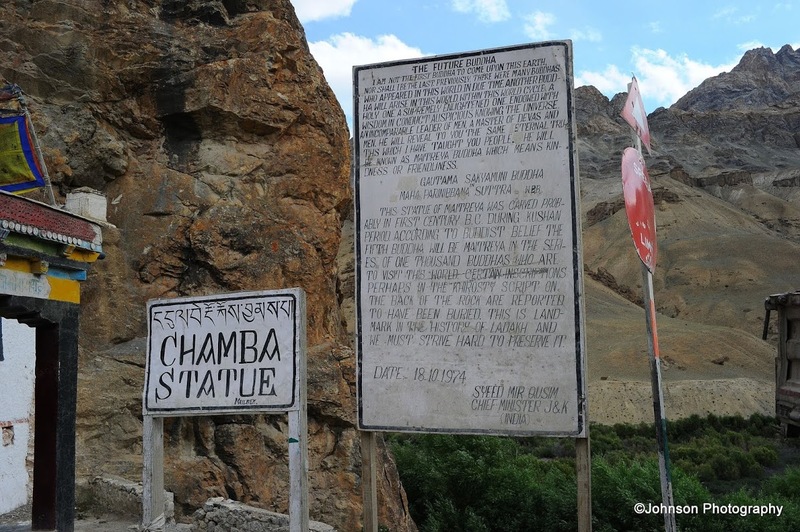 Just around the town is the famous Chamba Statue, a striking enormous figure carved into the rock on the left side of the road. 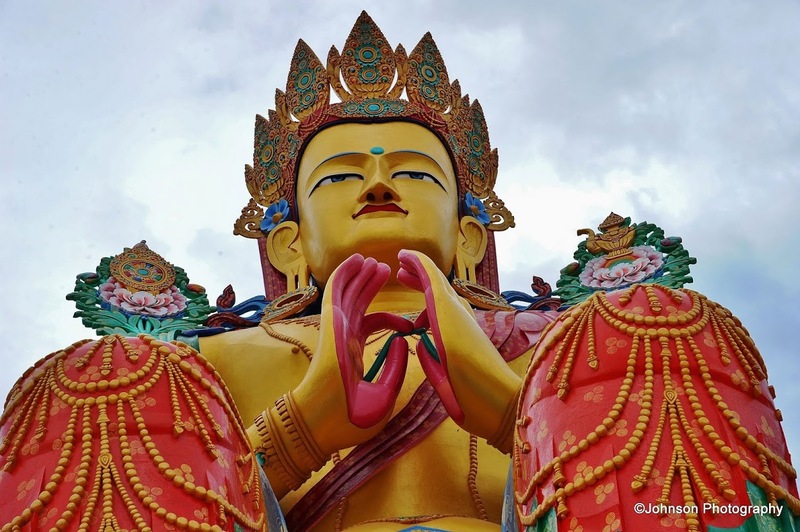 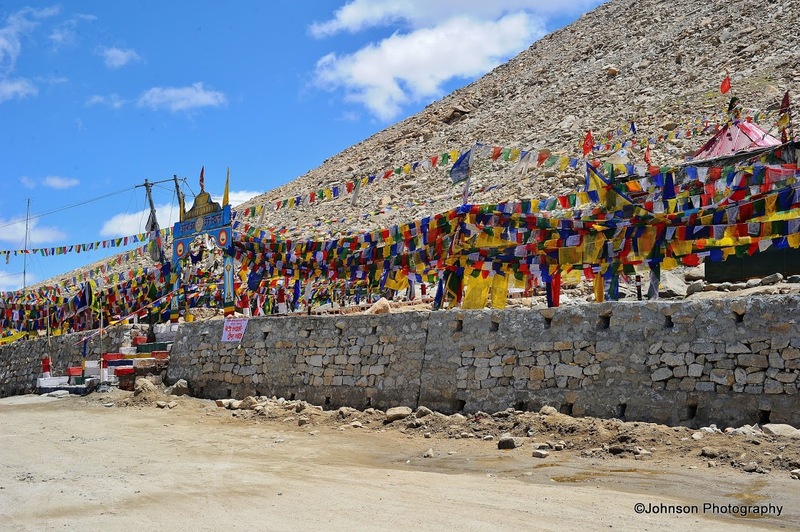 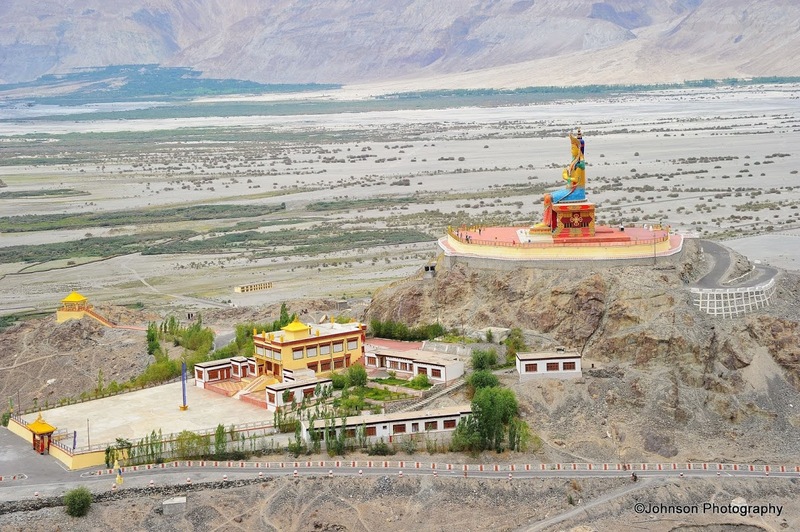 It pictures a standing Maitreya Buddha (Future Buddha) overlooking the old trade route and modern highway. 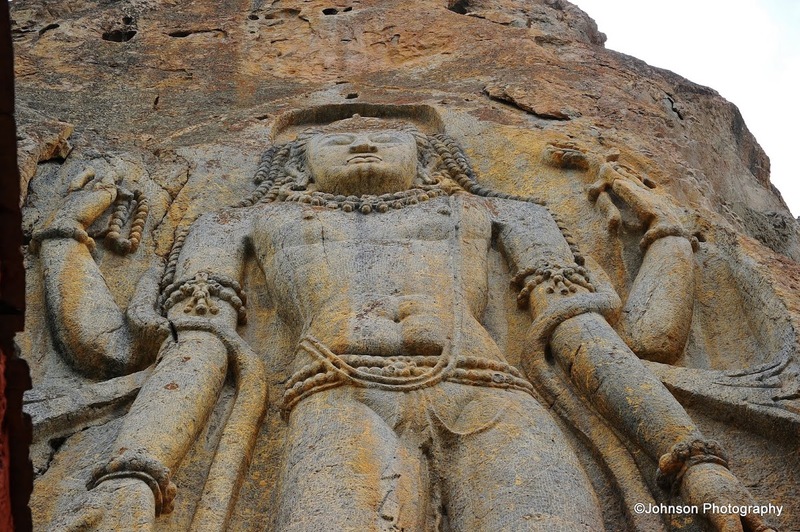 This nine meter high statue is believed to be from the Kushan period in the first century AD. 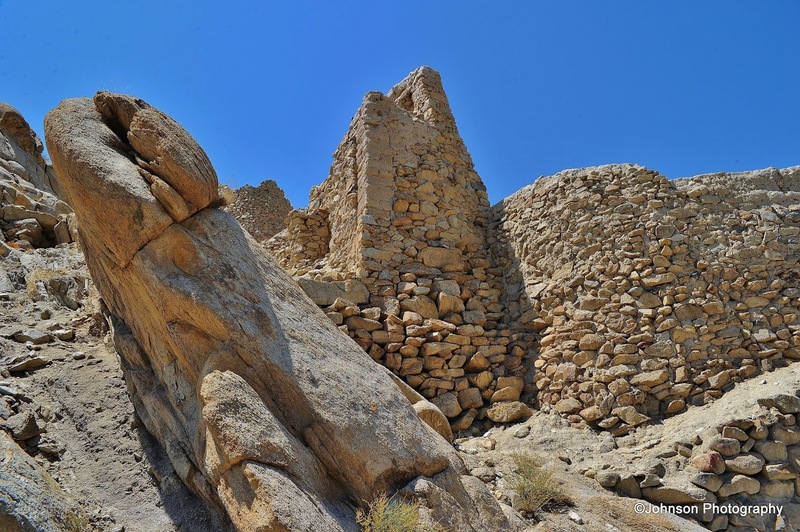 Modern scholars date it as being from around the eighth century AD. 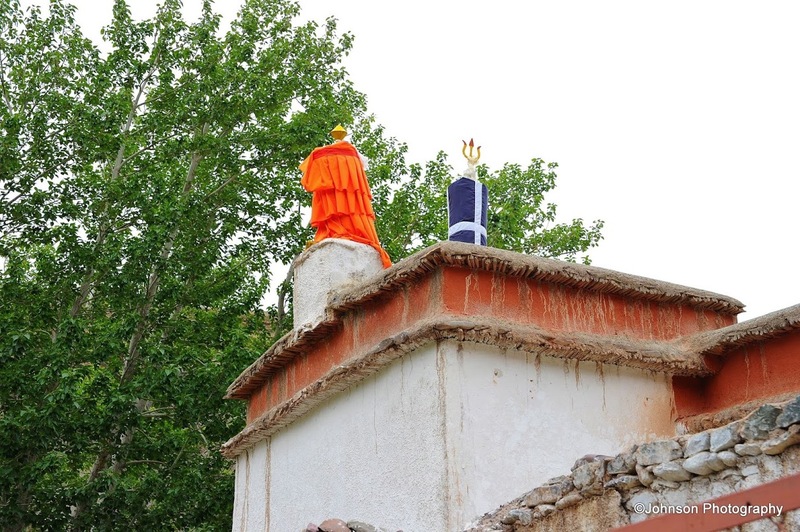 The lower part of the statue is partly obscured by a small temple built in 1975. 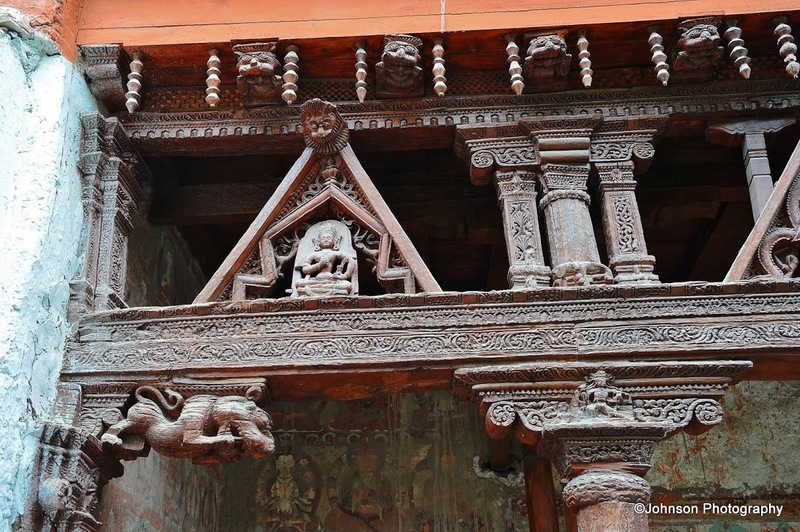 But if you could go behind the temple, can get the full view of this gigantic carving. 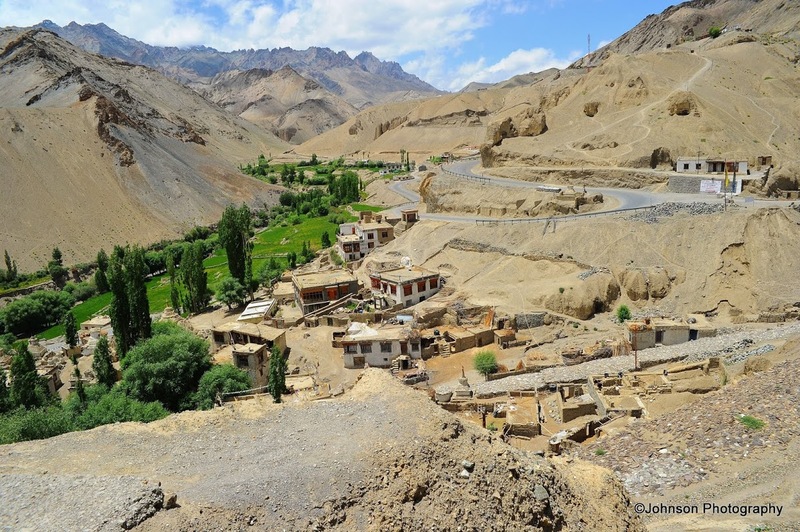 Kargil is the second largest town in Ladakh after Leh. 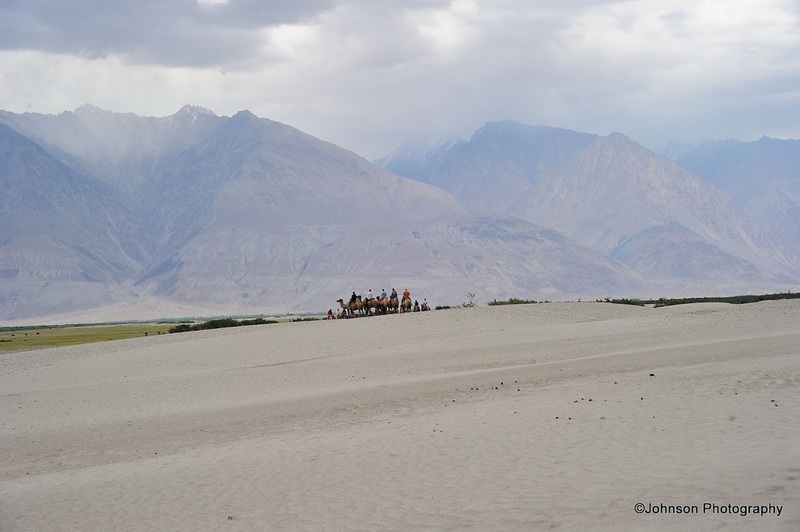 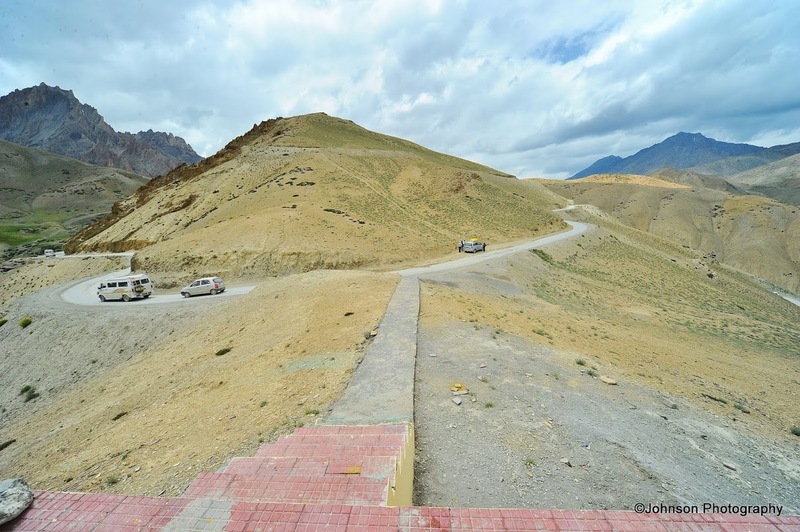 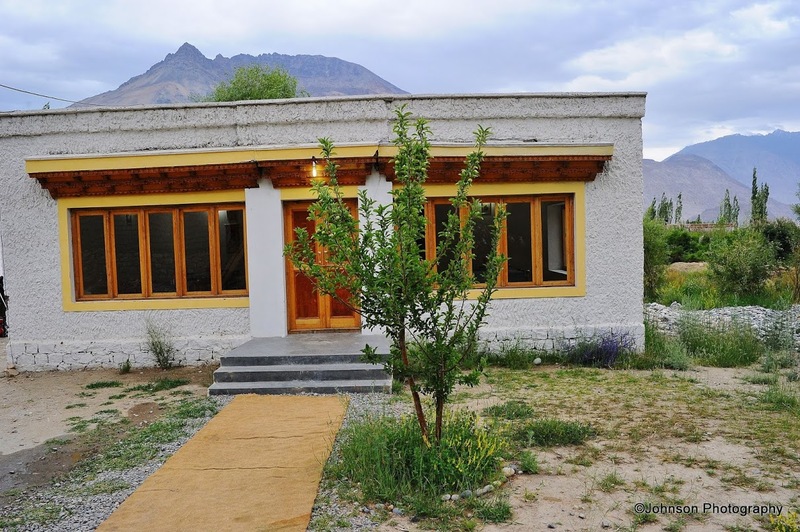 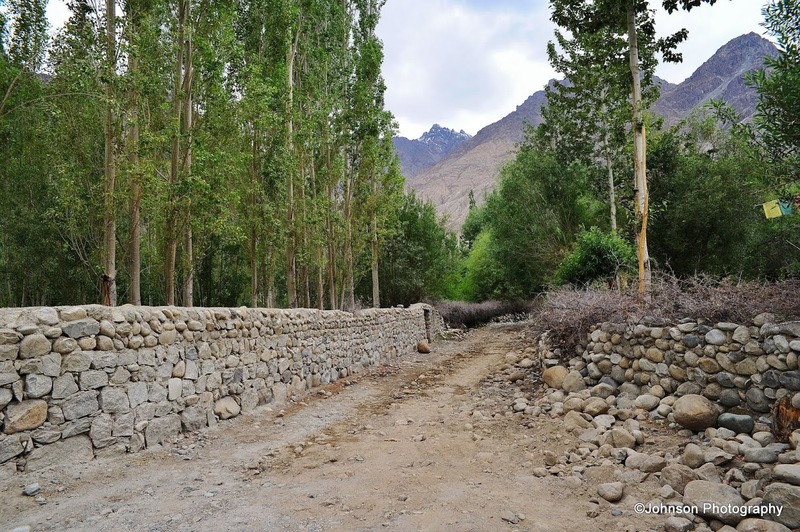 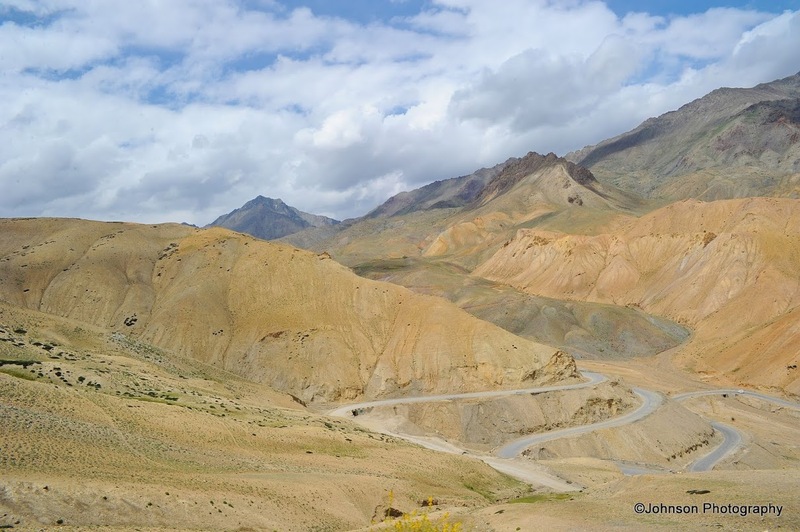 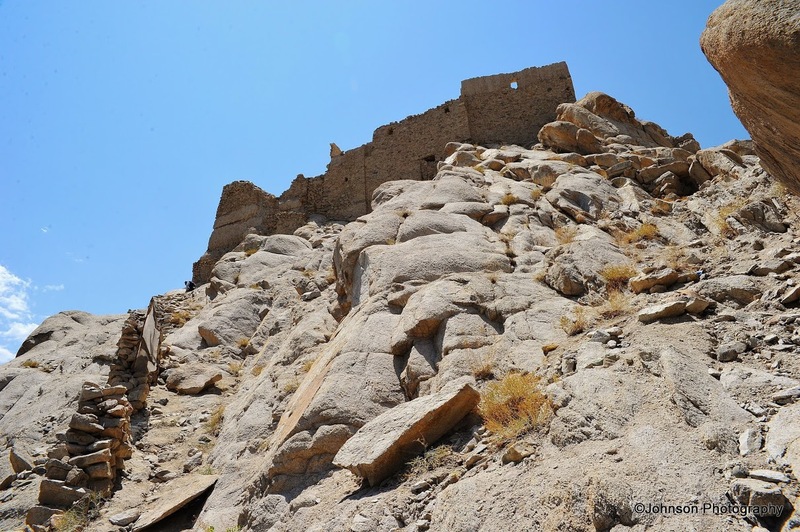 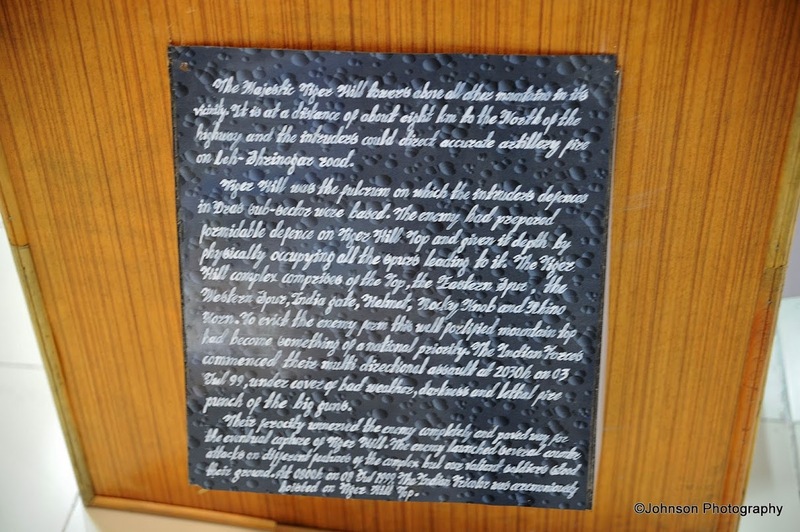 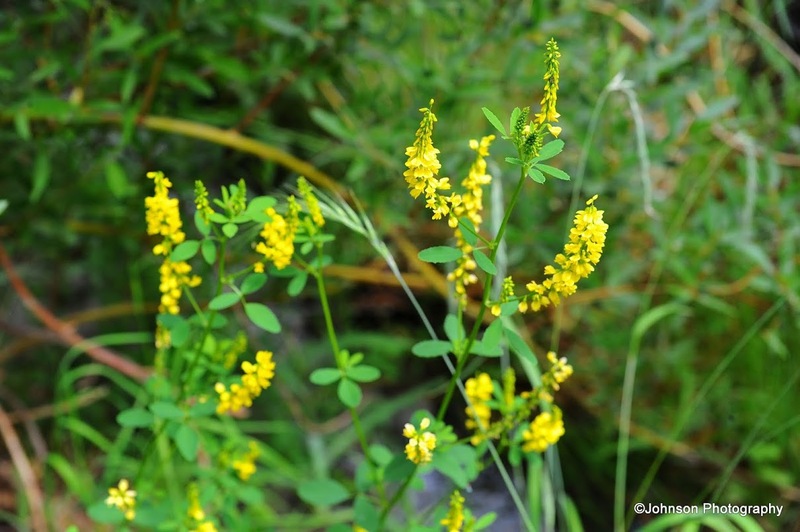 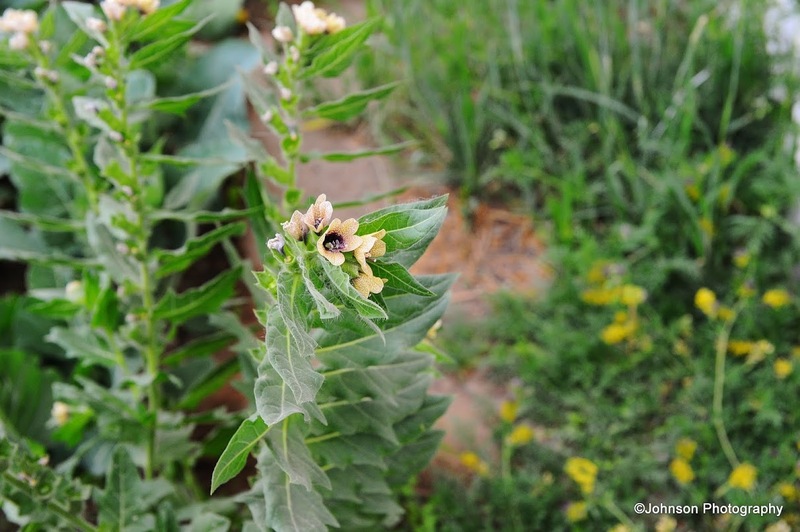 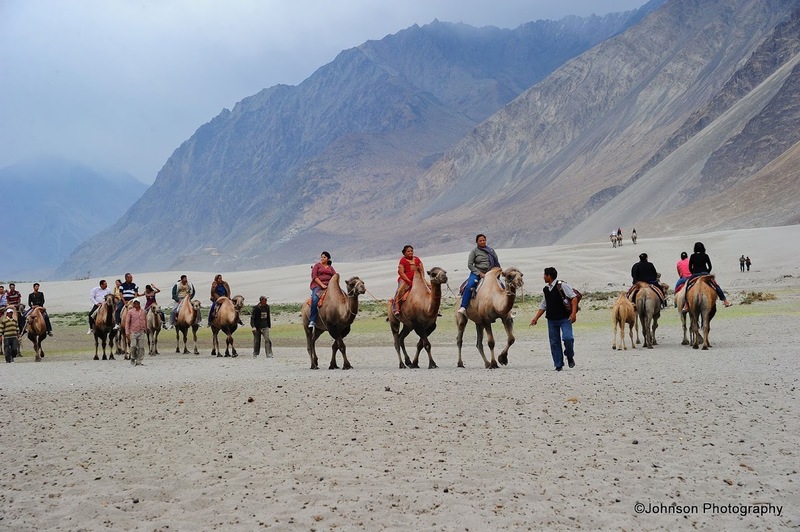 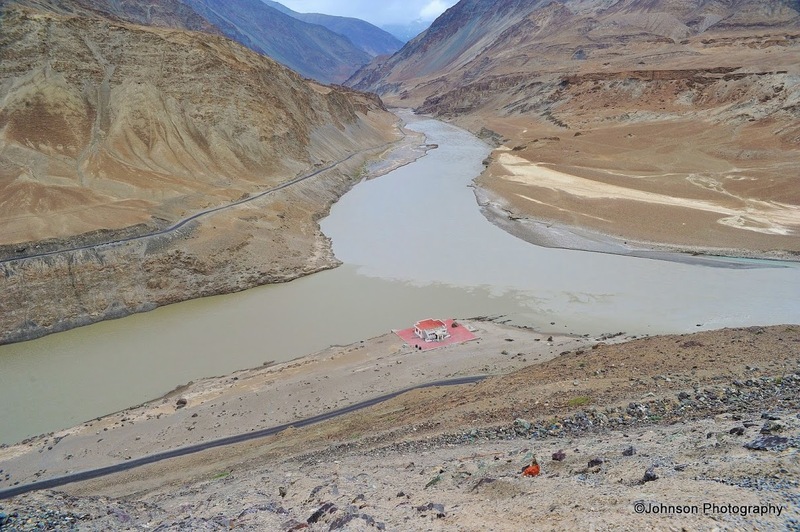 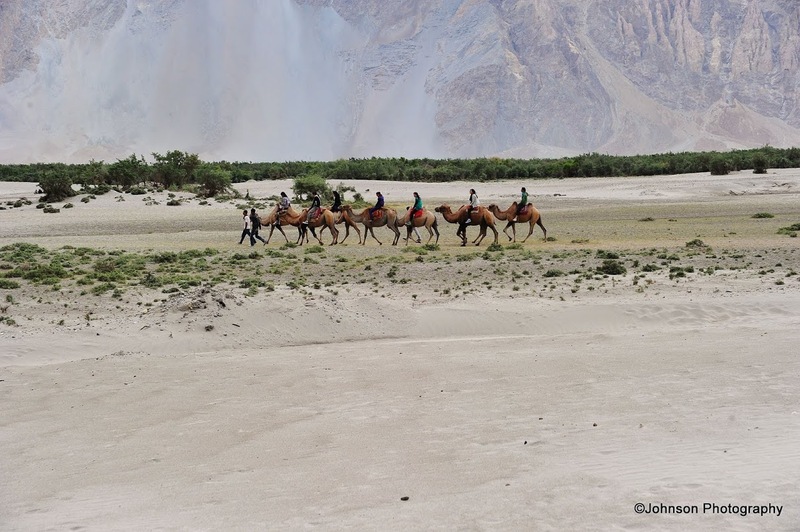 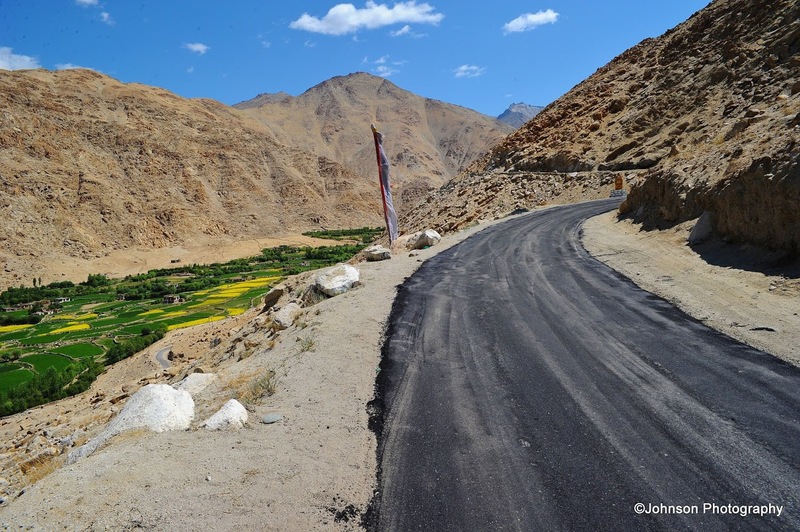 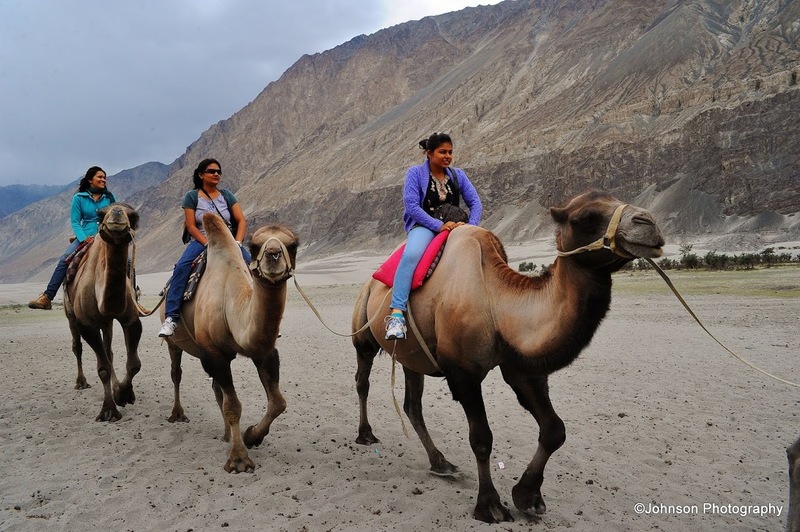 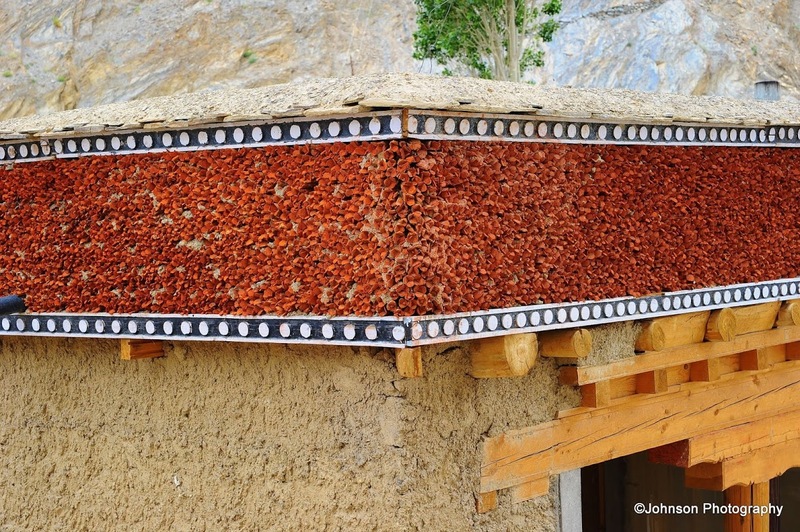 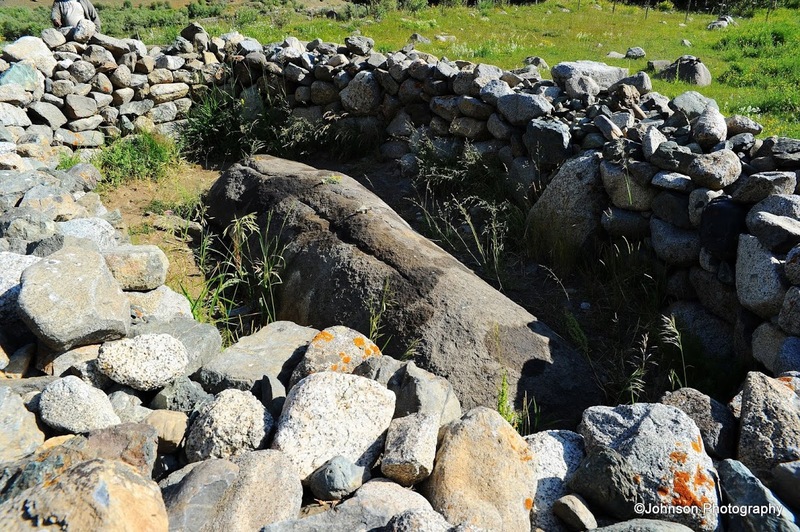 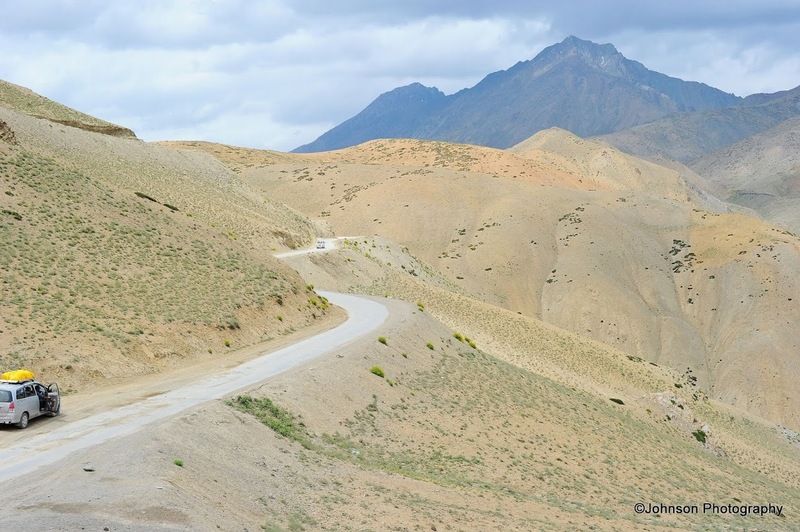 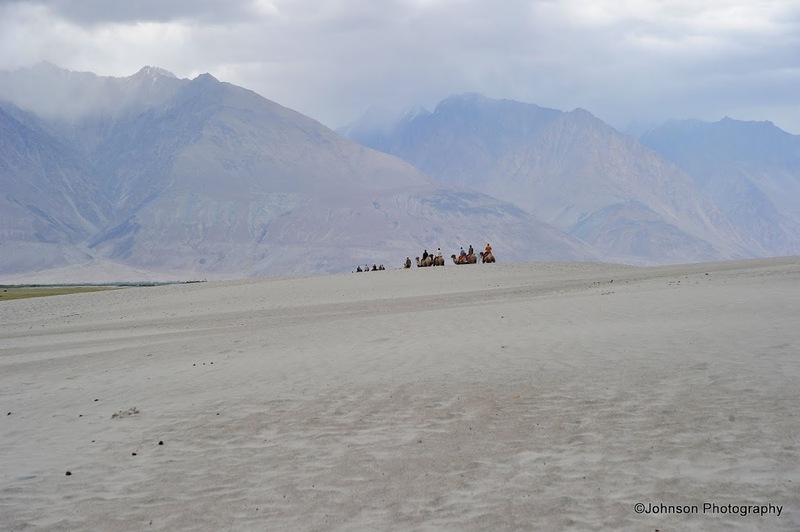 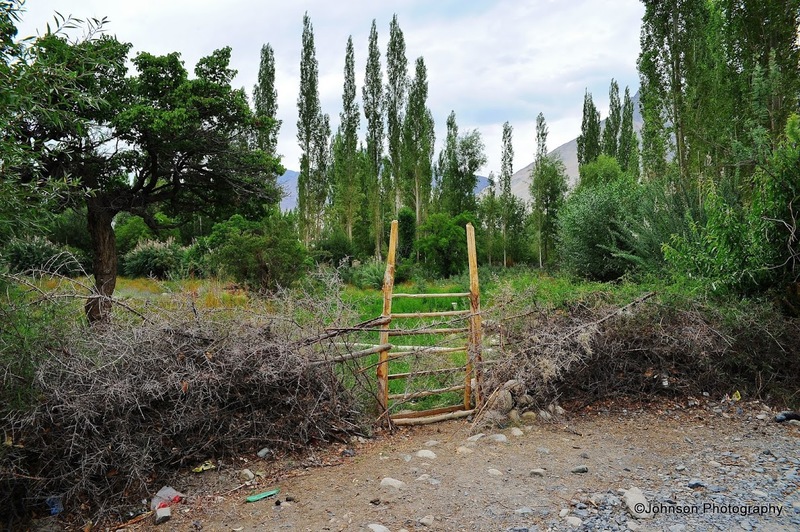 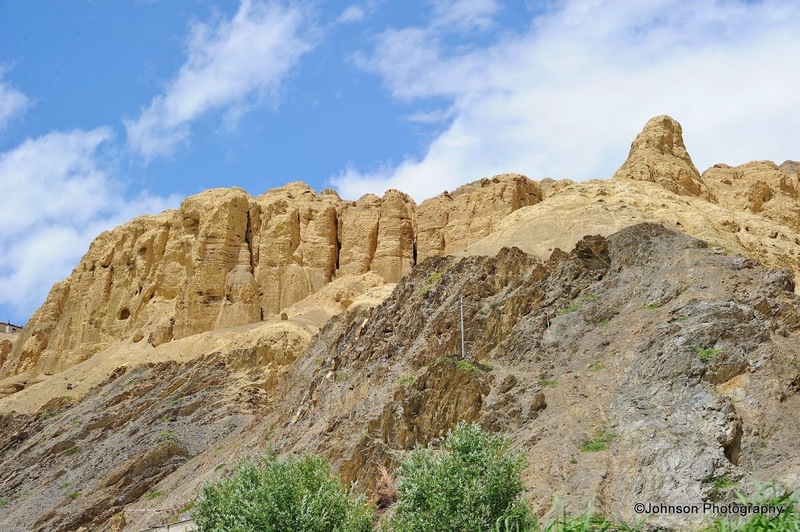 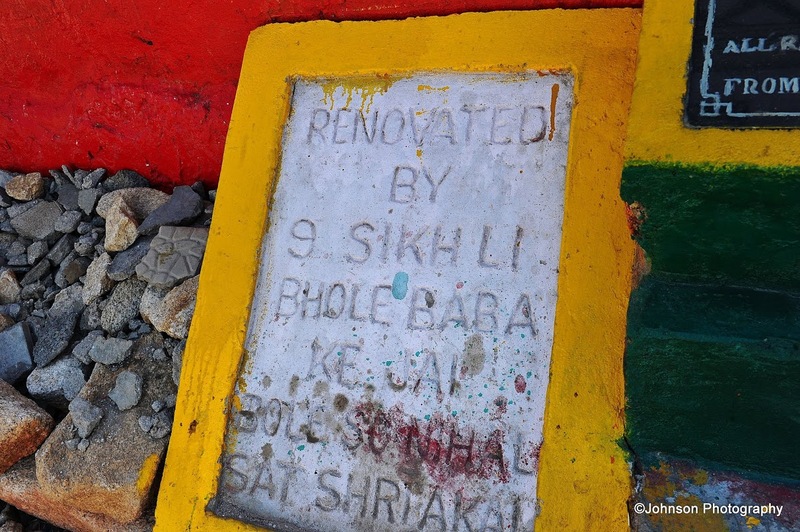 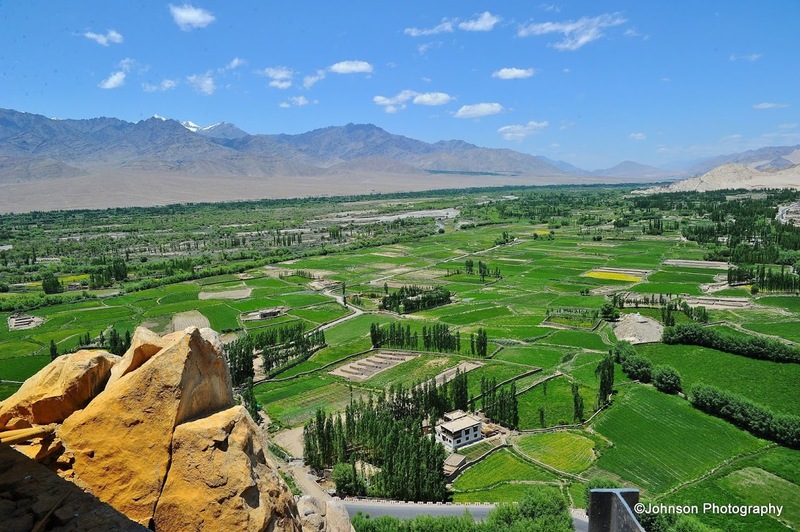 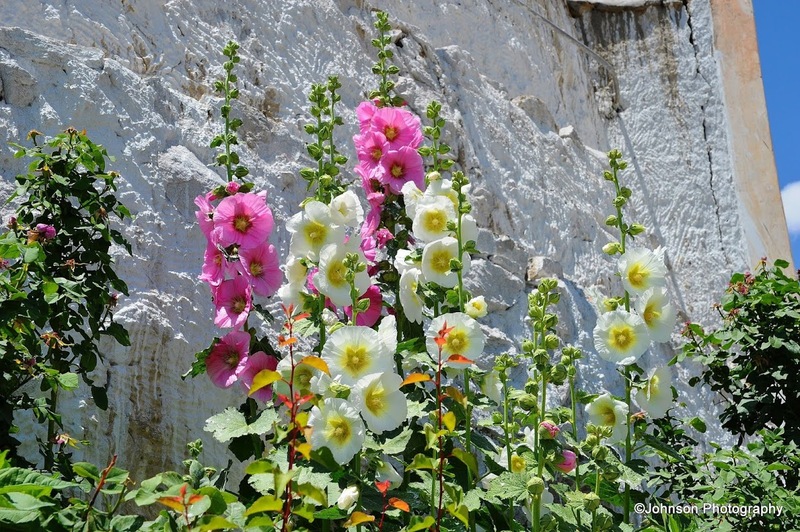 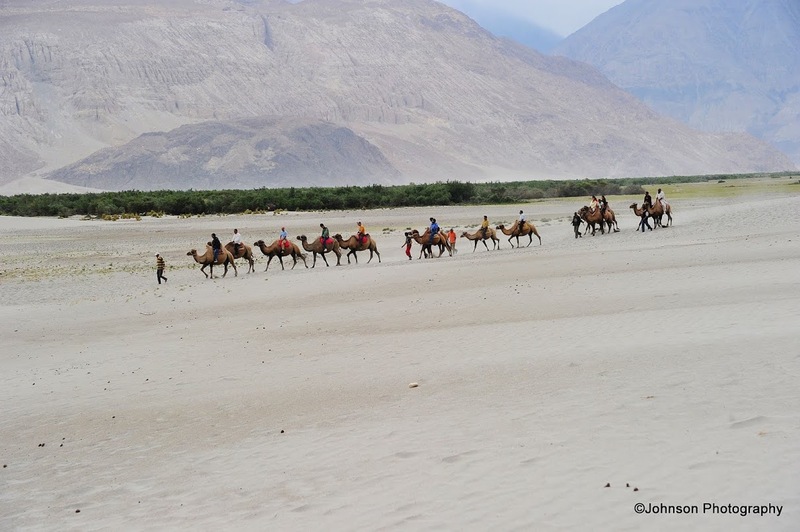 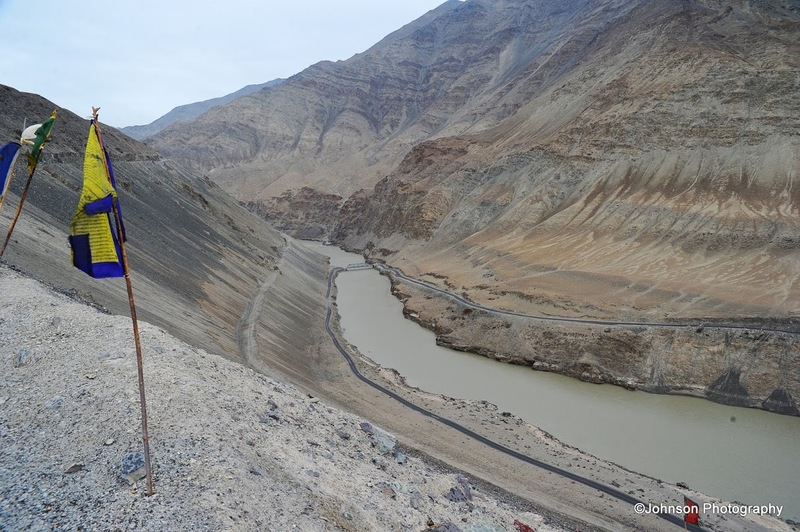 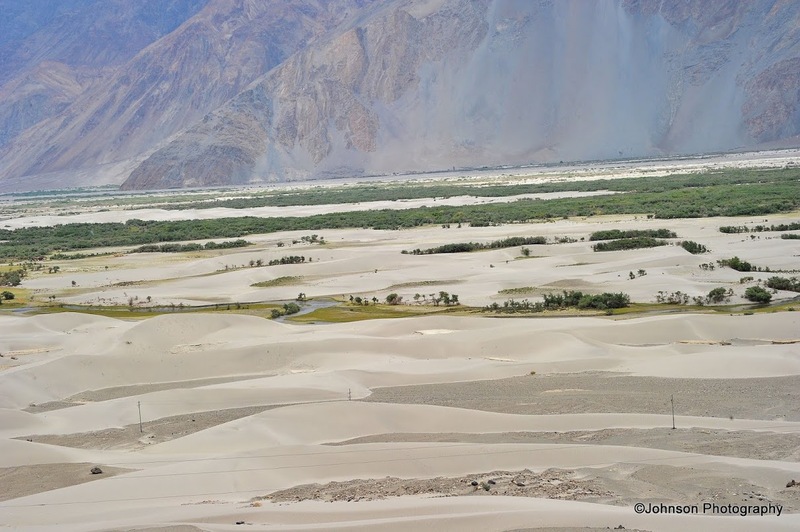 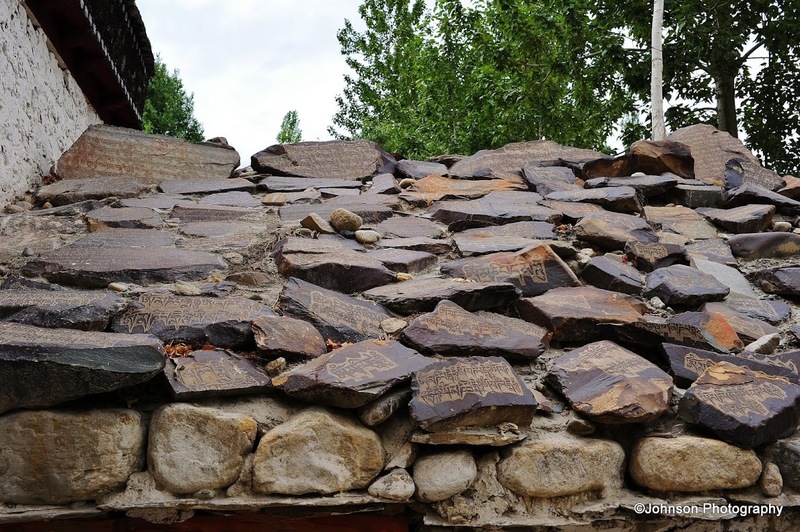 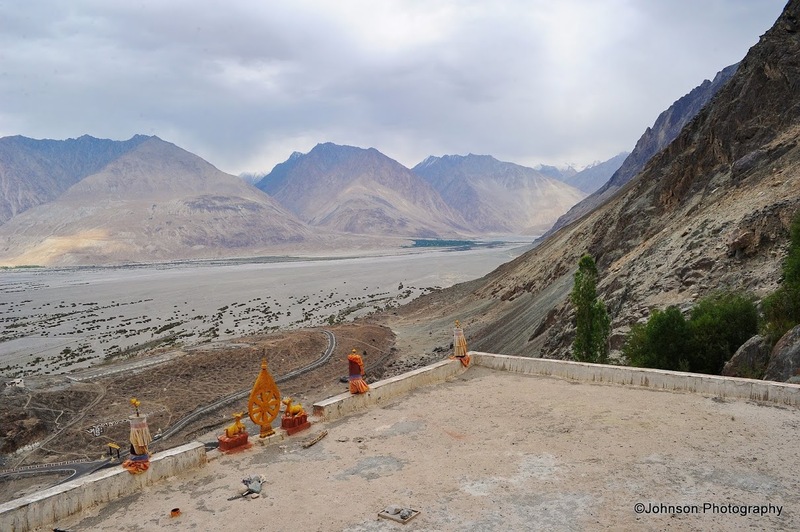 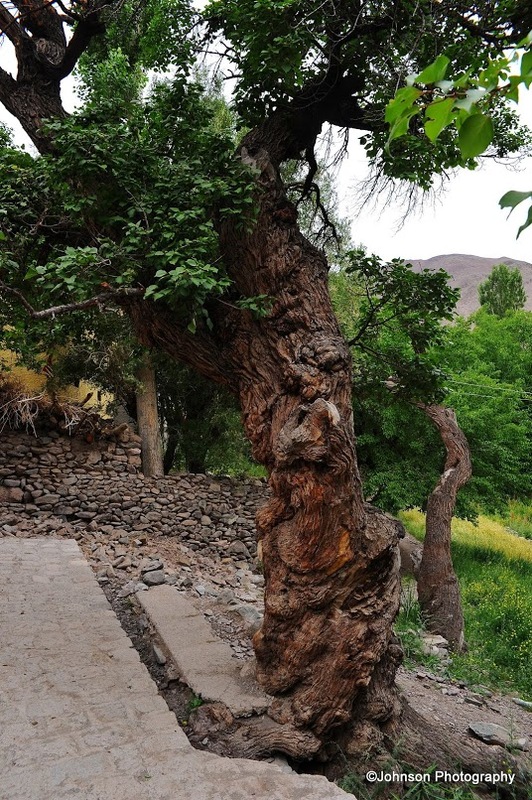 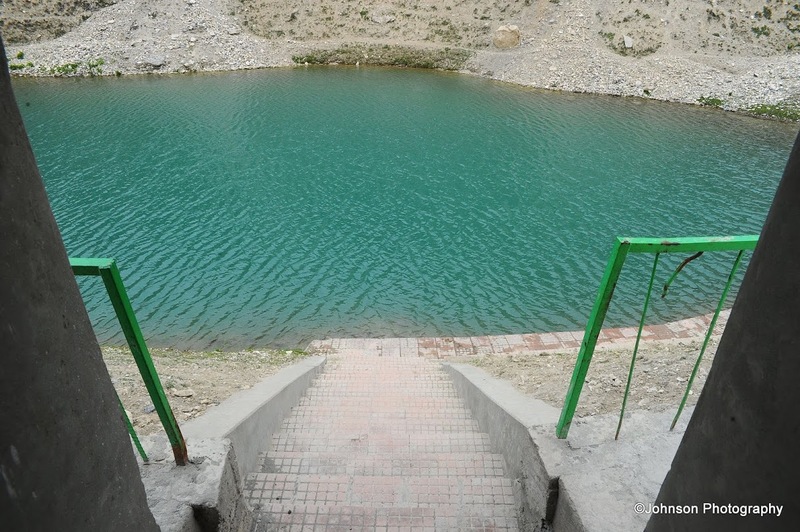 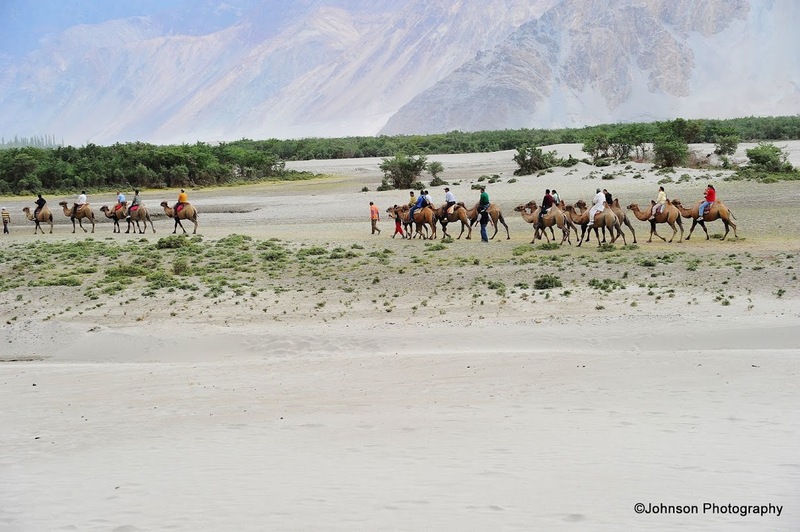 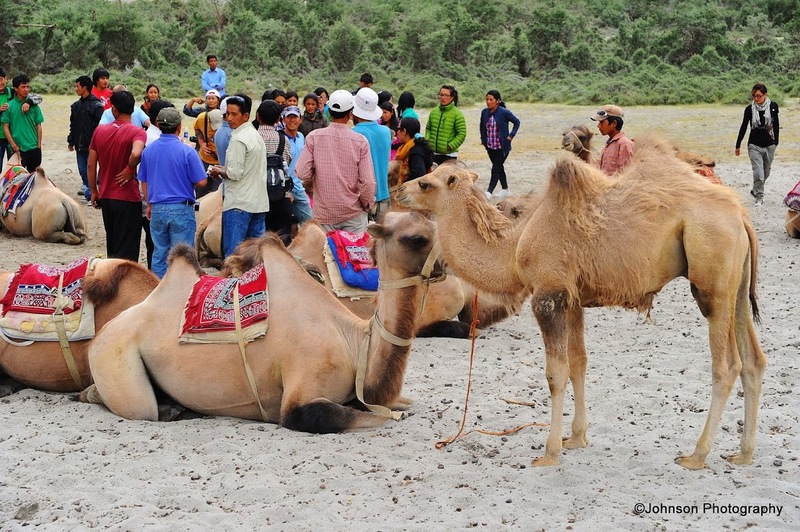 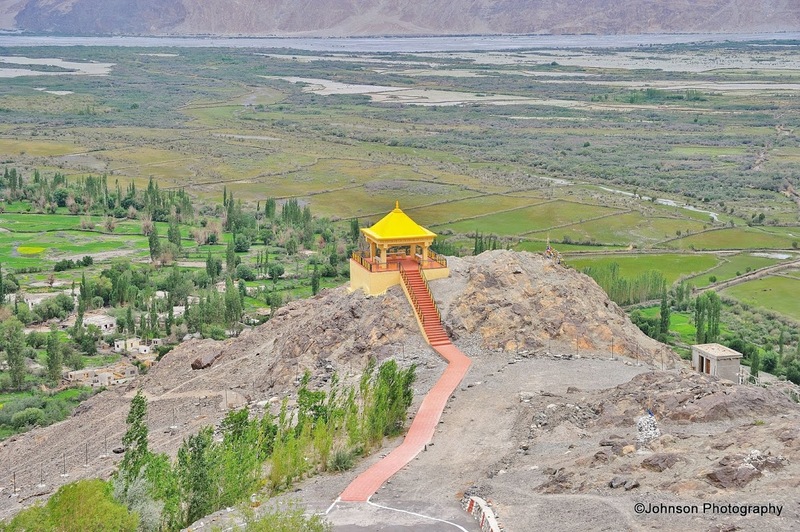 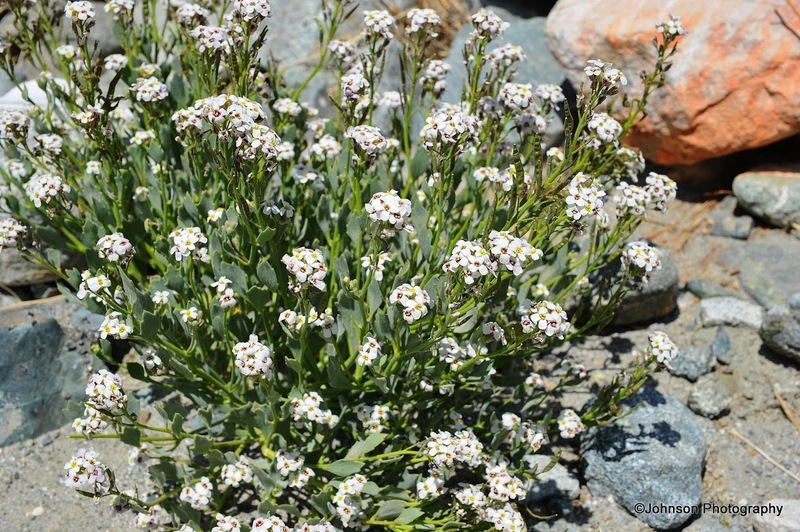 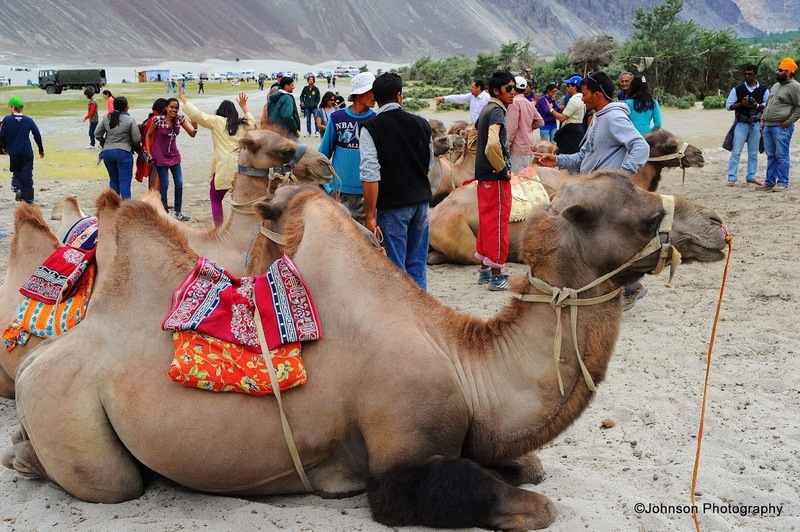 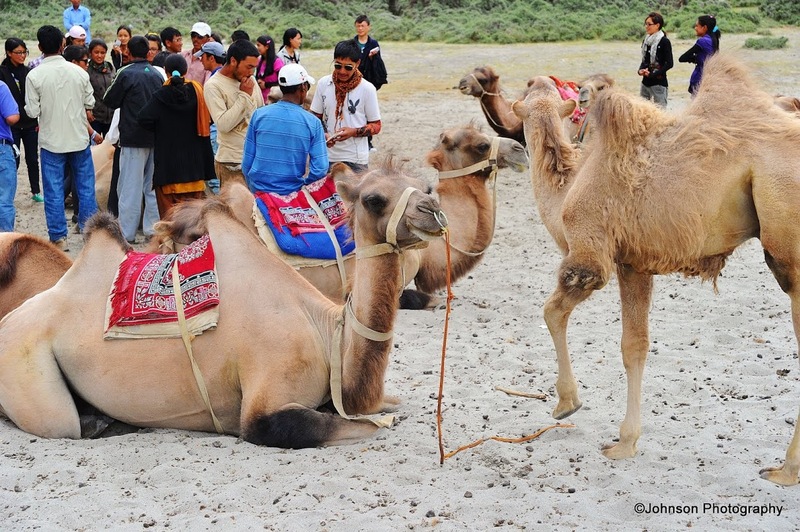 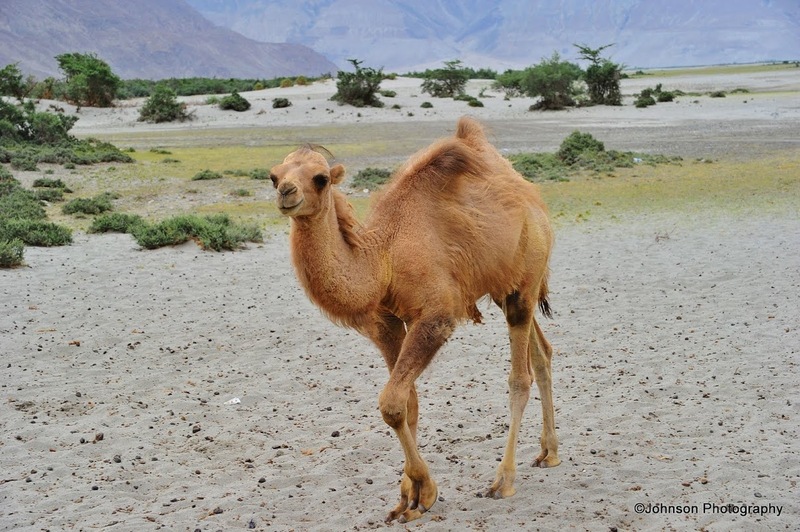 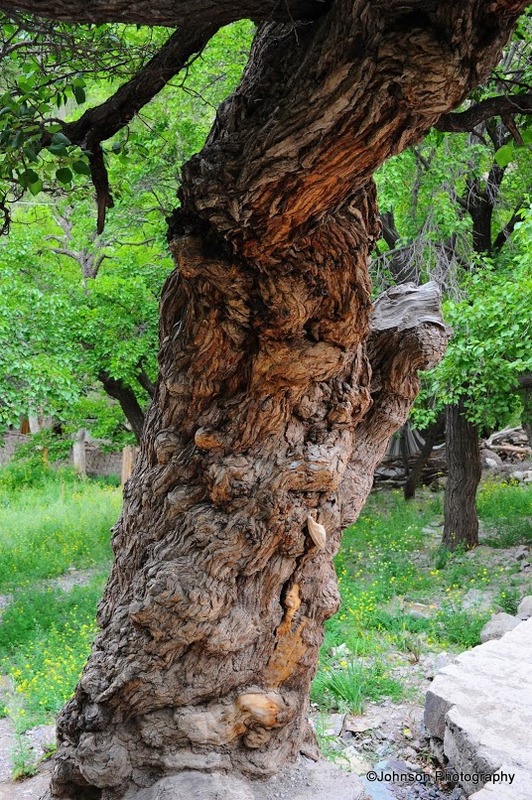 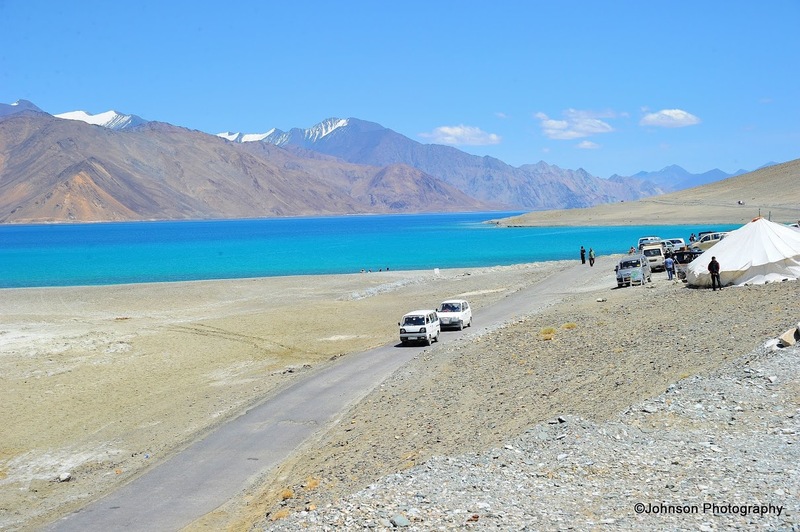 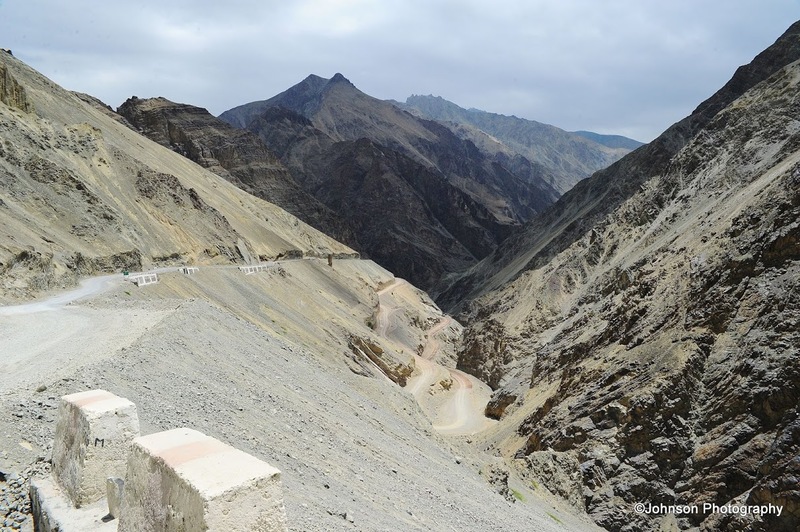 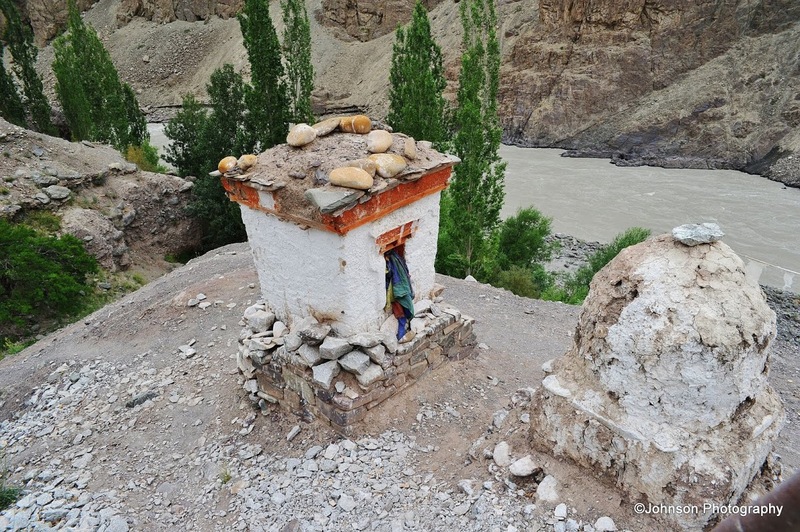 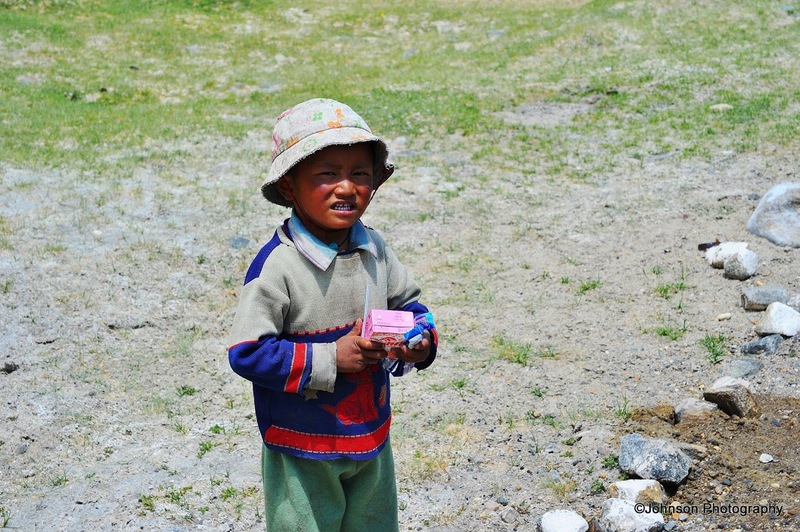 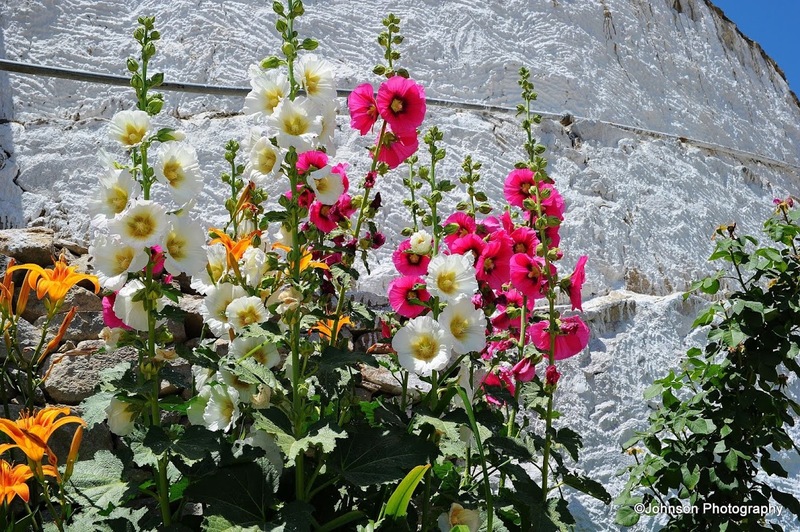 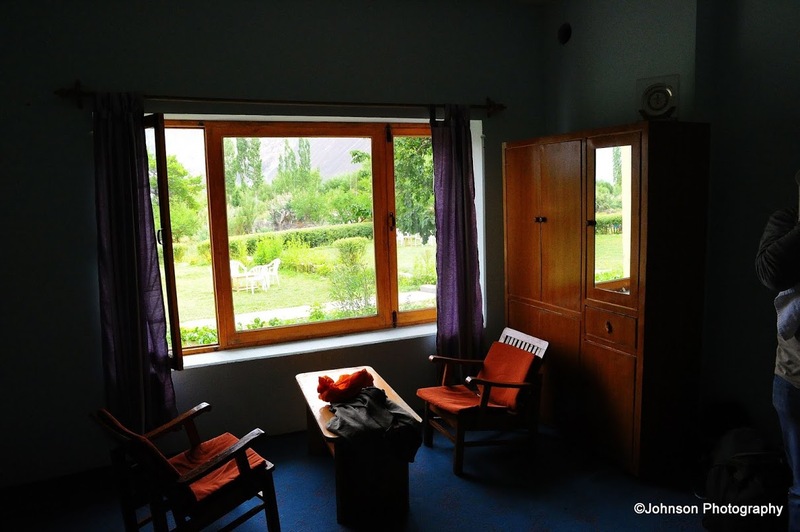 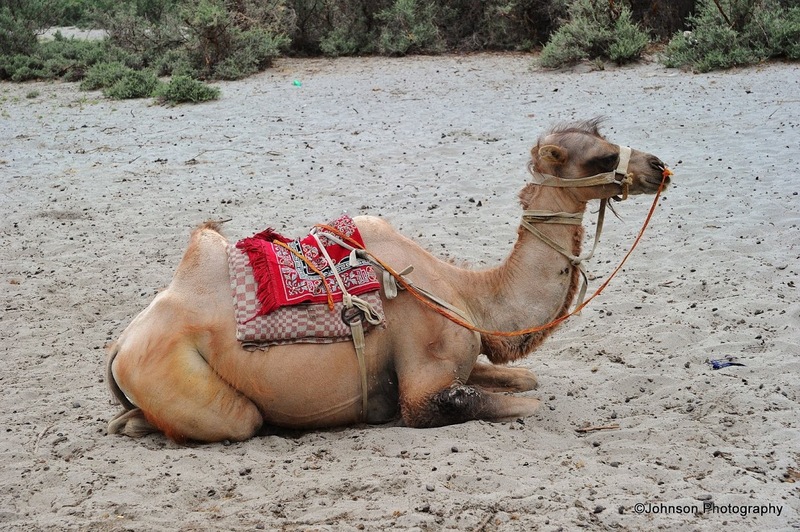 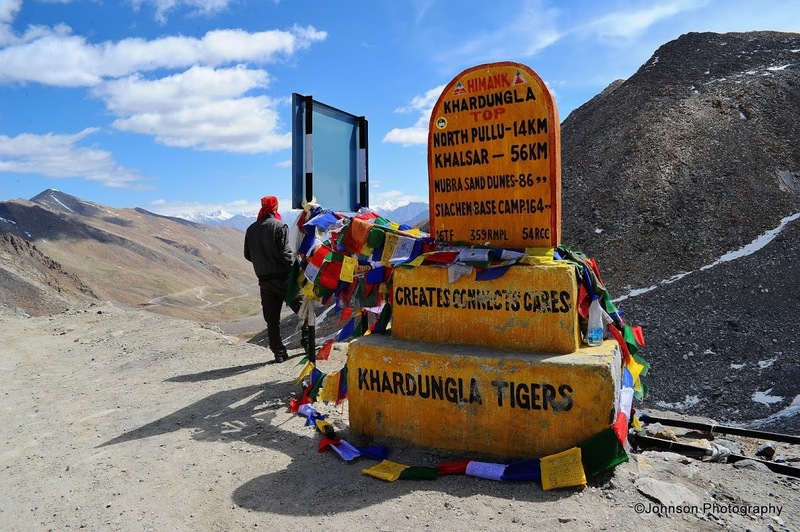 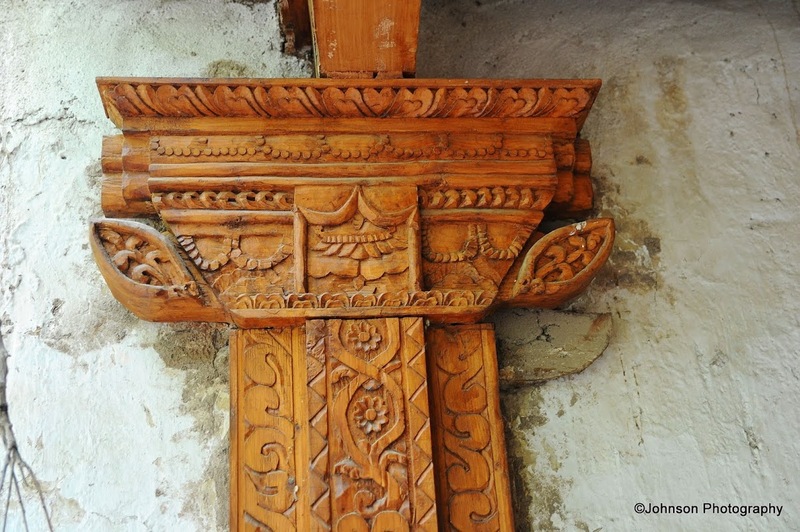 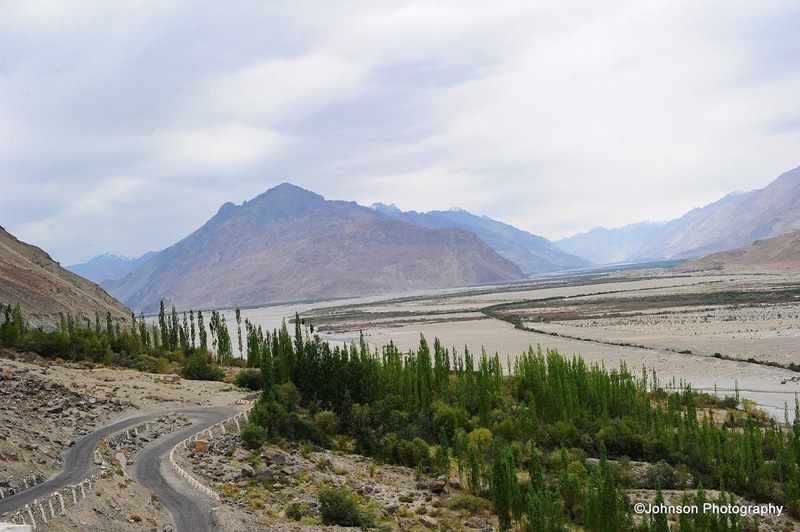 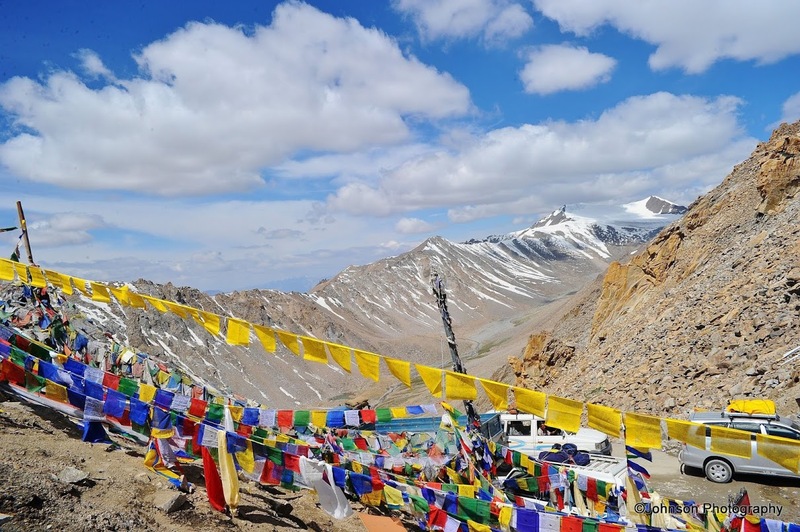 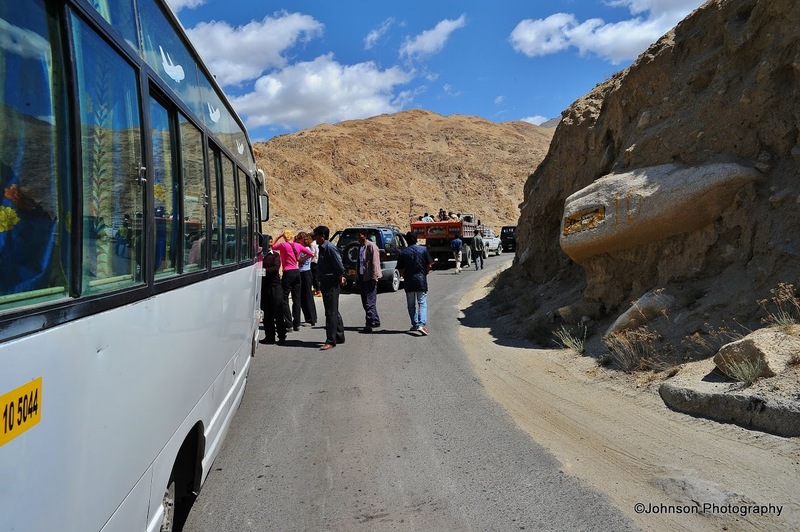 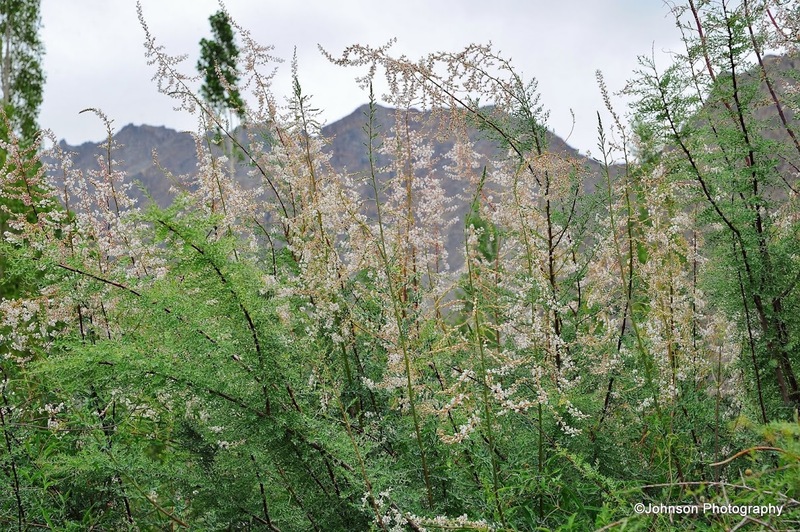 It is located 42 km from Mulbekh on the Leh-Srinagar highway. 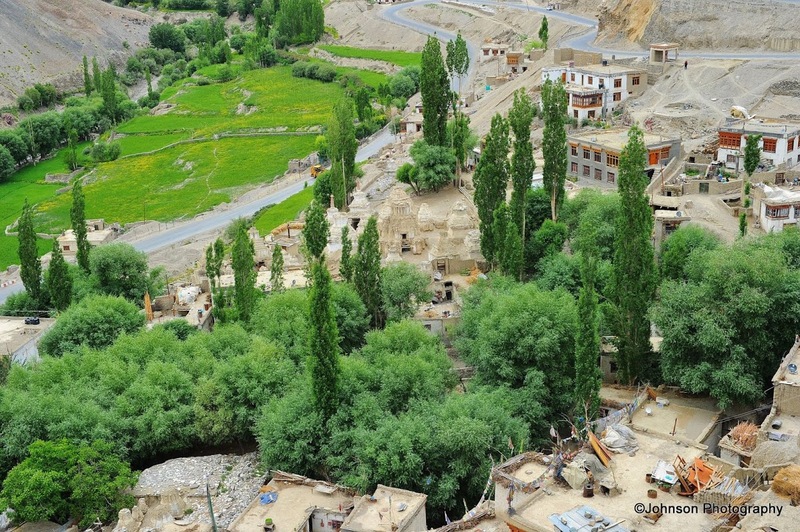 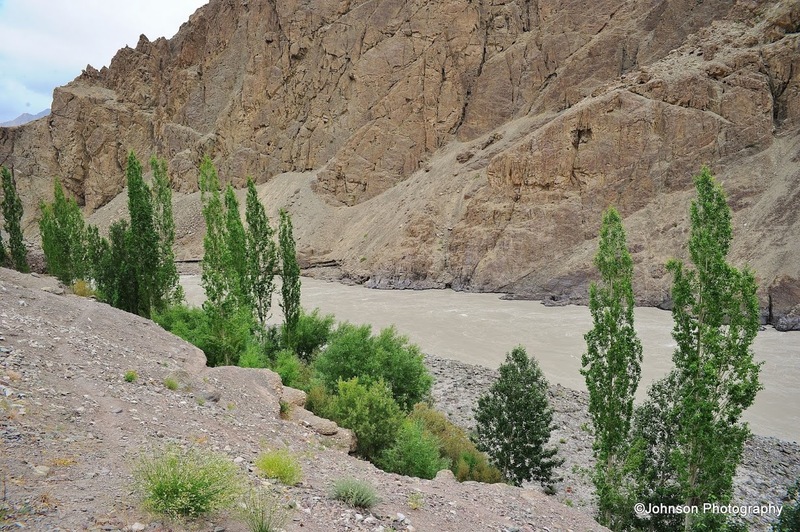 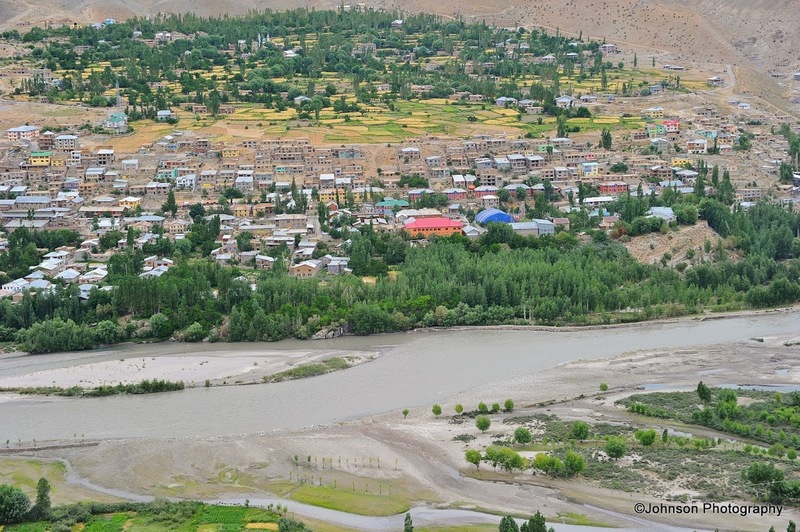 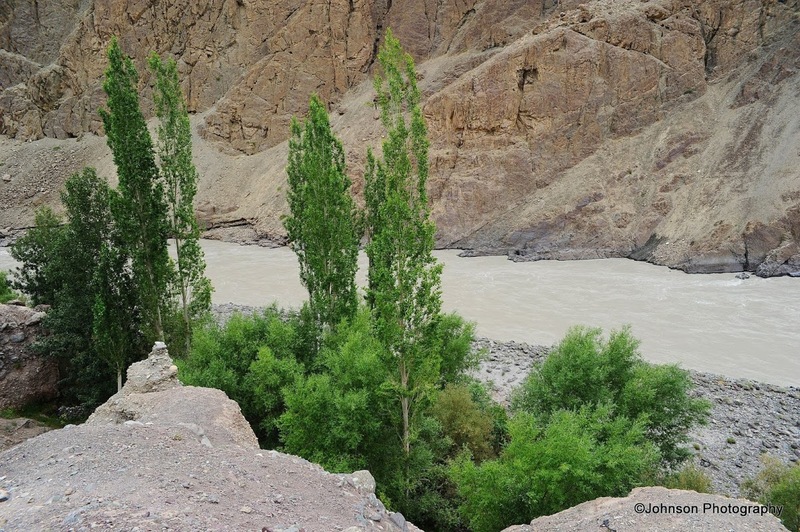 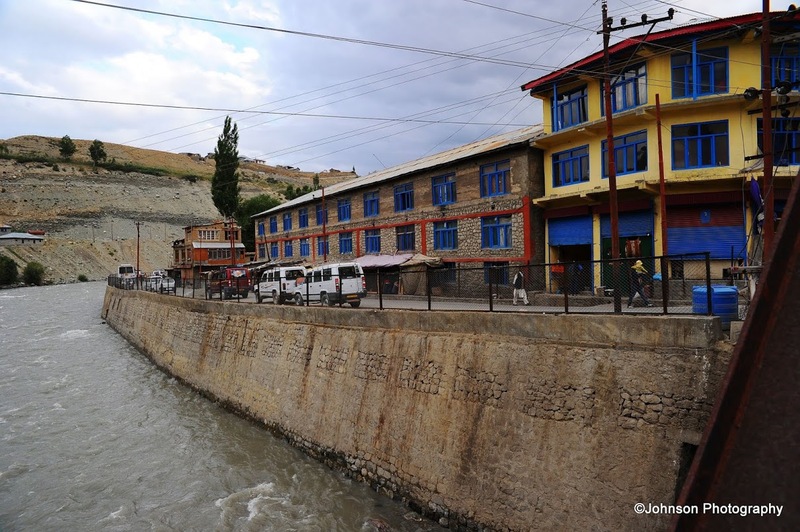 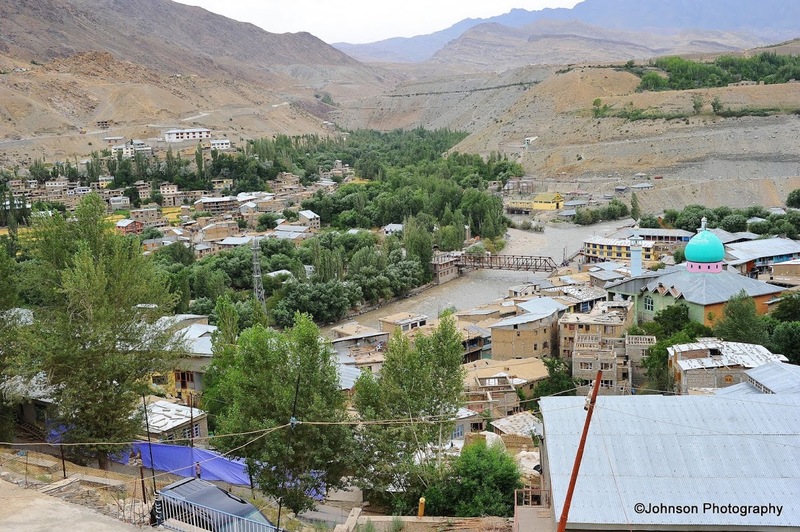 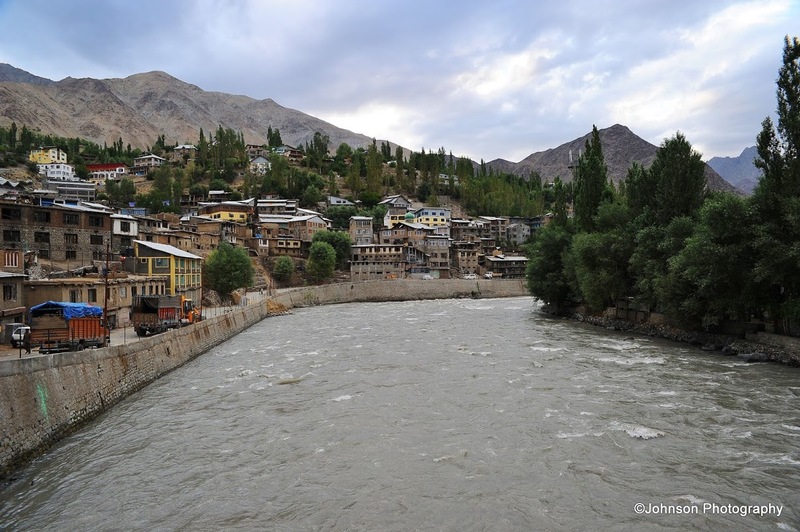 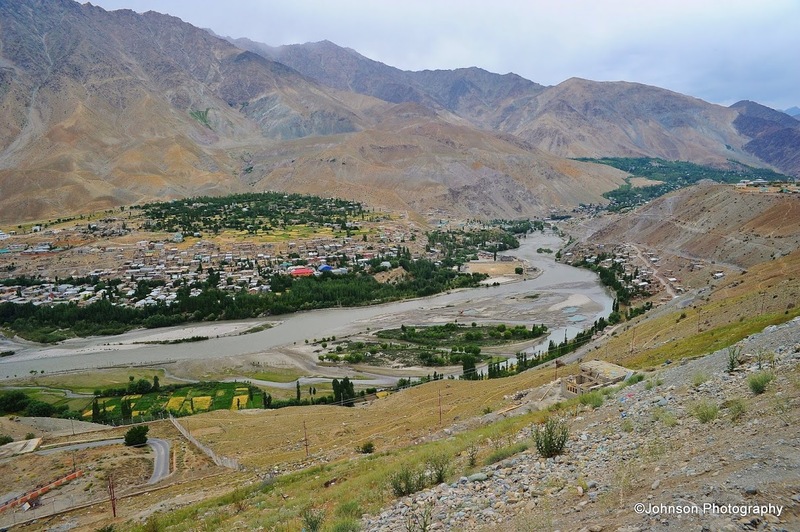 Kargil has an average elevation of 8,780 feet and is situated along the banks of the Suru River, a tributary of Indus. 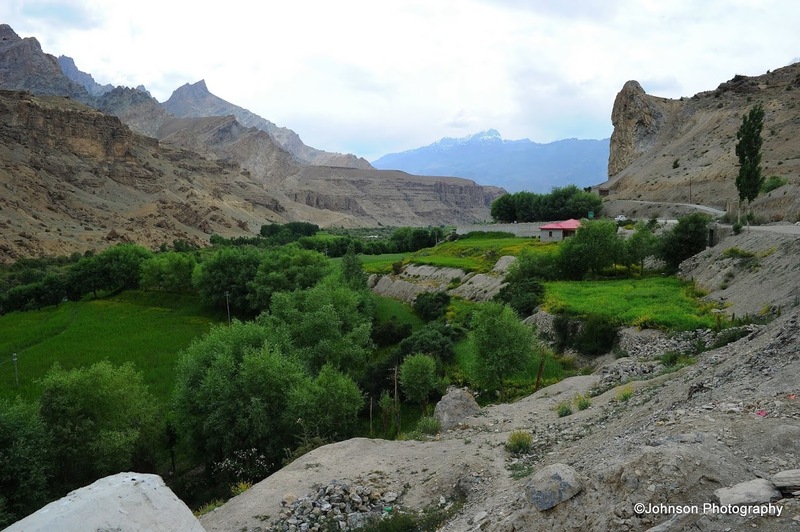 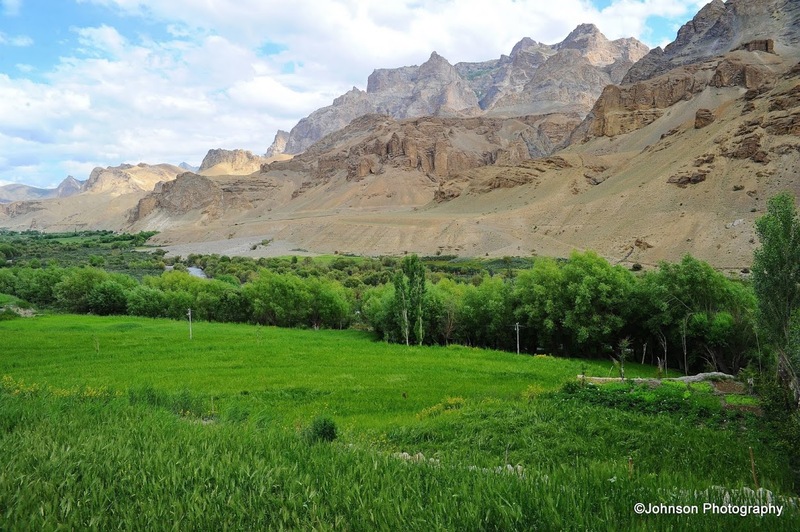 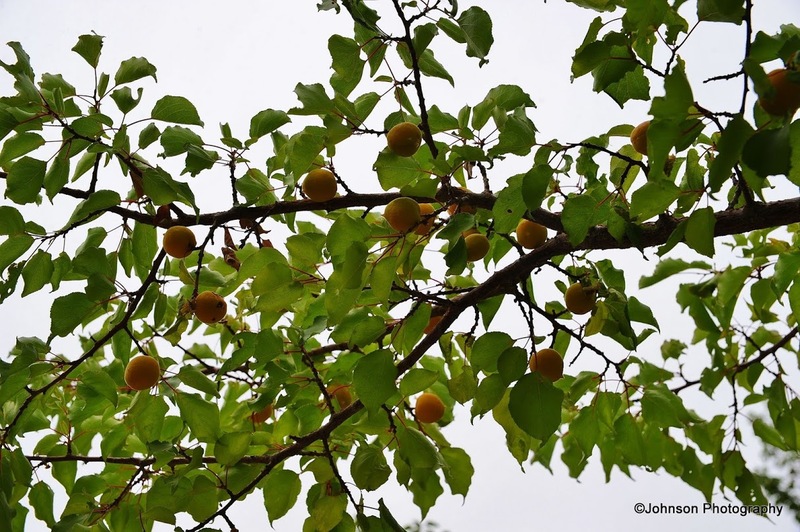 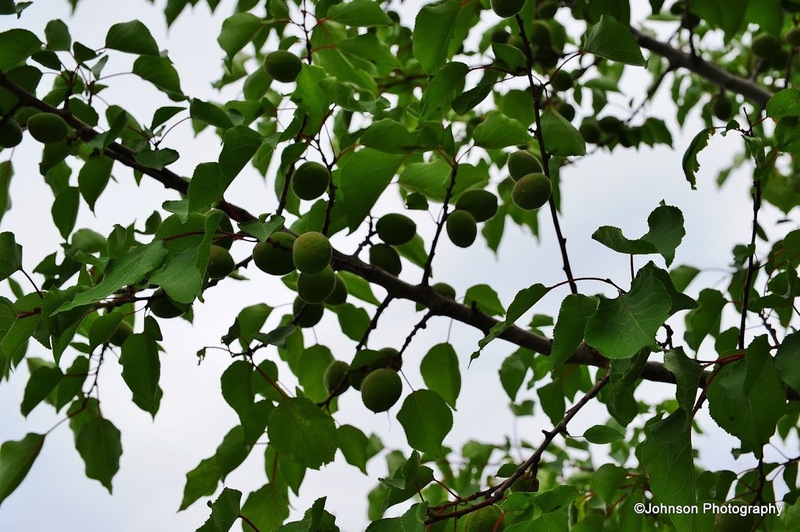 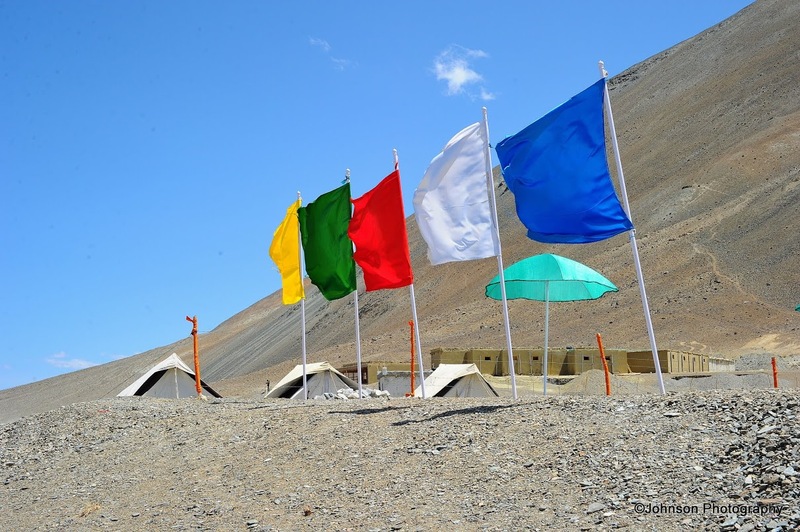 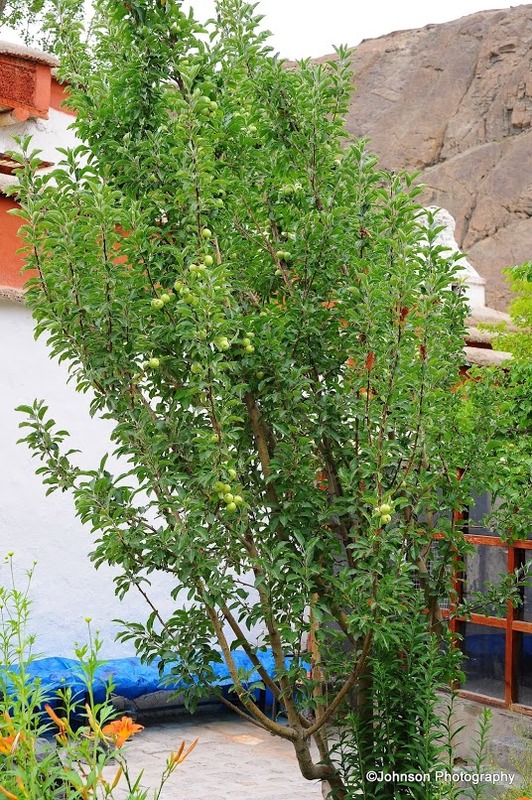 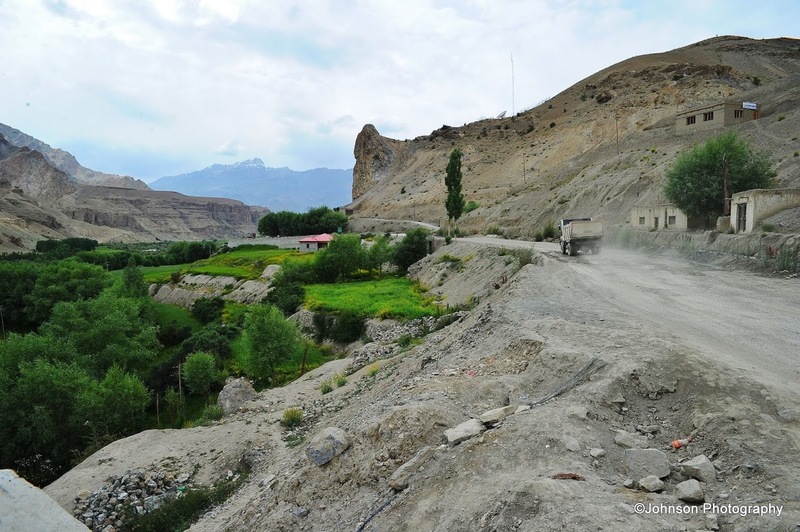 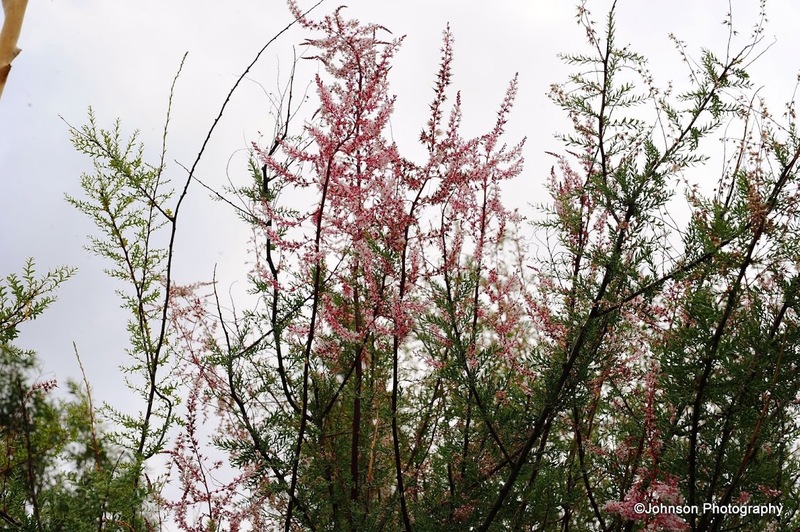 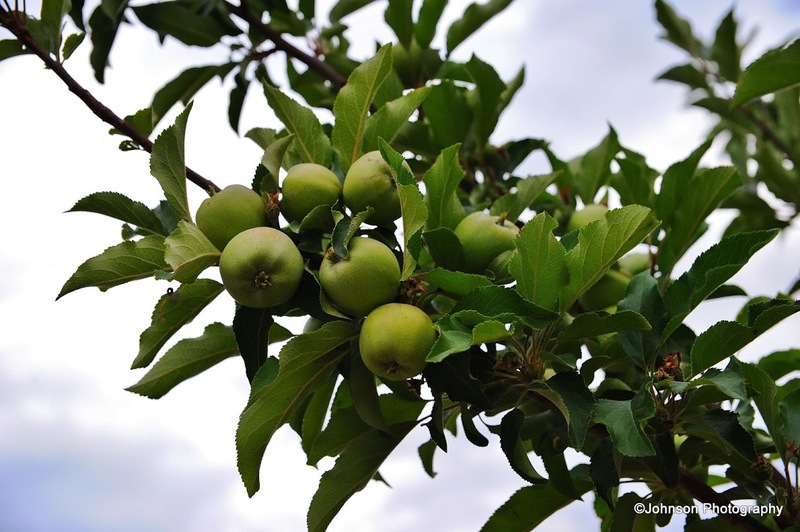 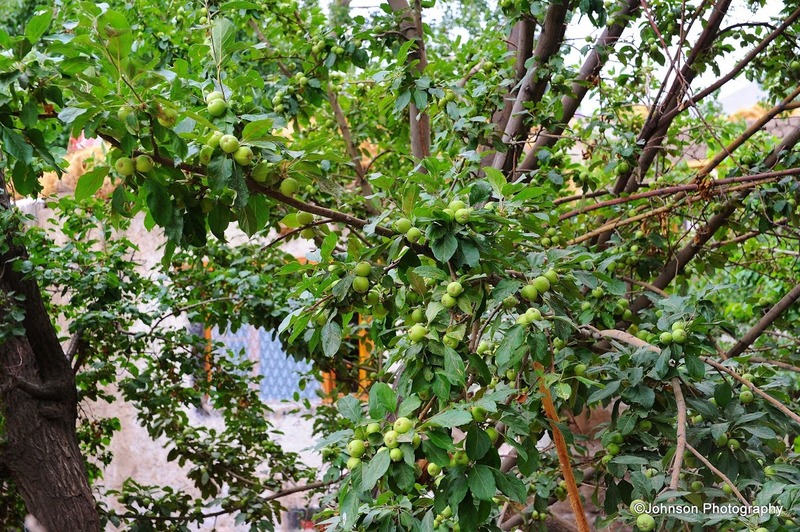 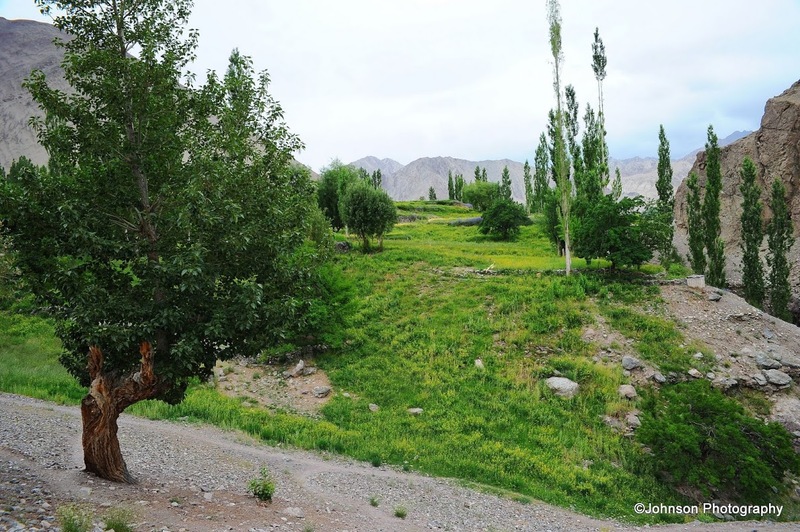 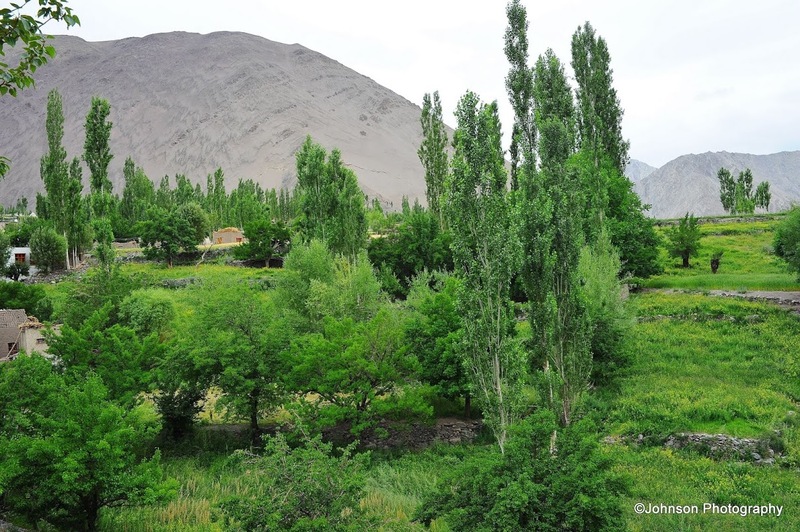 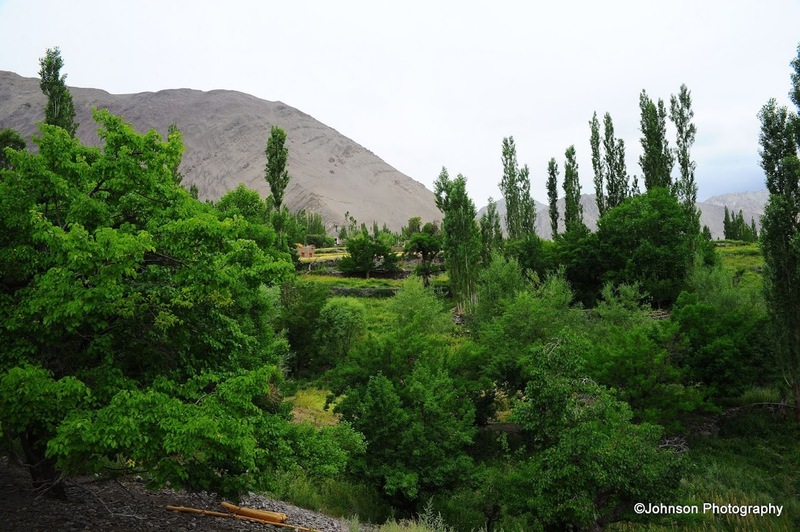 Like other areas in the Himalayas, Kargil has a temperate climate. 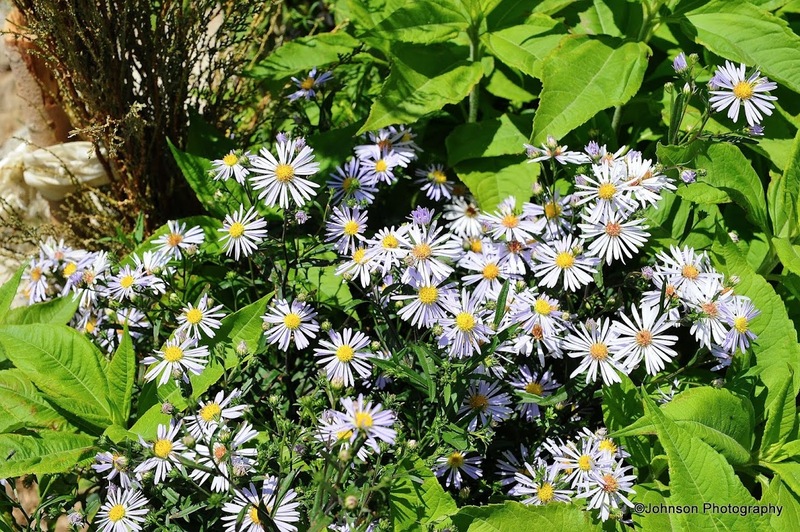 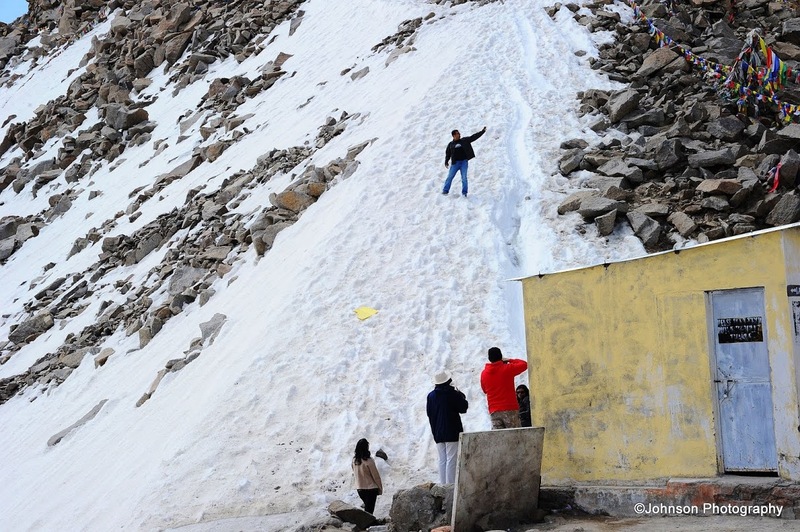 Summers are hot with cool nights, while winters are long and chilly with temperatures often dropping to -48°C. 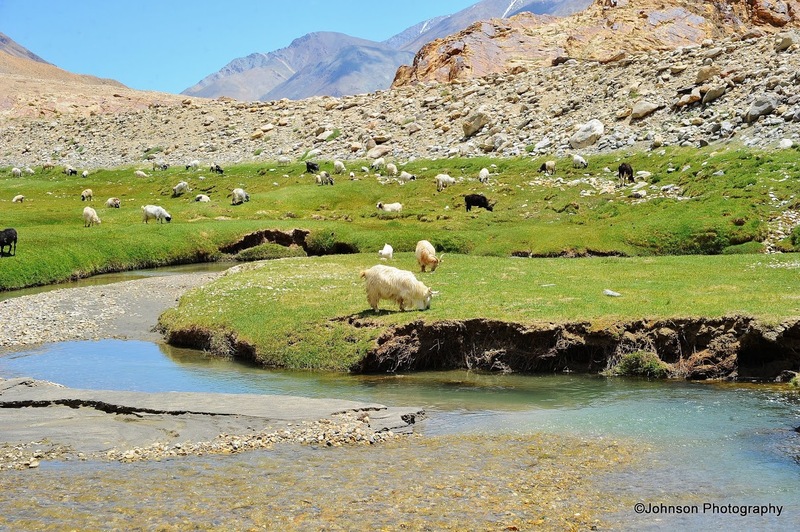 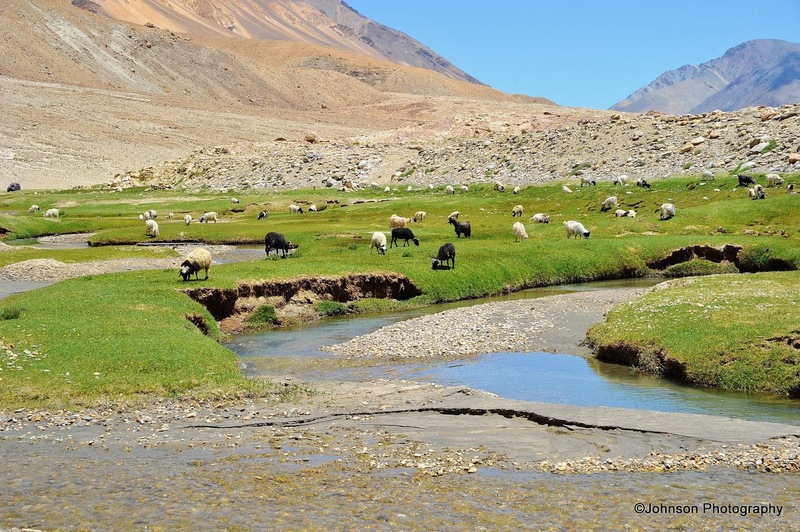 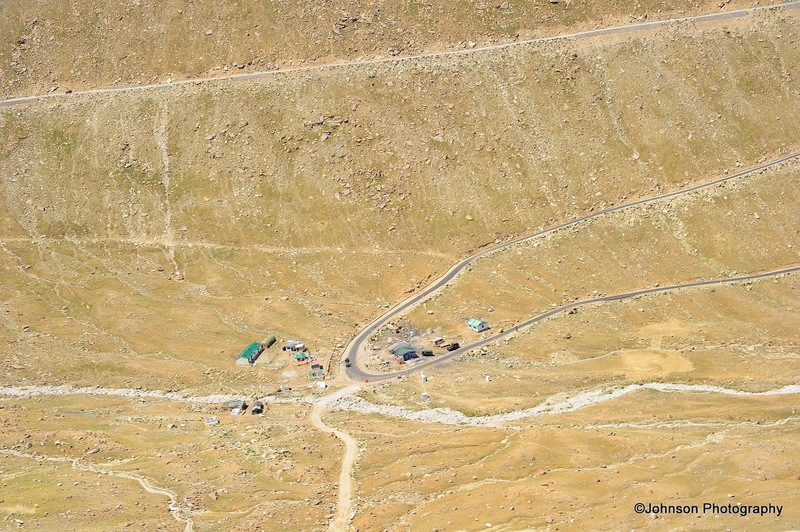 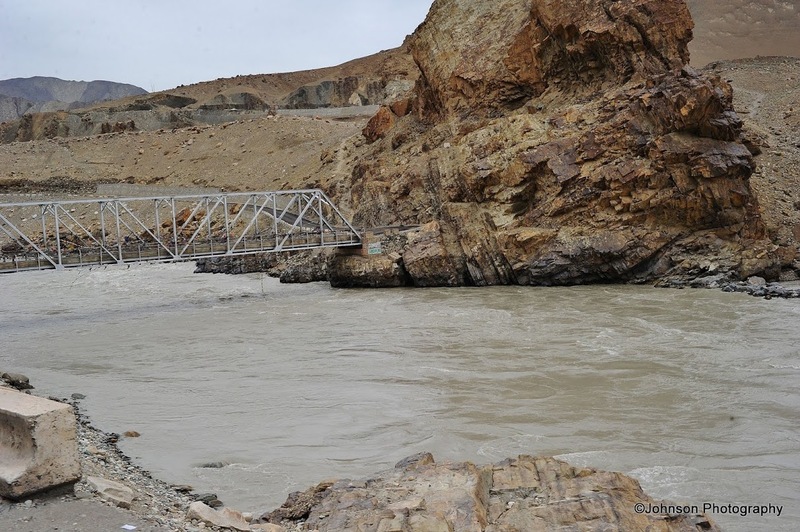 Dras is located 60 km from Kargil enroute Srinagar on the Leh-Srinagar Highway. 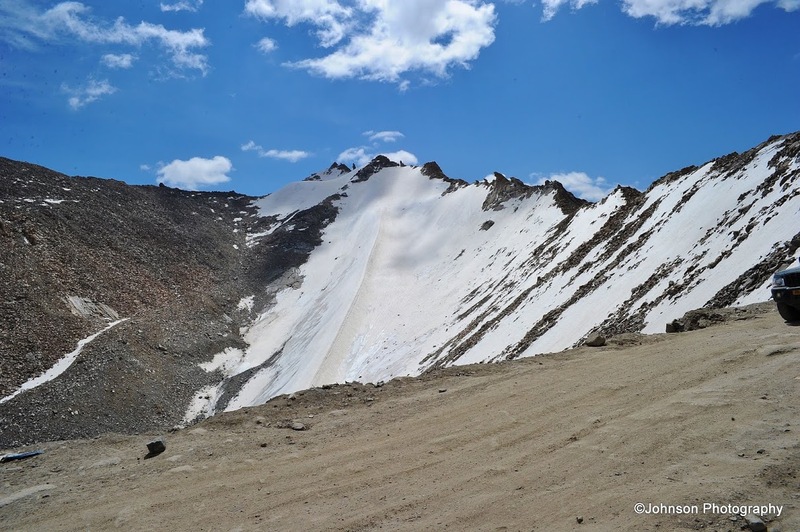 It has an average elevation of 10,764 feet. 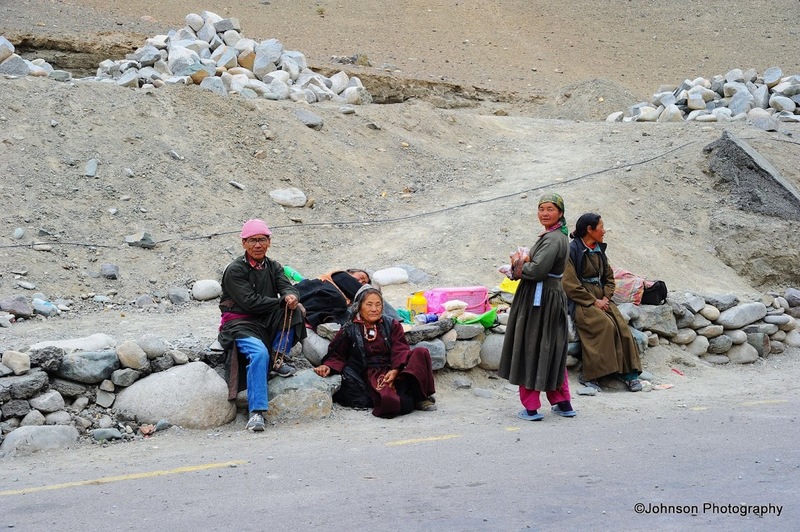 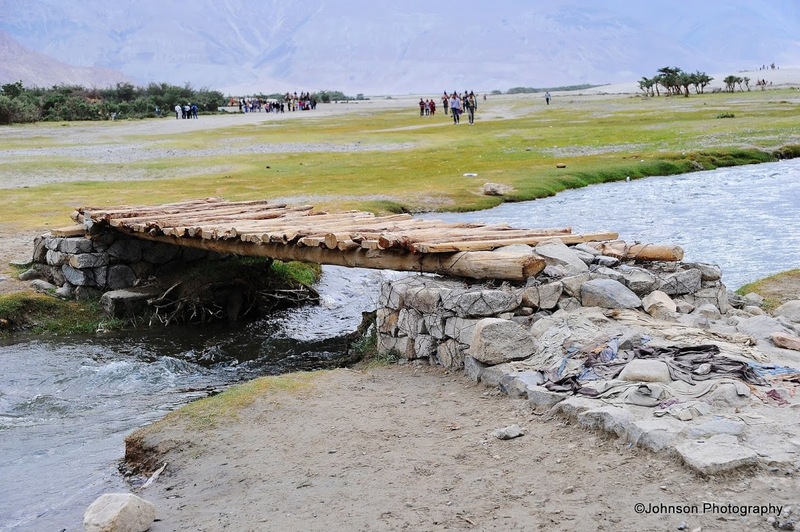 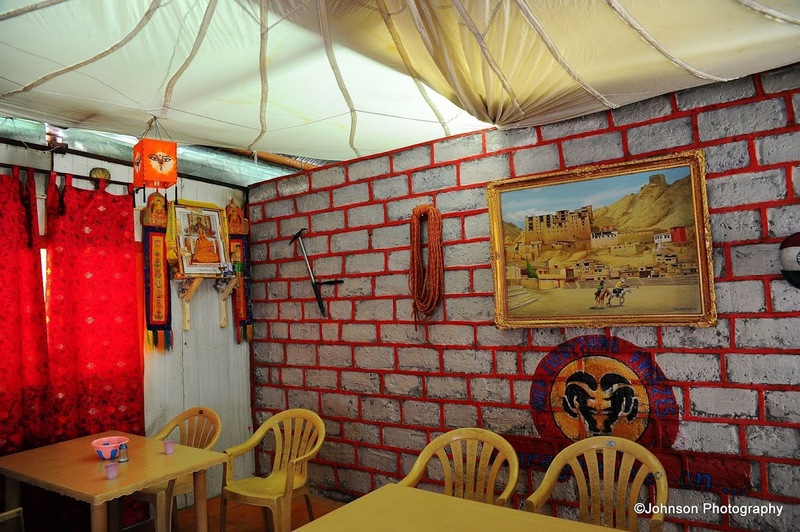 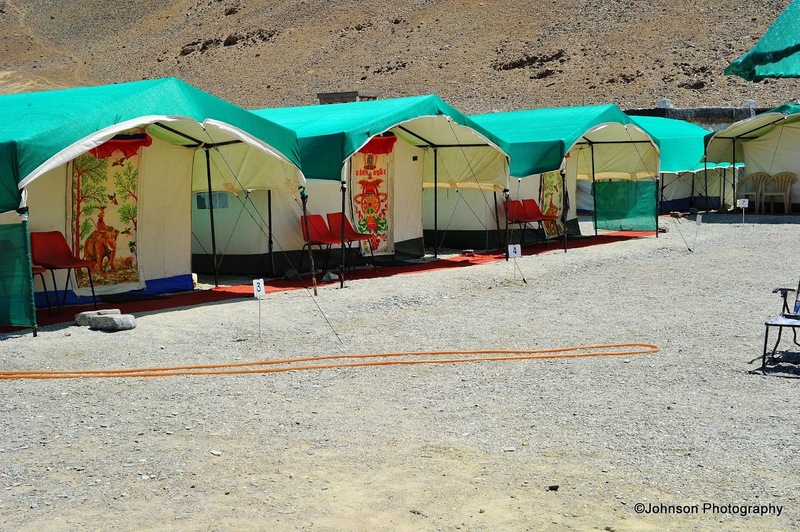 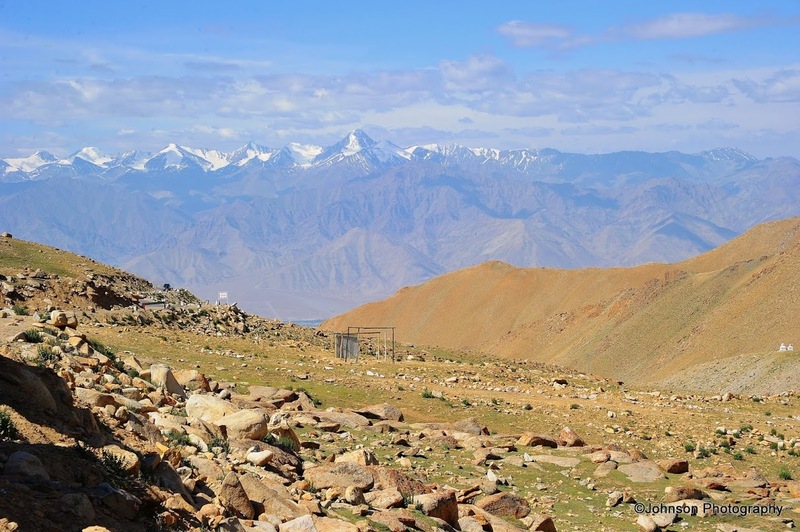 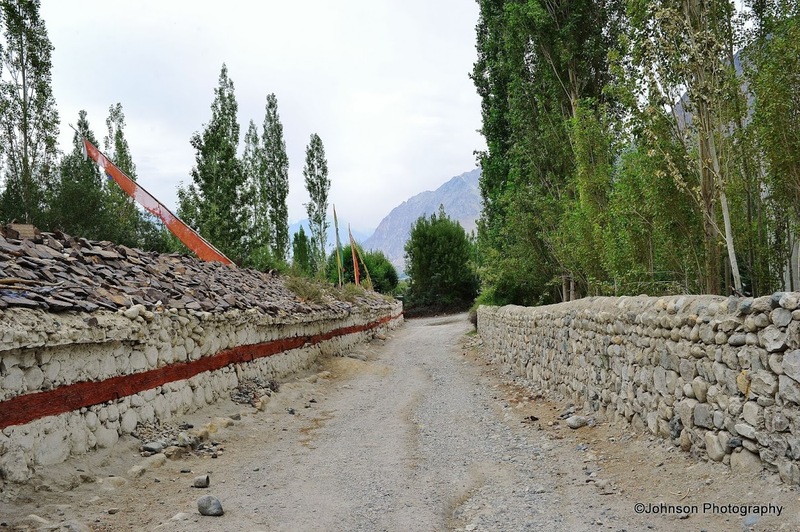 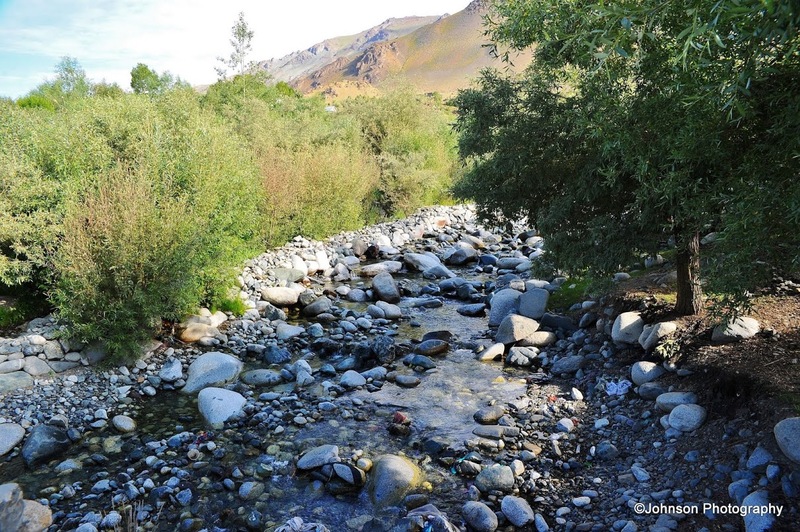 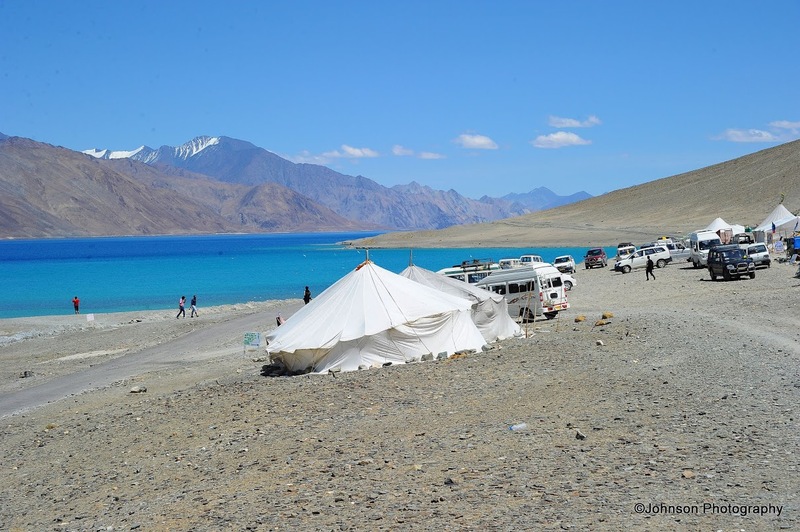 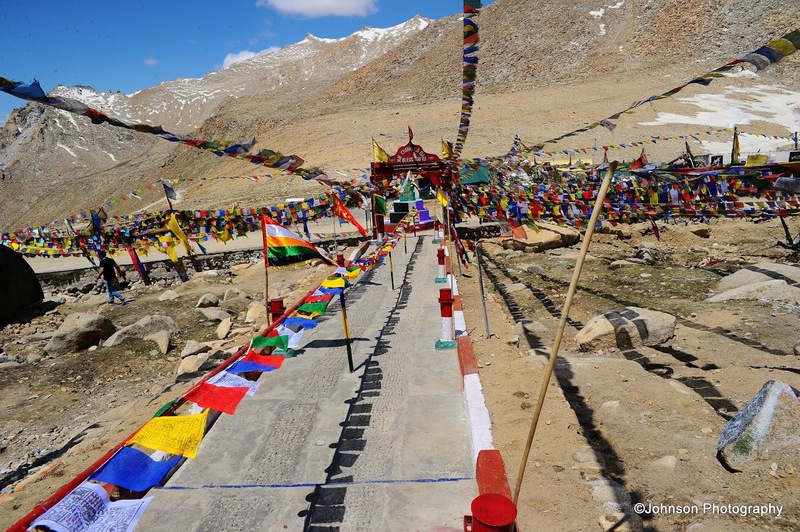 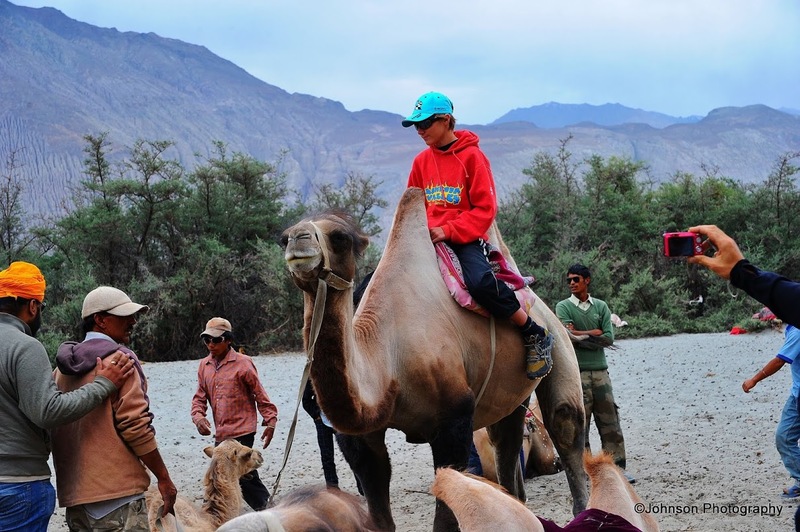 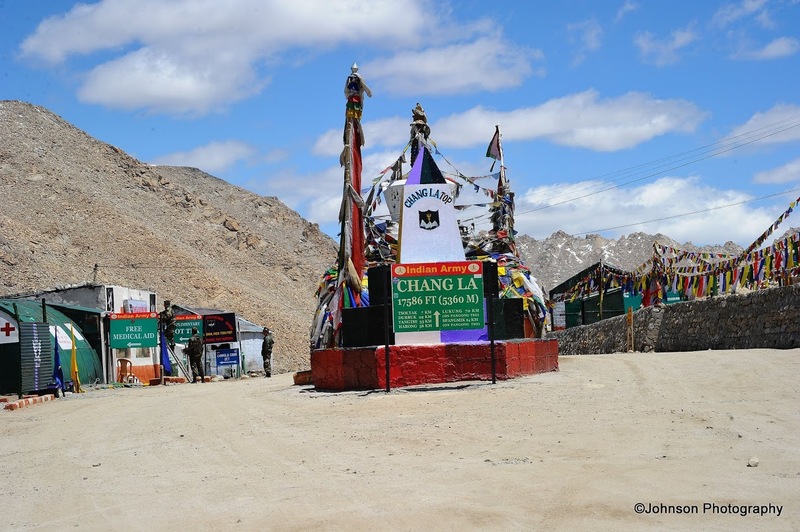 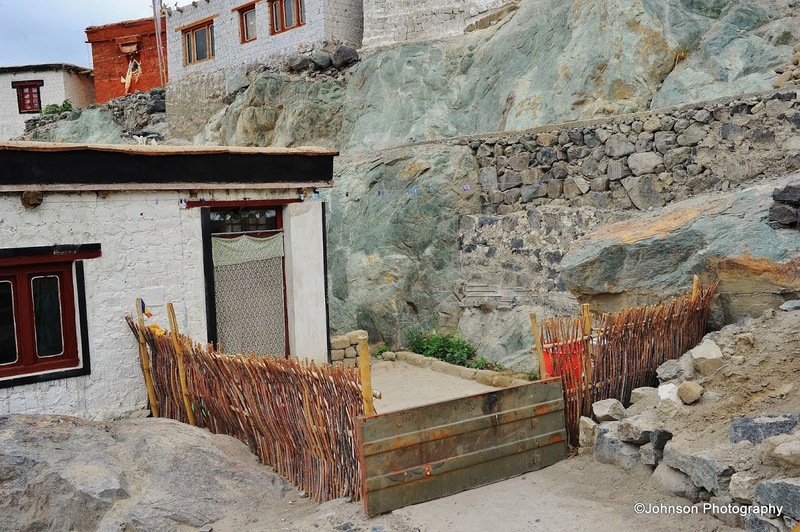 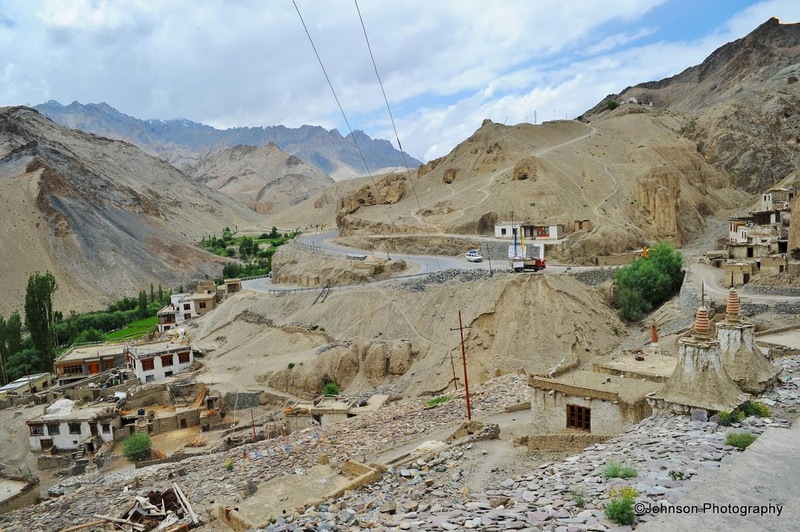 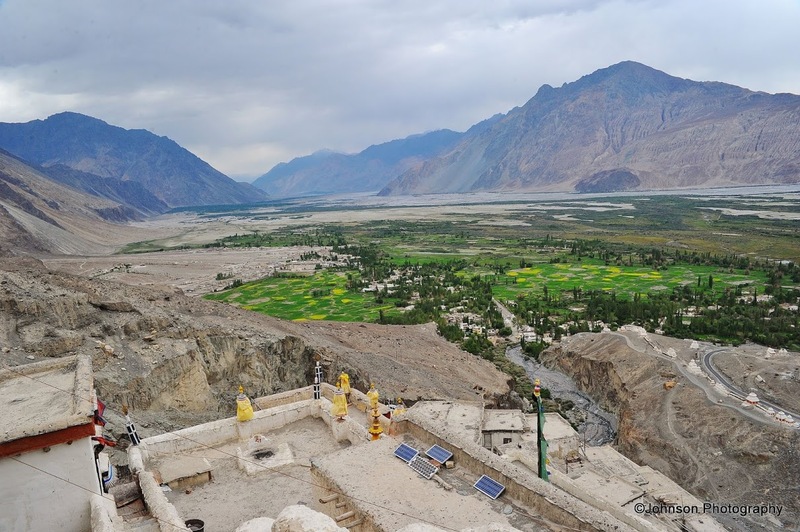 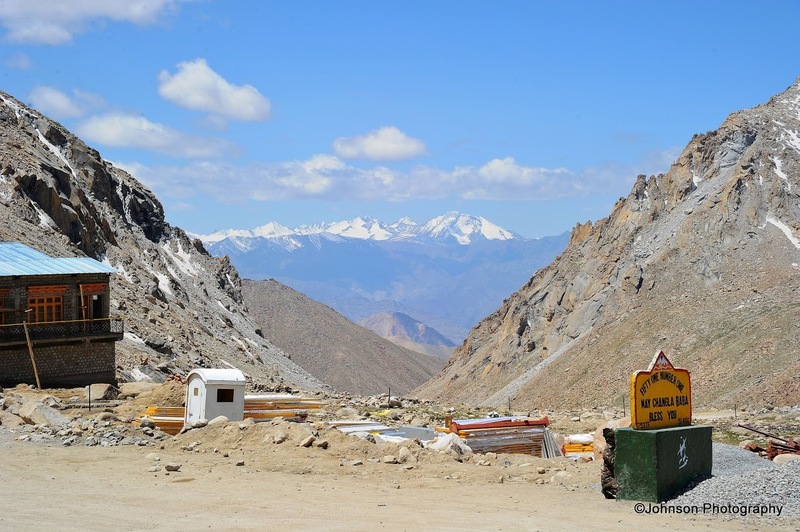 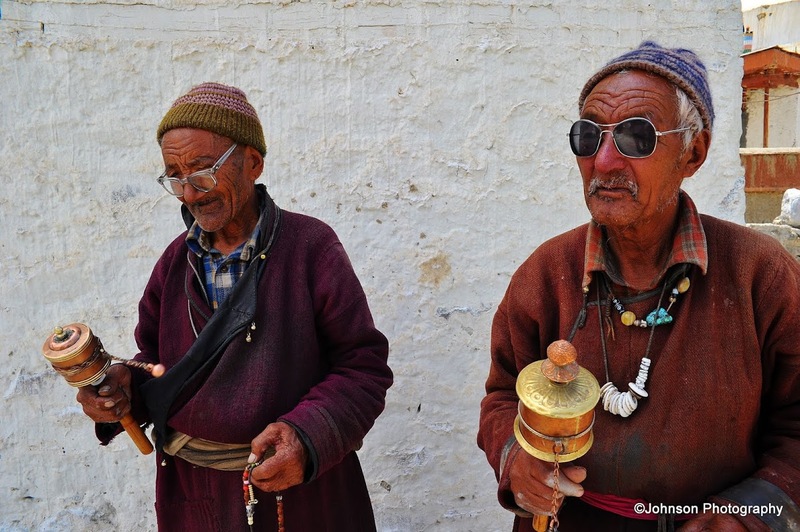 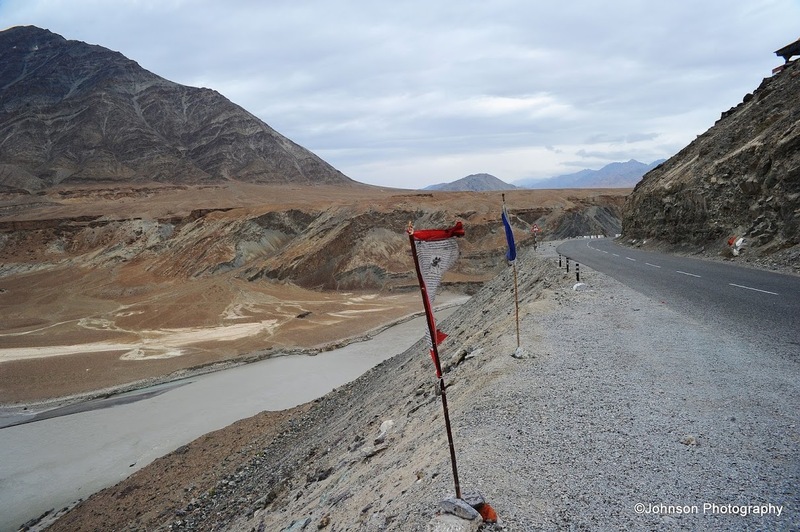 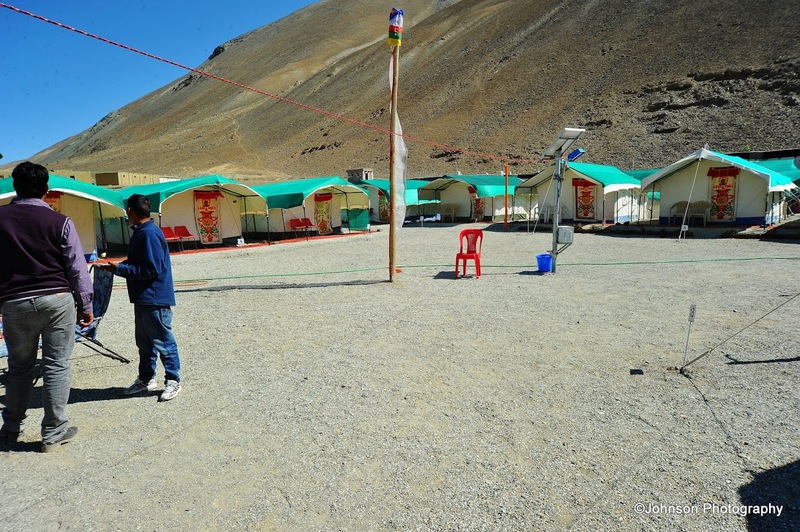 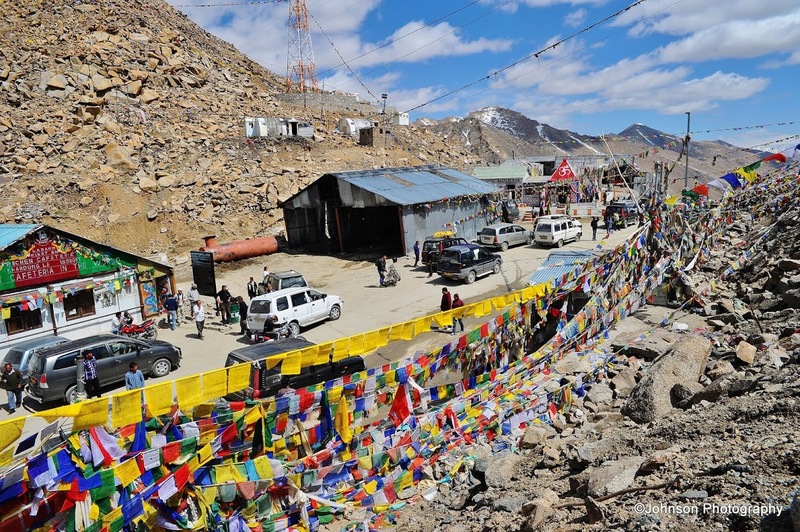 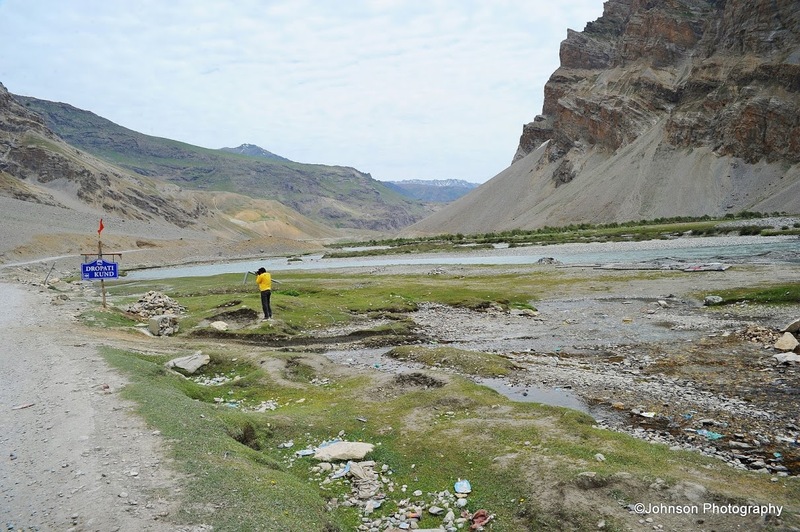 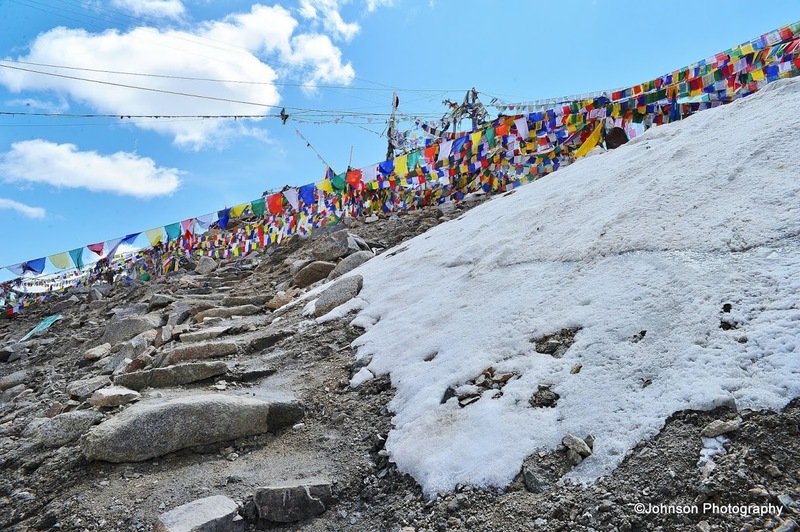 Dras is popularly known as “Gateway to Ladakh”. 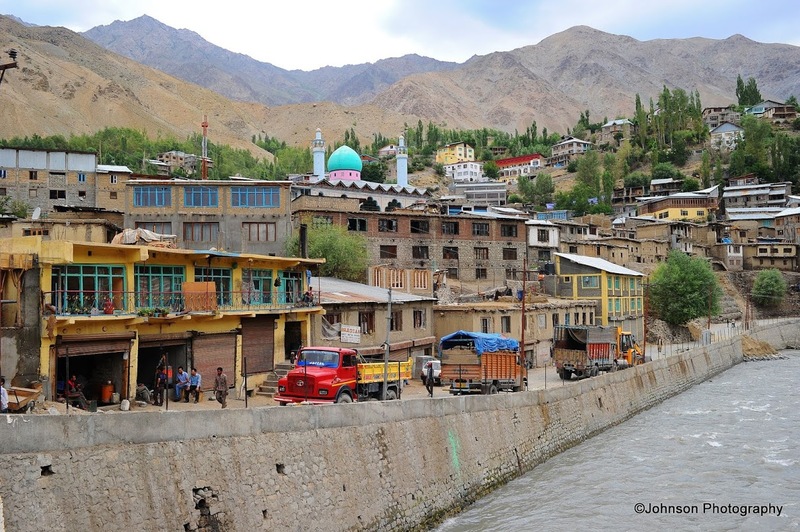 Dras is widely recognized as the second coldest inhabited place in the world, after Siberia. 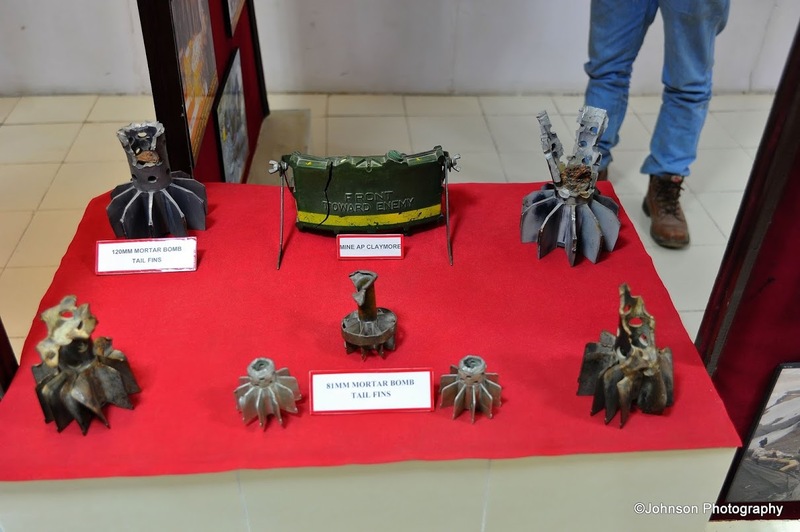 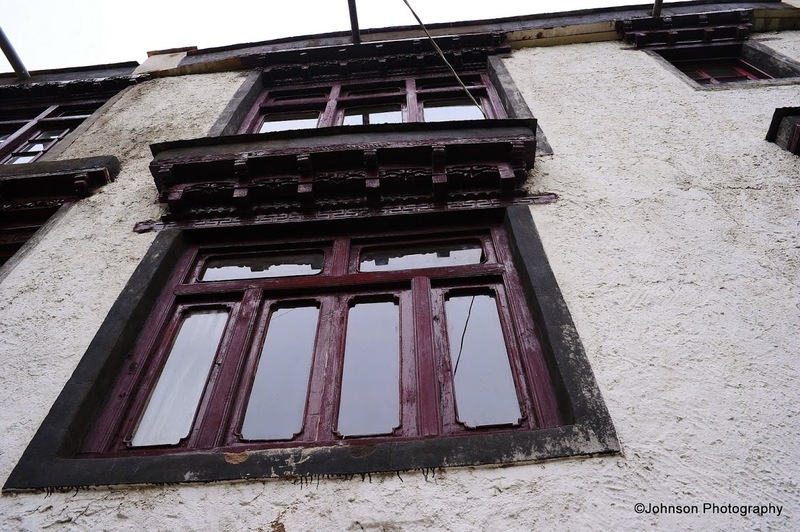 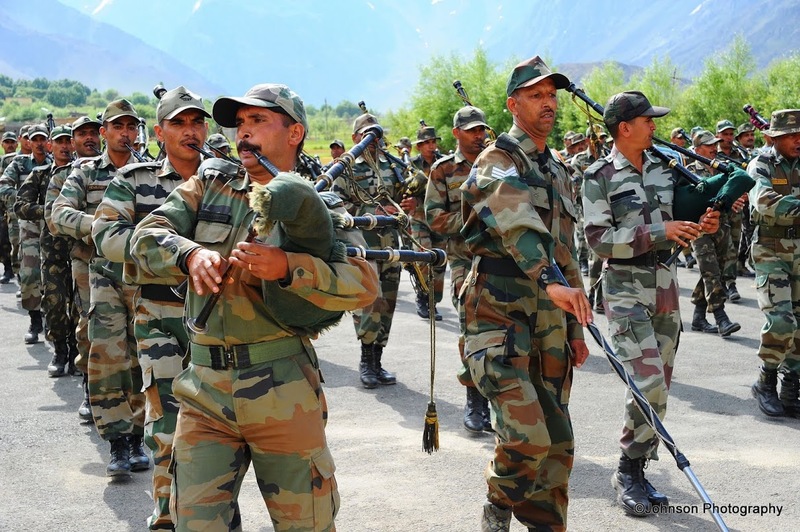 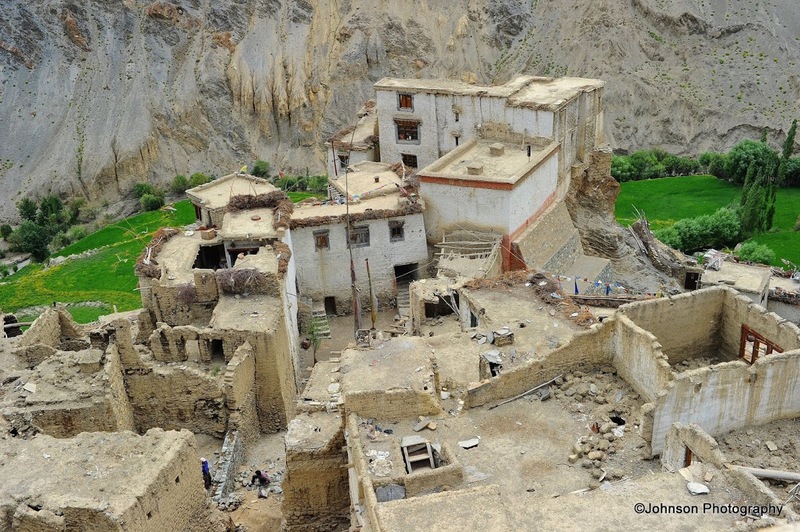 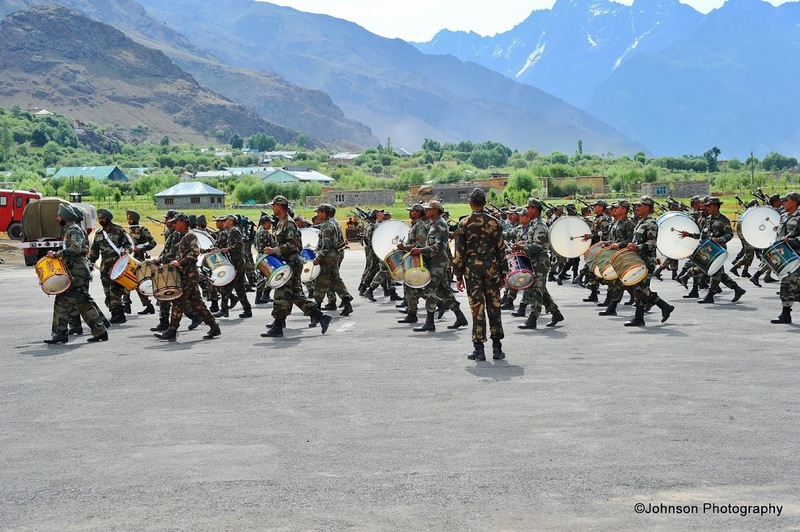 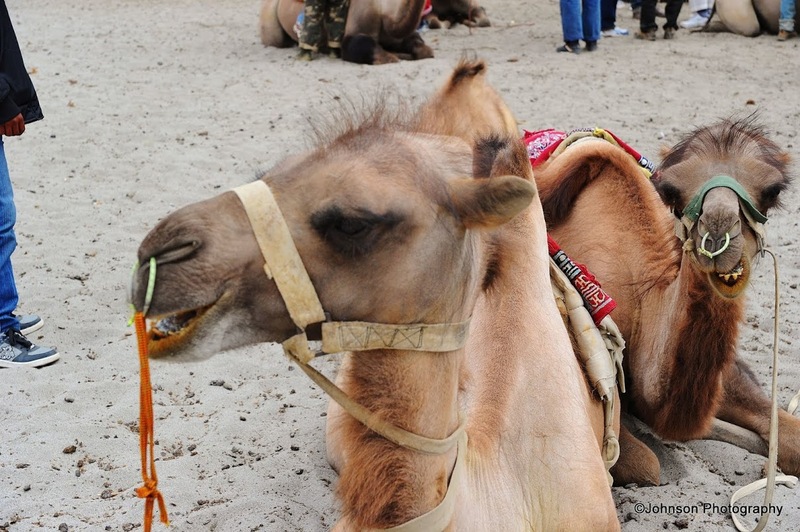 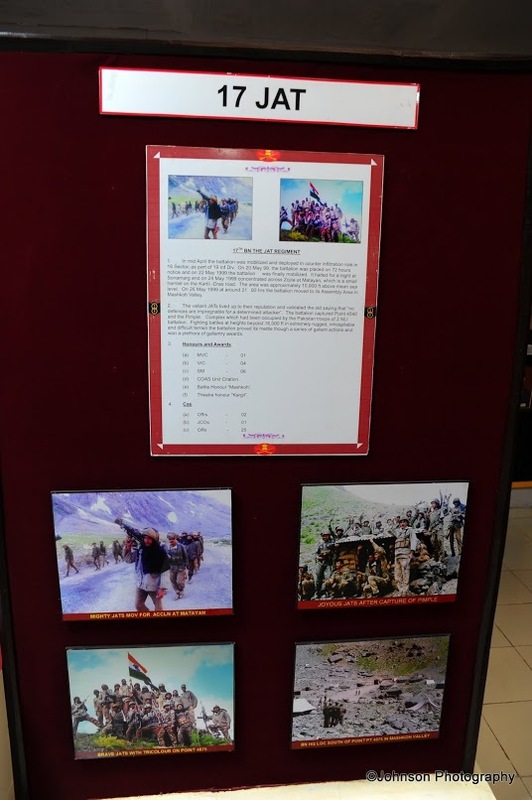 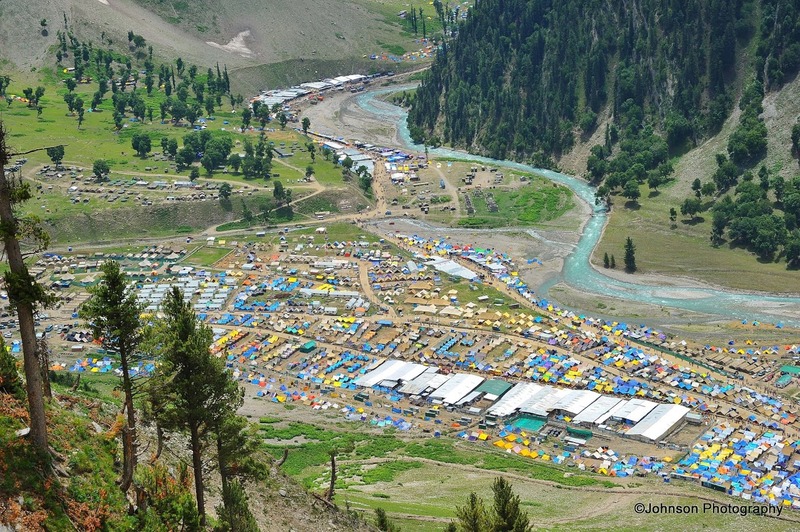 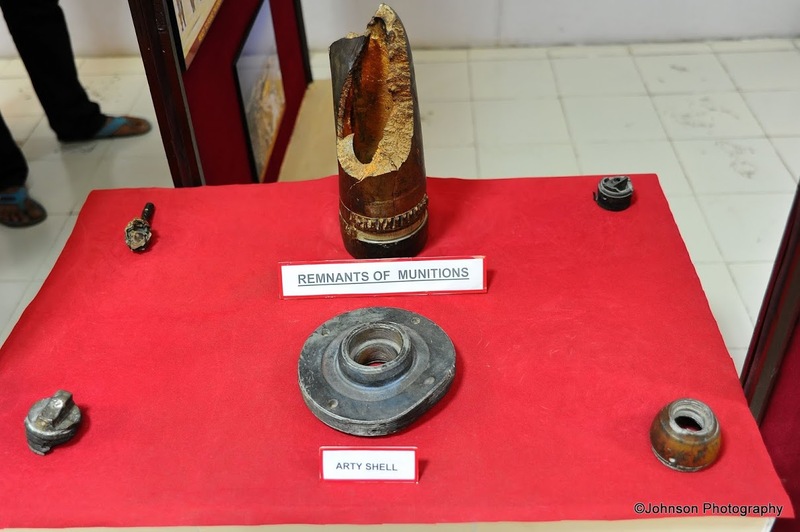 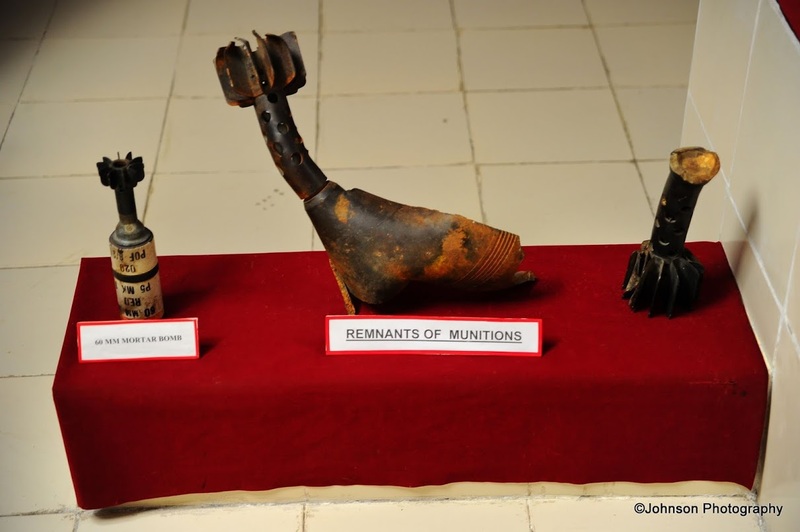 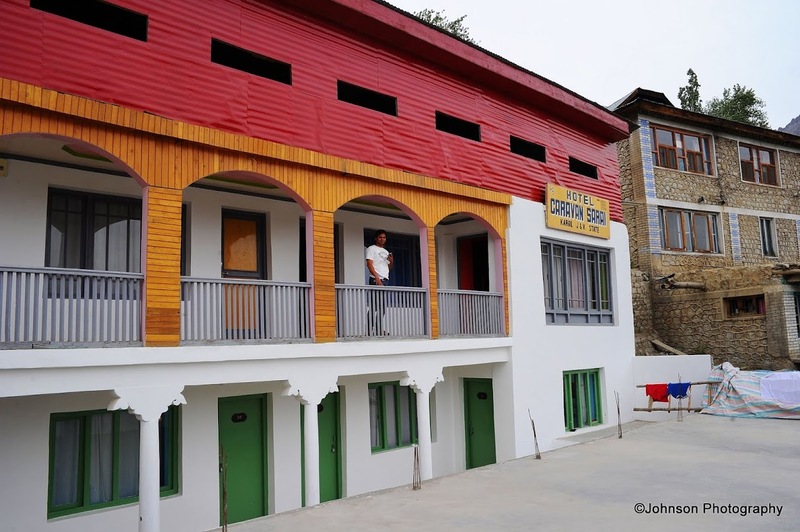 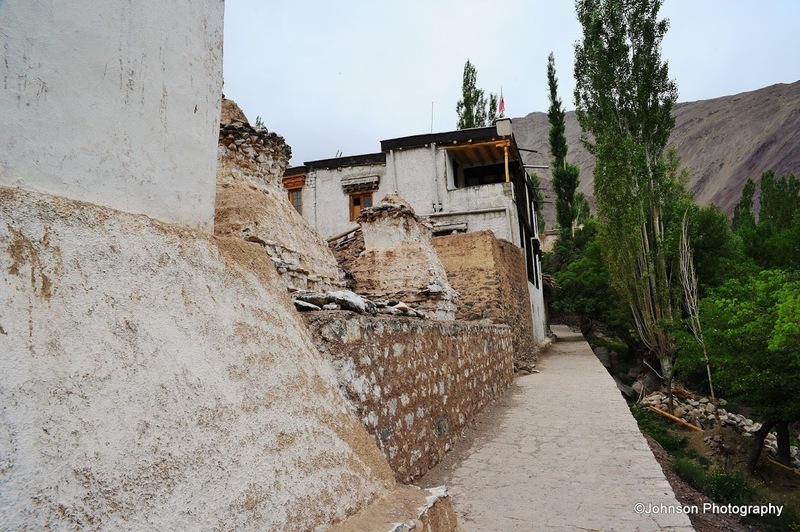 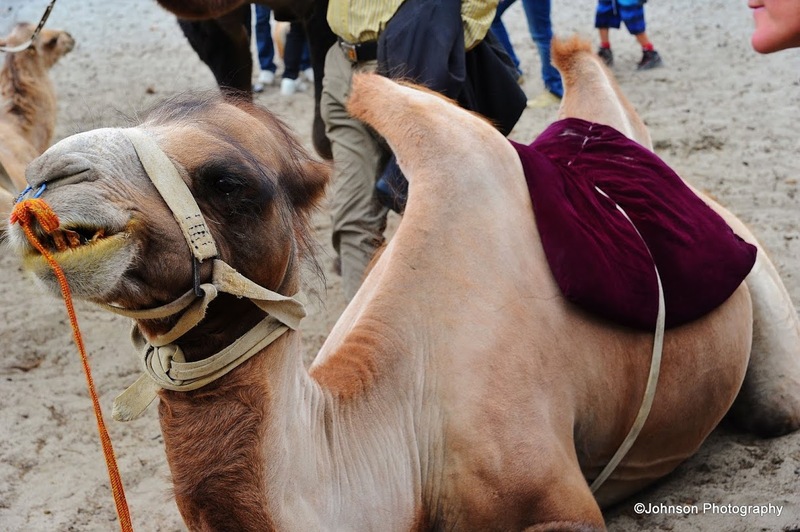 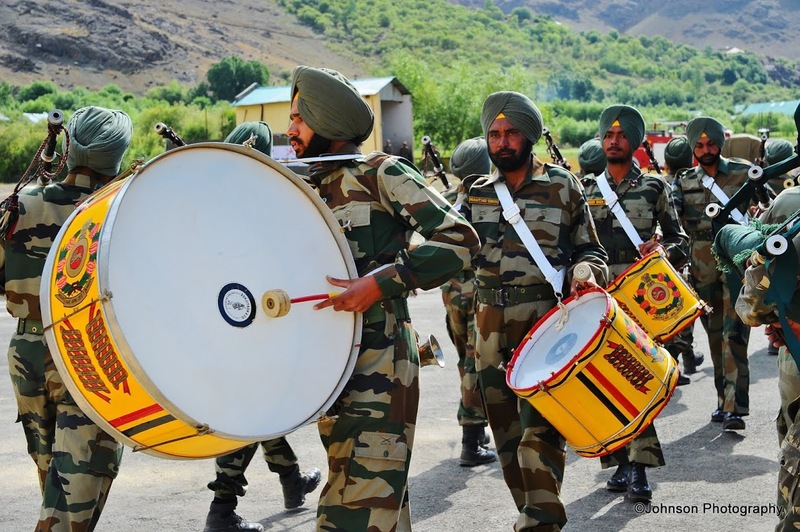 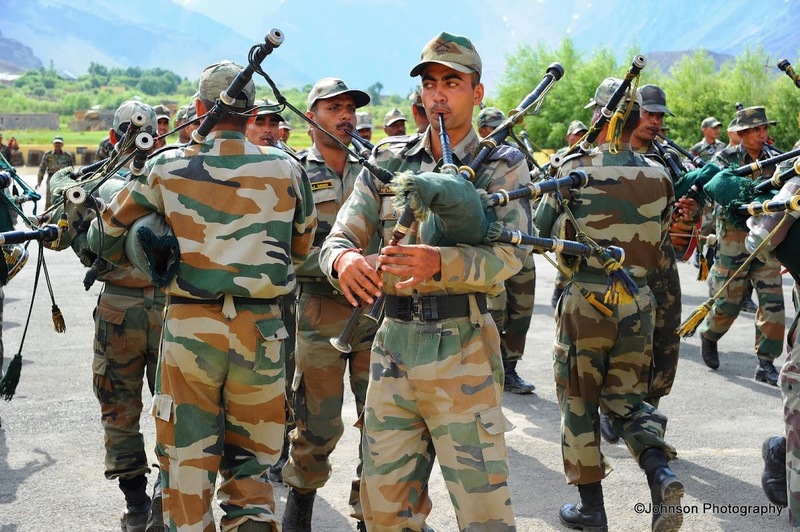 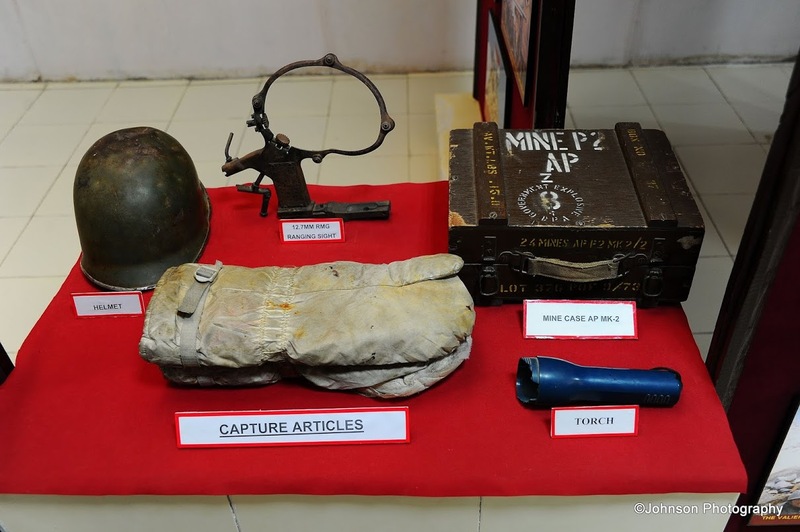 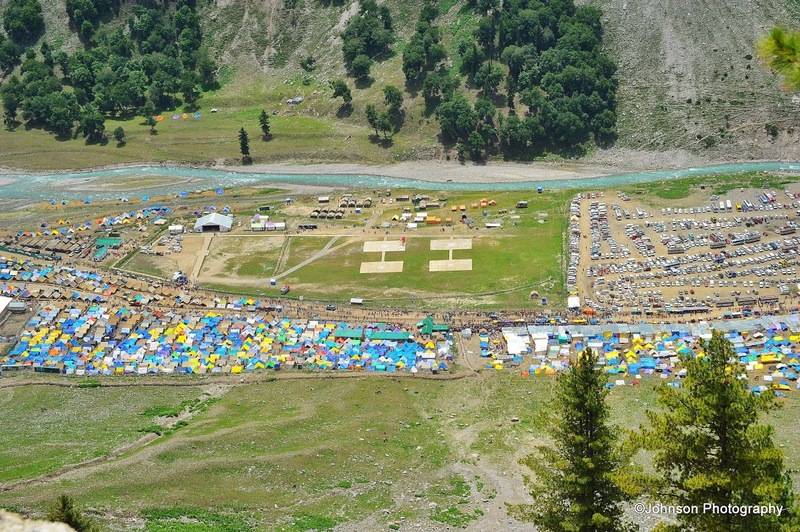 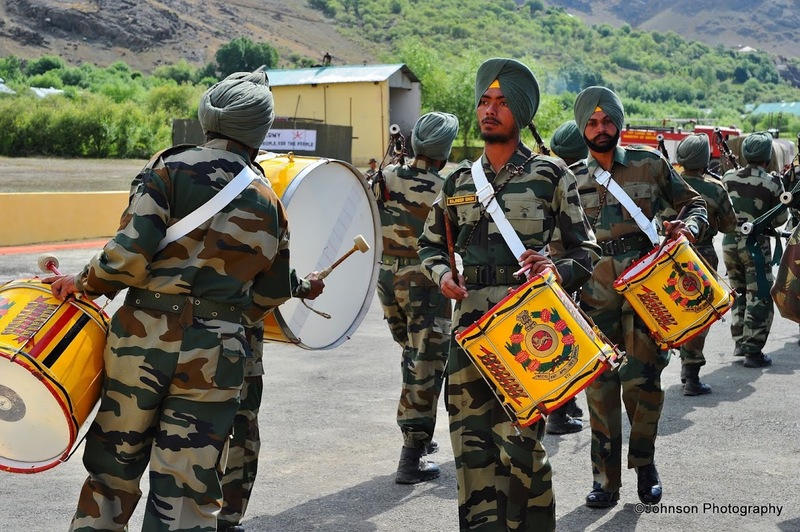 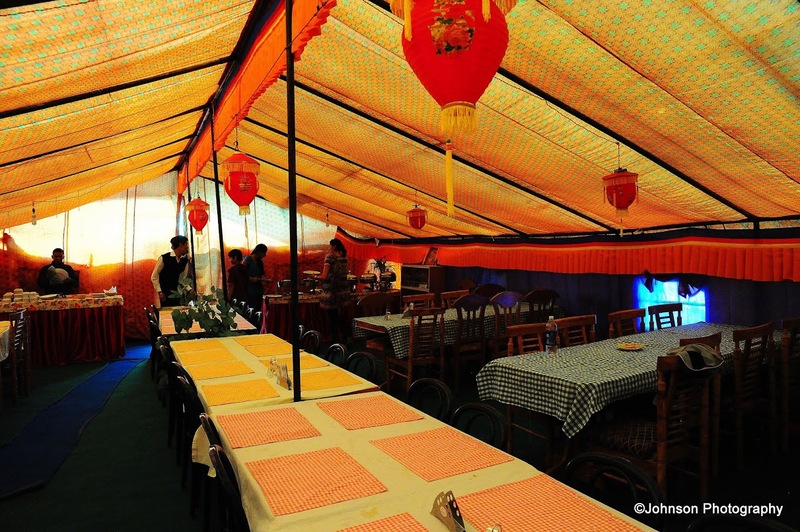 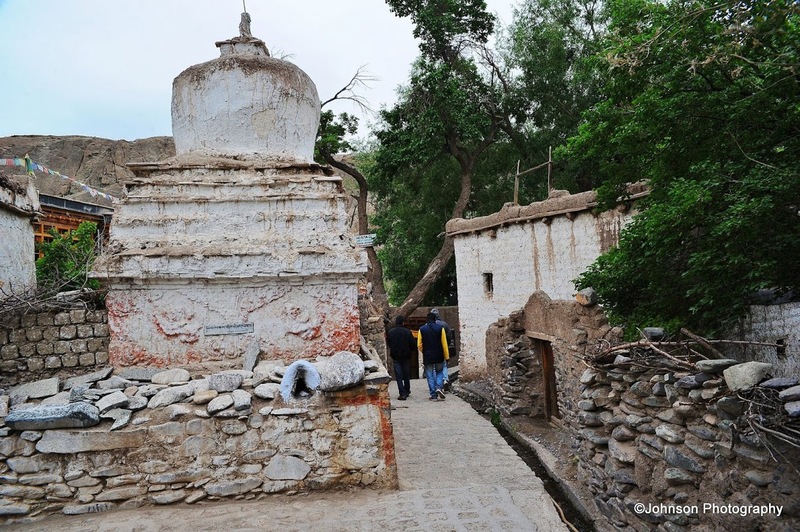 Dras came to limelight in 1999, when Pakistan army incursions started the famous Kargil War. 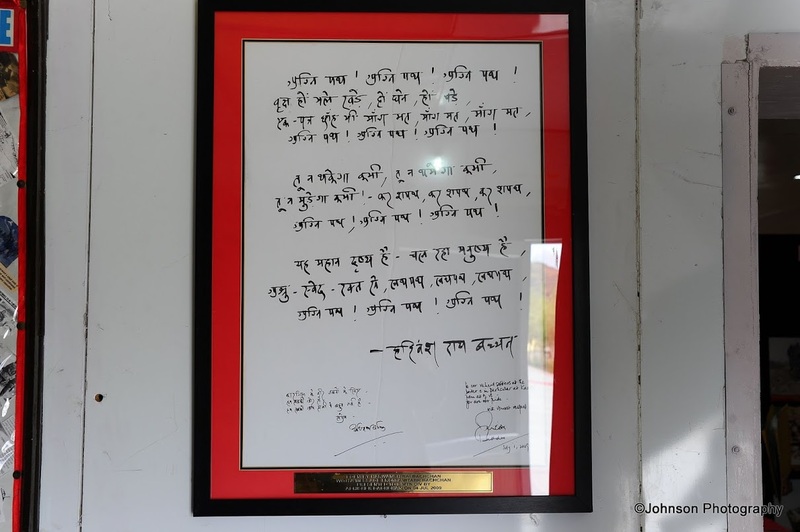 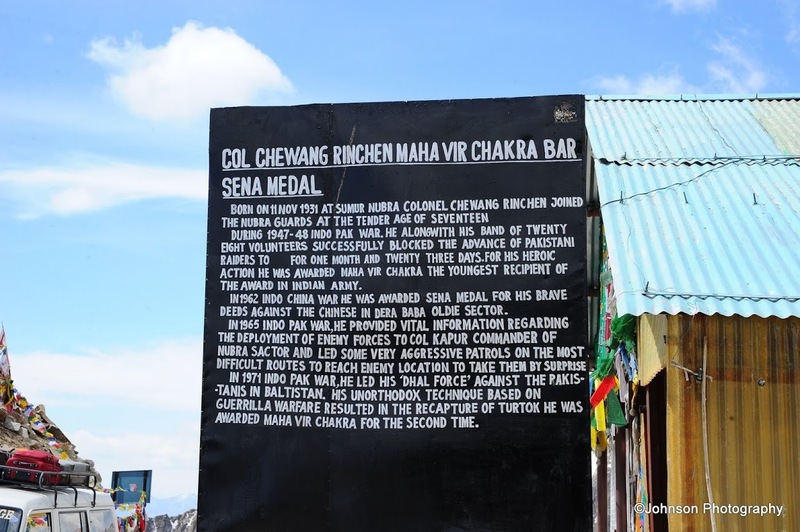 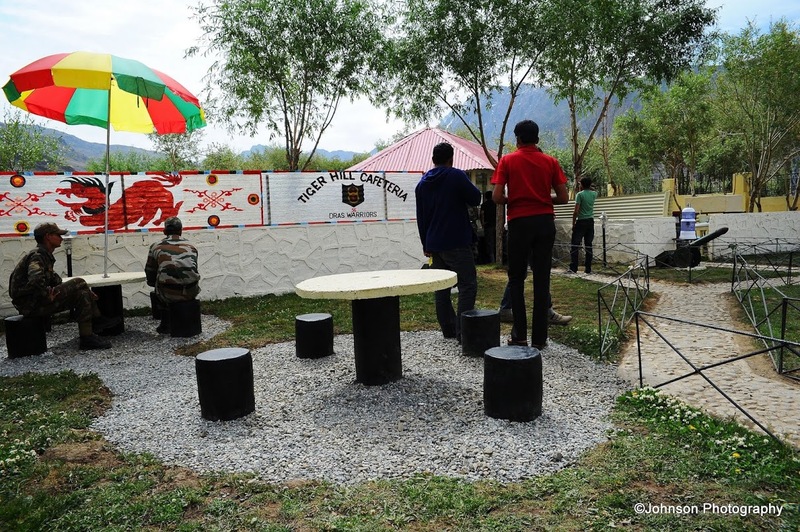 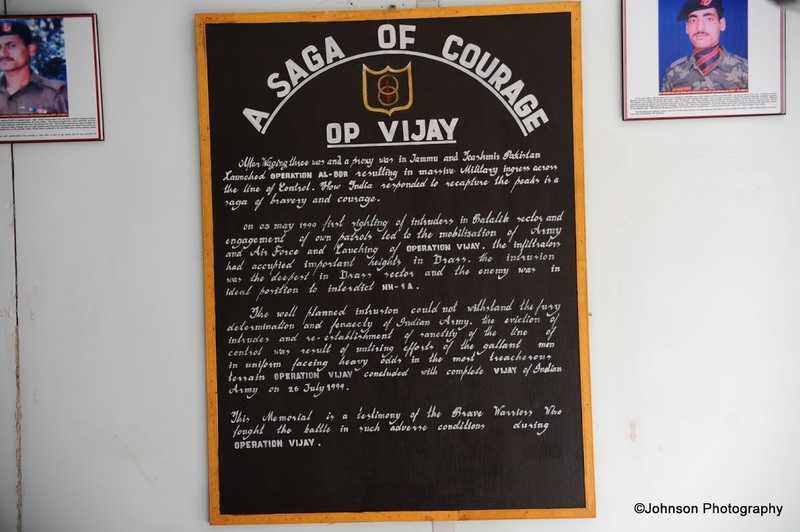 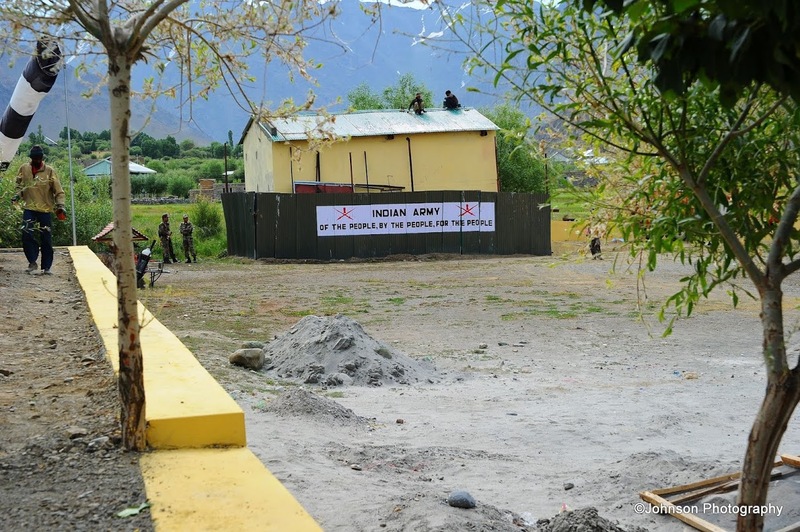 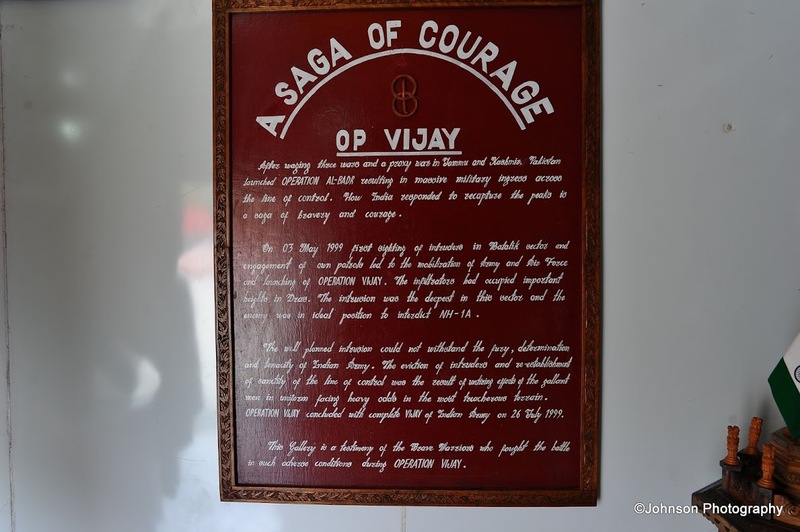 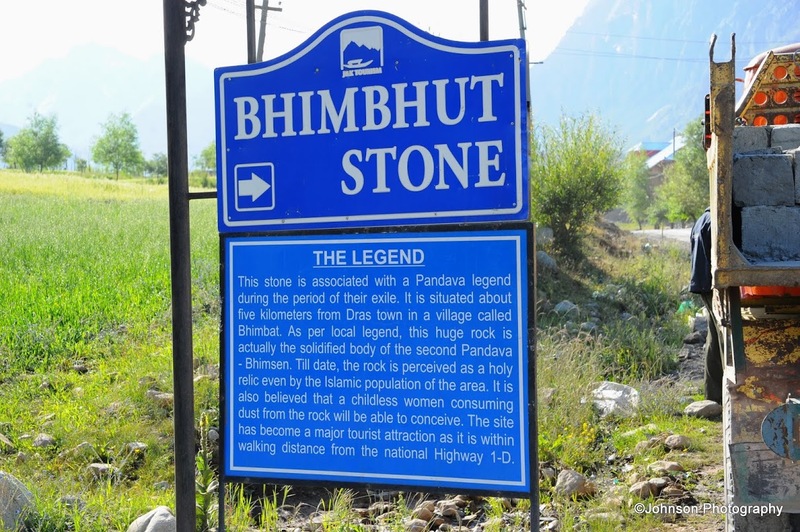 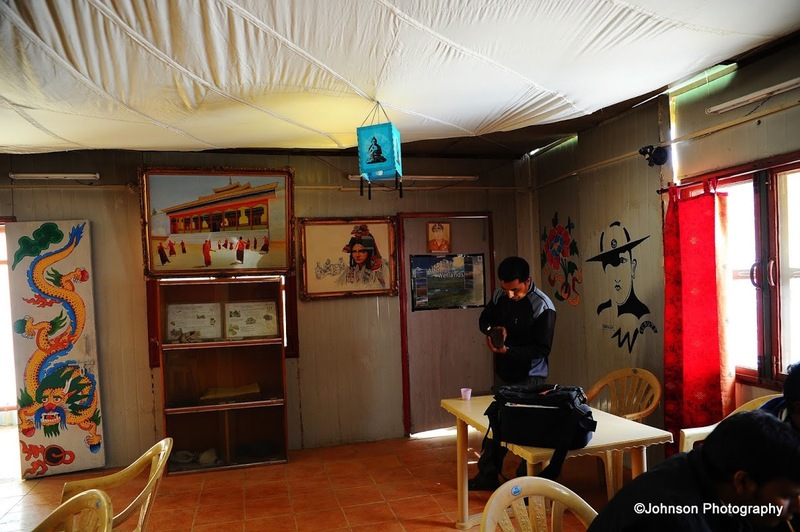 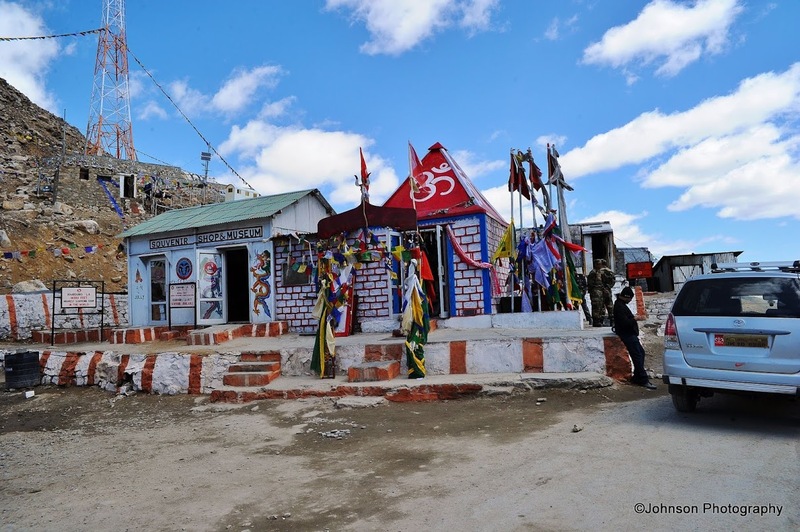 Just after we crossed the Indian army post at Dras, we had a stopover at Bhimbhut Stone. 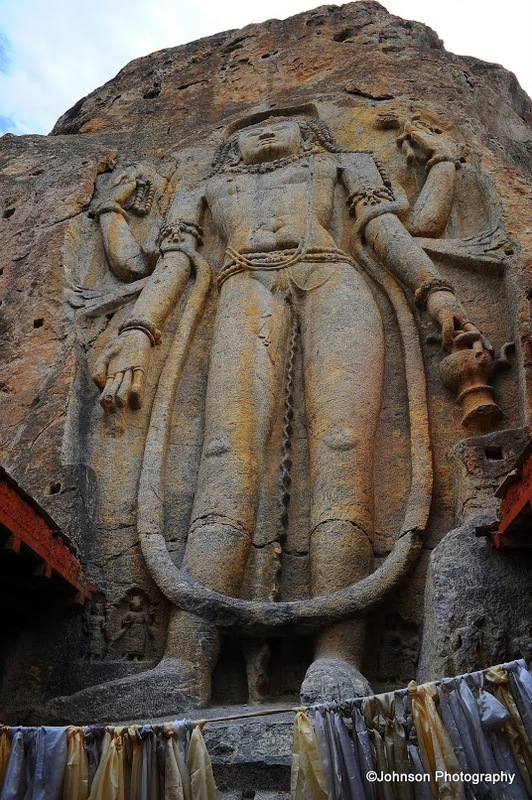 A short walk from the main road took us to this huge stone, believed to be the solidified body of the second Pandava, Bhima. 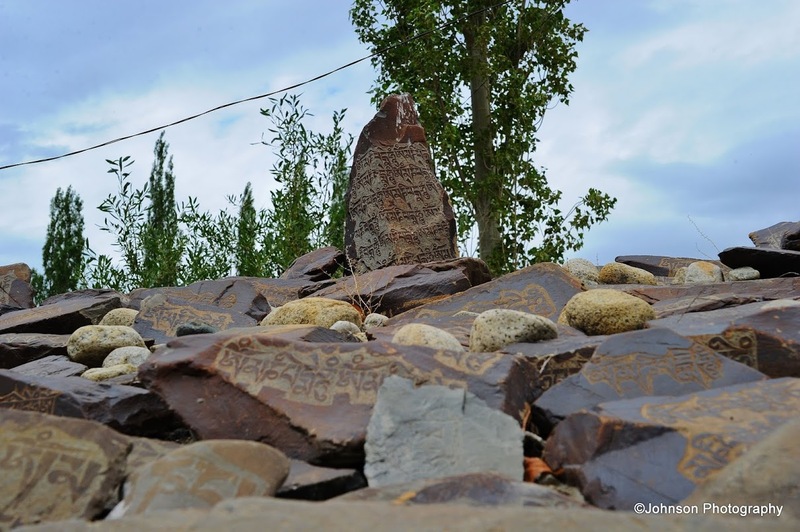 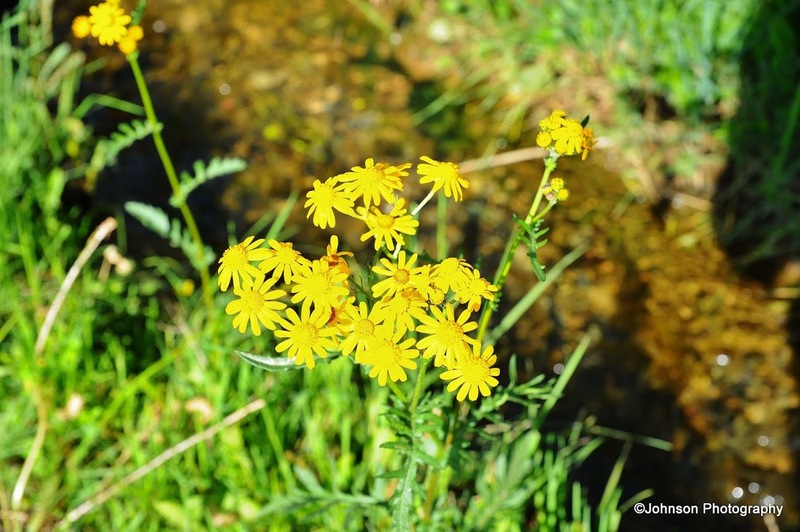 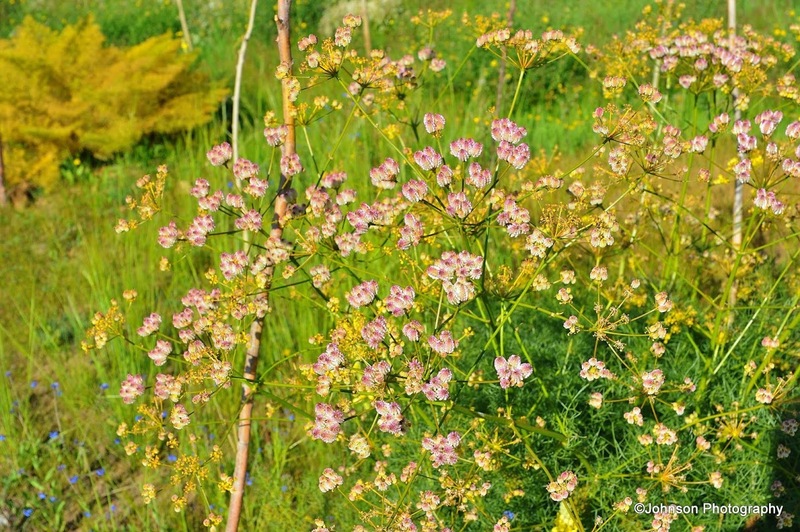 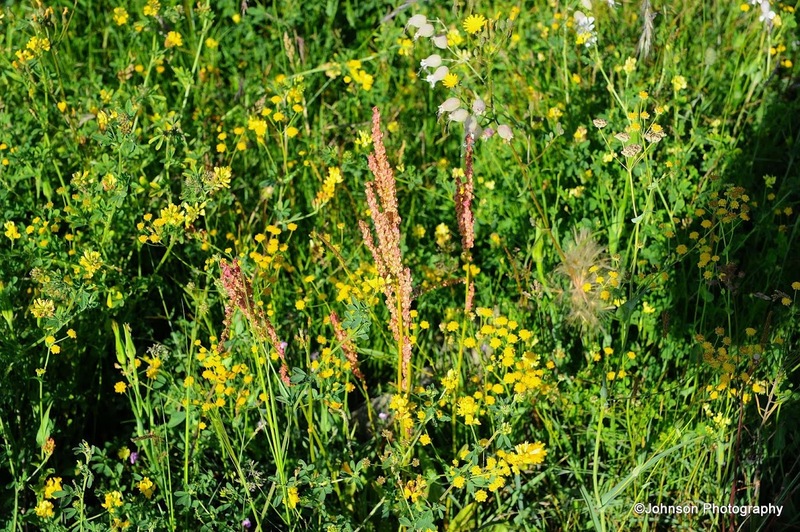 The area around the stone was exceptionally beautiful due to the green grass and wild flowers. 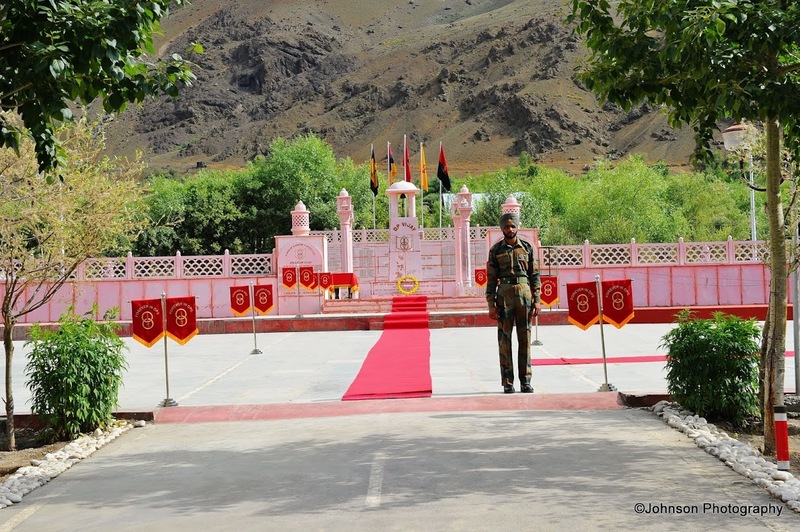 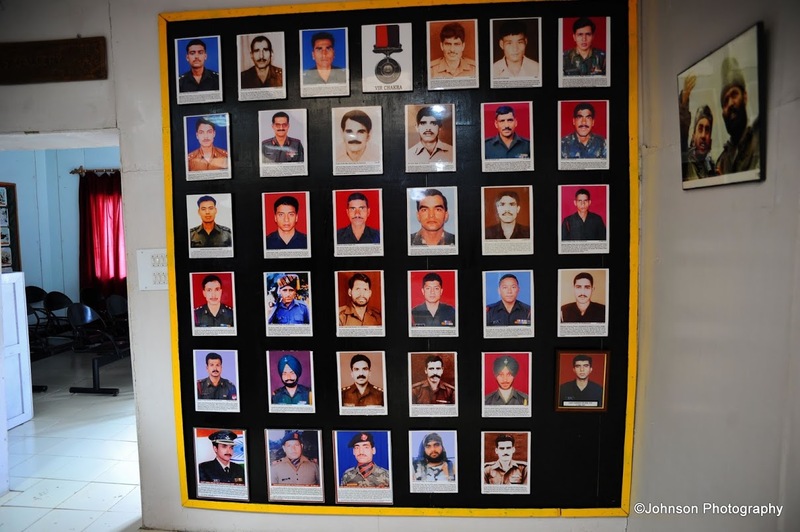 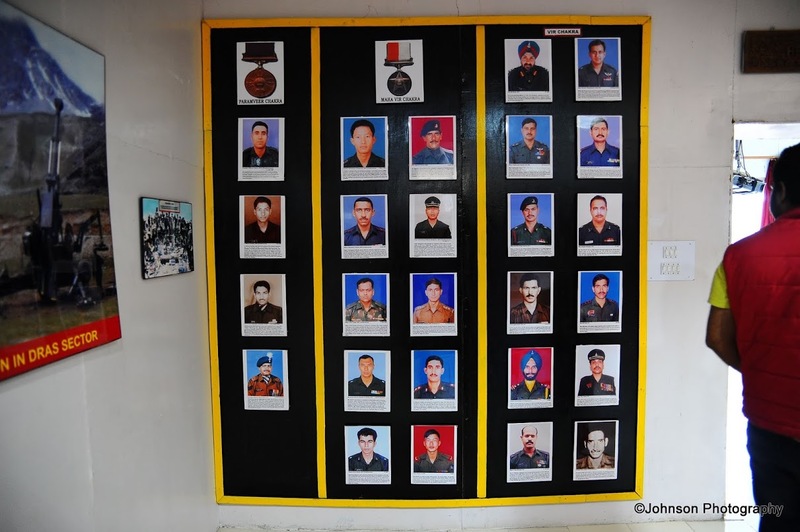 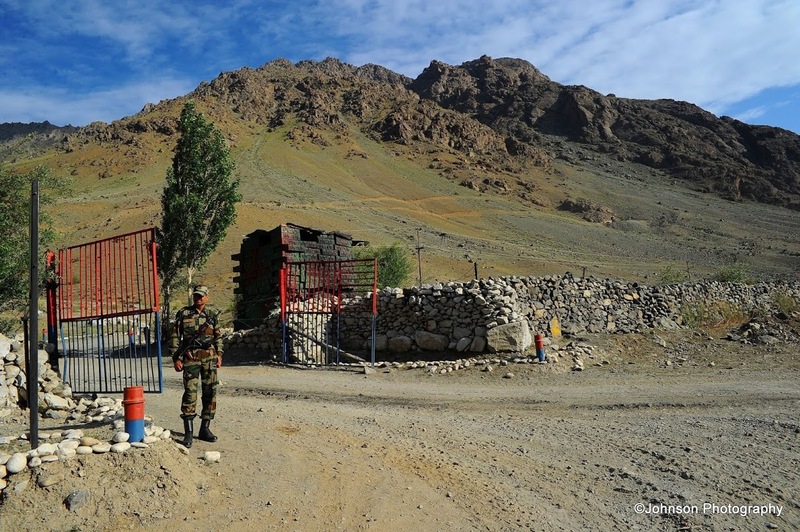 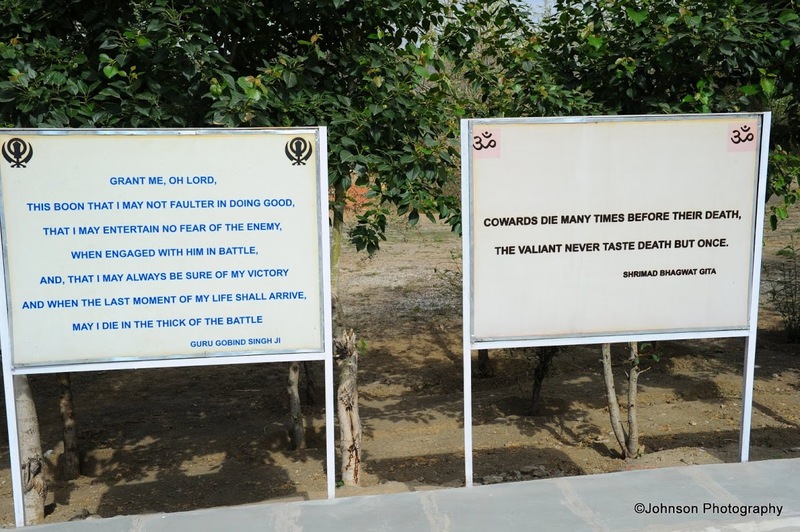 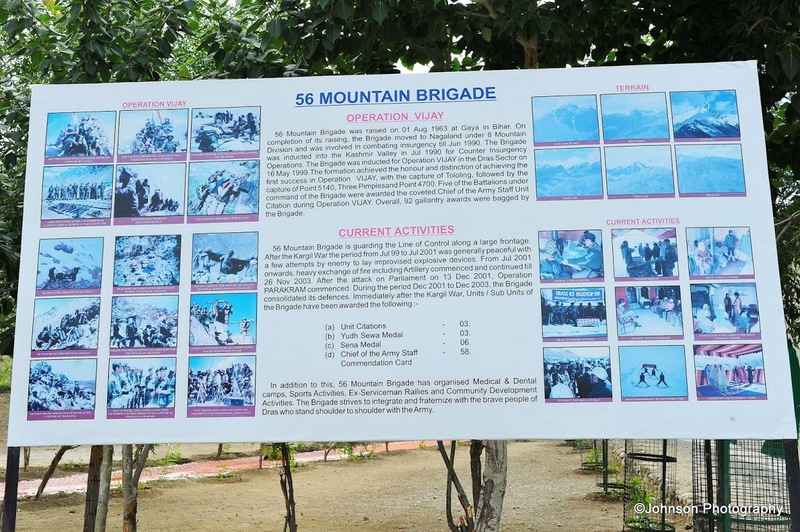 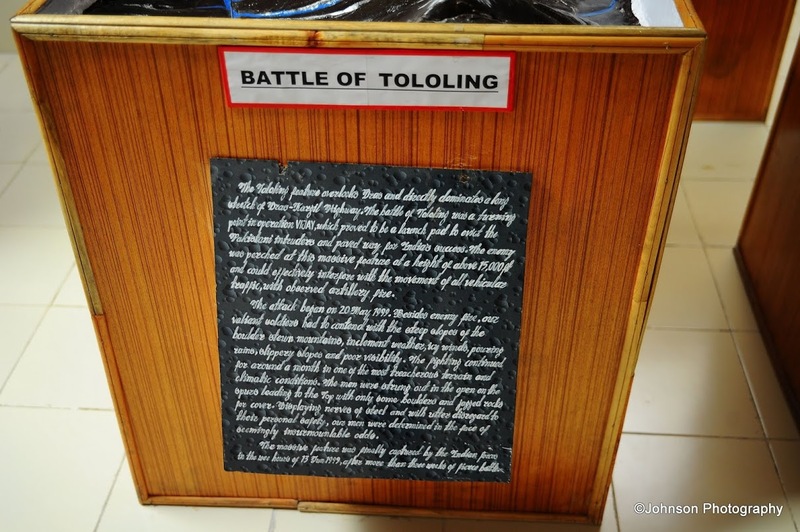 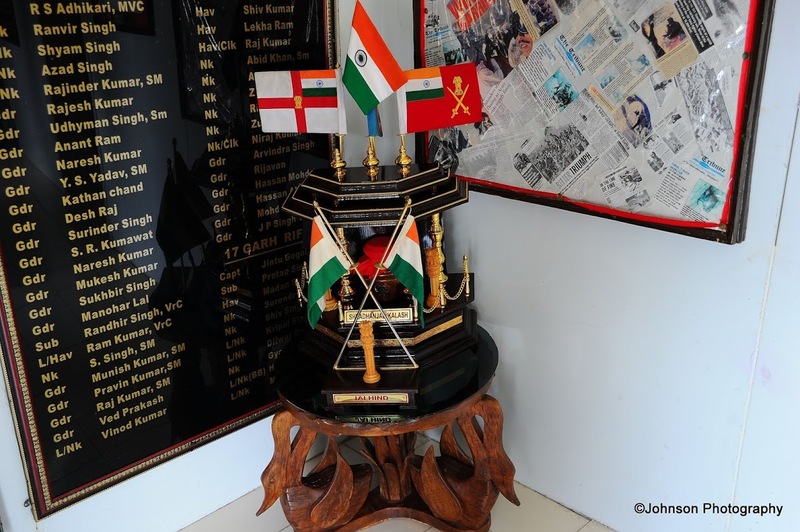 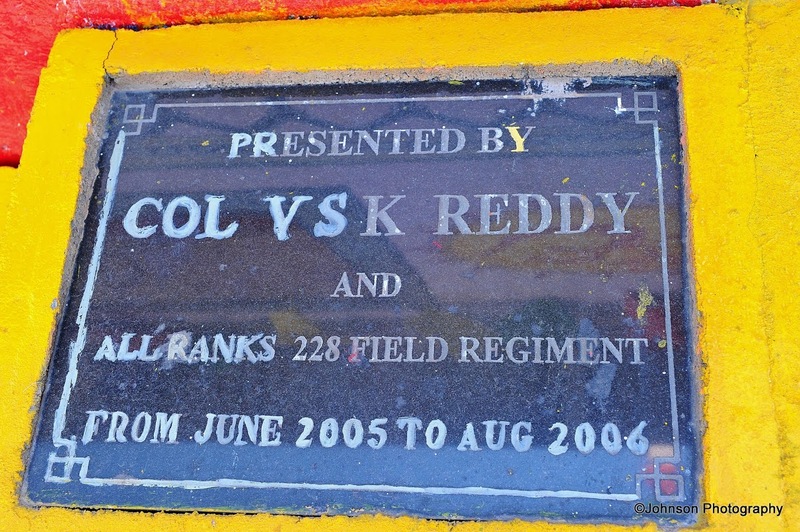 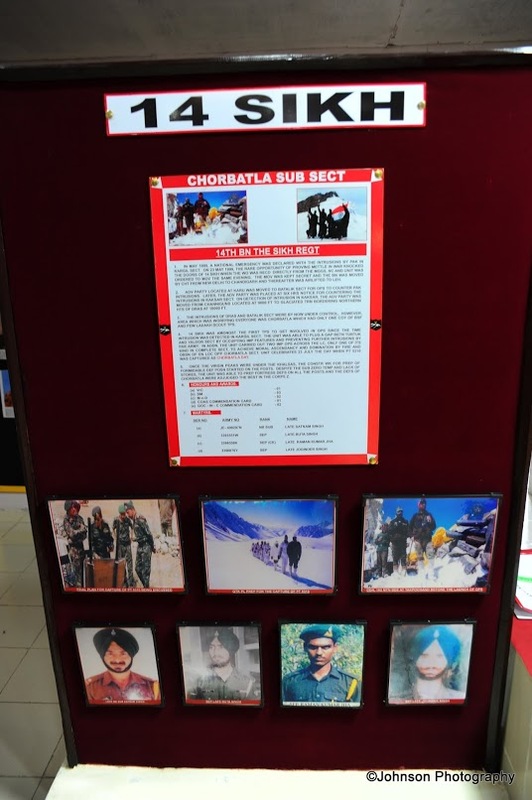 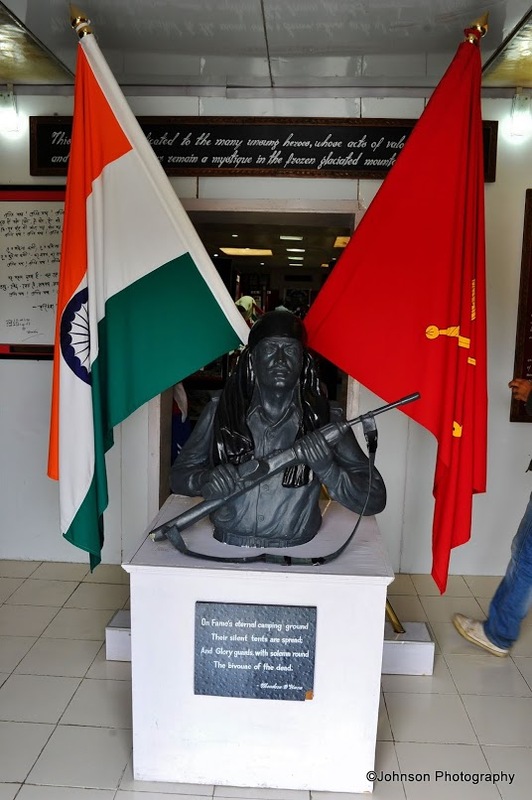 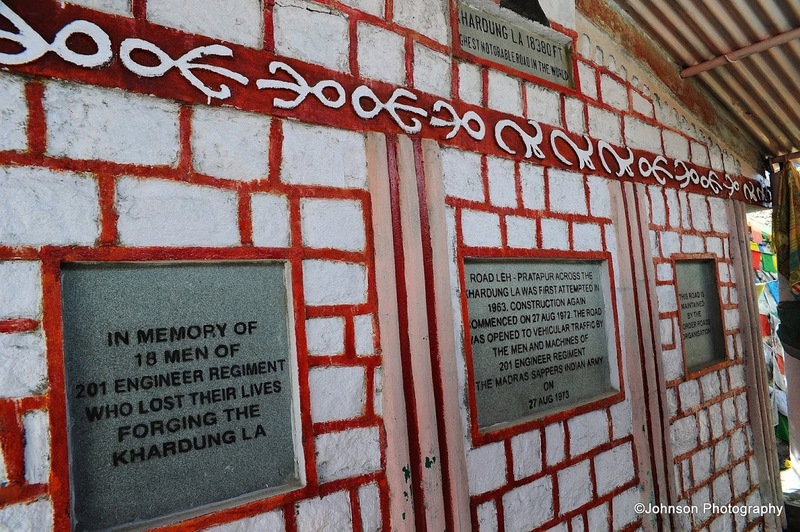 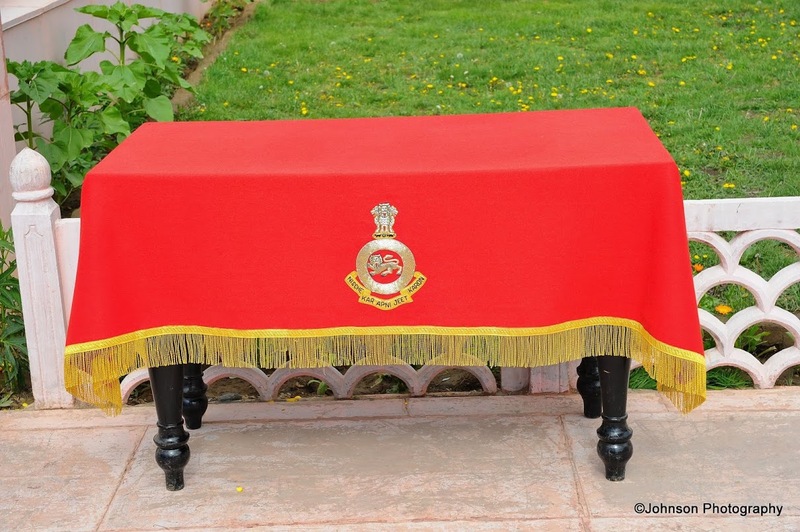 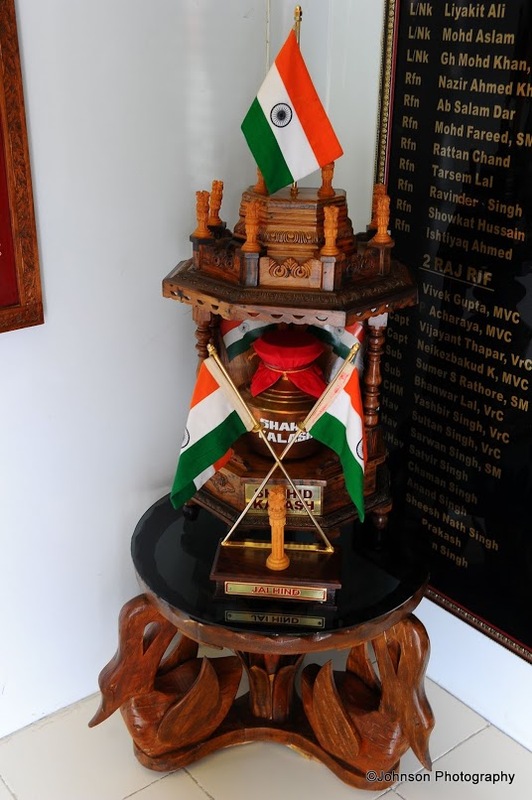 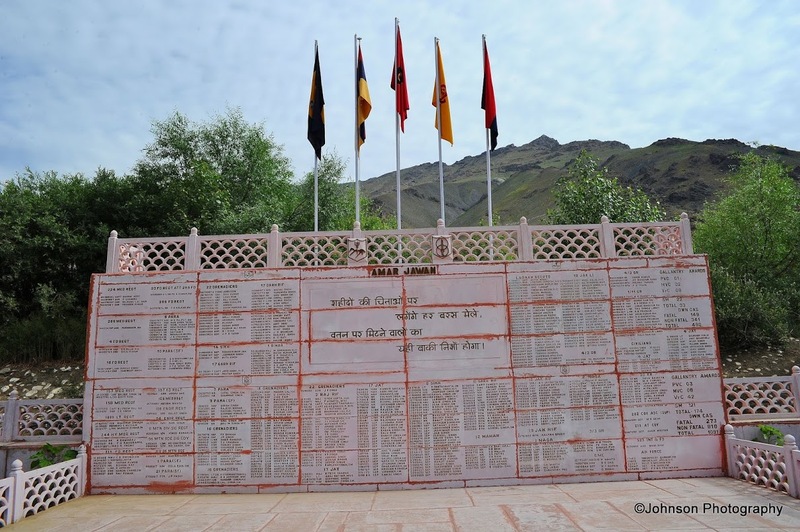 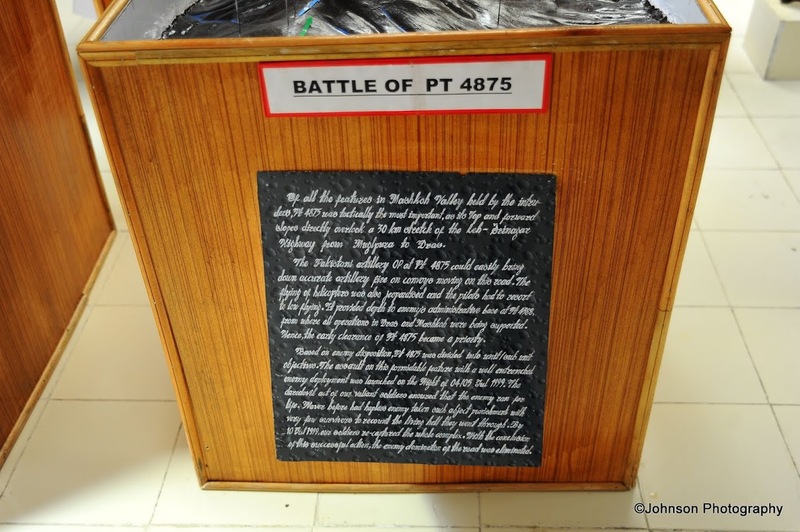 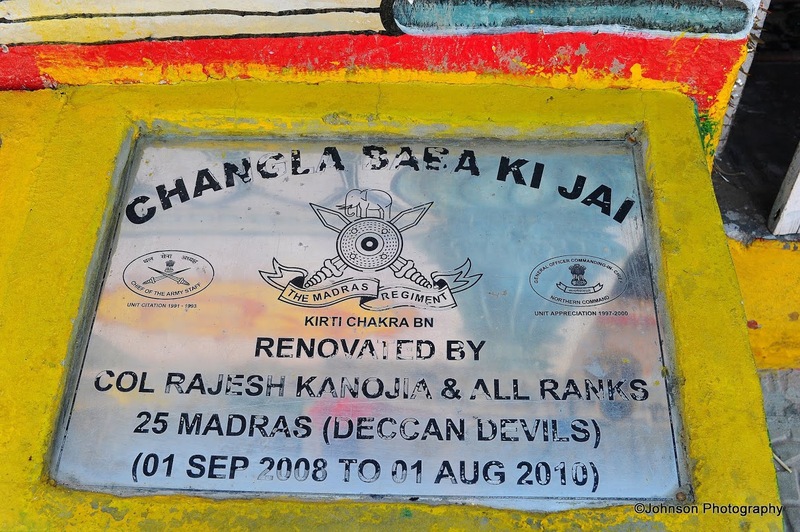 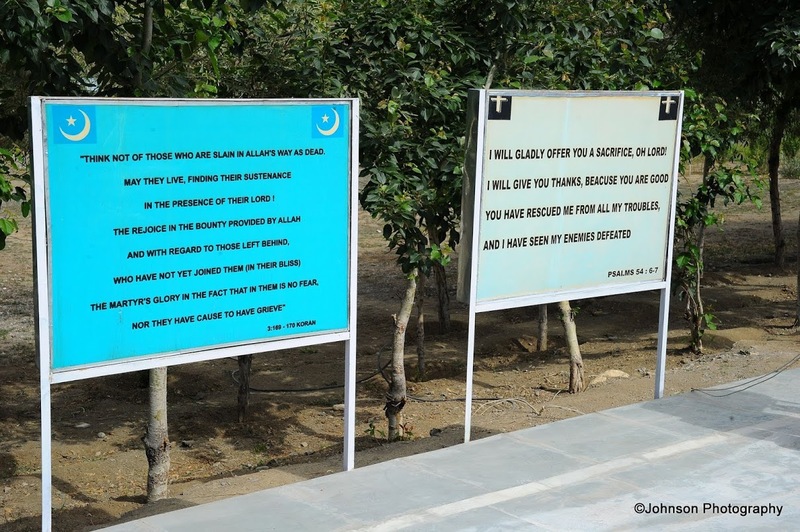 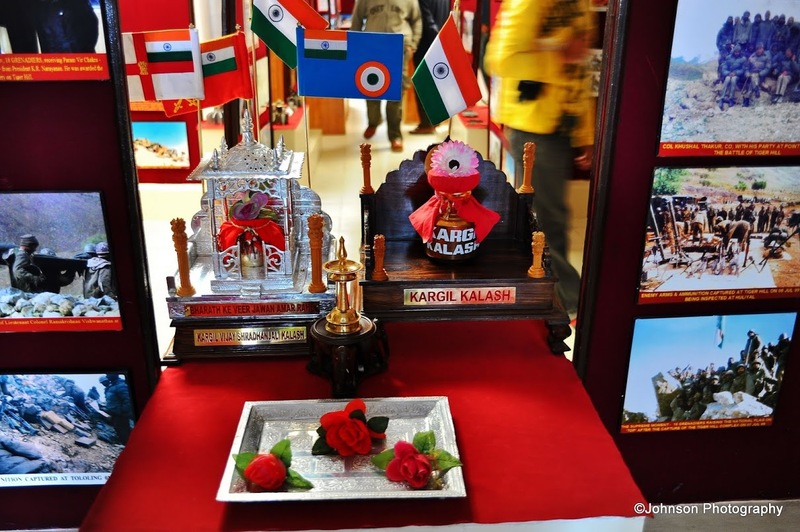 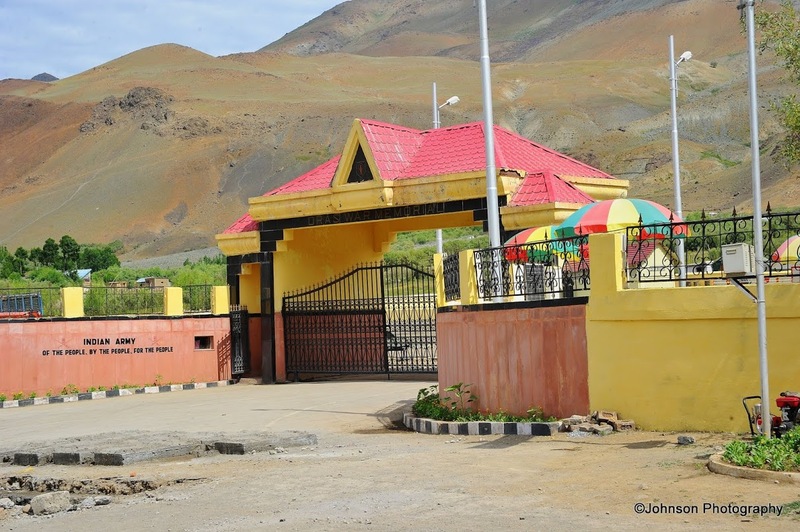 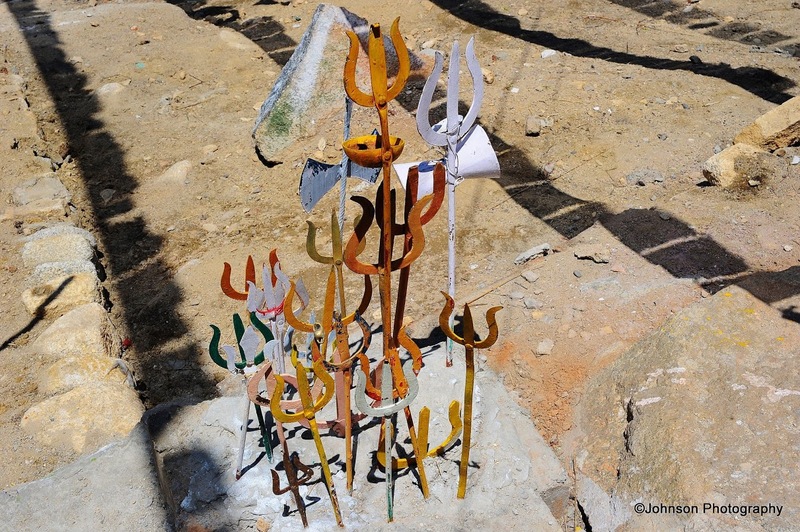 A war memorial is erected in remembrance of the martyred soldiers of Kargil War. 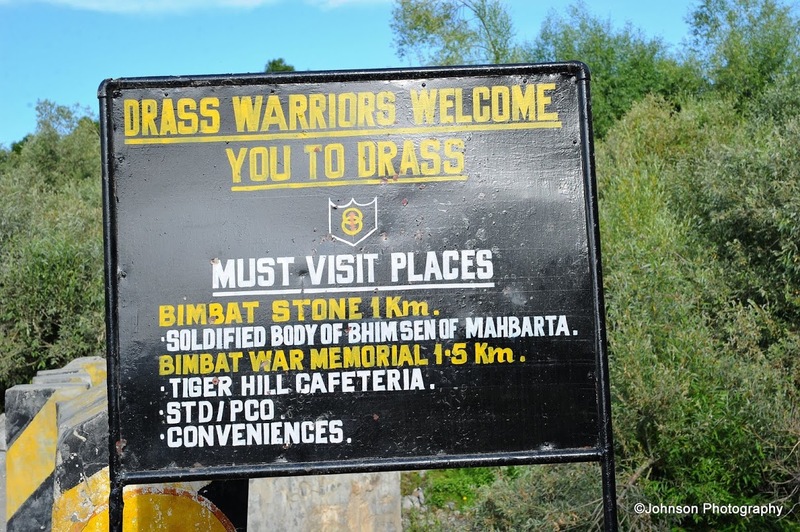 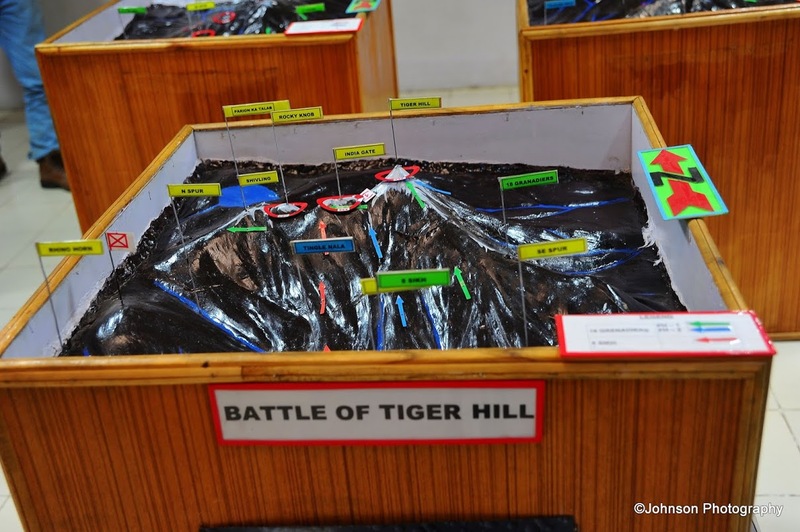 The war memorial also known as Vijaypath is located 5 km from the city centre across the Tiger Hill on the foothills of Tololing Hill. 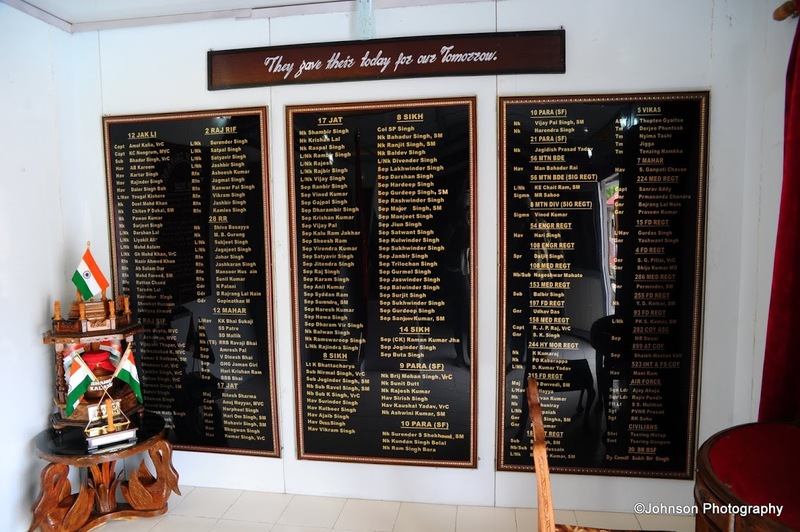 The memorial has a huge epitaph with names of all the officers and soldiers who died in the war. 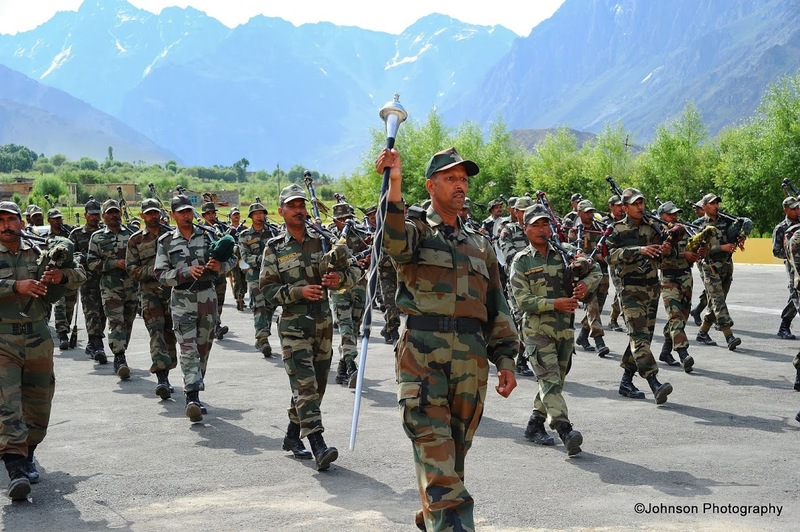 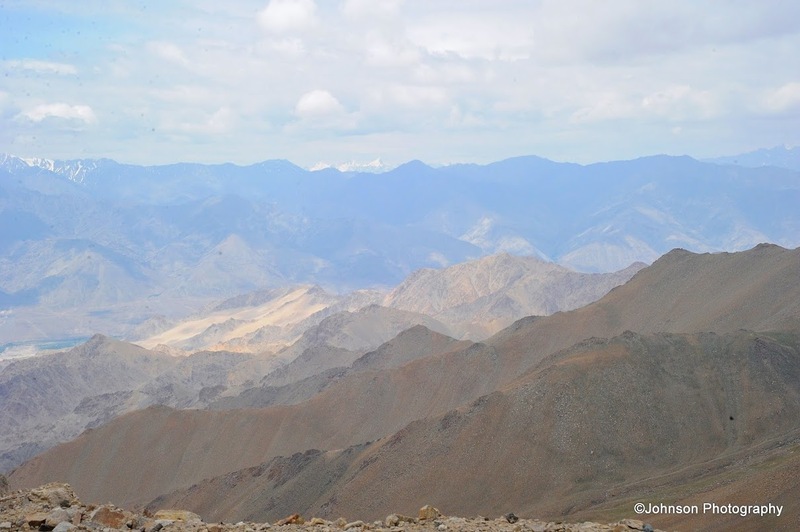 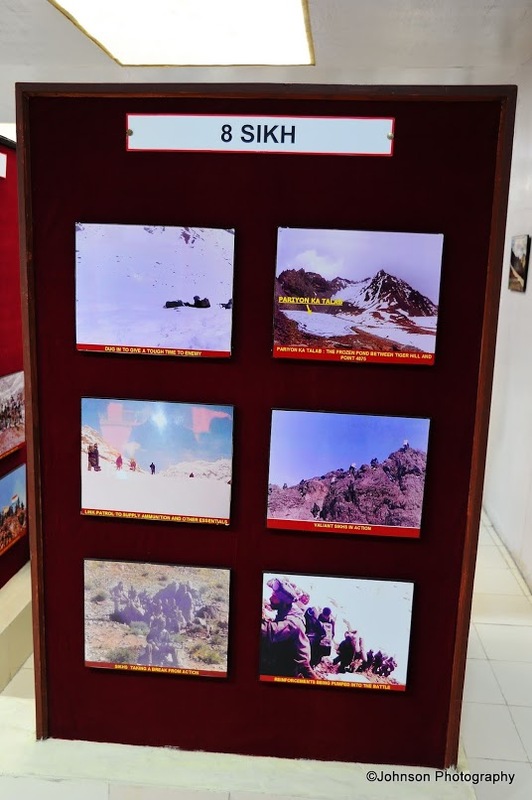 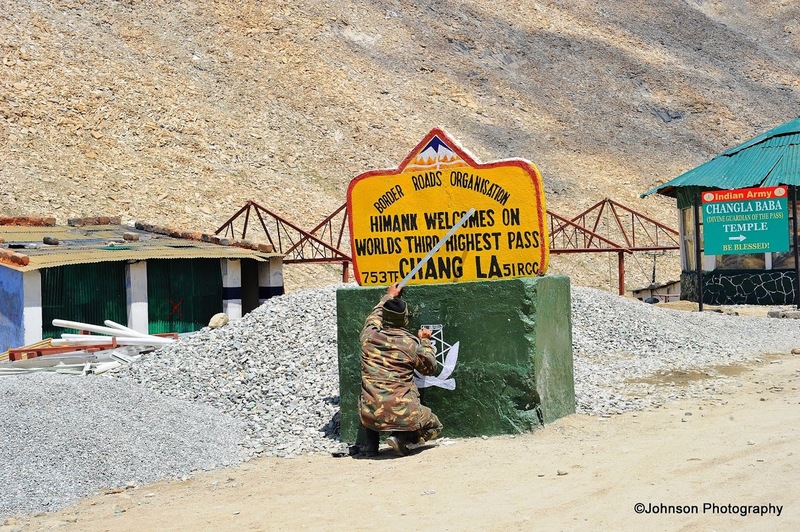 Visitors to the memorial can also see from there some of the peaks that the Indian army captured back from Pakistan. 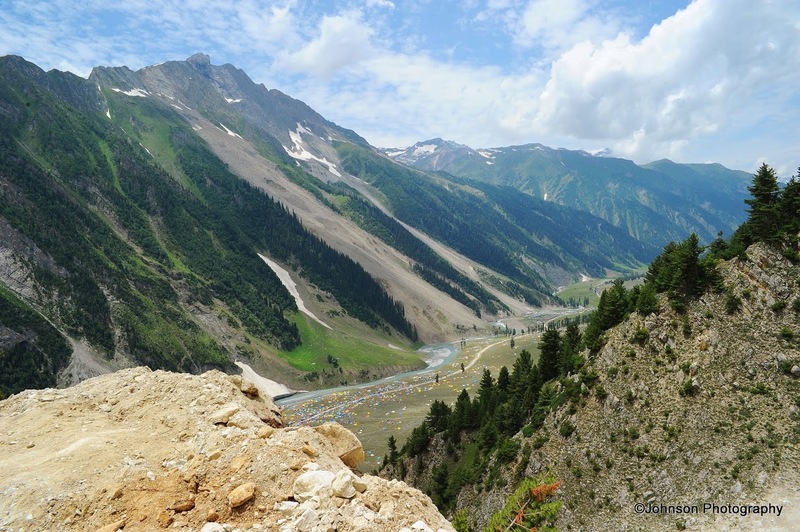 Further on the way to Sonmarg we had another stopover at the Draupadi Kund, a small pond on the highway. 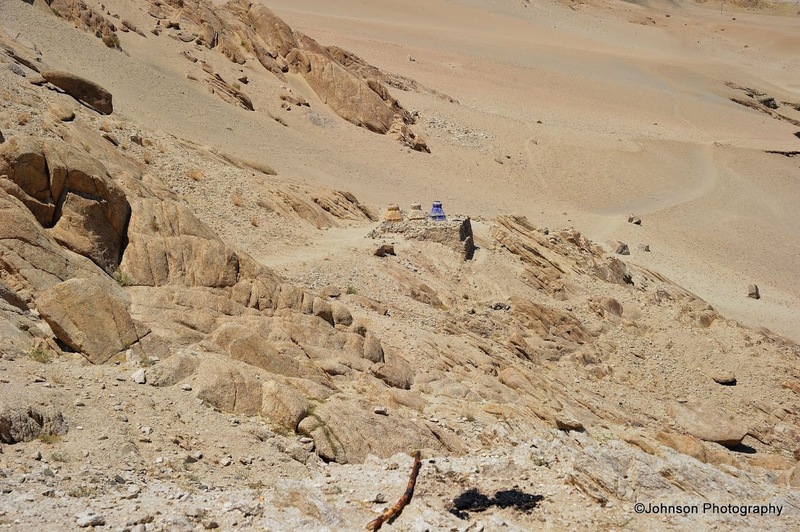 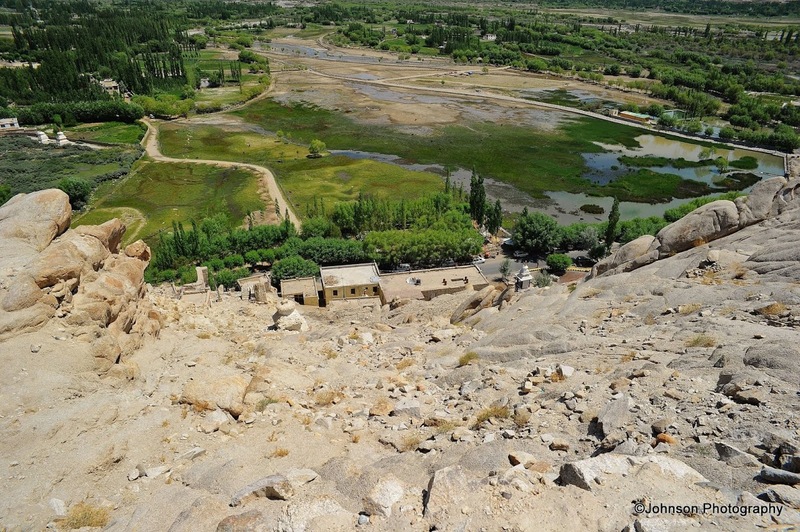 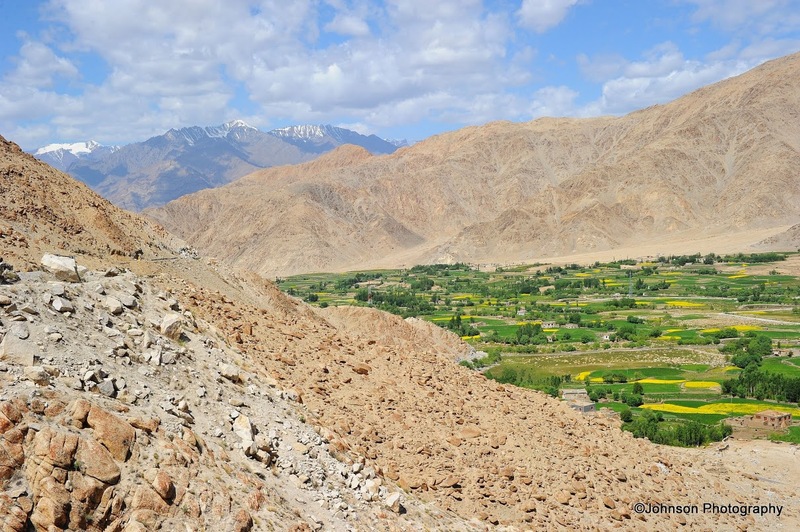 It is believed that Draupadi the wife of Pandavas bathed here on her way to the Himalayas. 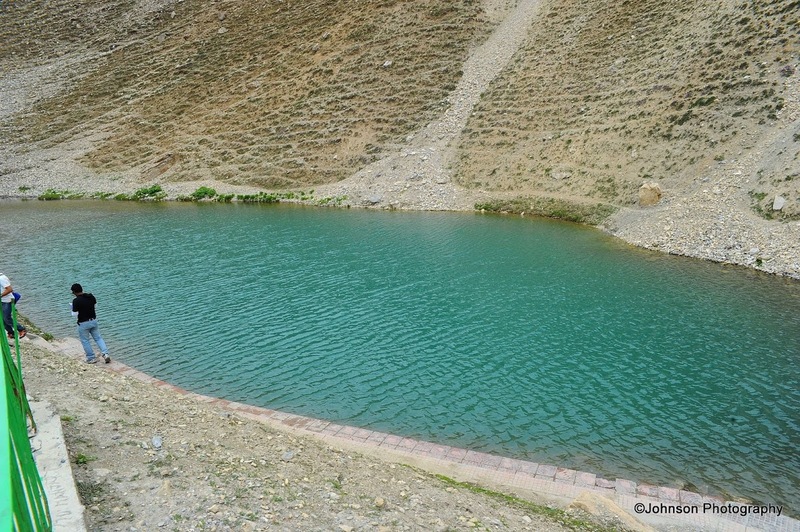 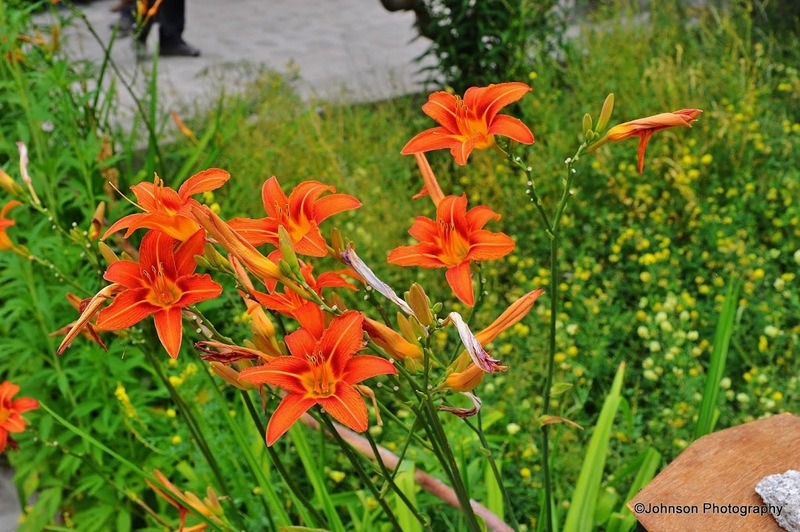 Irrespective of all such beliefs the pond is located in a picturesque surrounding and worth a visit. 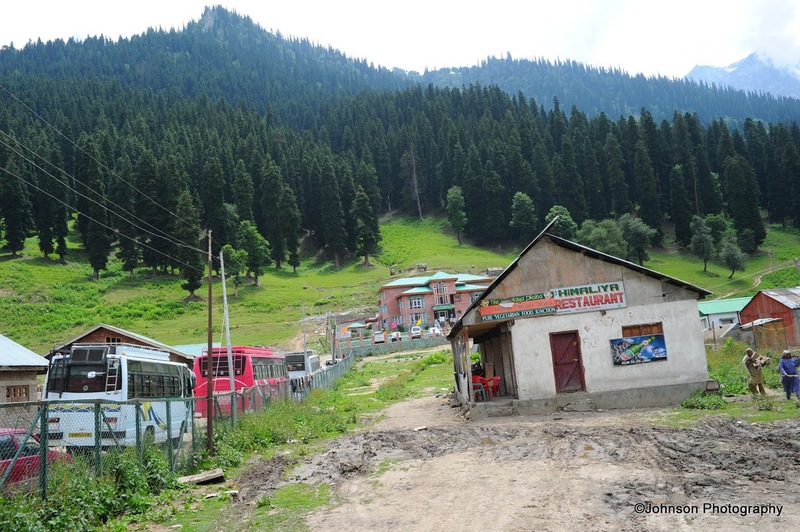 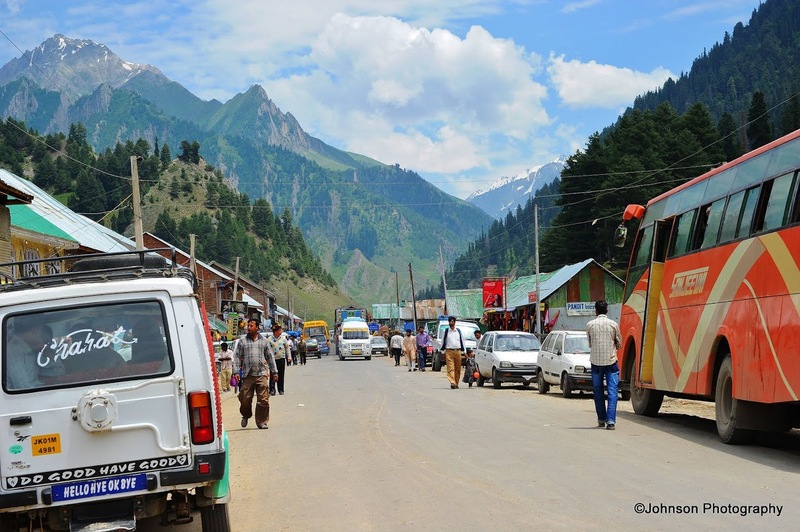 Sonmarg lies 63 km from Dras, enroute Srinagar on the Leh-Srinagar highway. 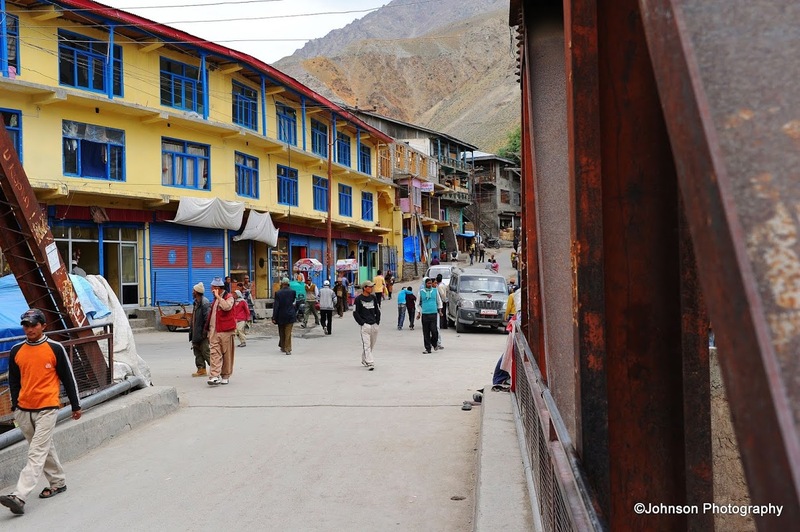 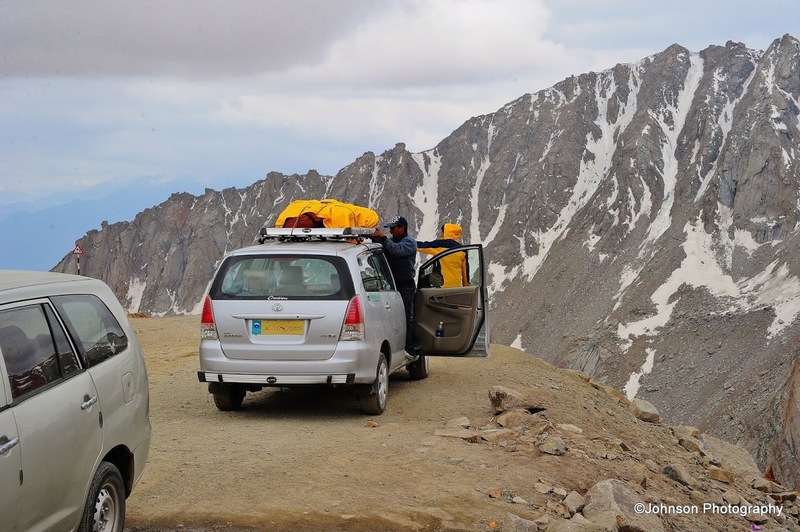 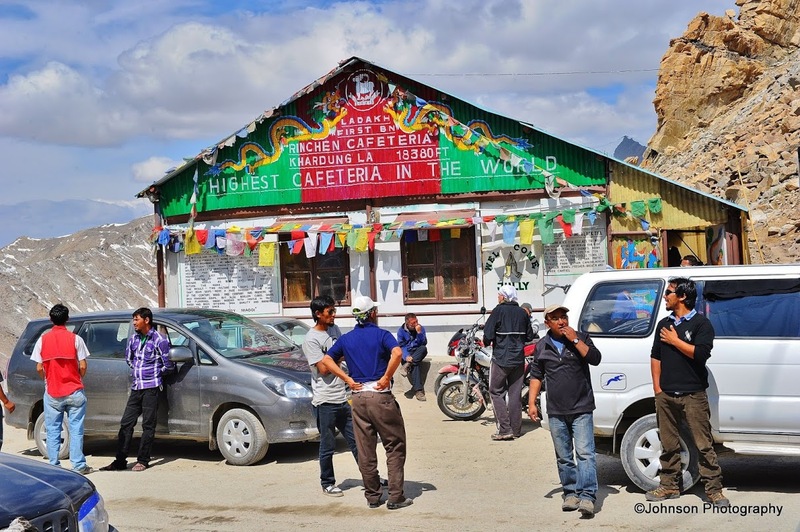 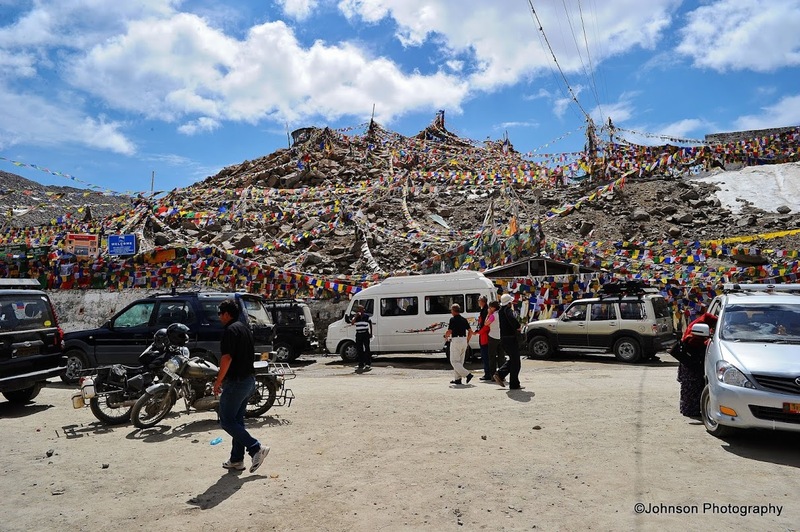 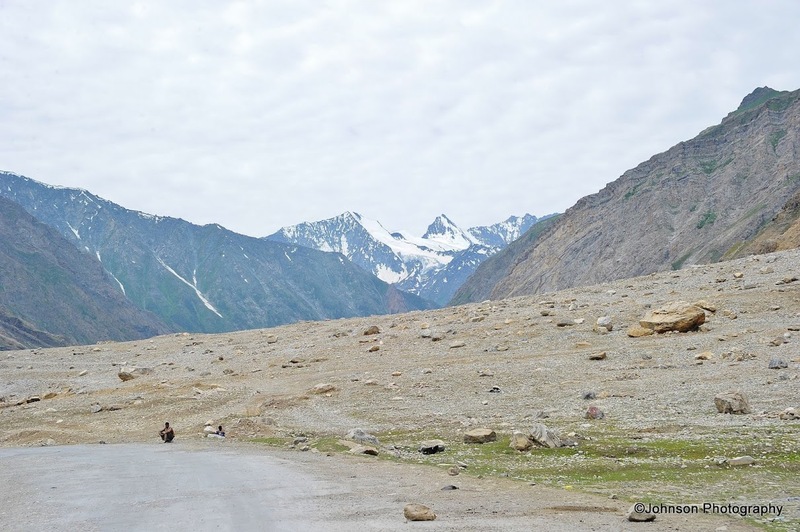 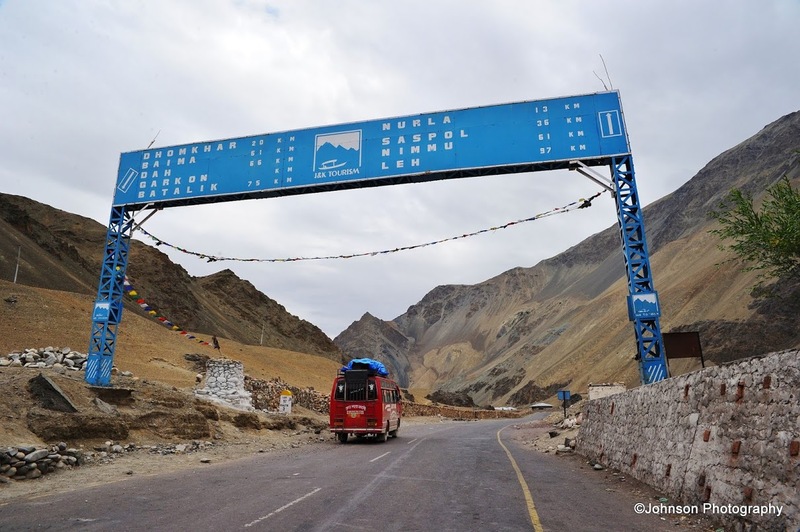 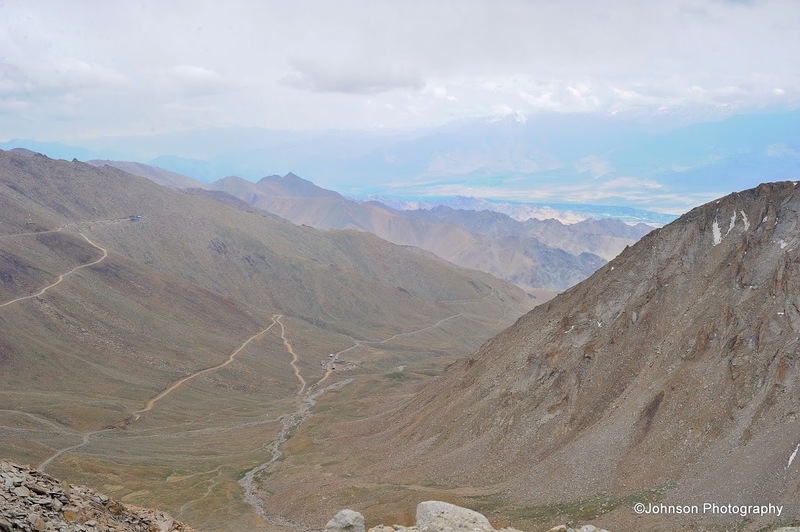 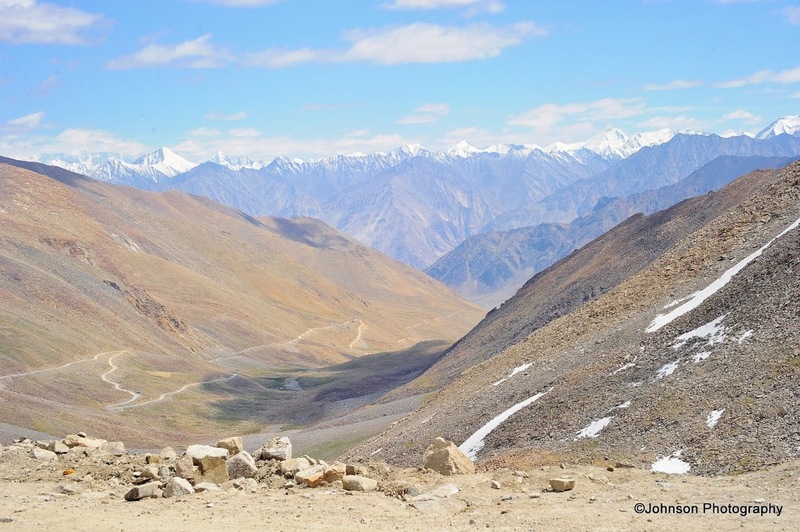 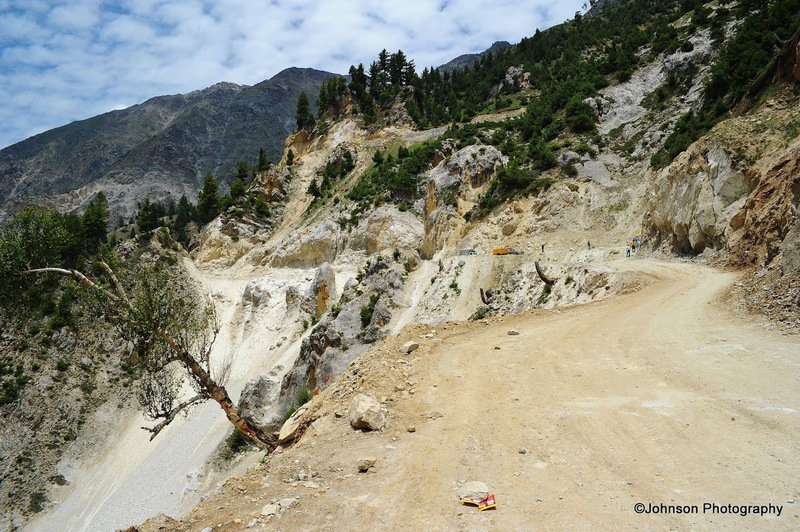 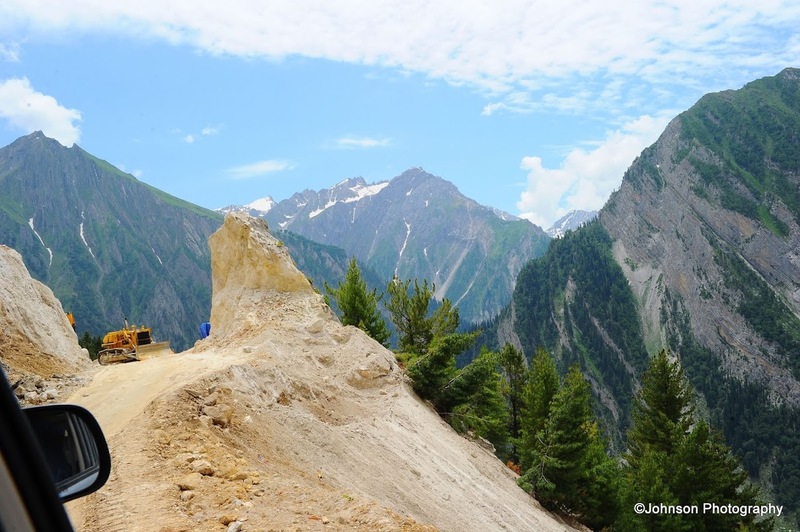 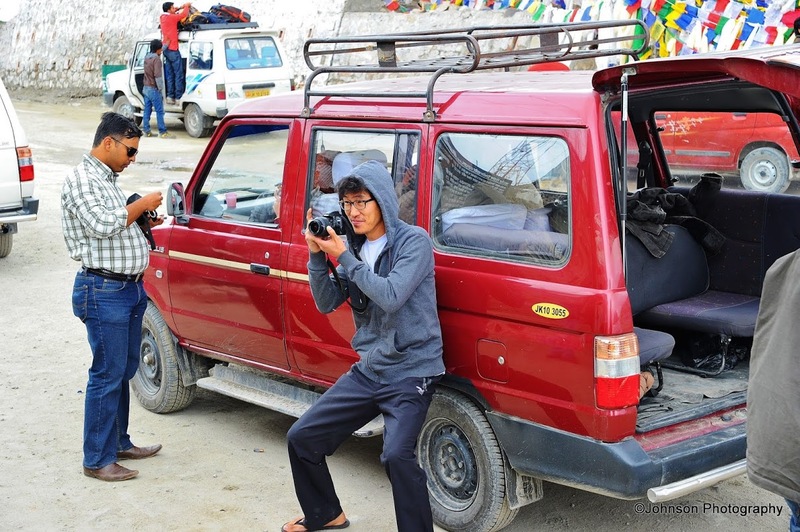 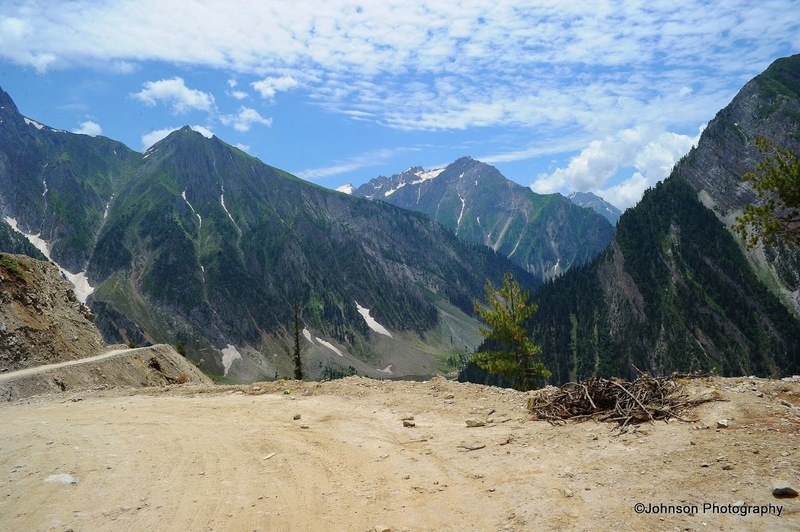 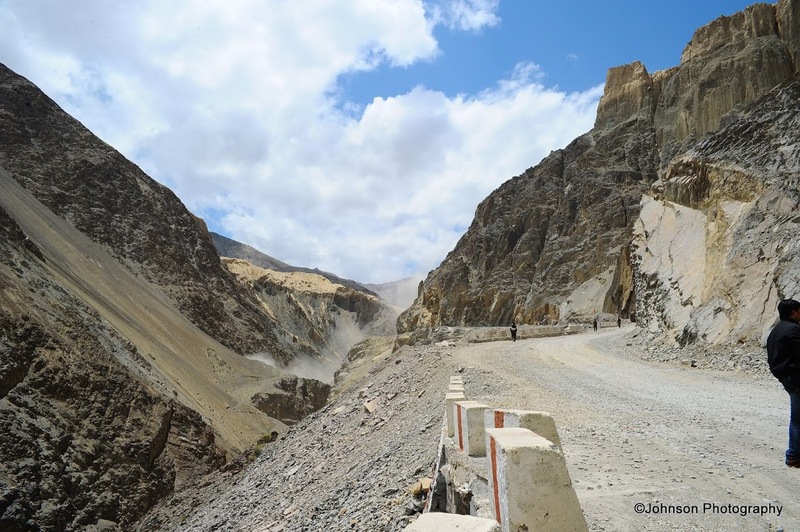 One traverses the Zojila Pass on the way at an elevation of 11,575 feet. 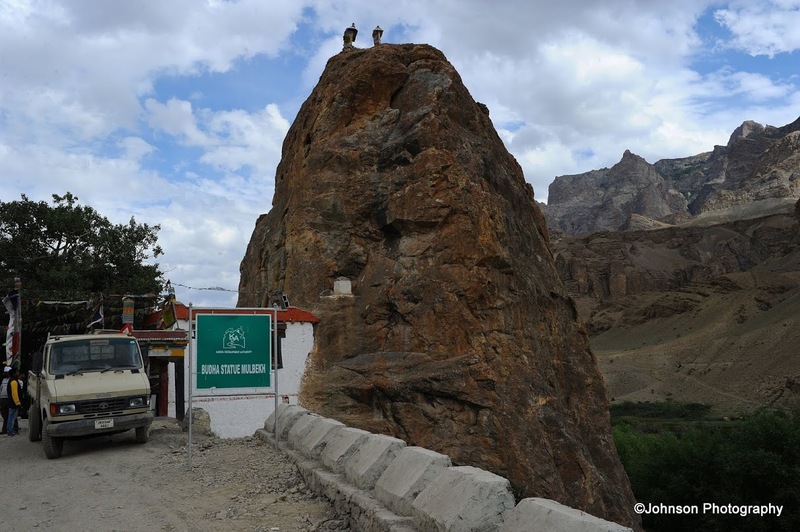 This is the second highest pass after Fotu La on the Leh-Srinagar highway. 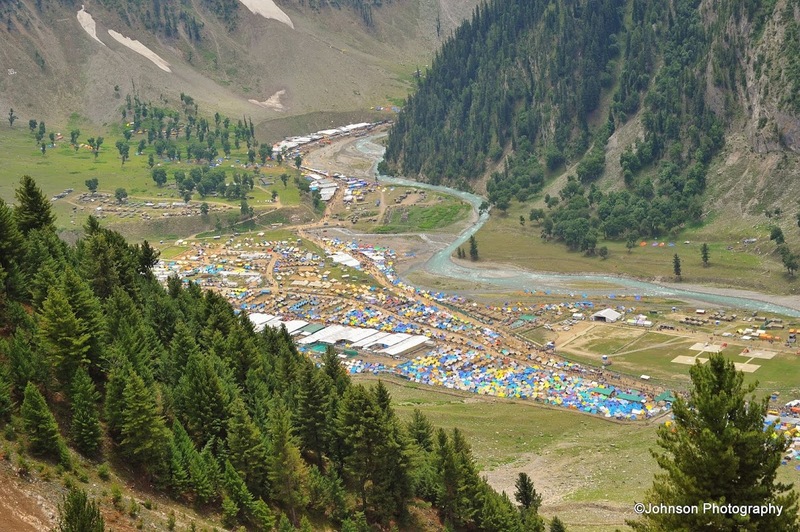 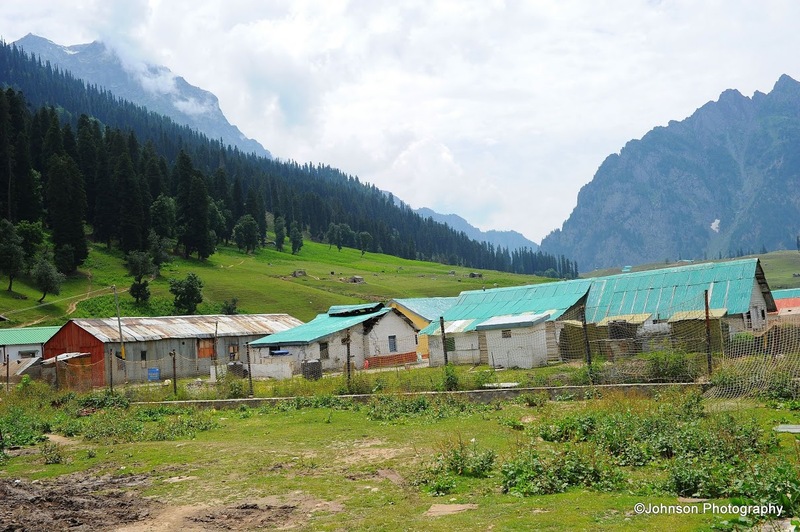 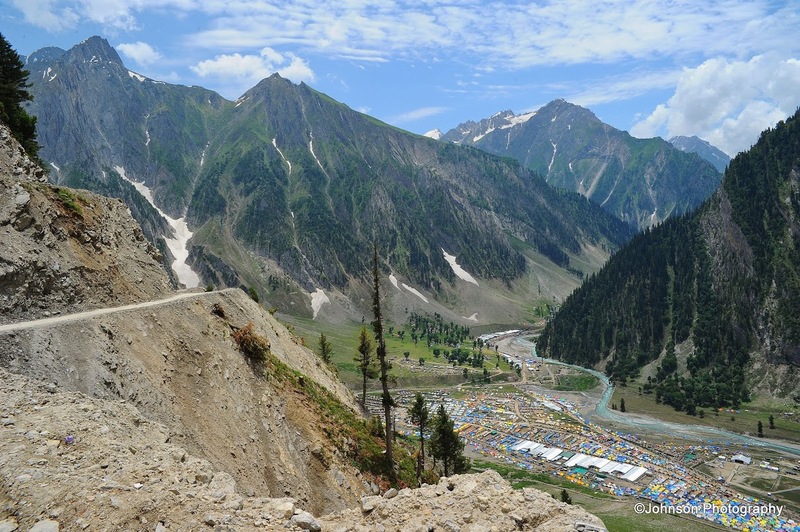 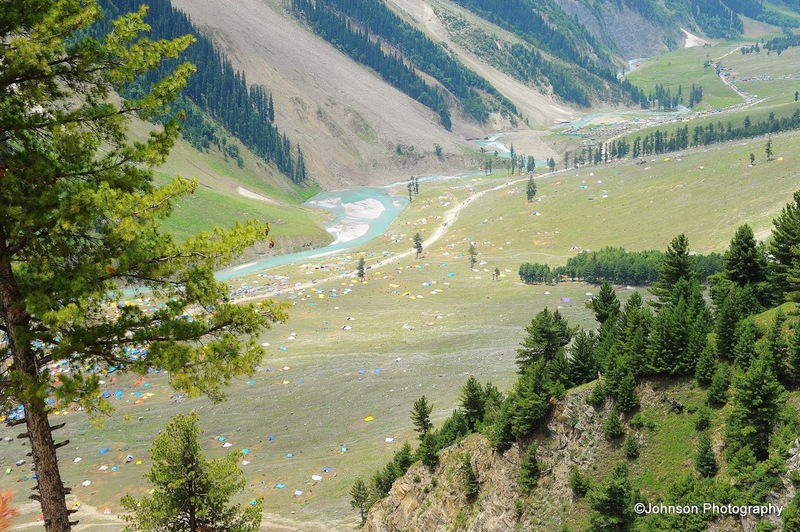 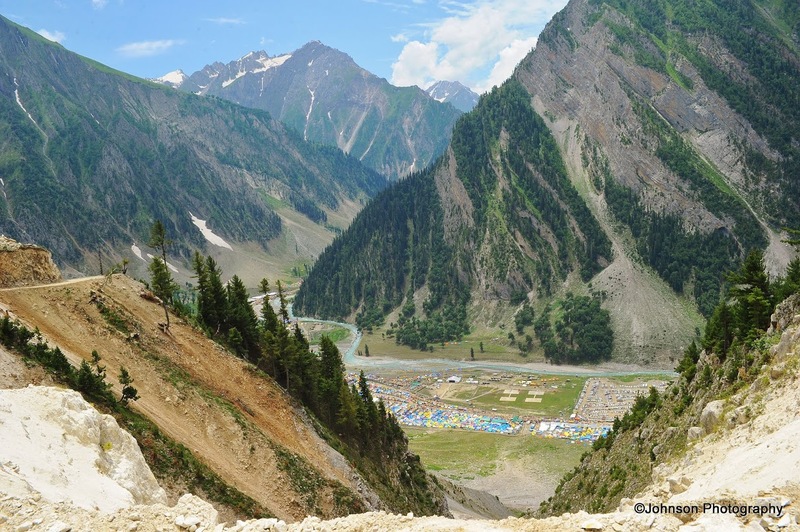 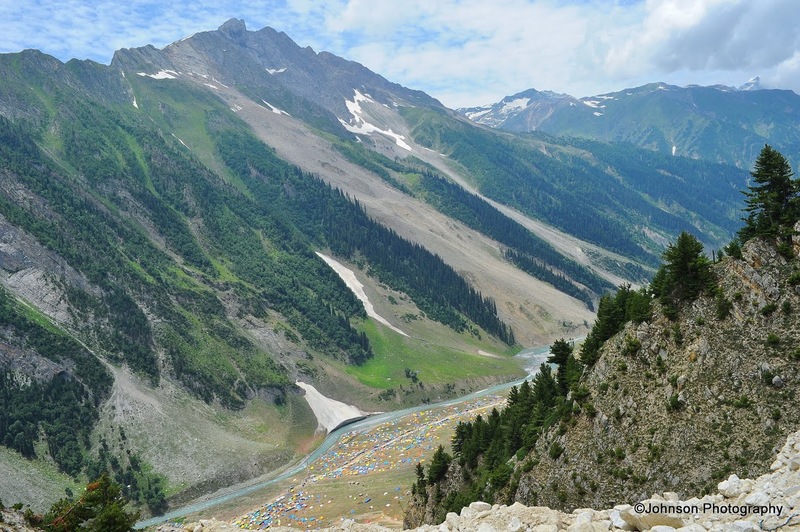 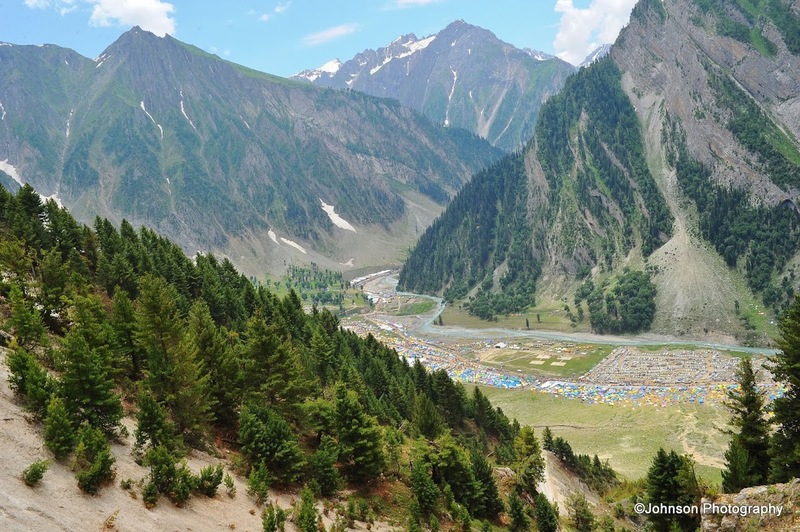 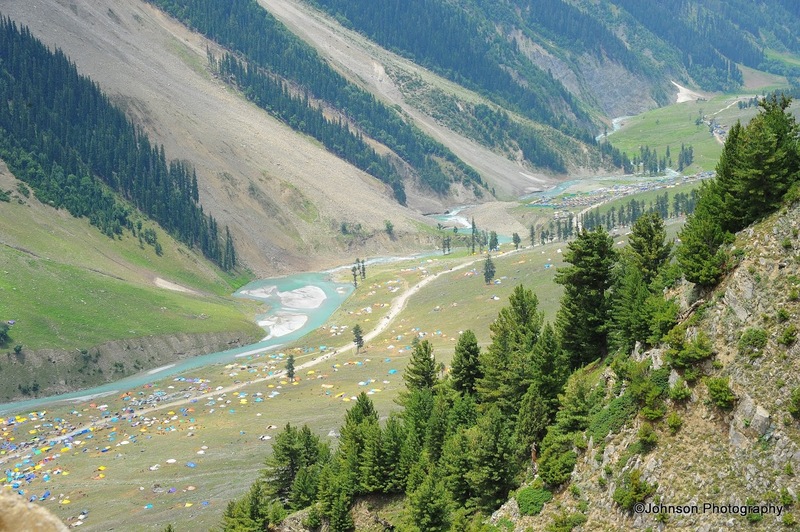 After crossing the pass we could see the Amarnath camping site along the Sonmarg valley. 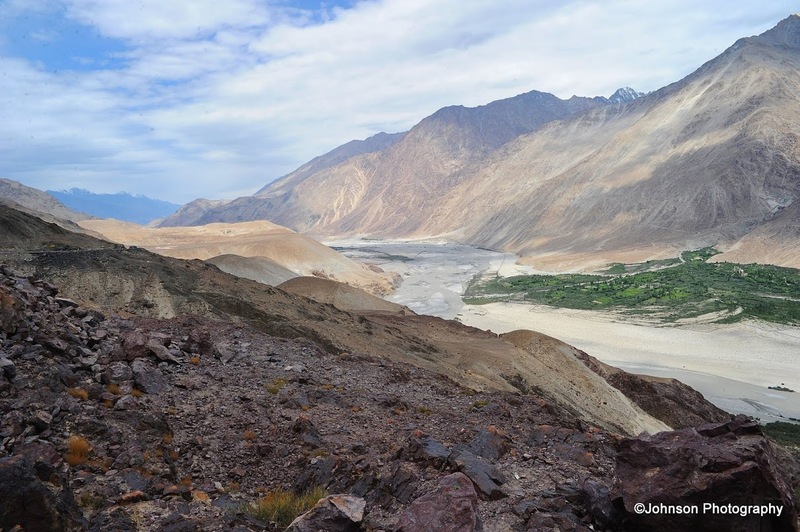 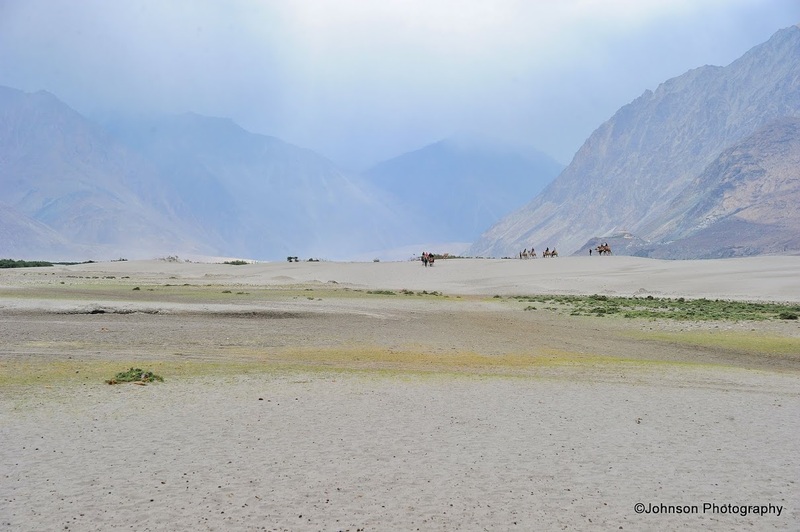 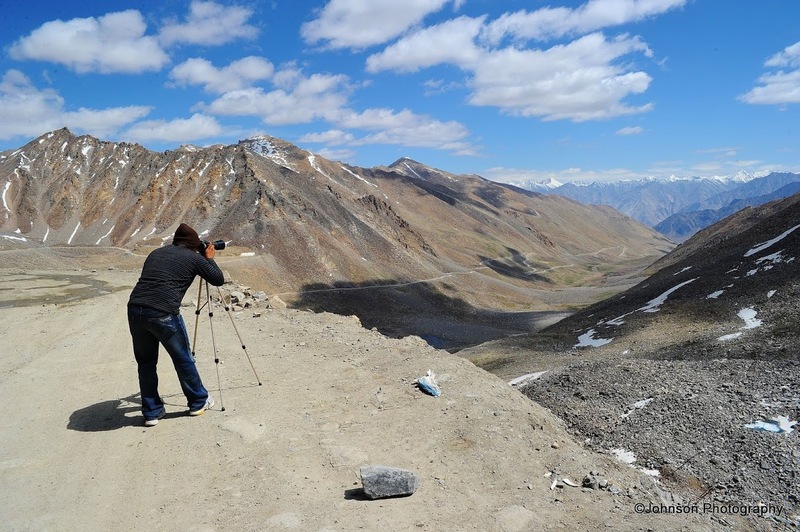 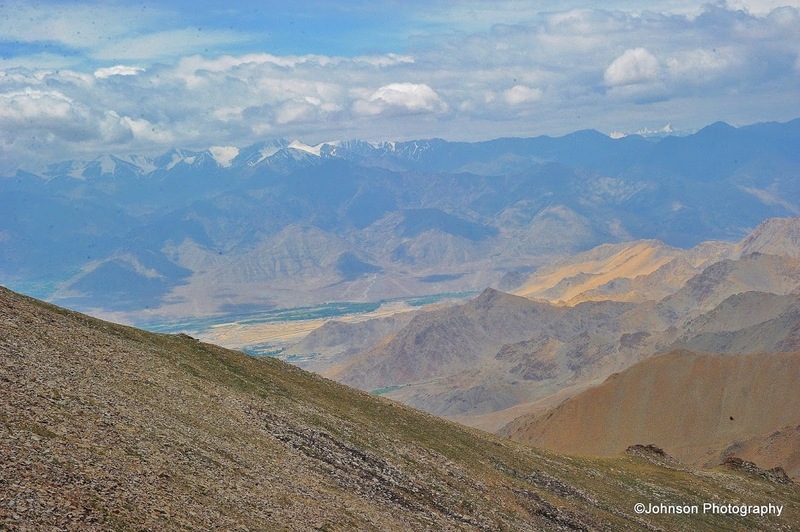 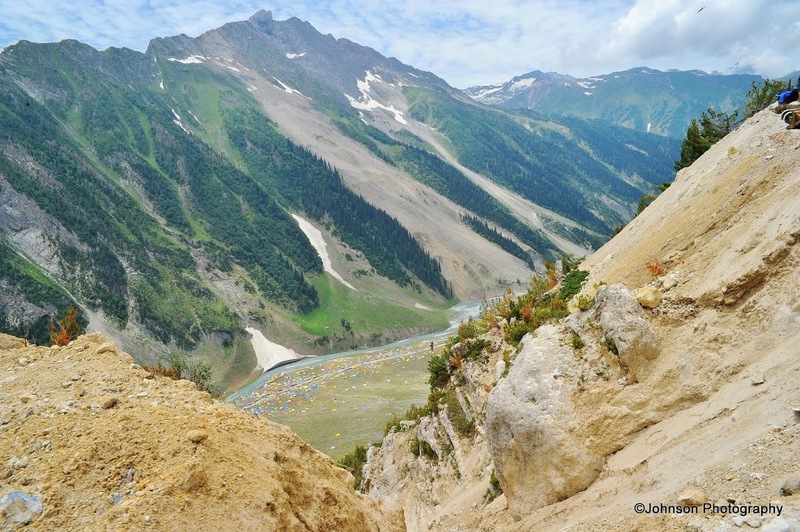 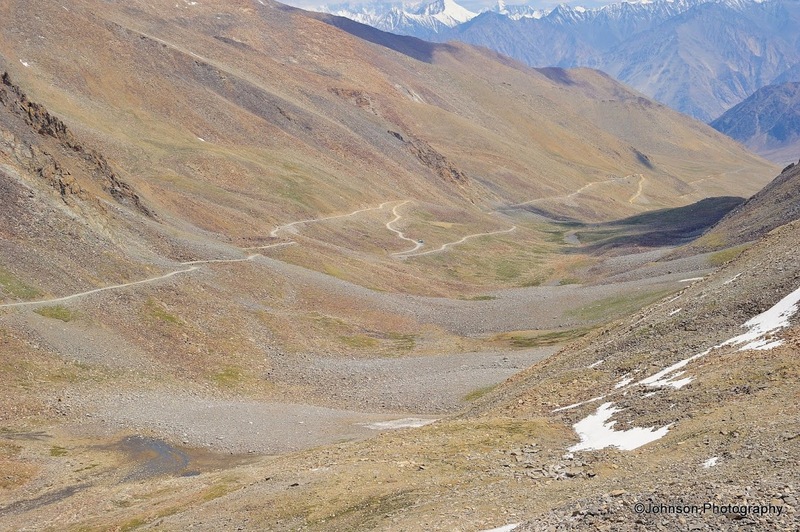 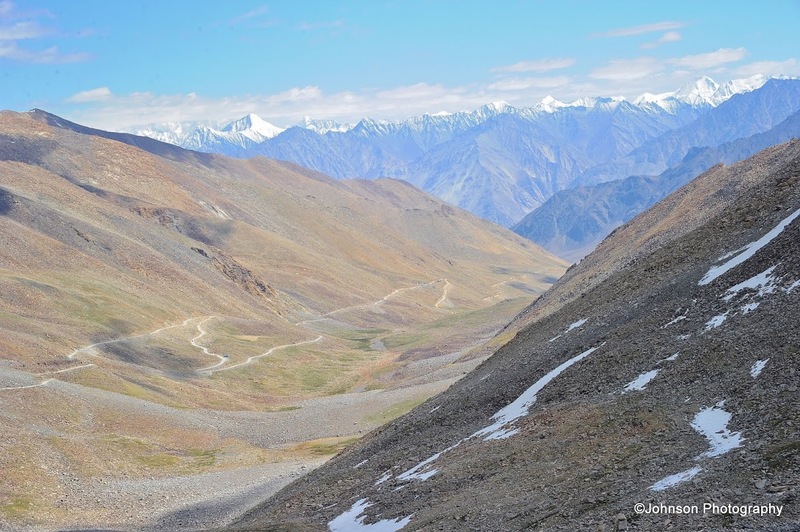 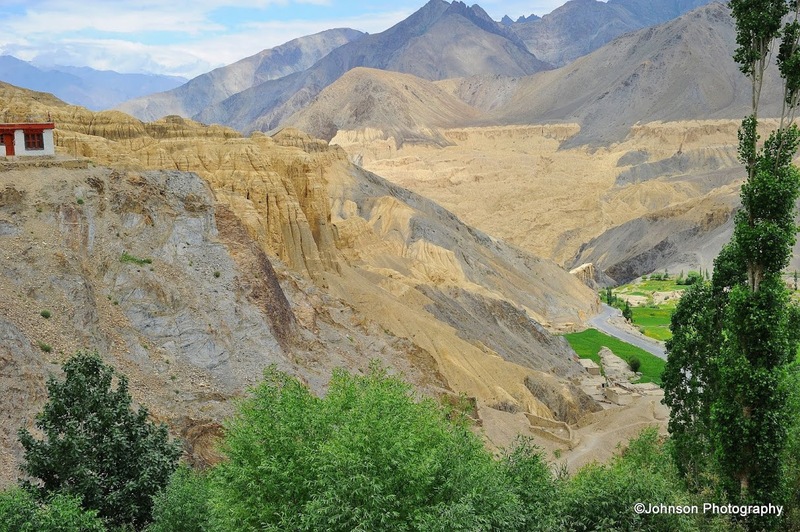 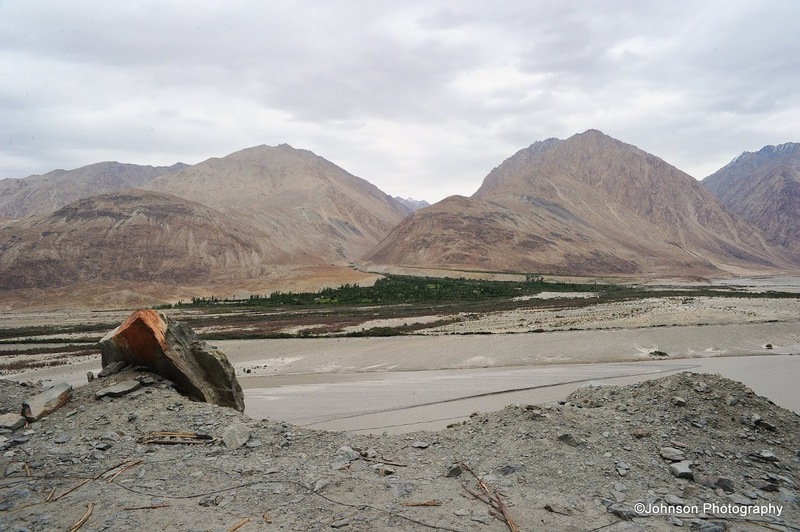 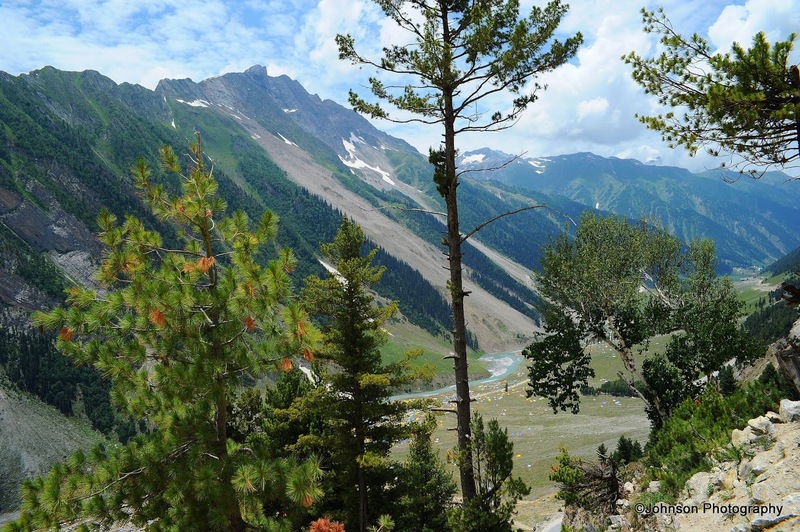 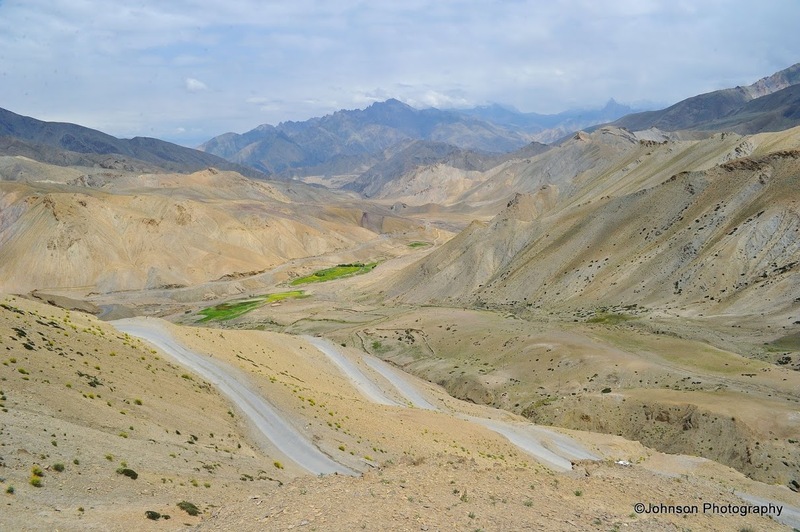 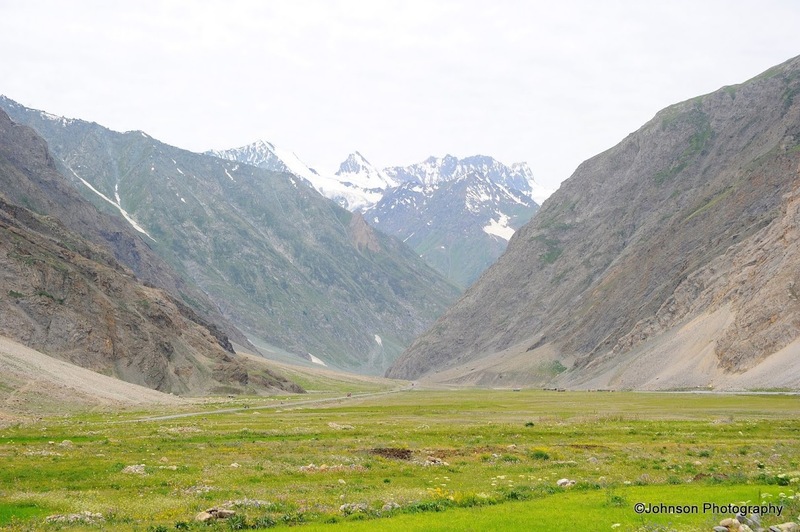 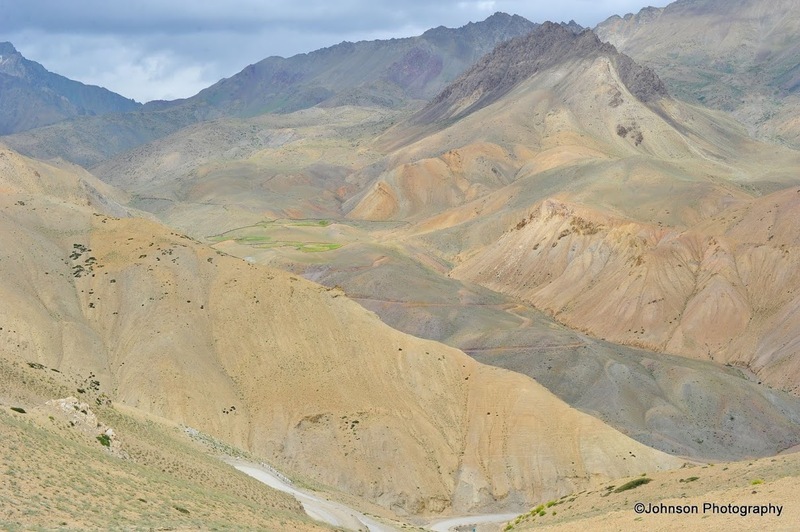 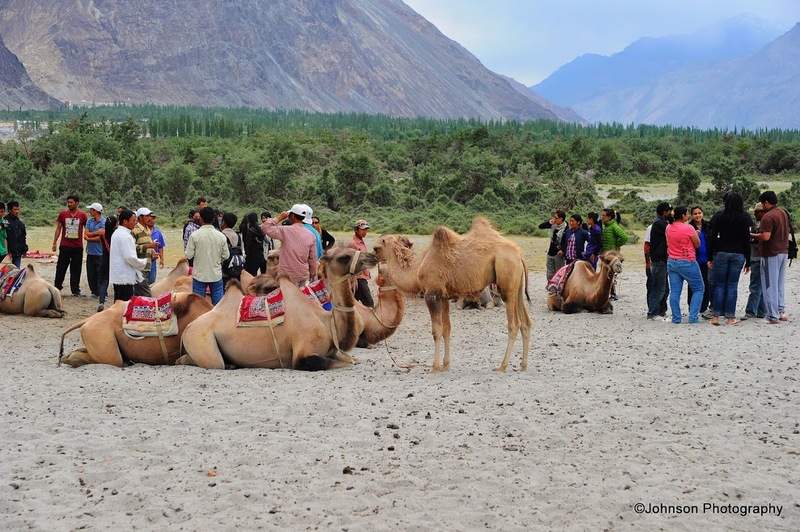 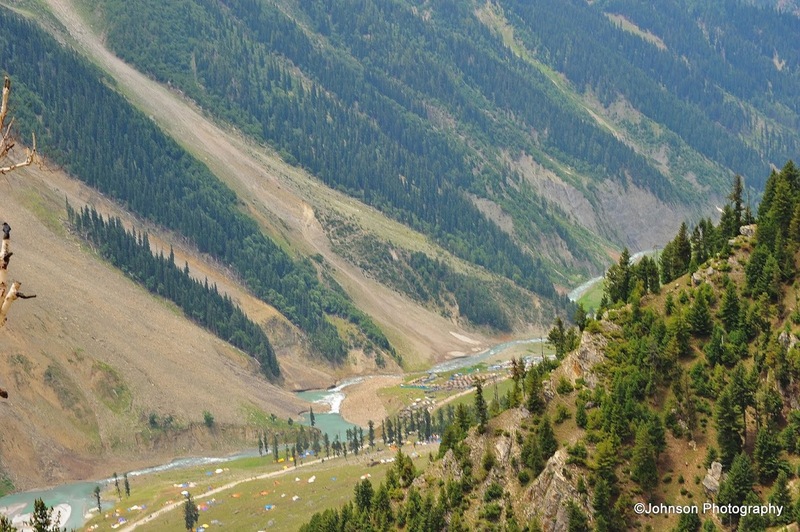 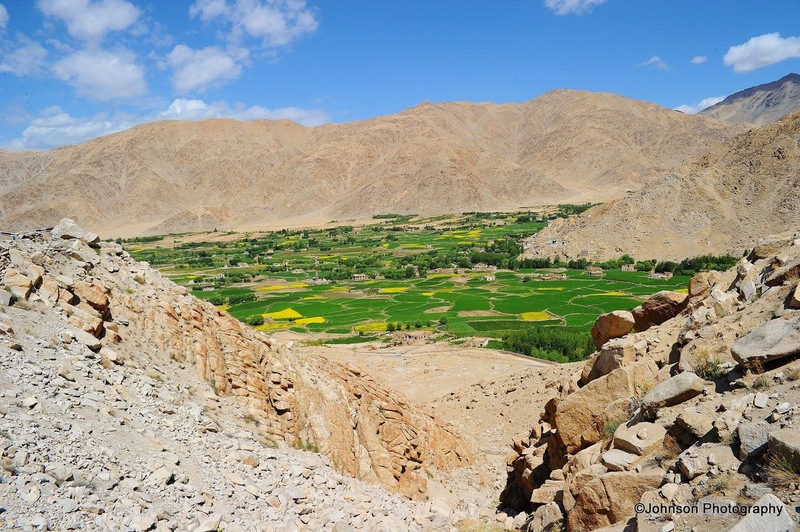 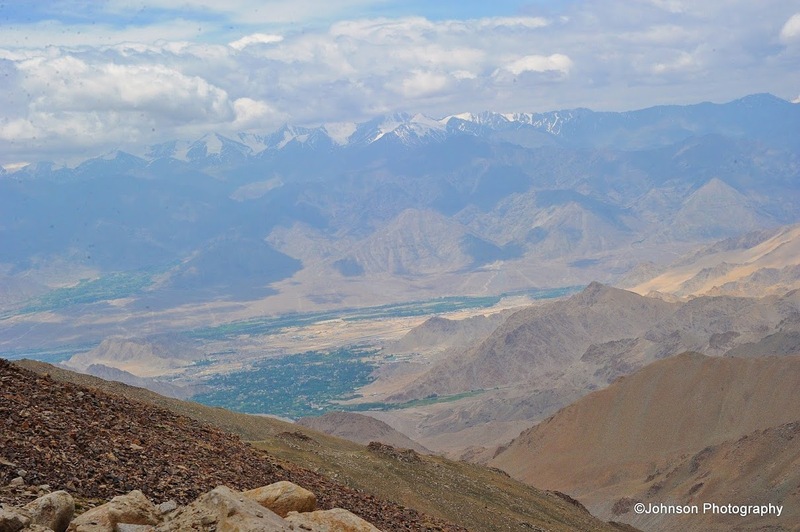 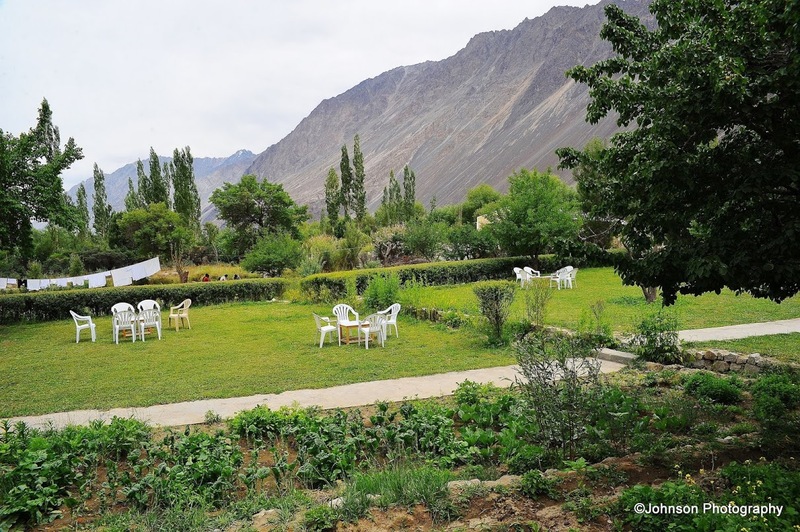 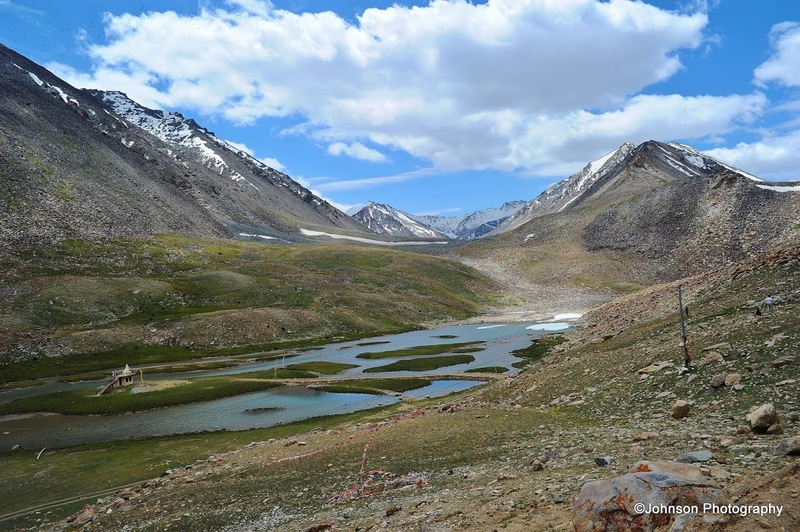 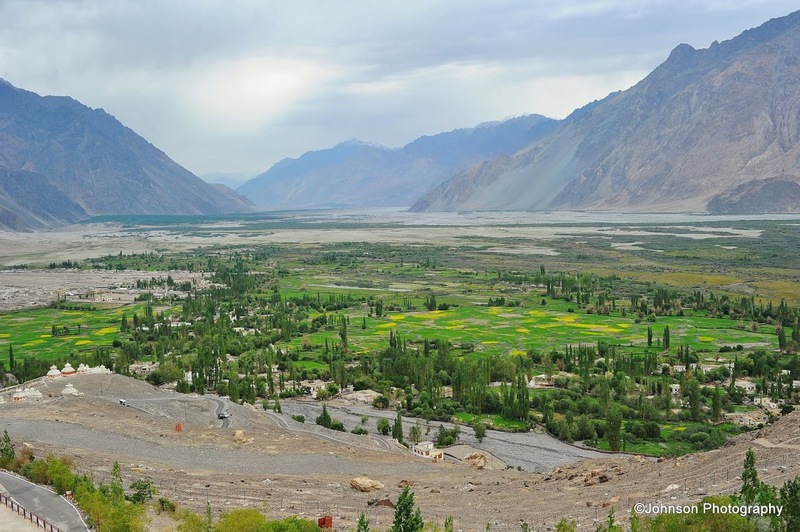 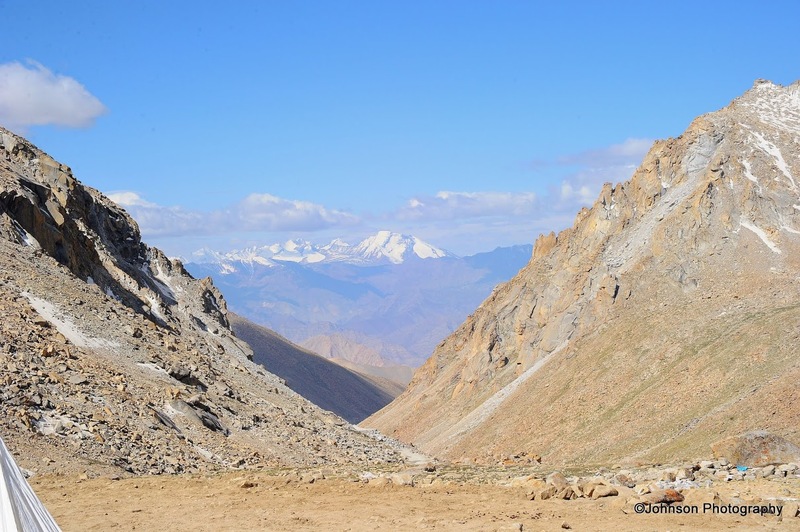 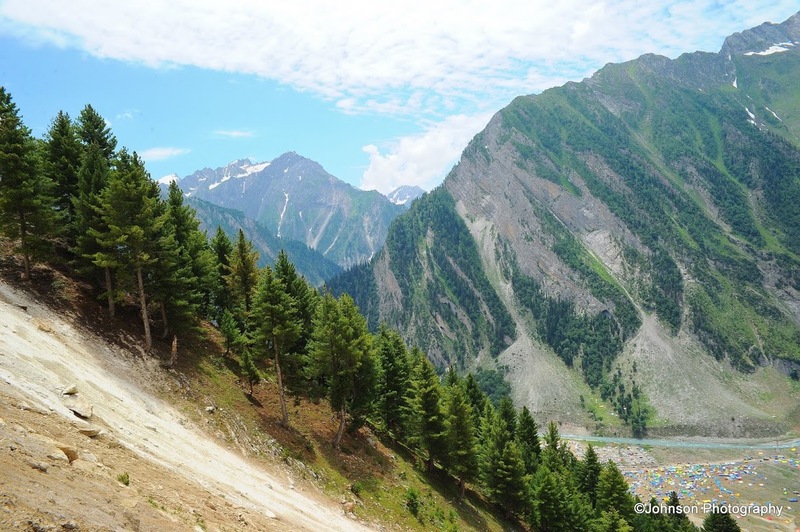 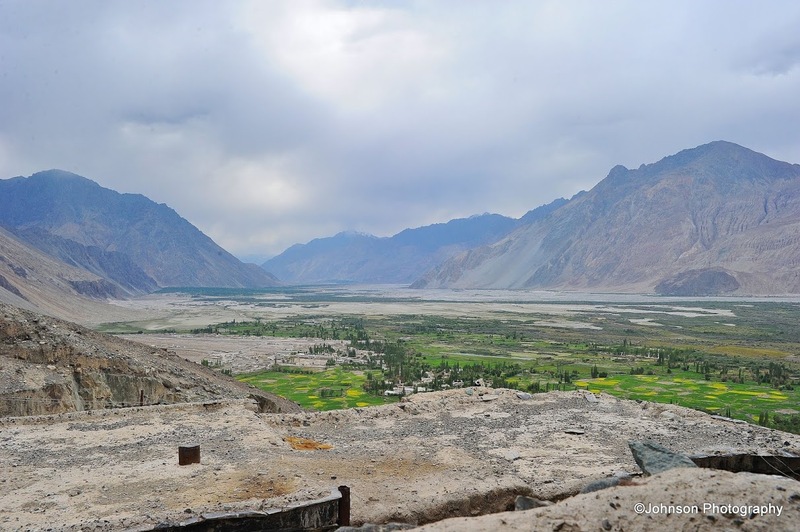 This little valley lies at the foot of the Zojila Pass and offers breathtaking views. 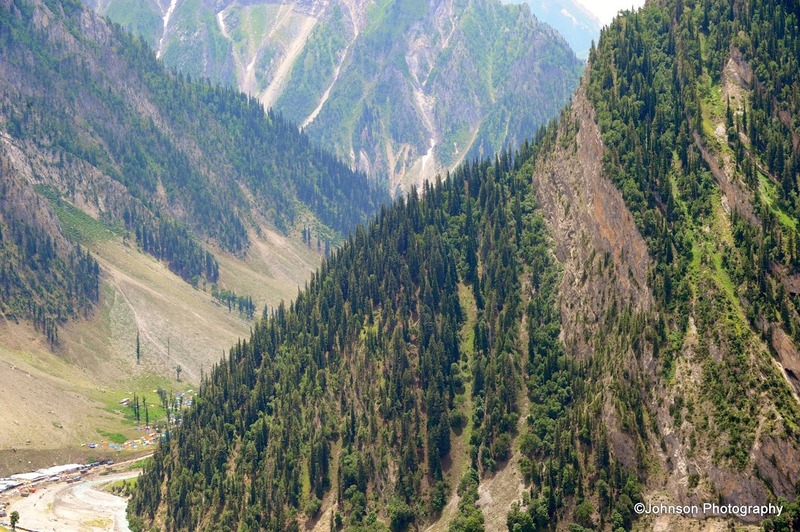 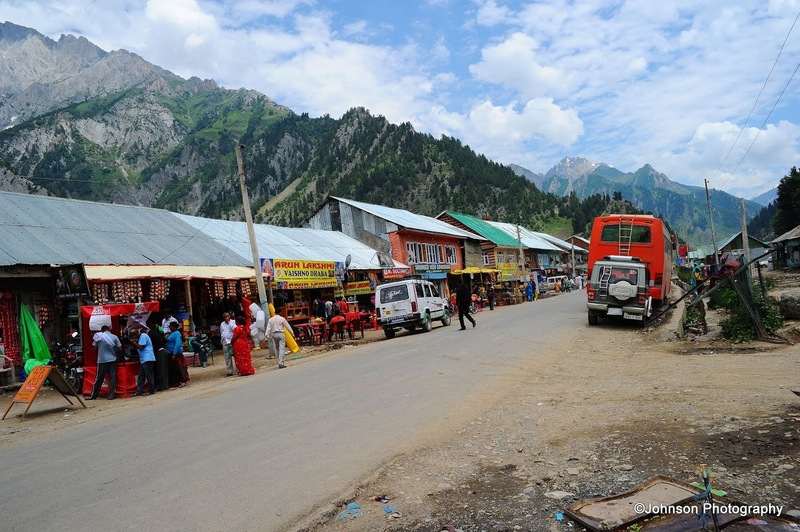 Sonmarg, which means ‘meadow of gold’ has, as its backdrop, snowy mountains and deep blue sky. 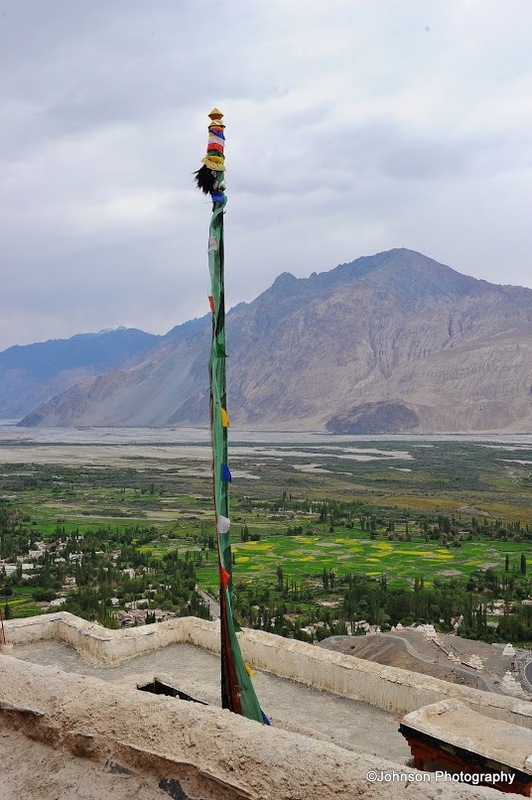 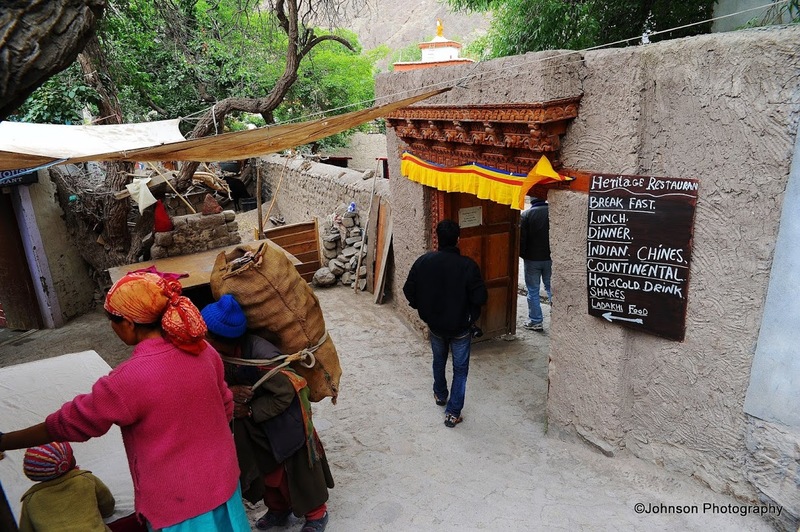 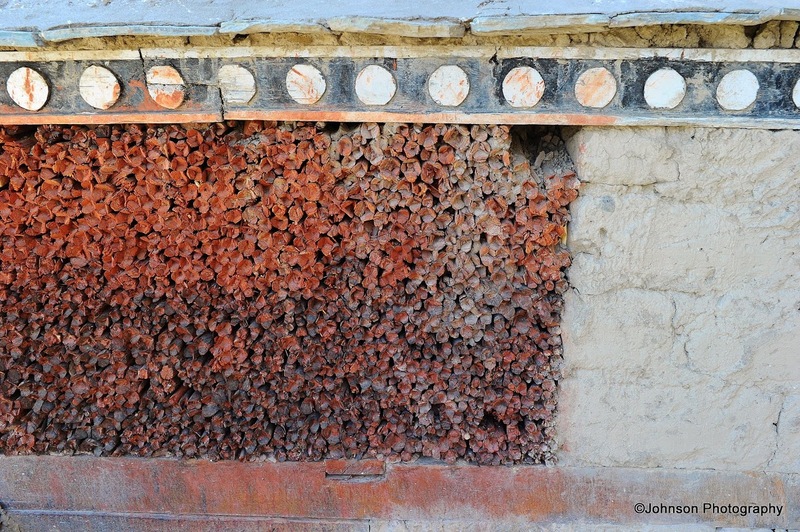 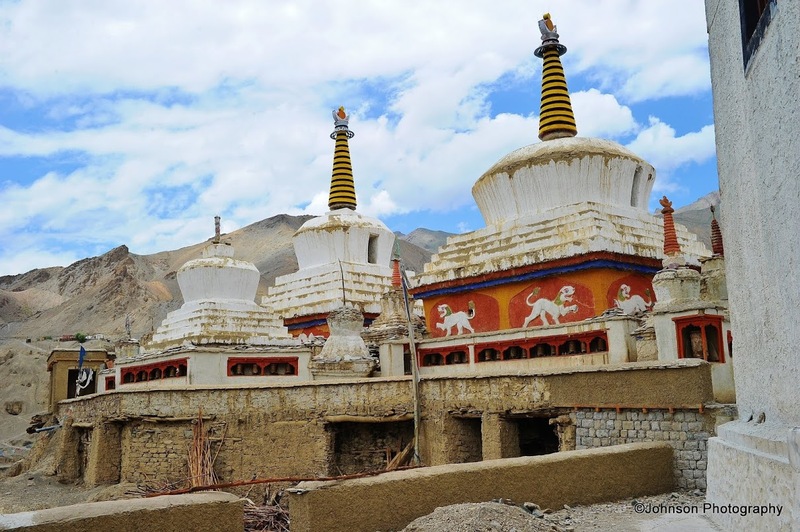 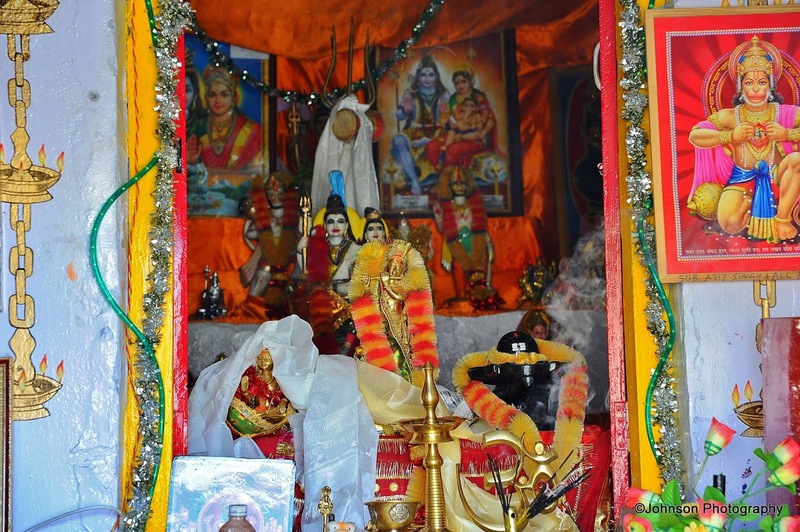 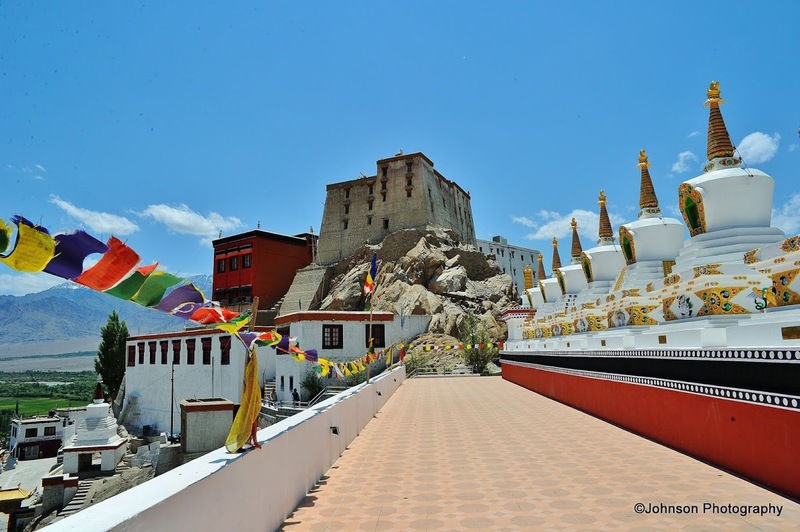 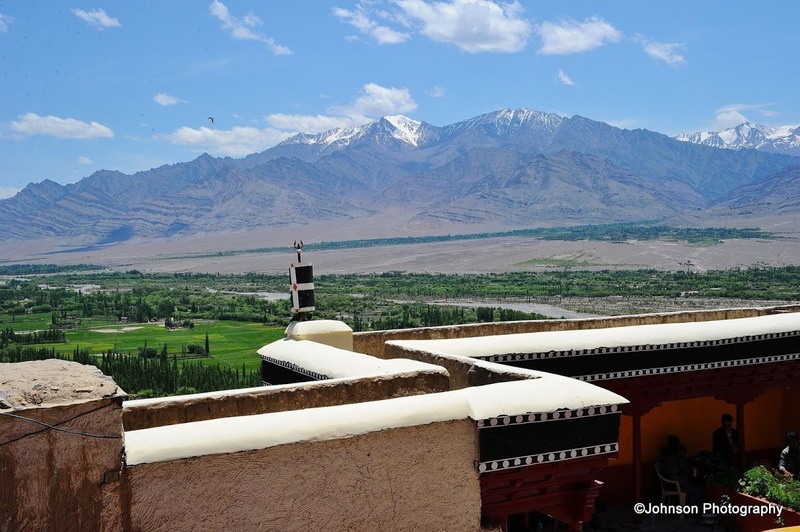 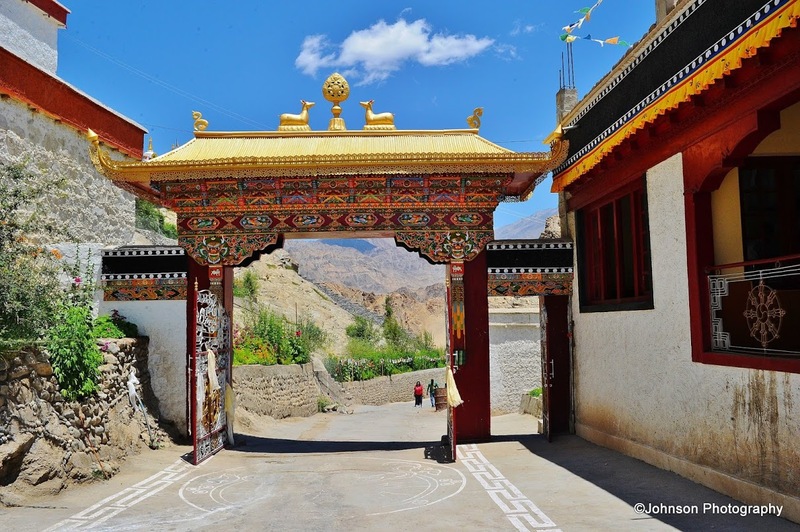 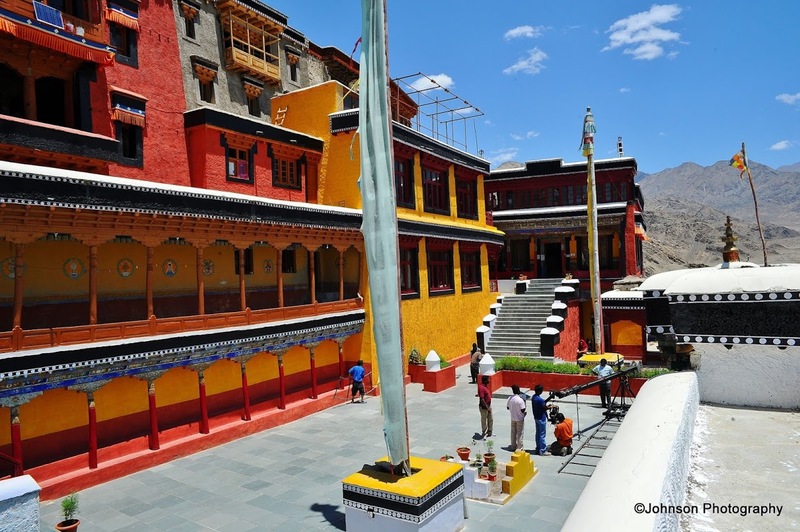 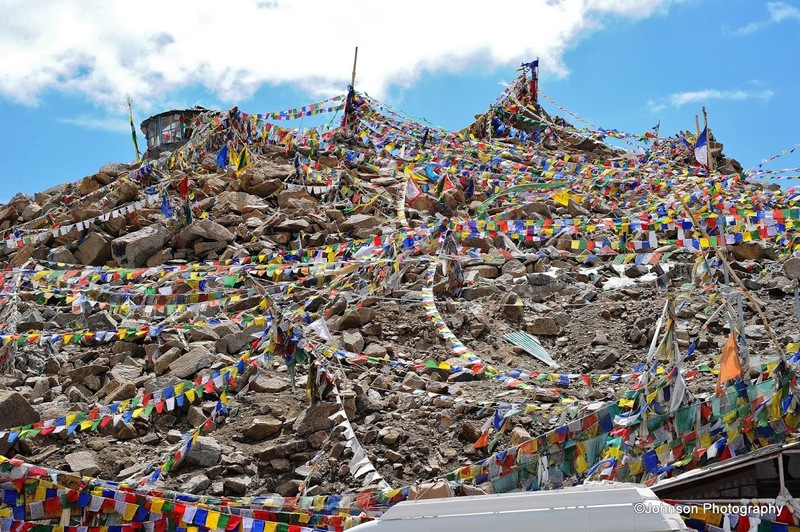 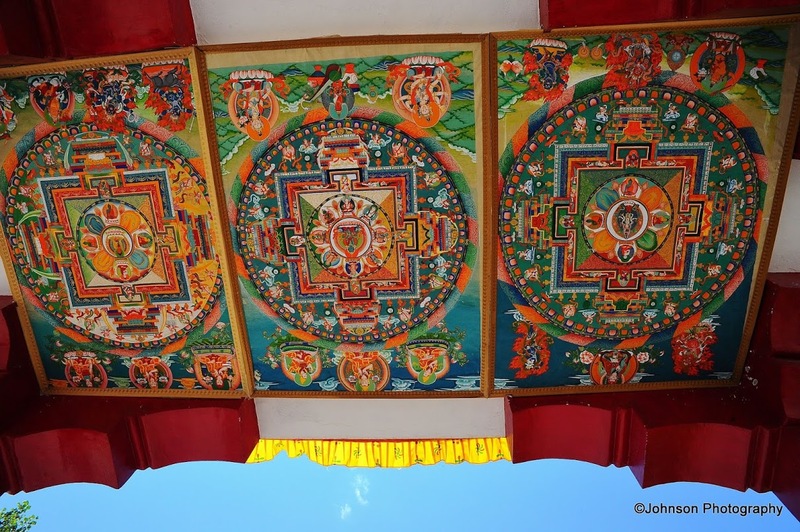 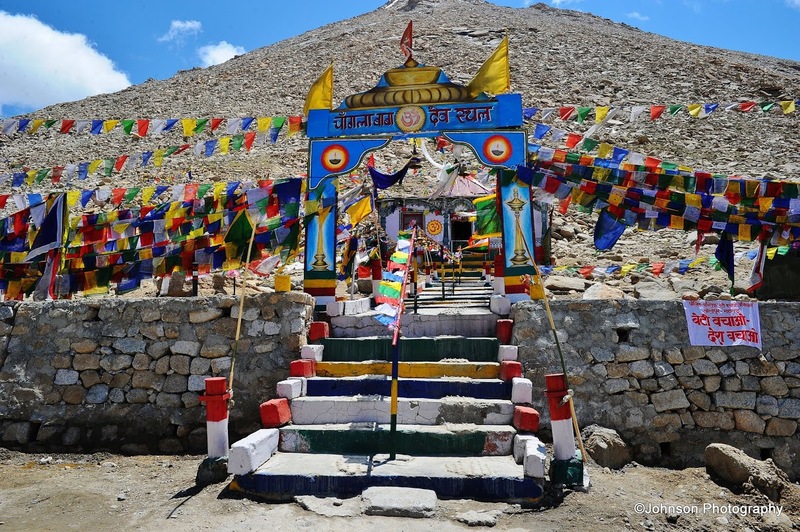 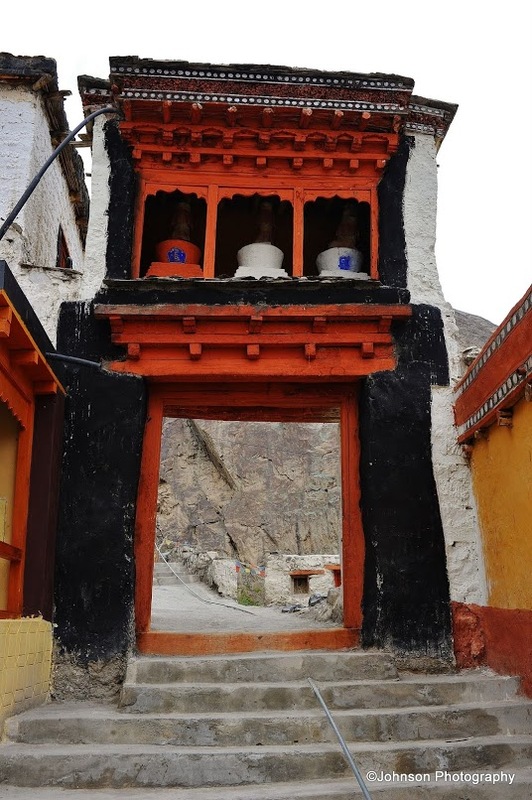 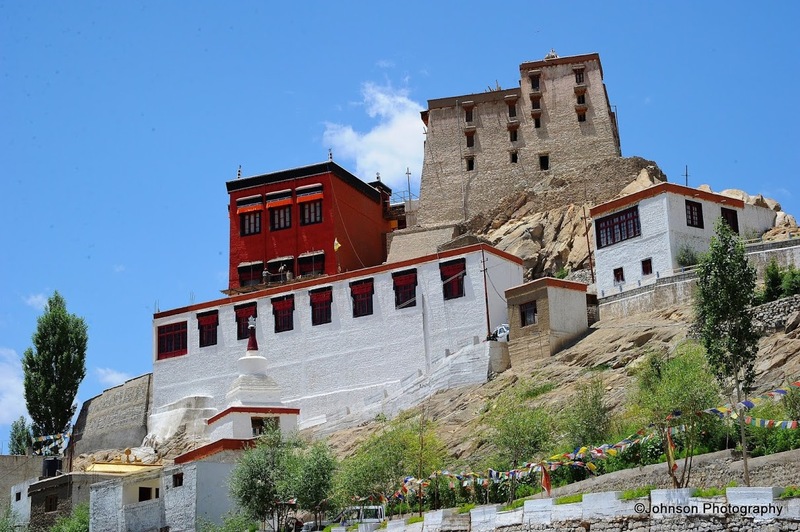 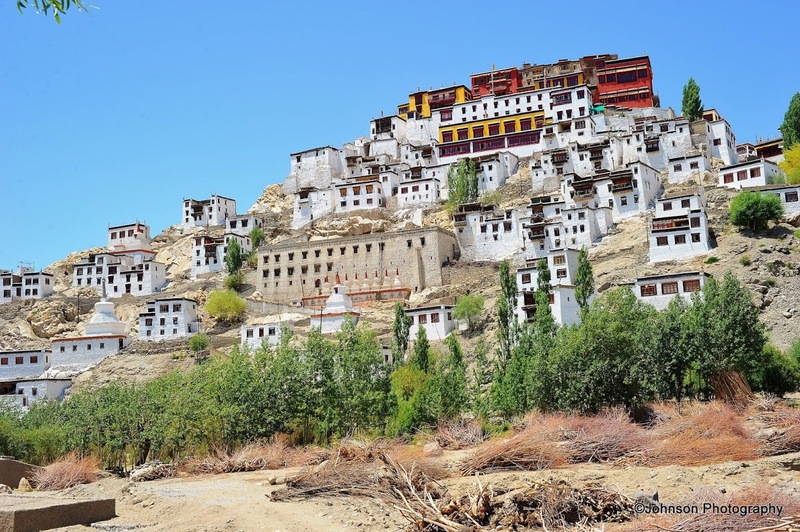 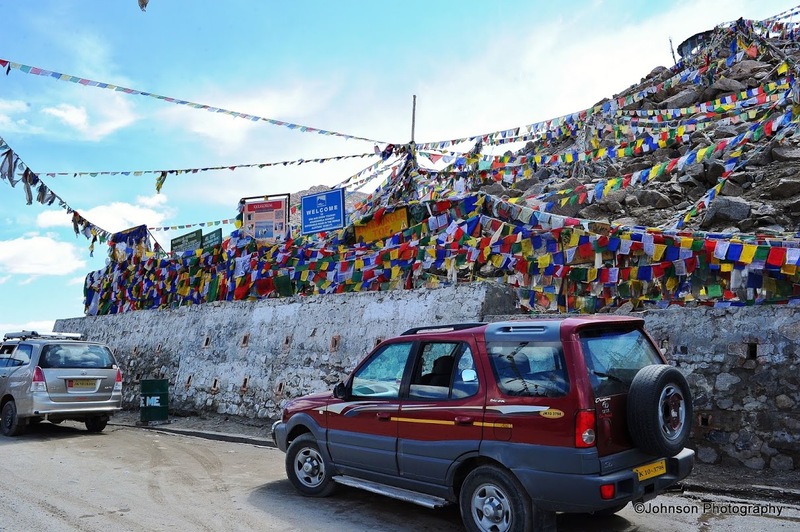 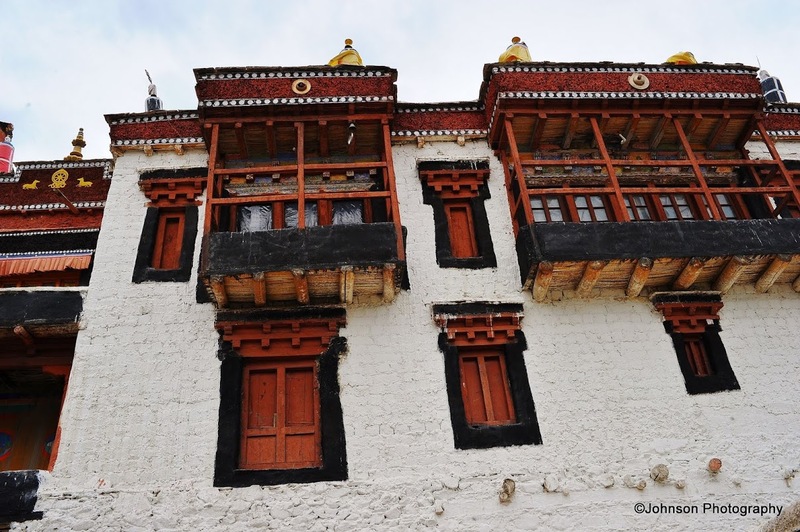 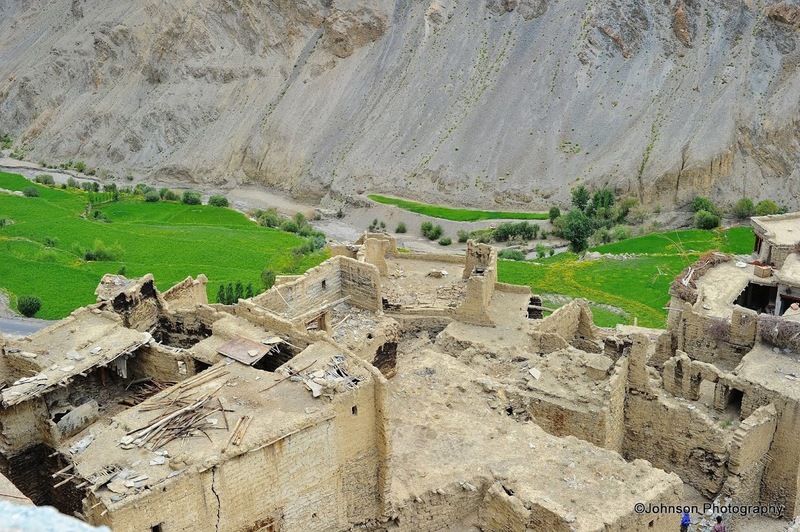 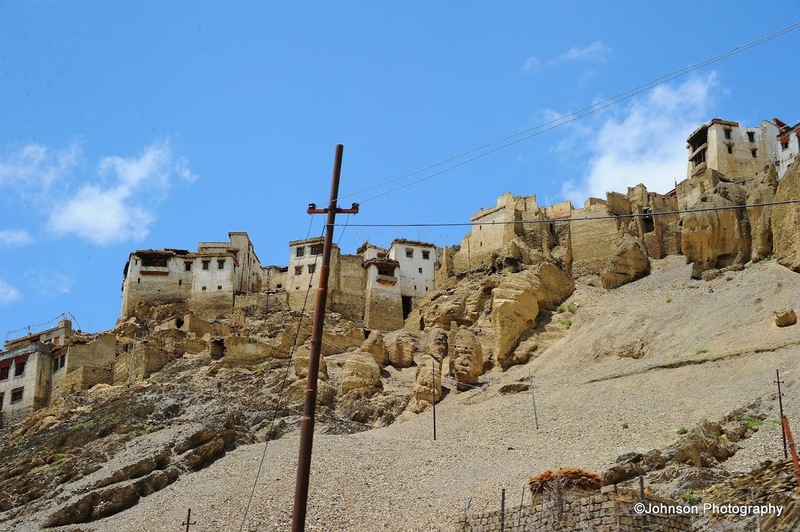 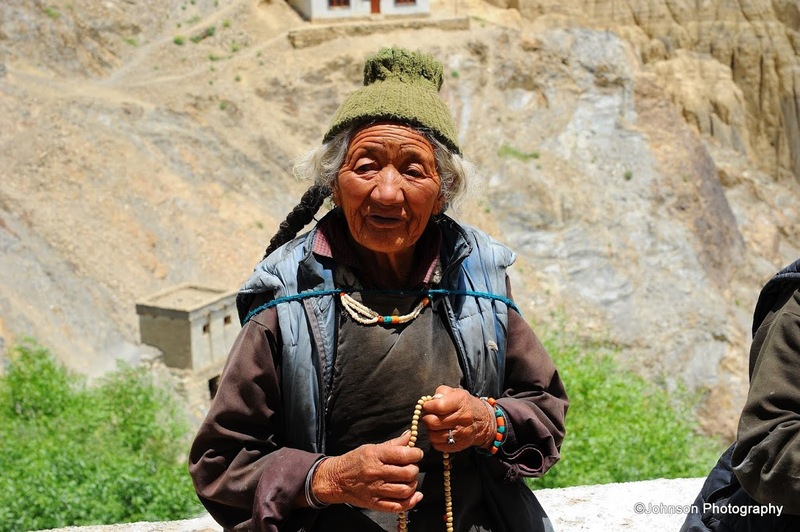 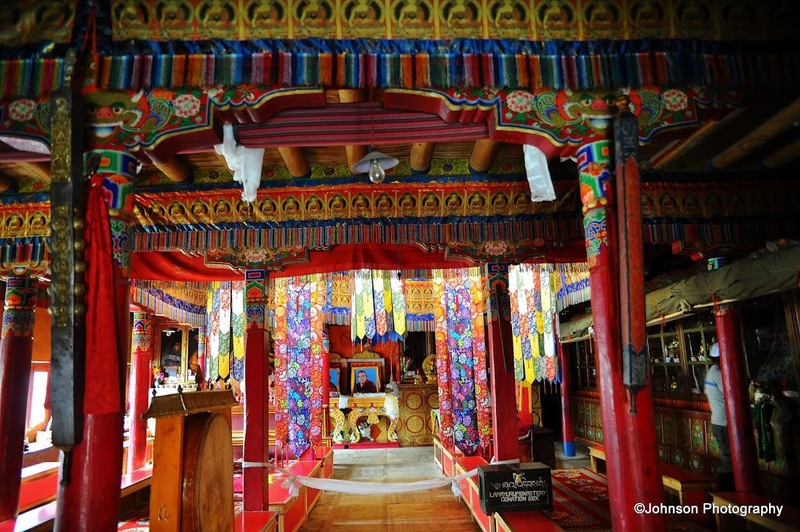 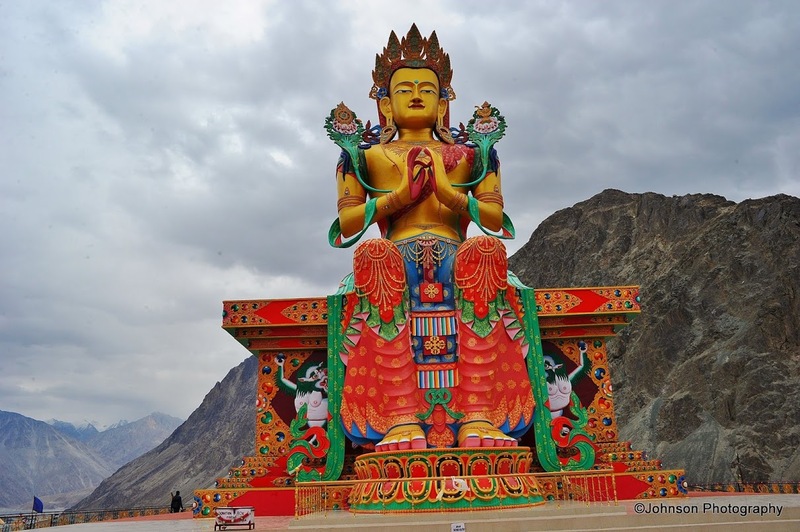 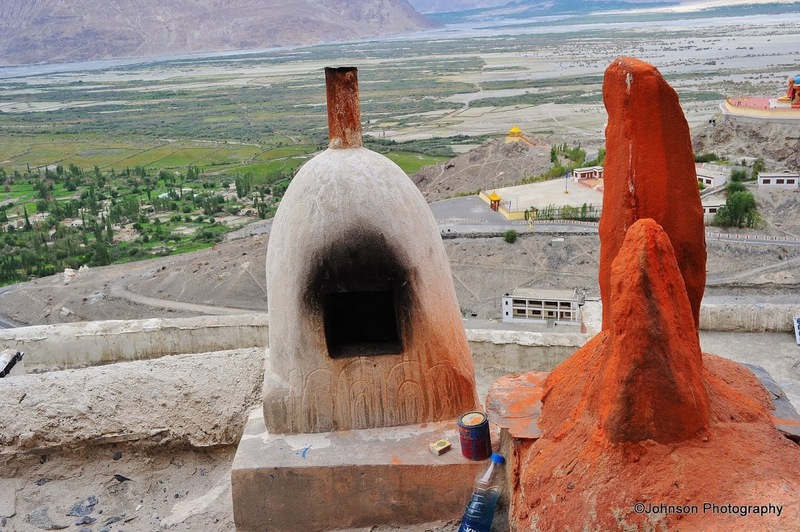 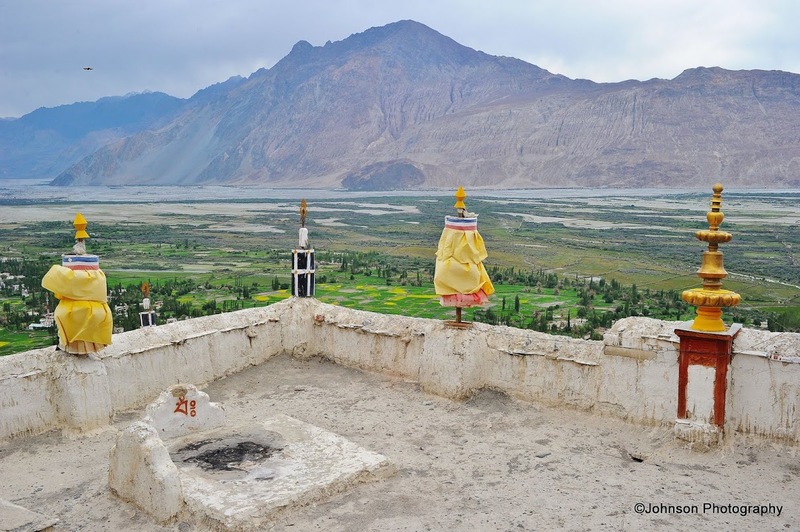 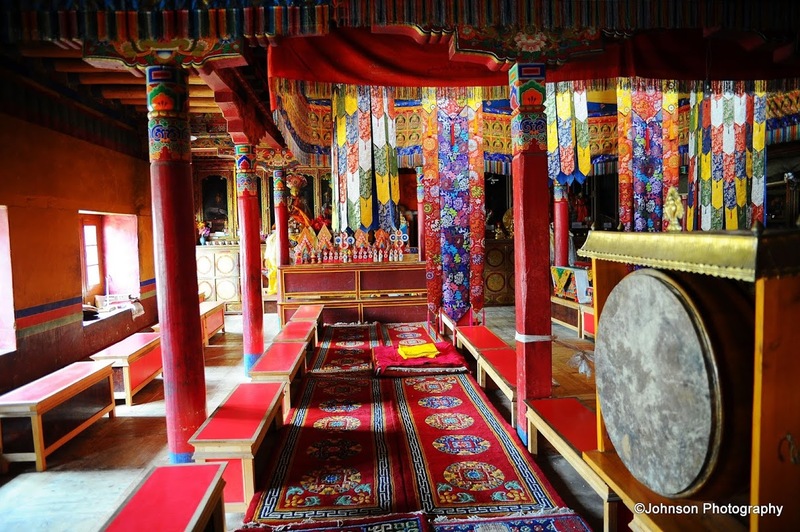 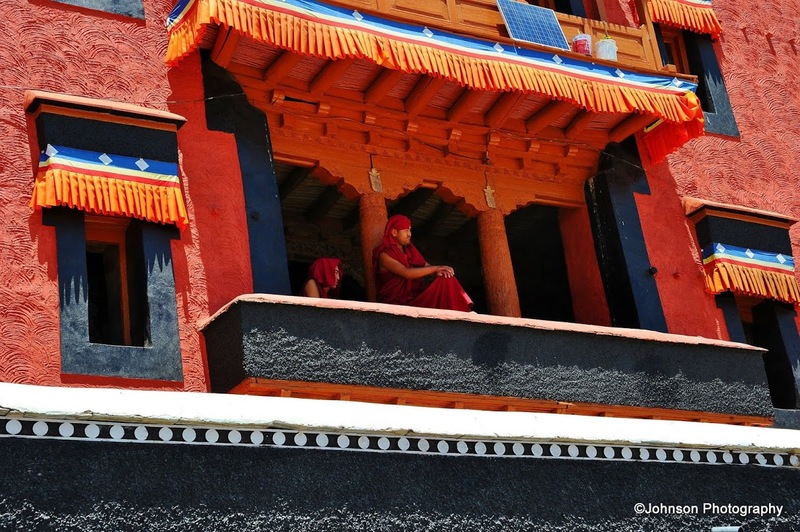 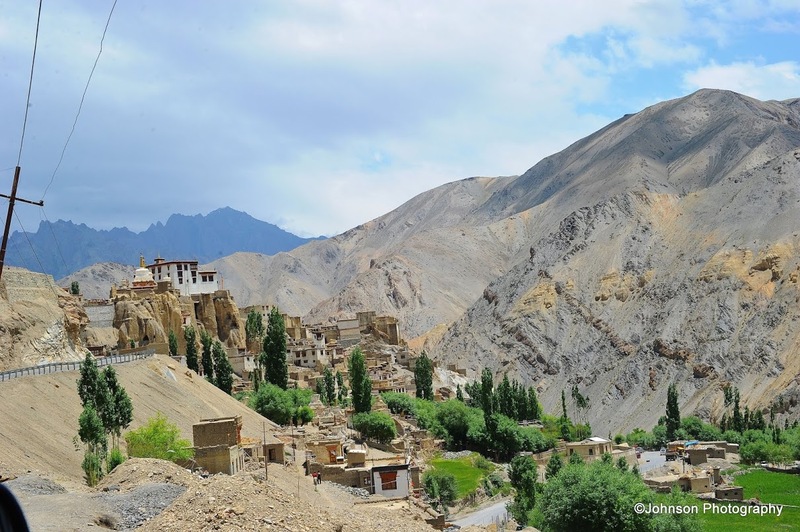 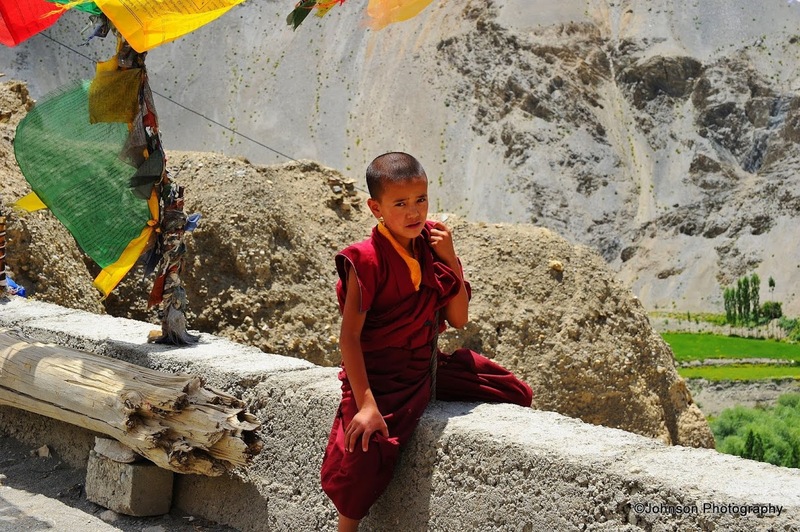 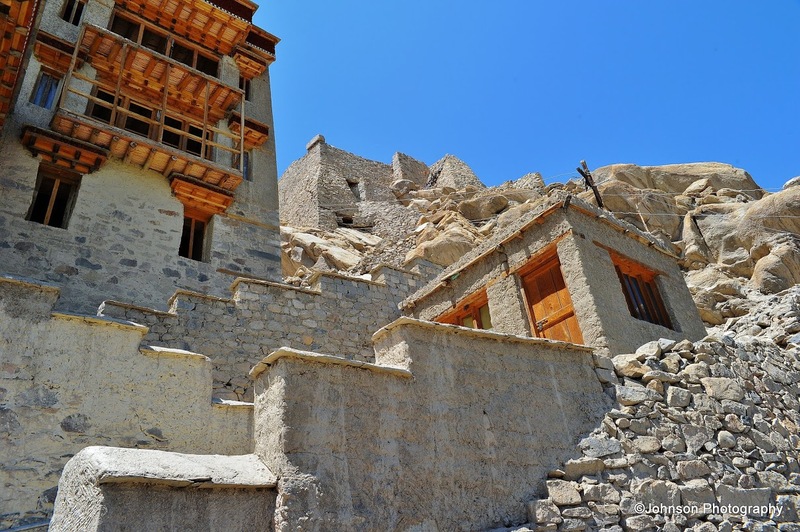 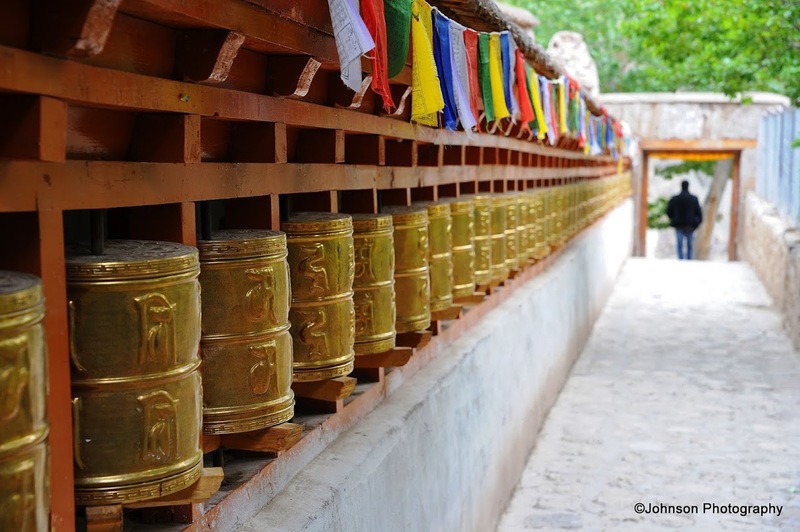 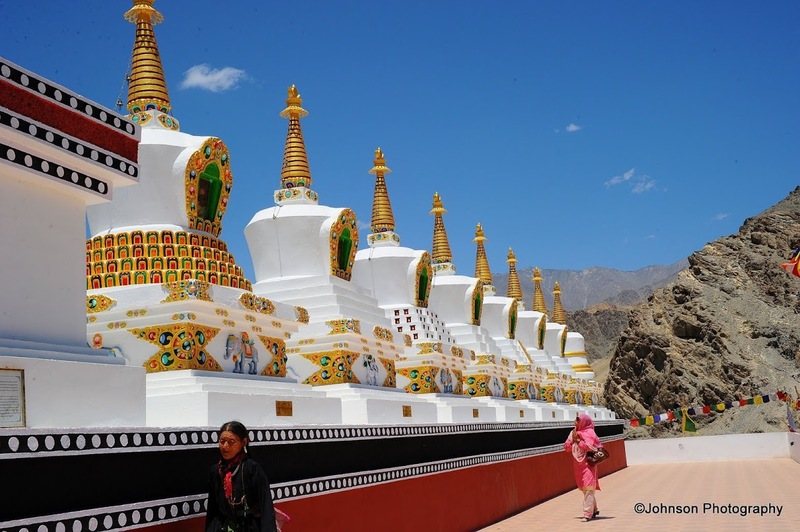 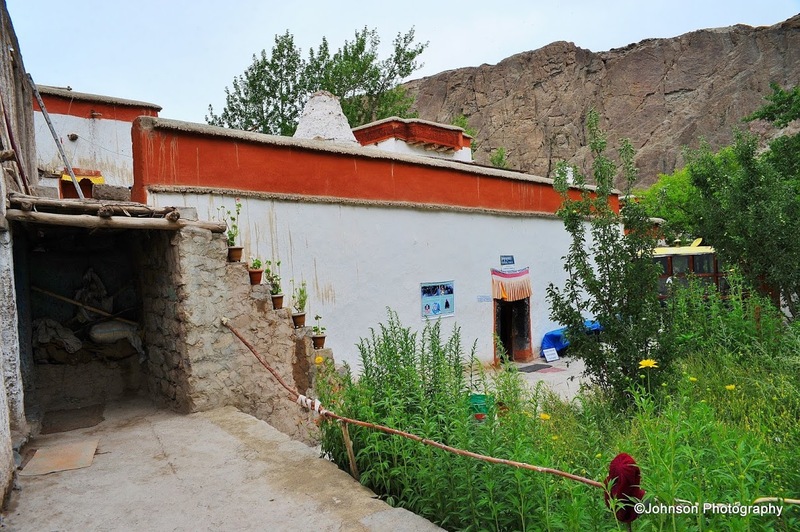 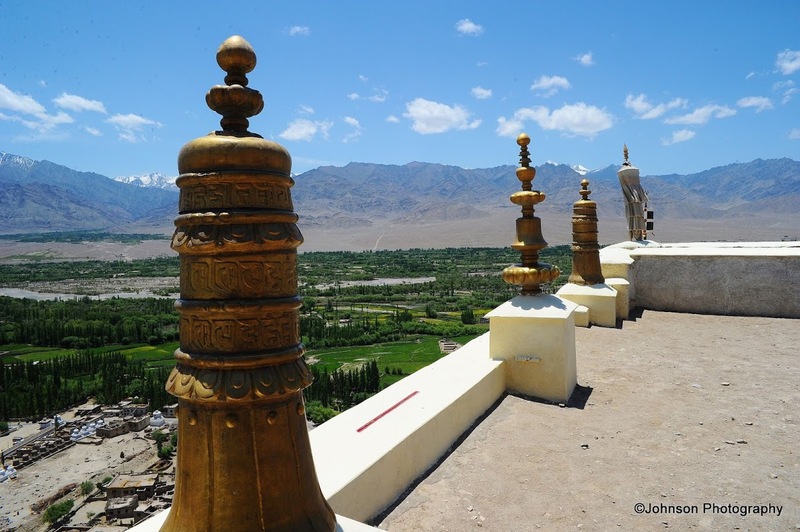 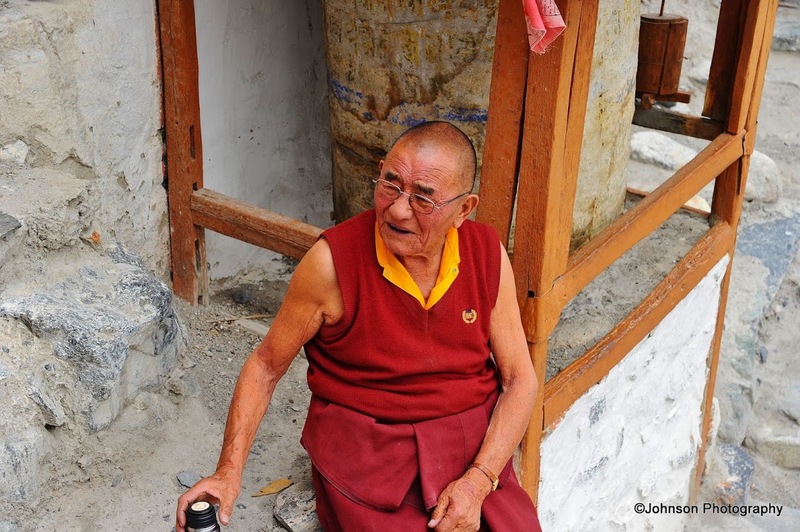 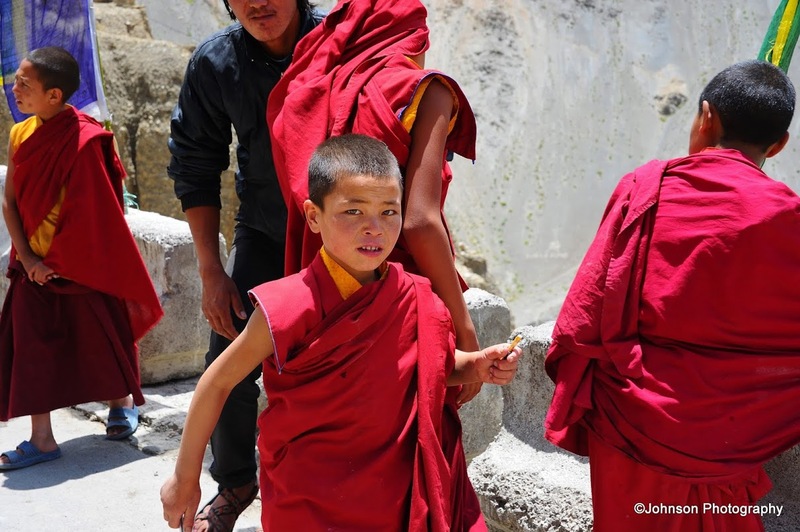 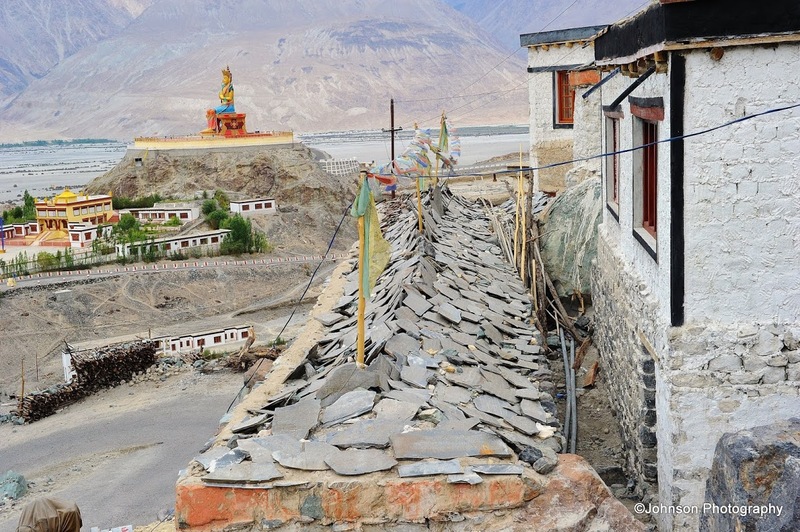 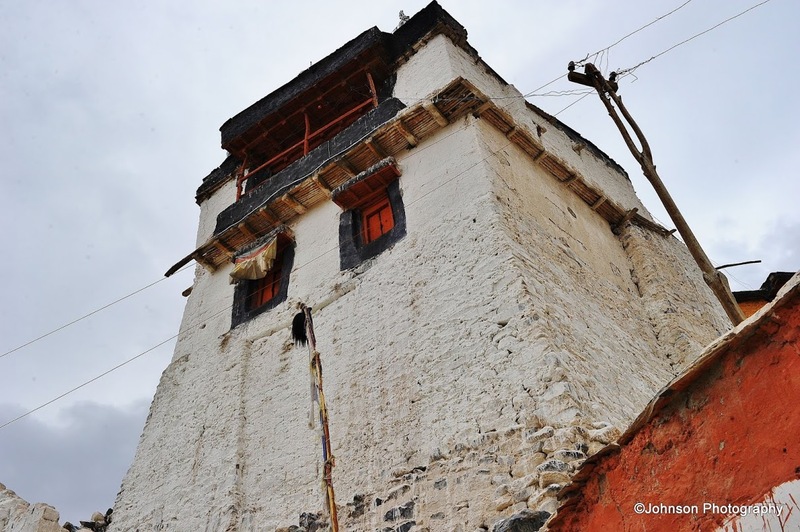 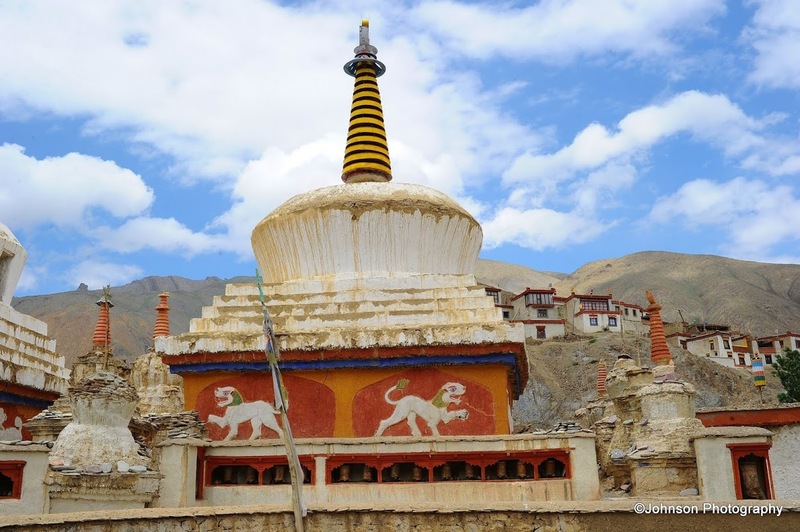 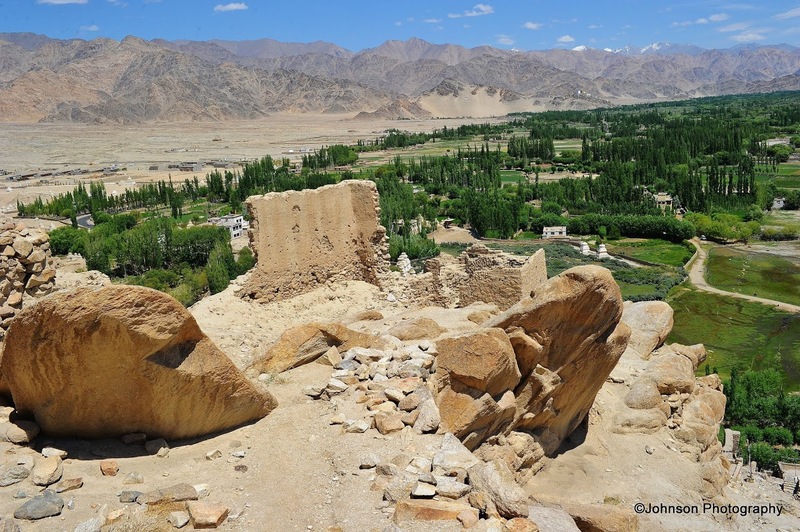 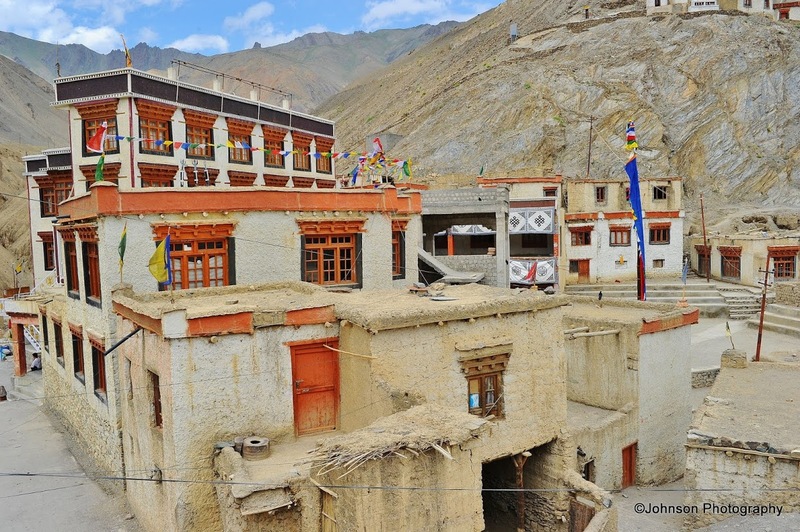 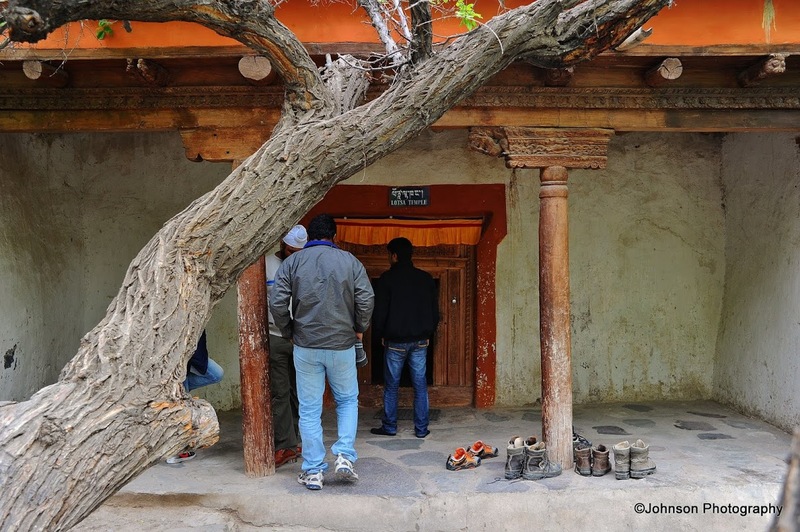 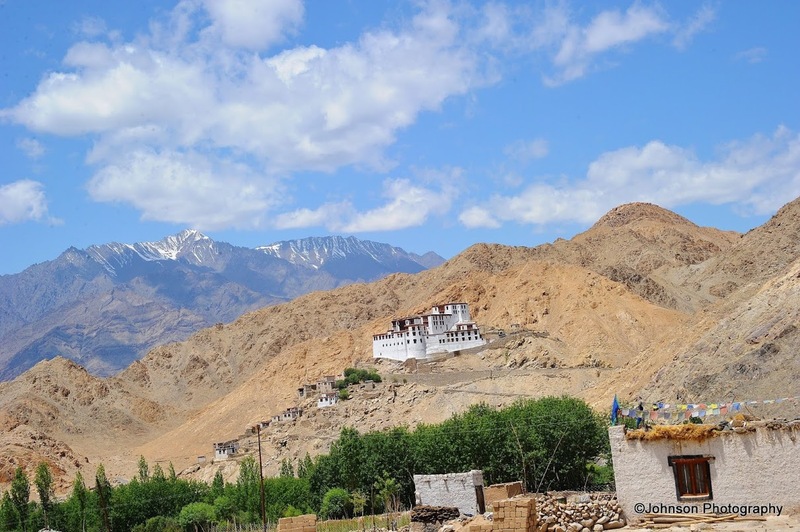 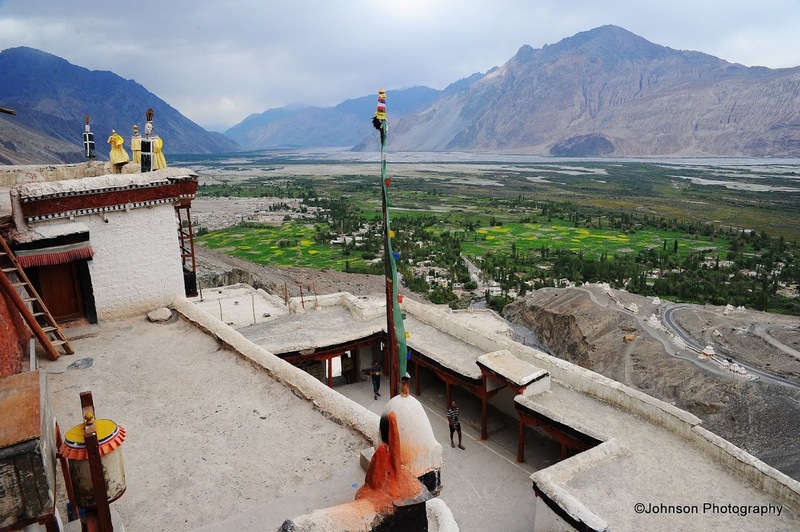 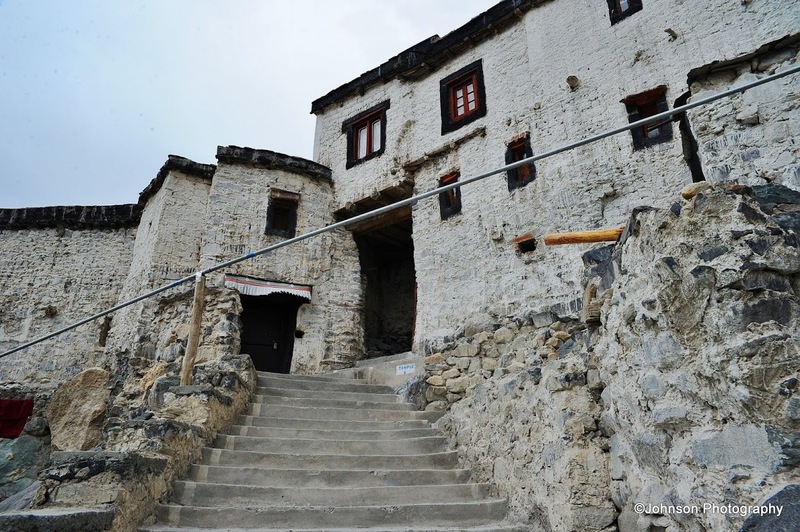 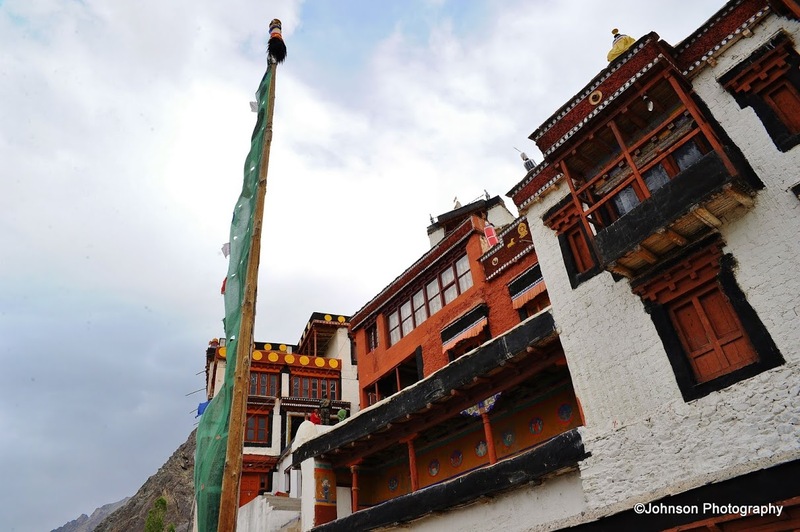 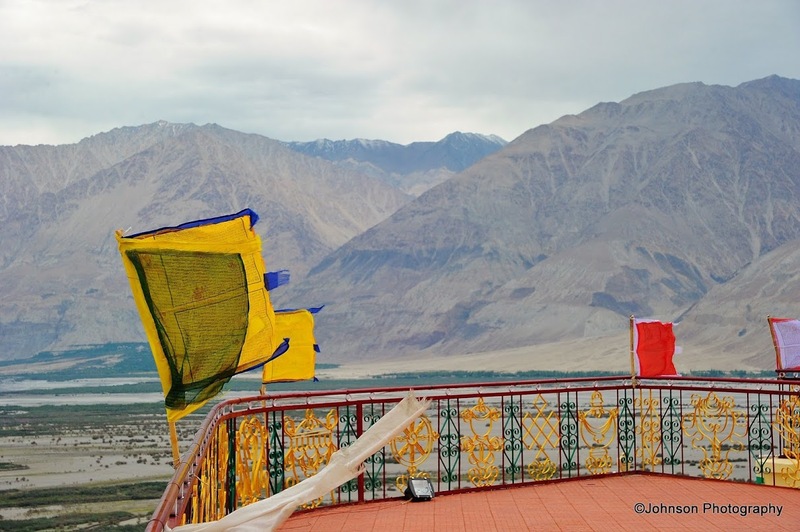 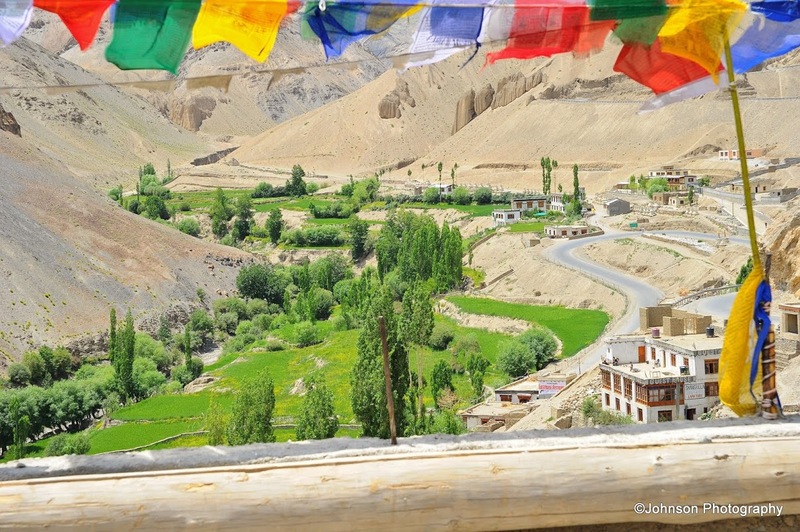 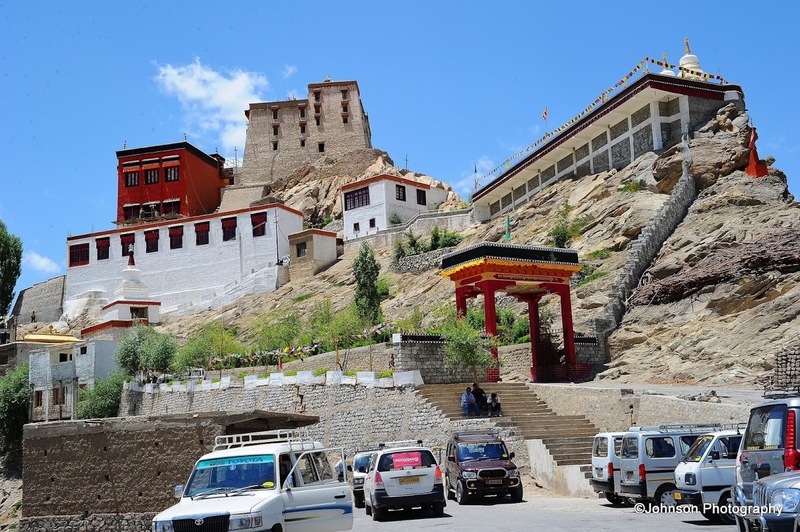 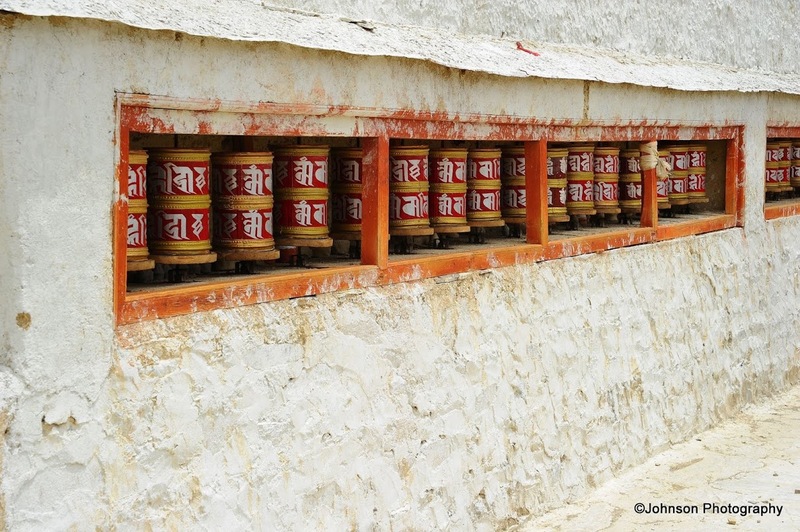 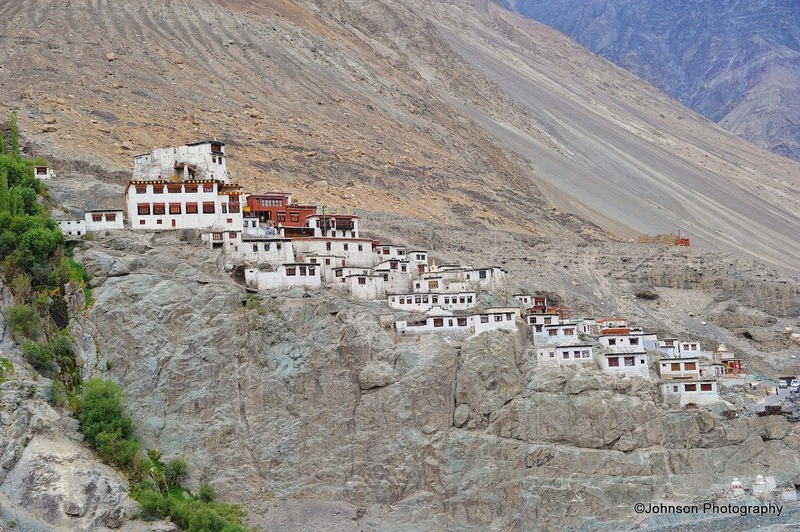 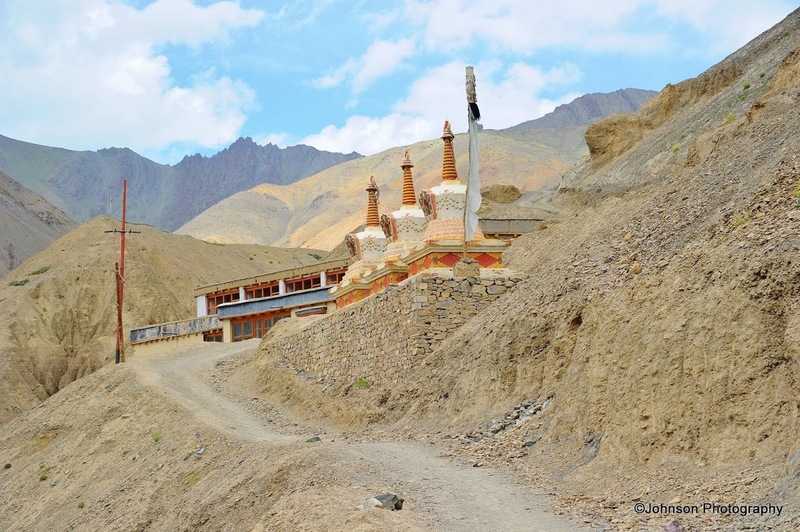 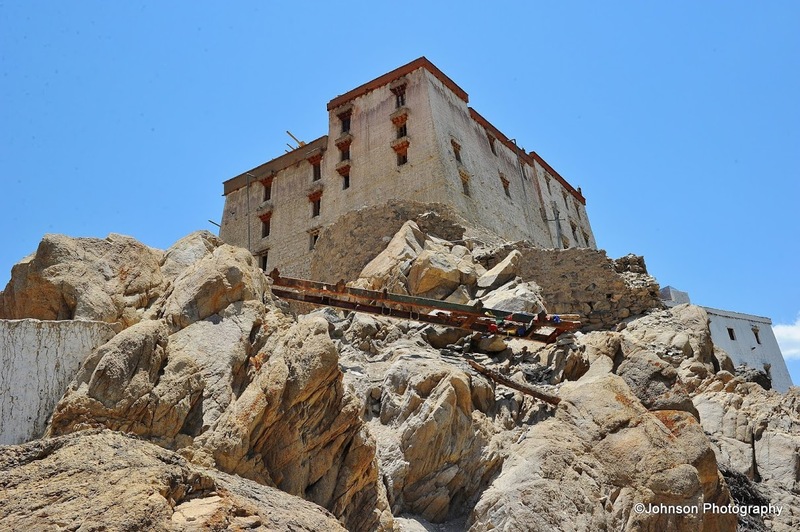 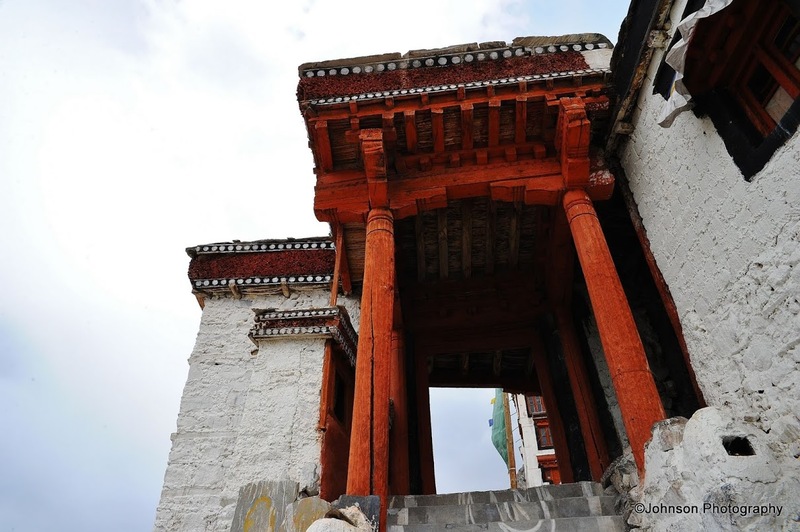 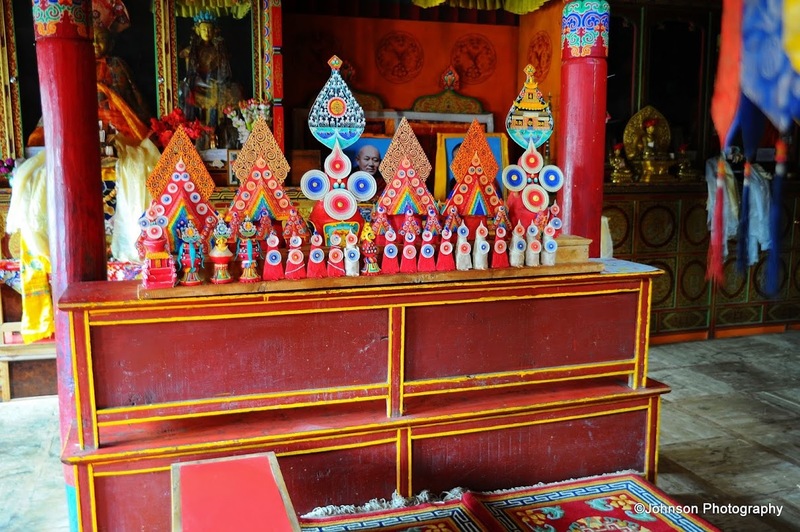 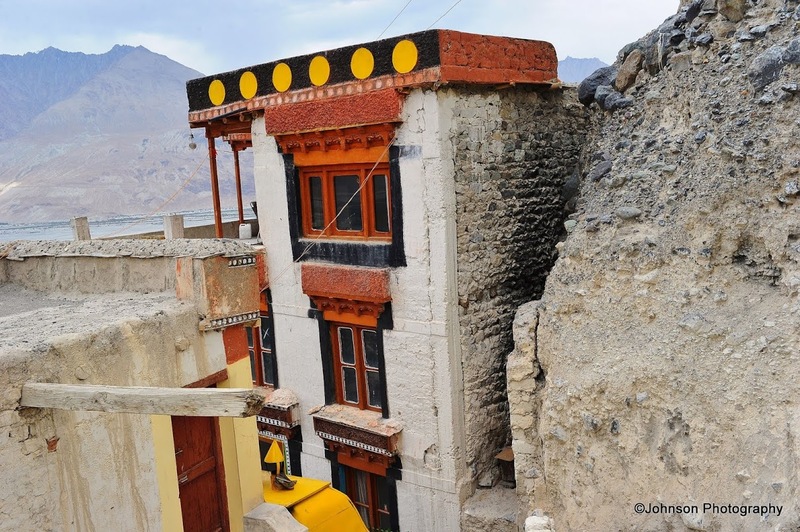 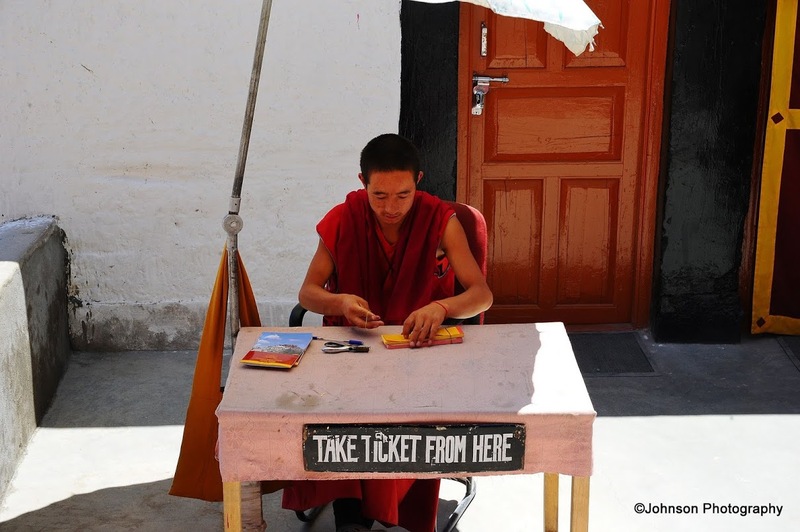 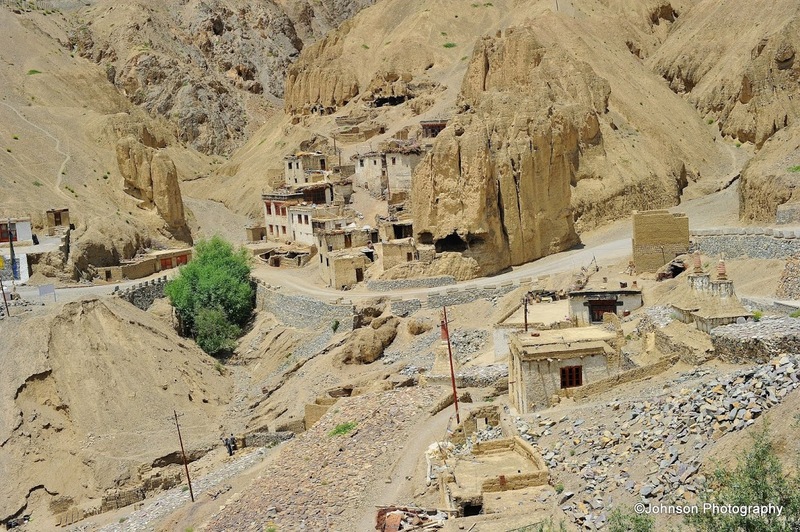 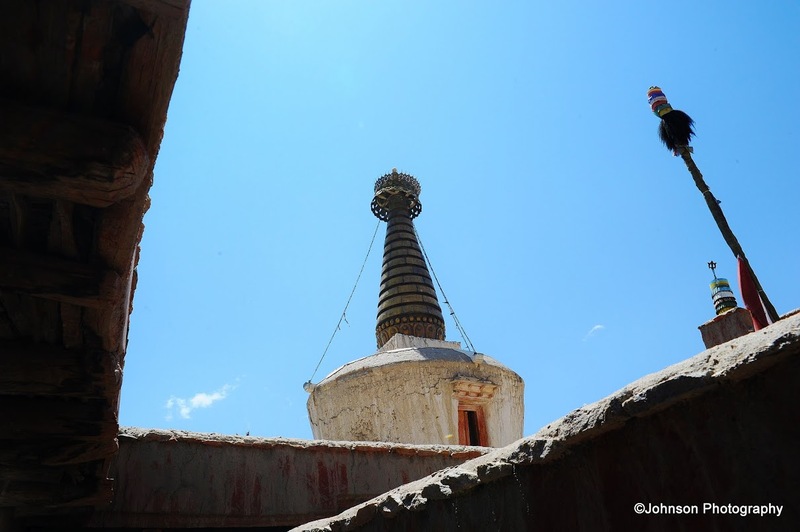 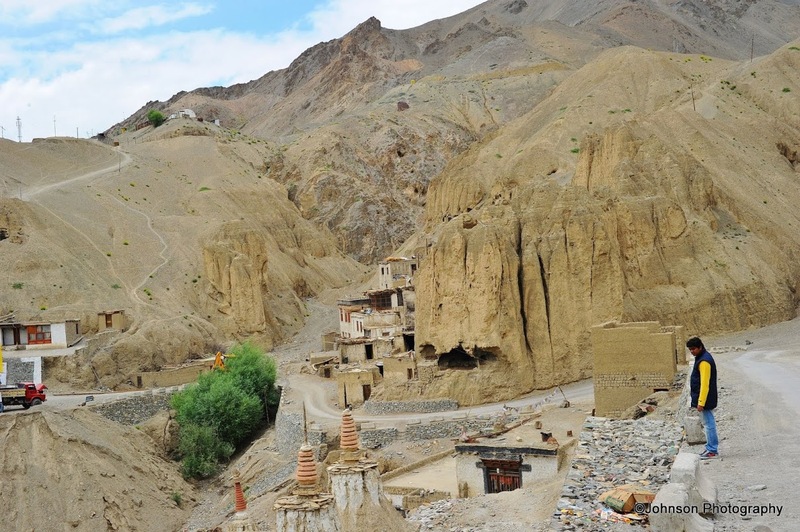 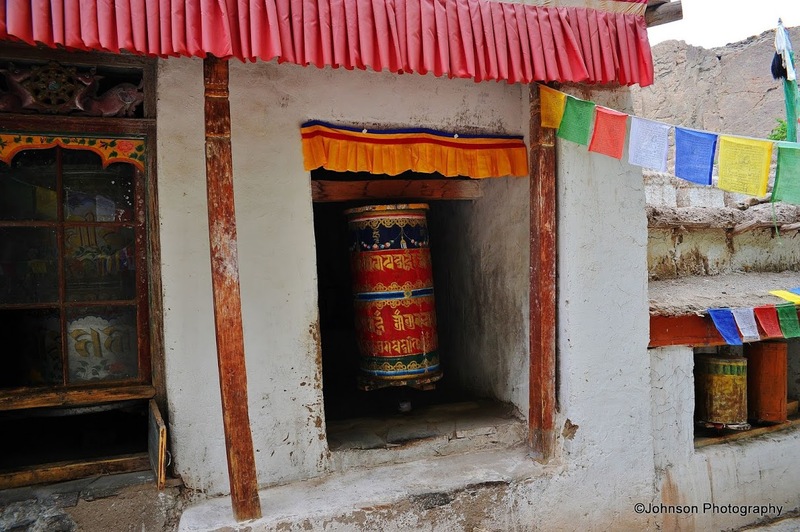 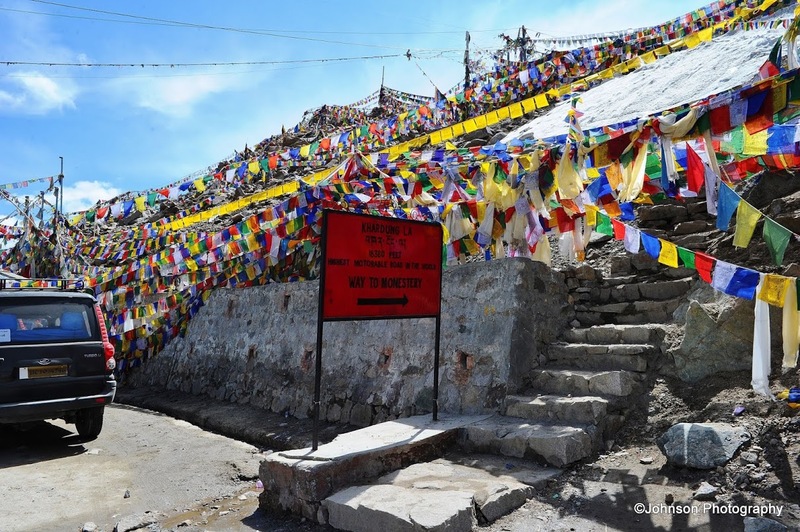 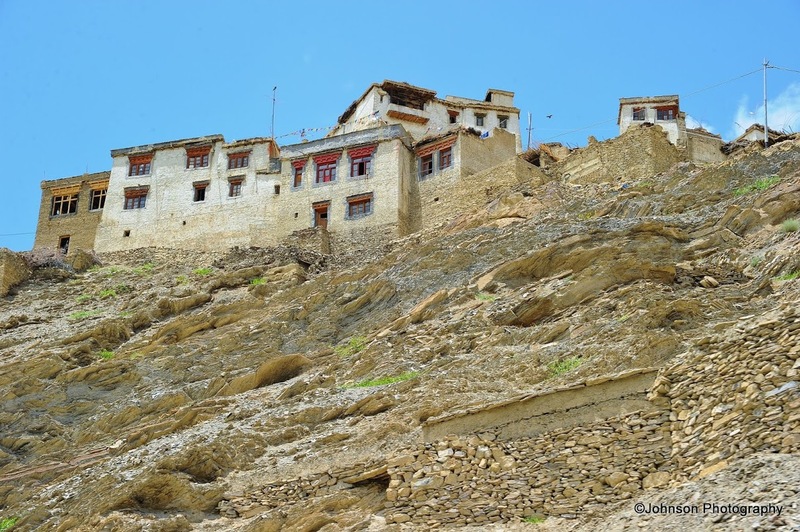 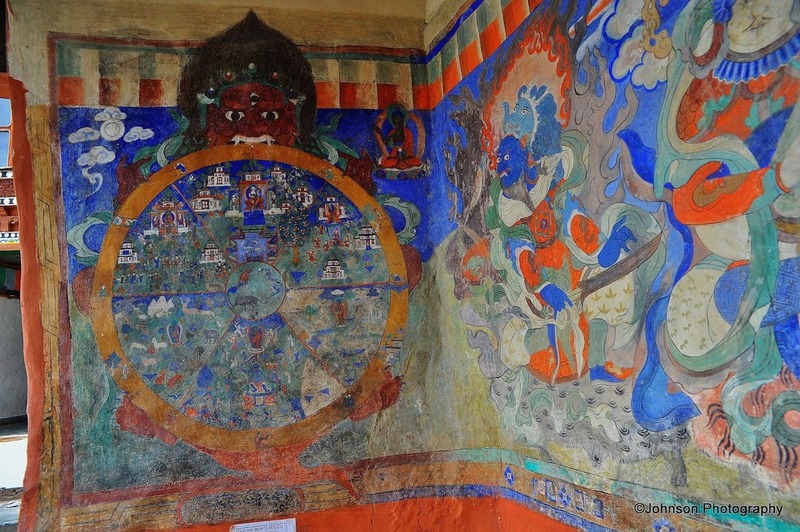 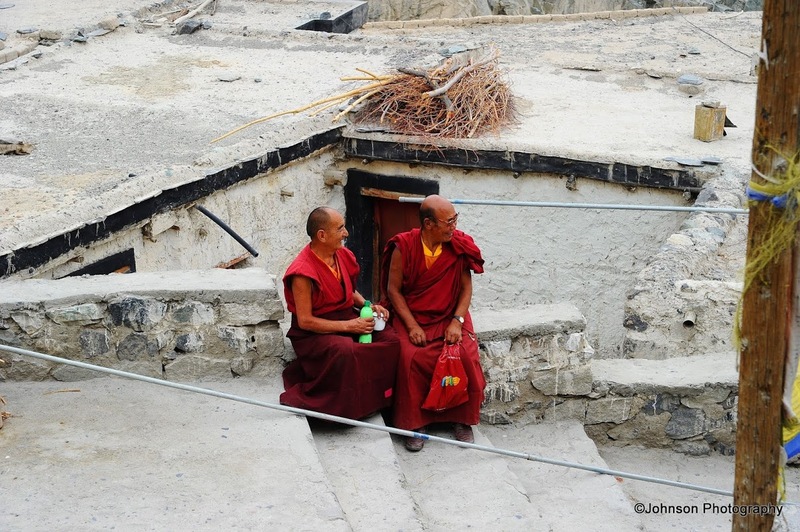 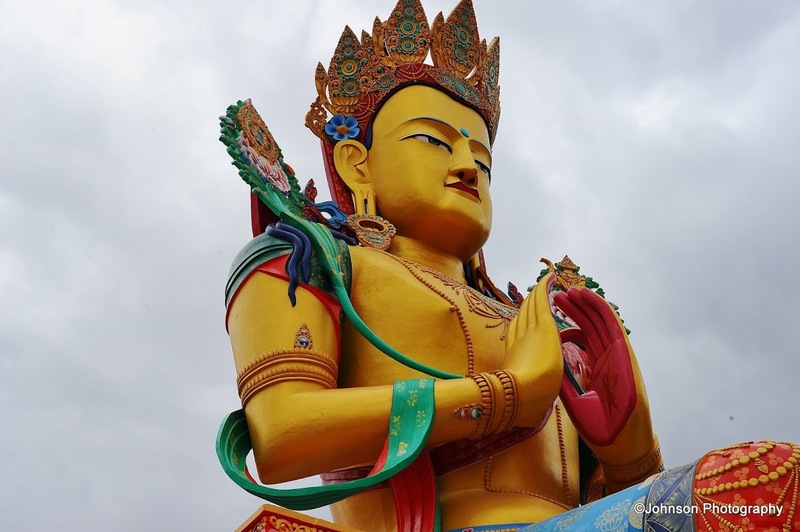 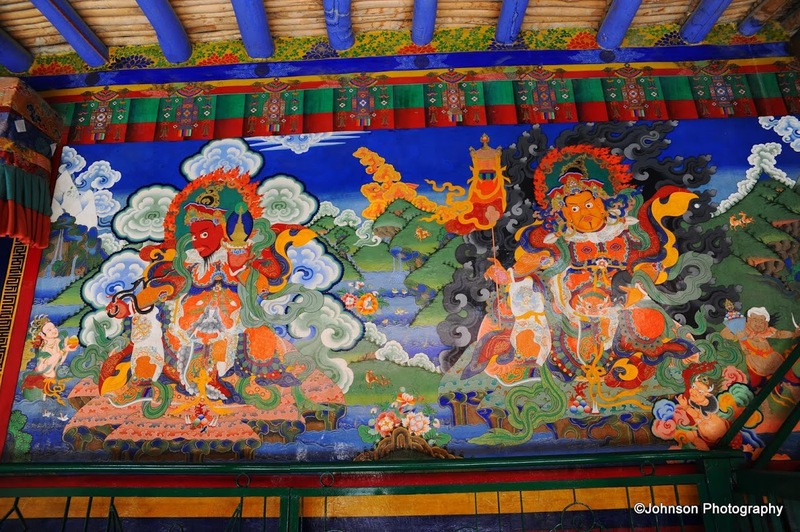 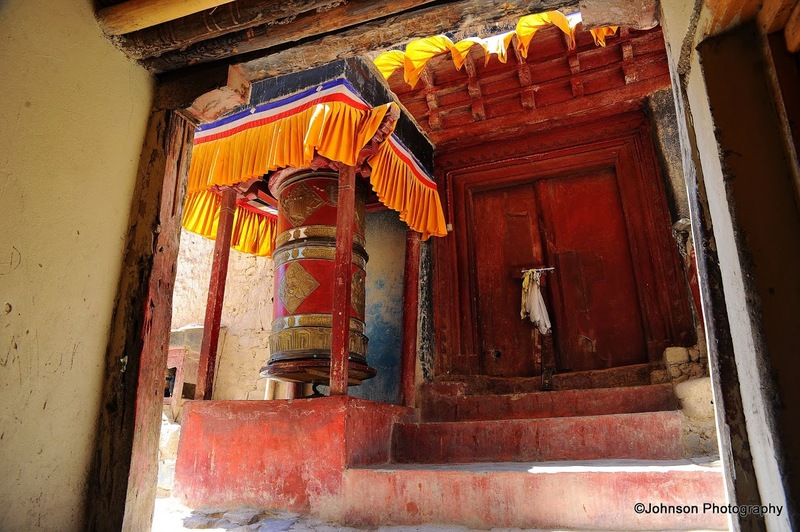 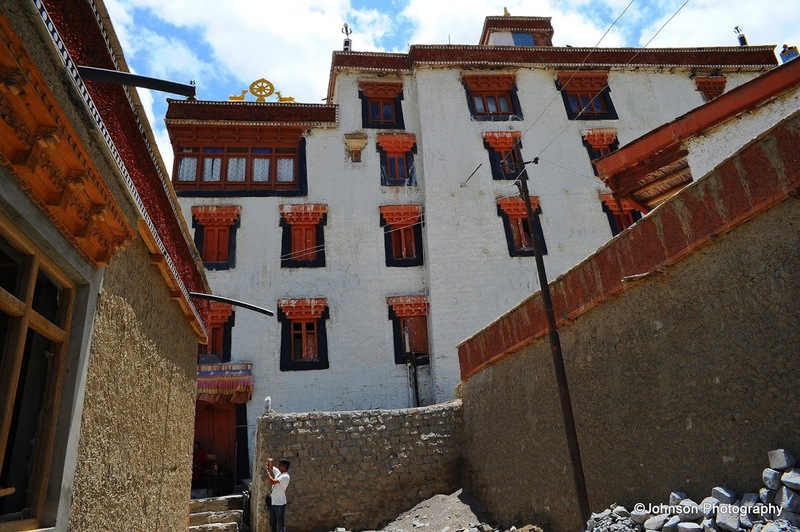 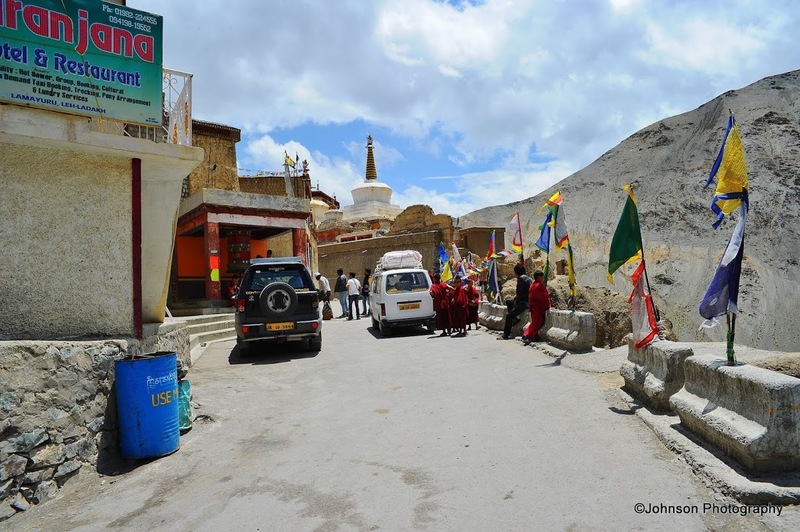 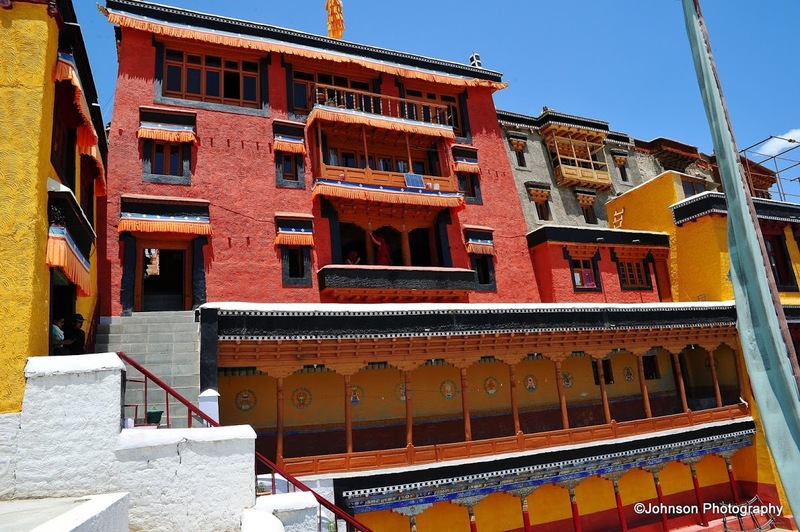 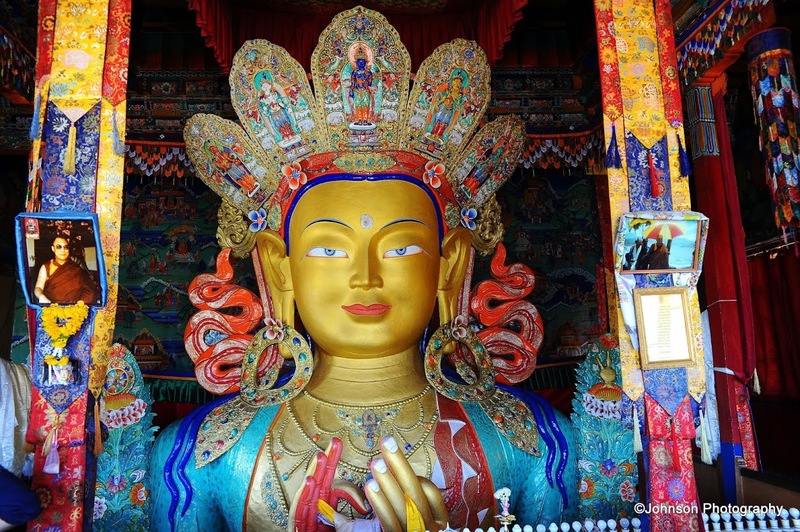 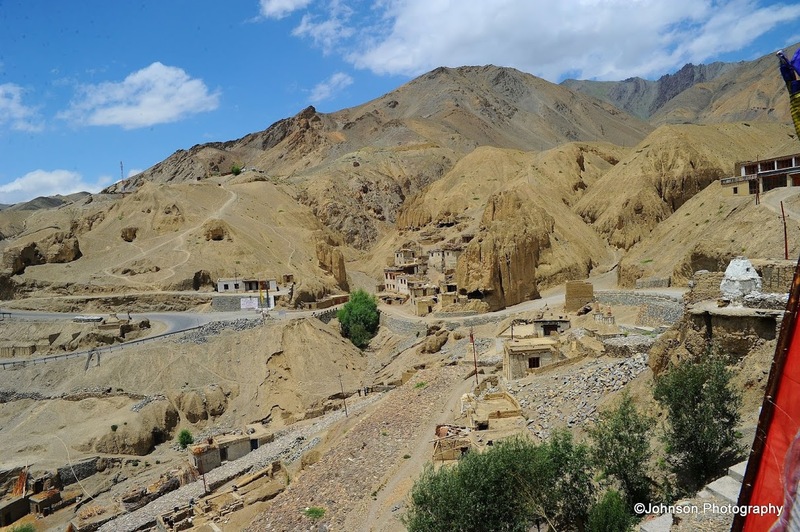 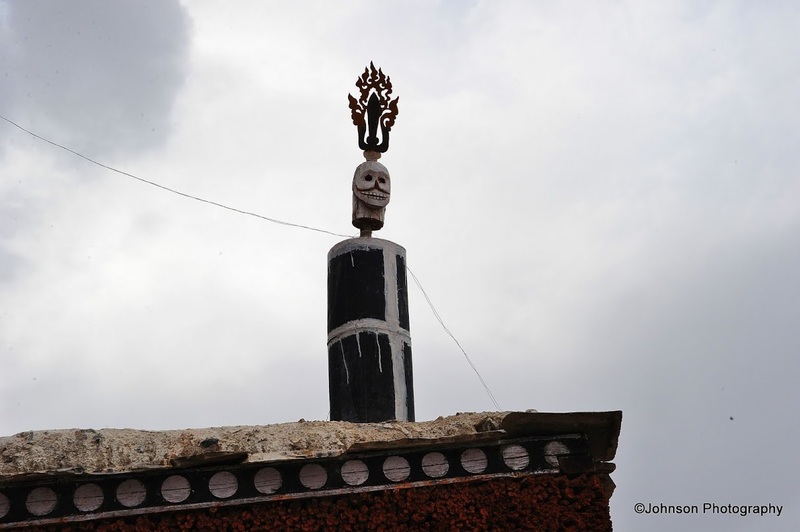 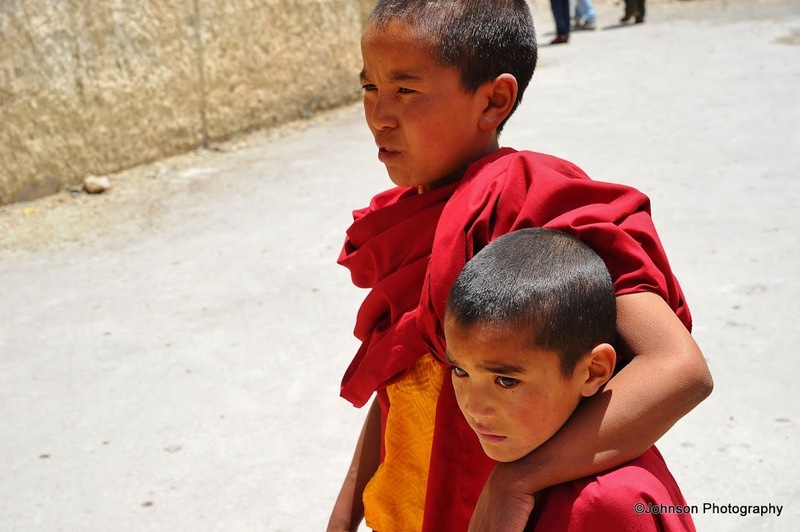 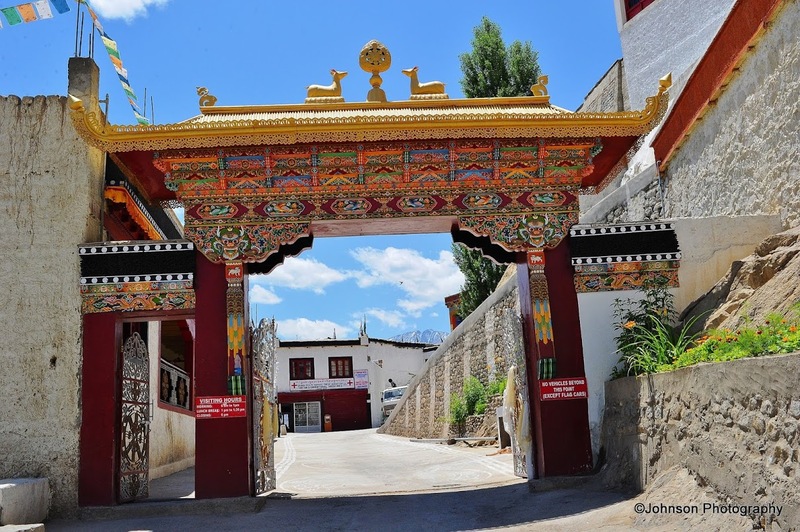 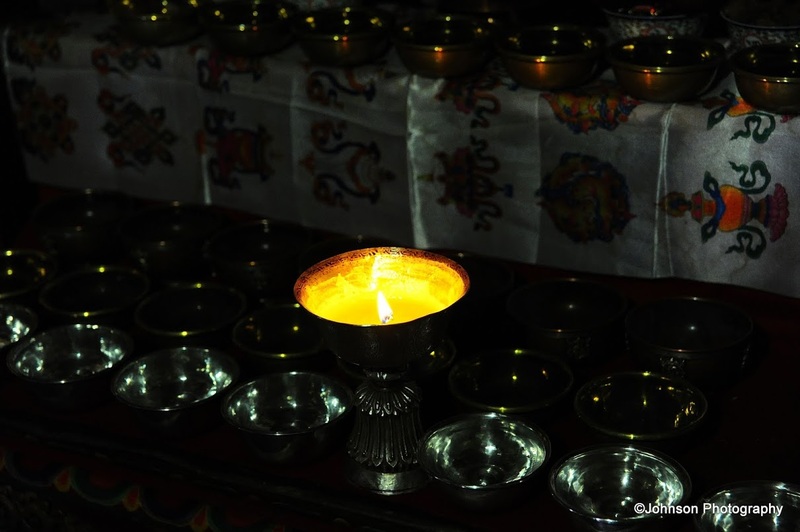 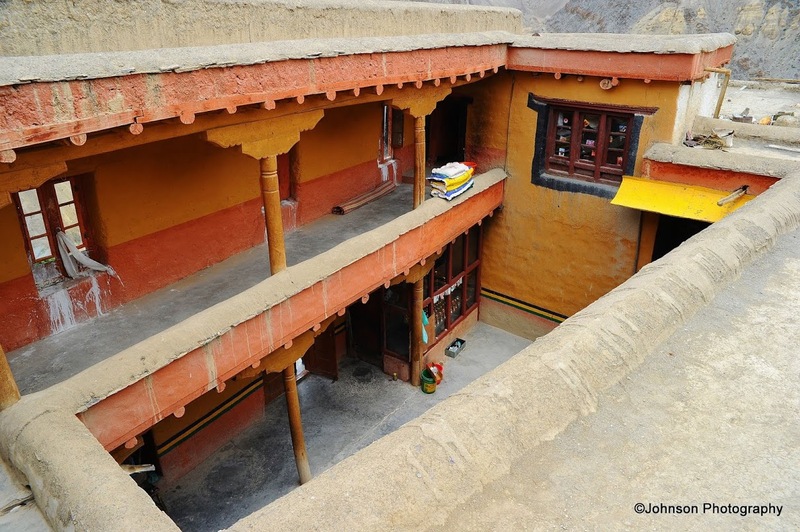 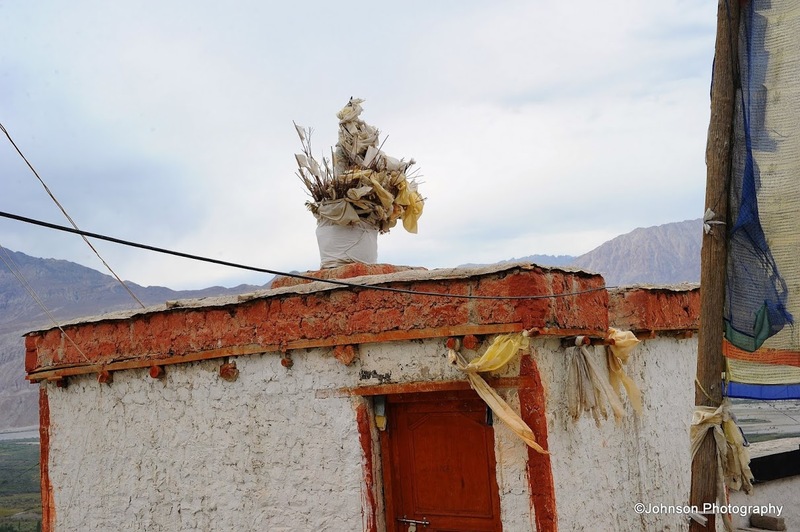 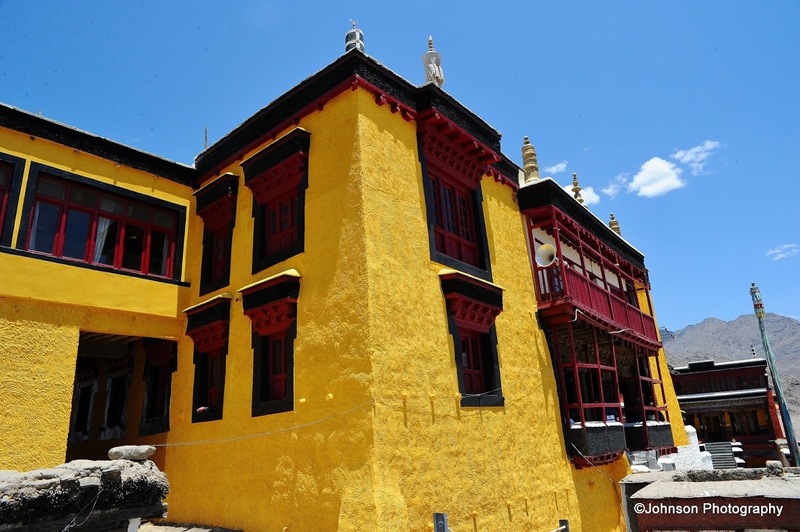 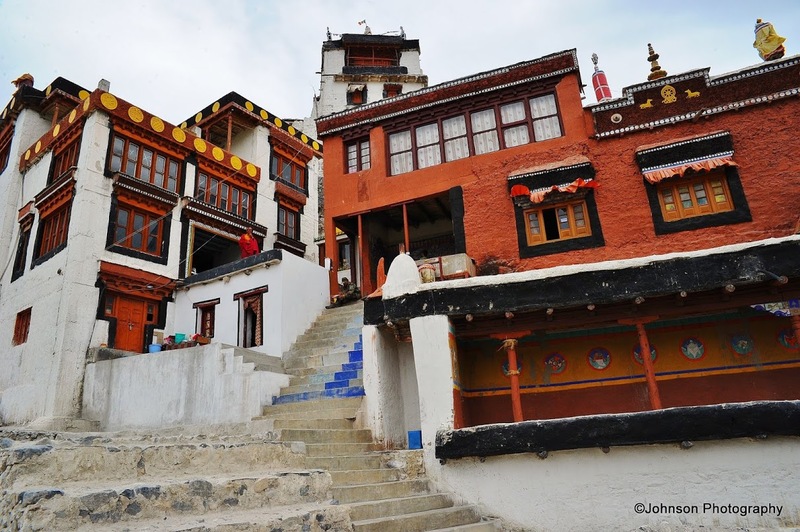 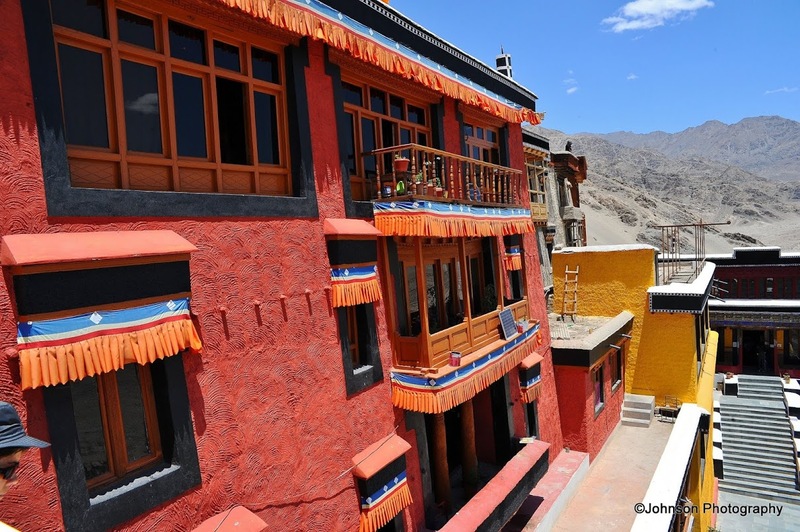 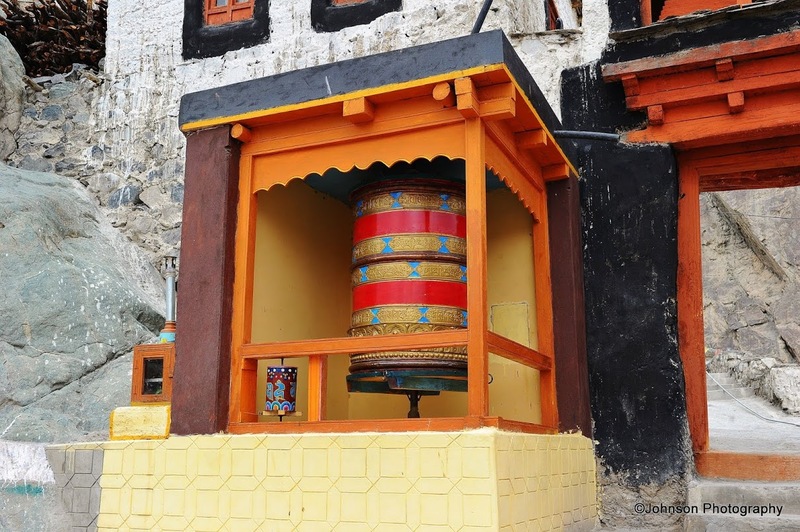 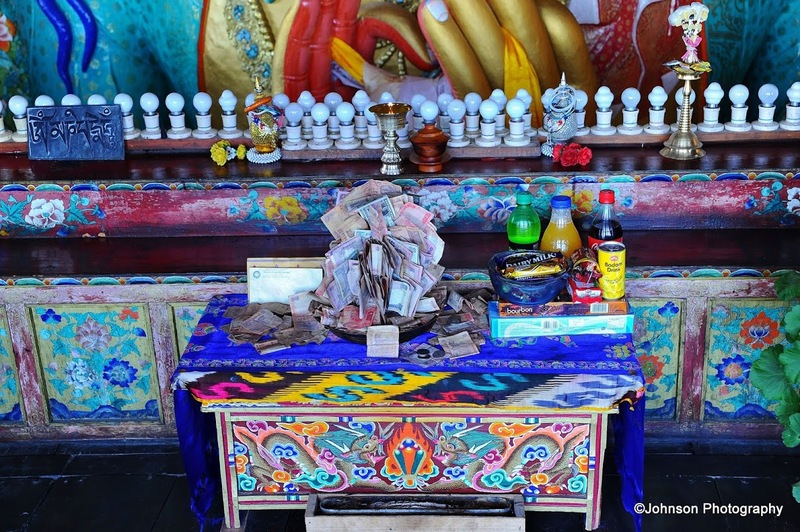 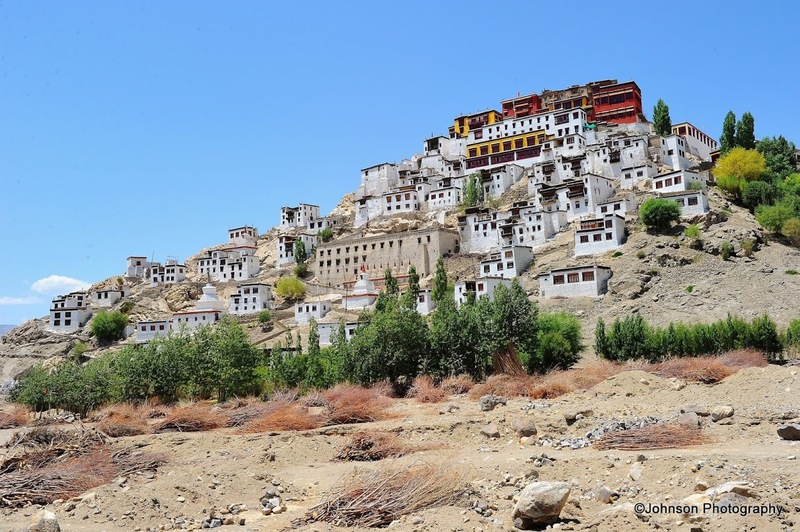 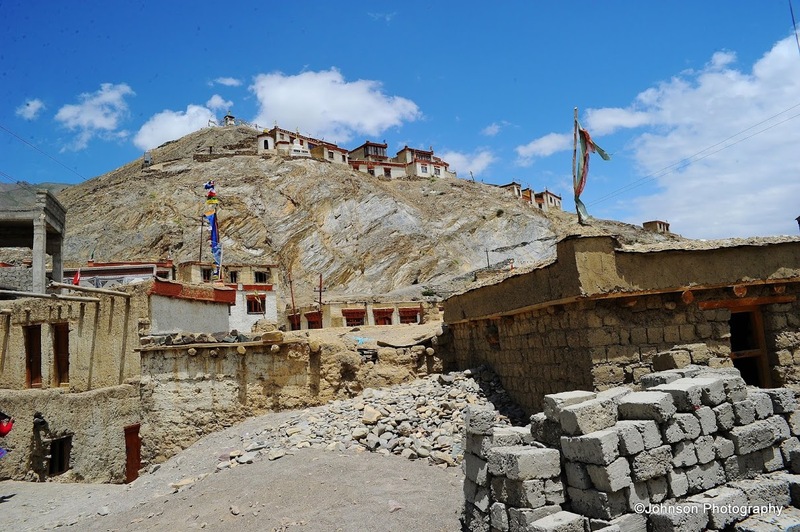 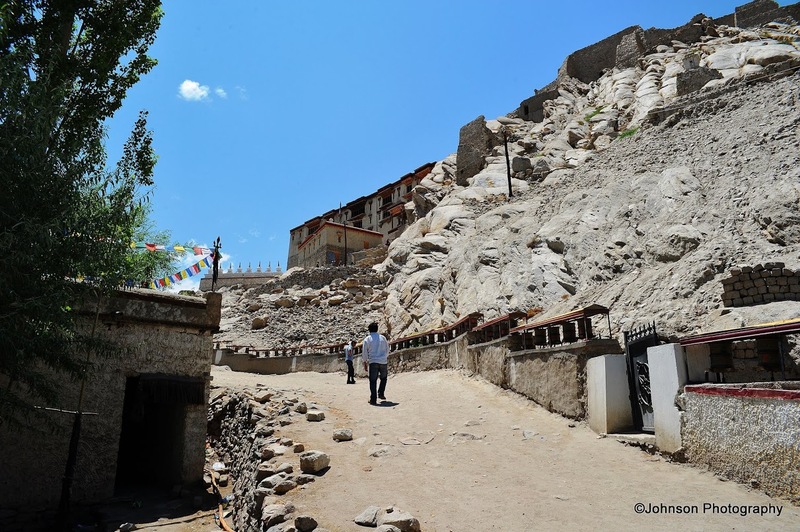 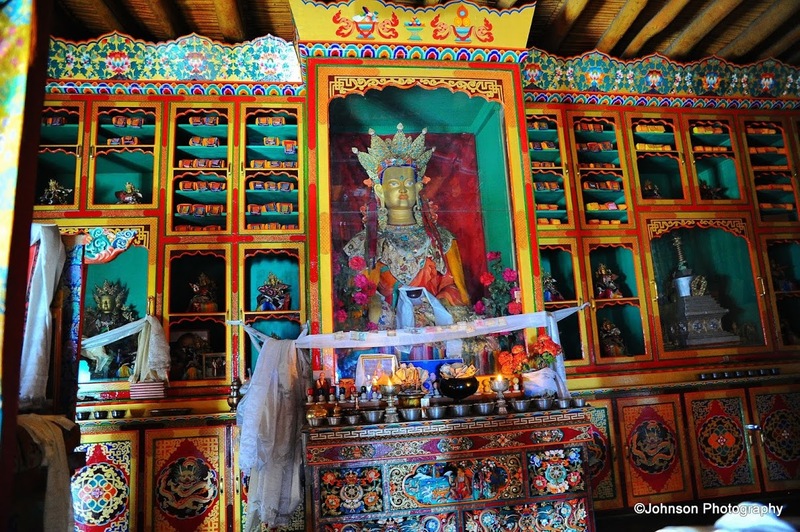 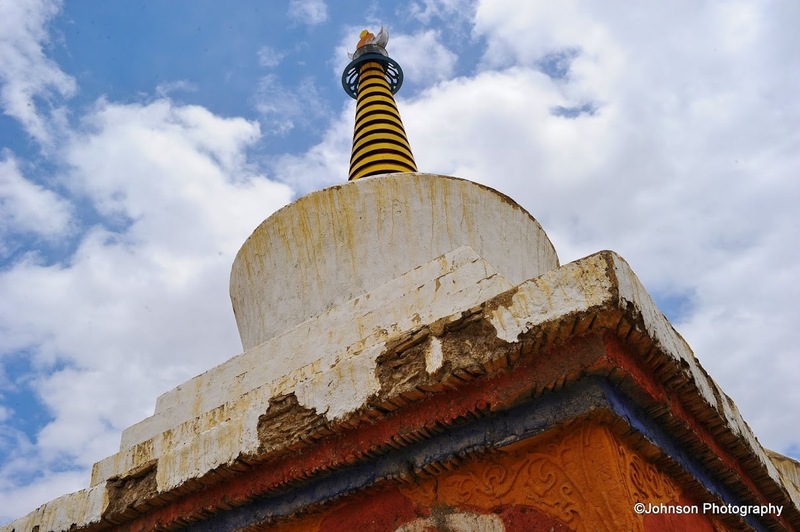 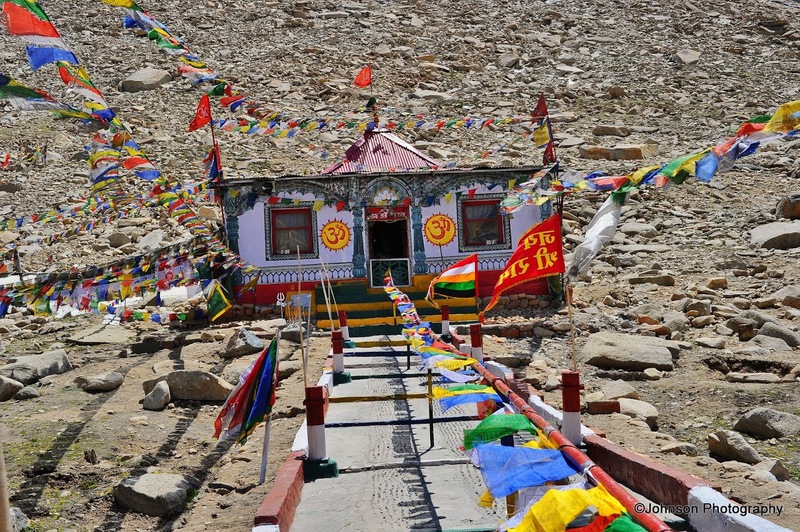 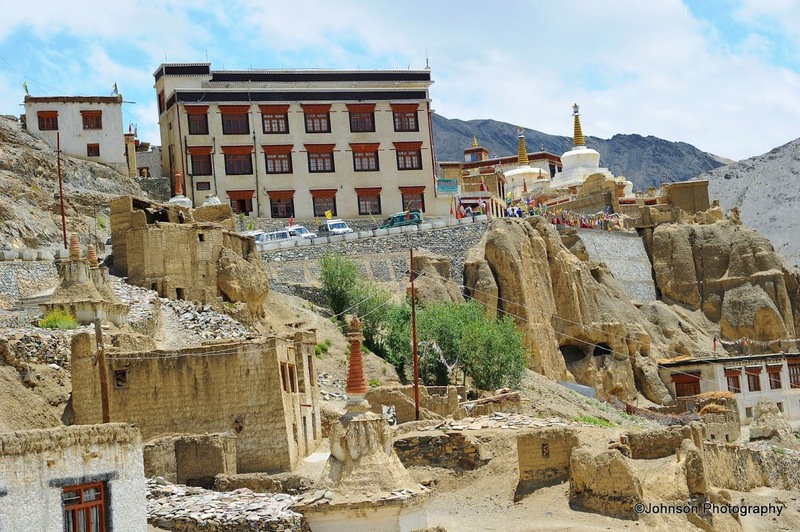 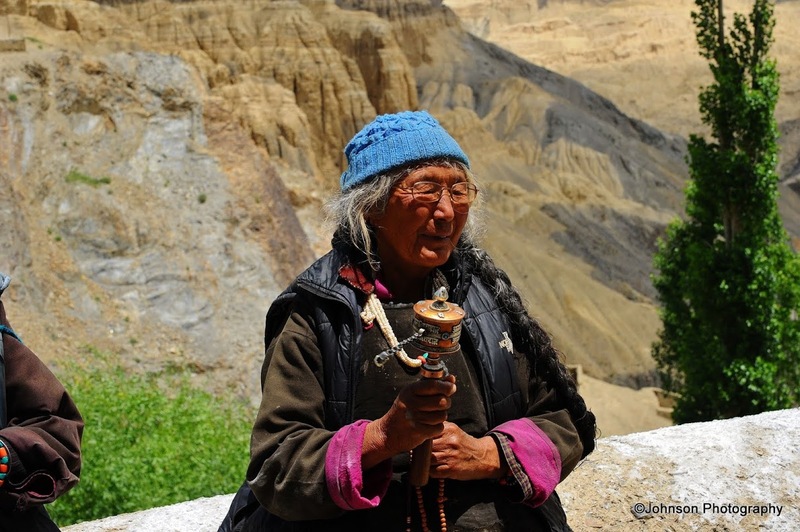 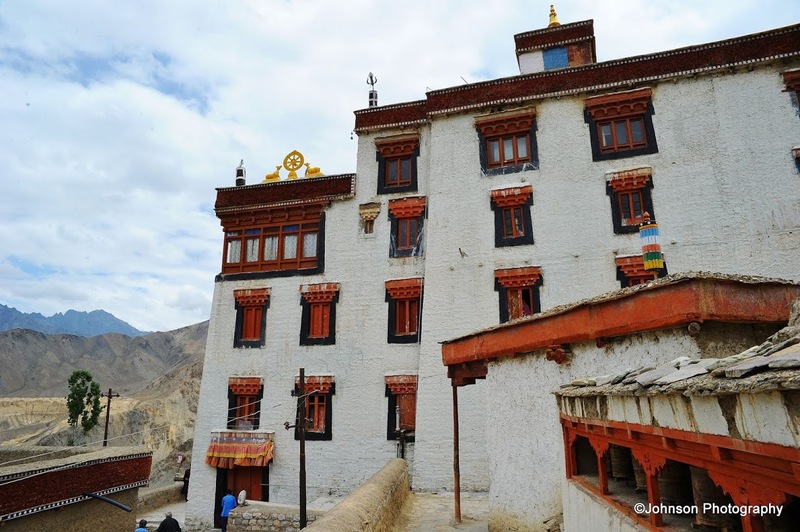 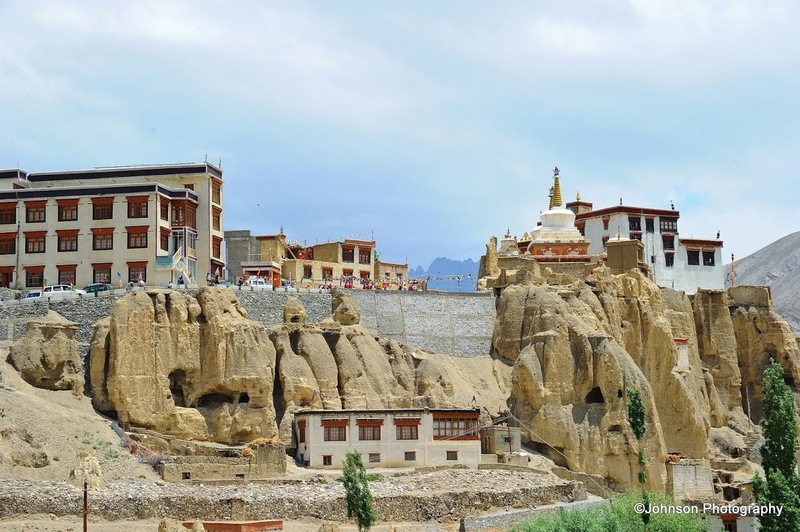 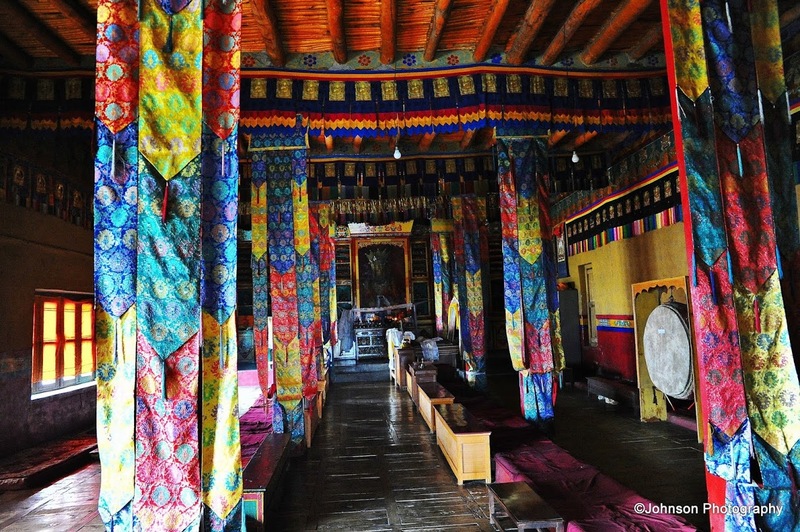 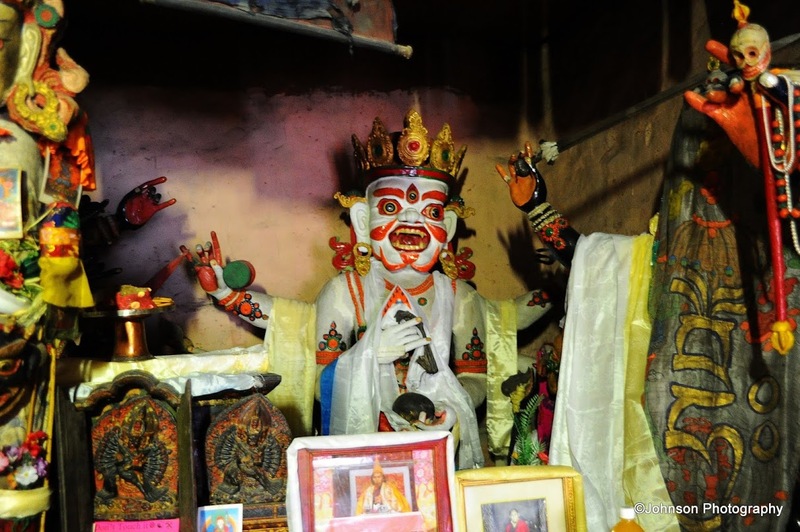 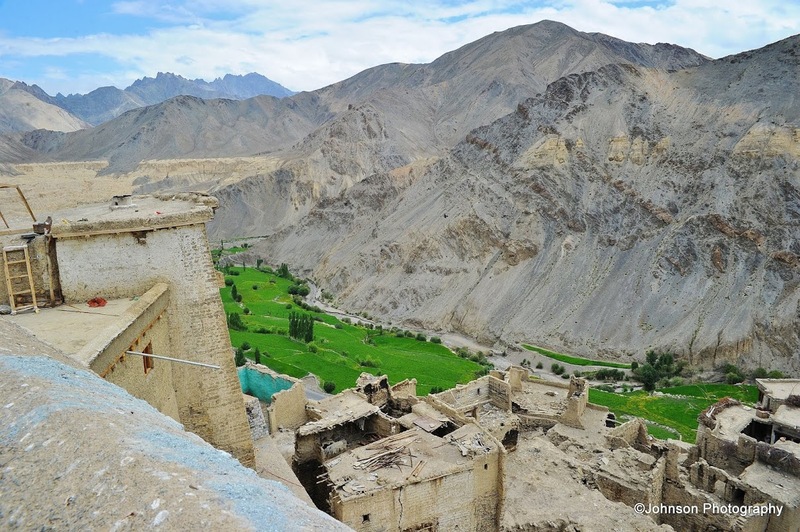 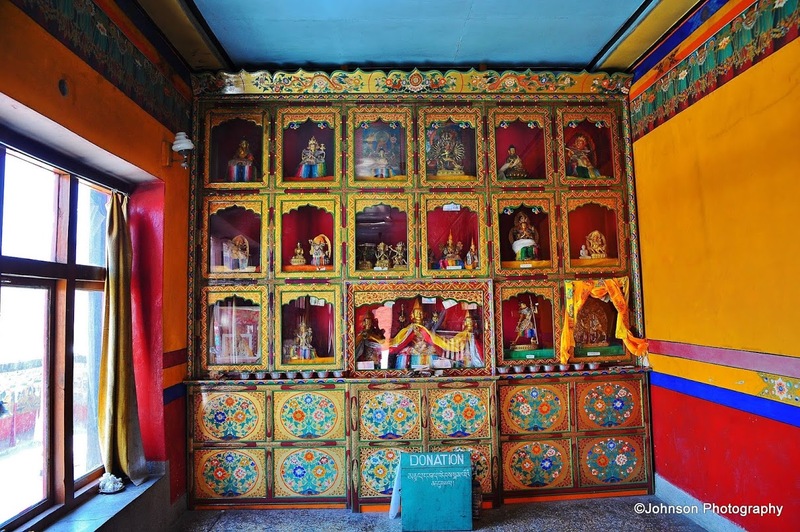 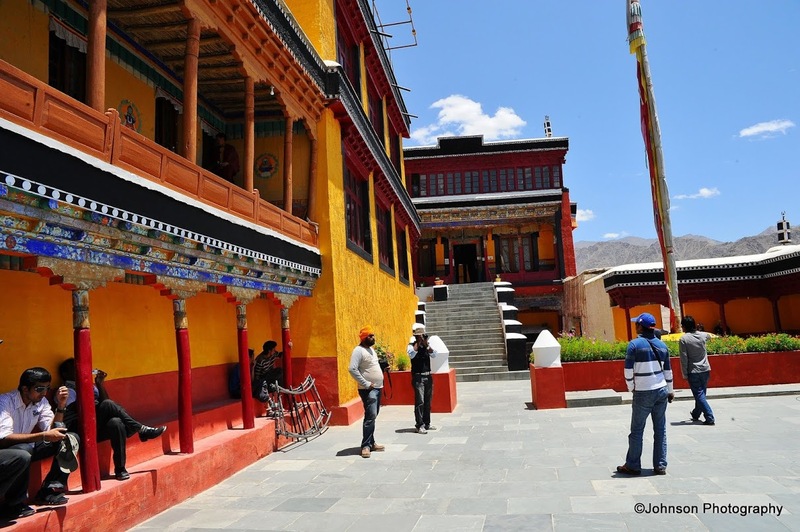 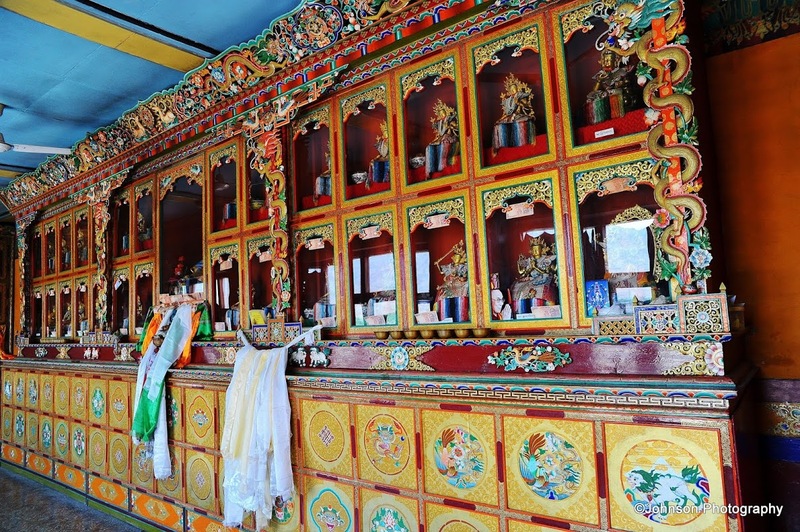 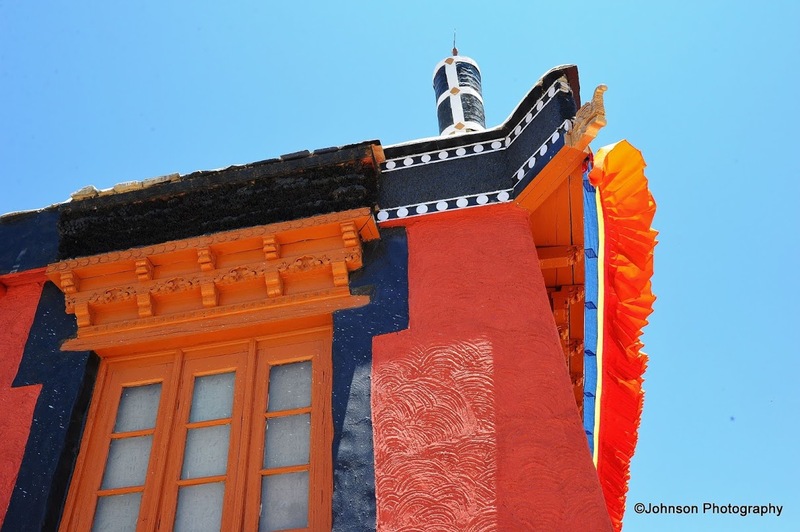 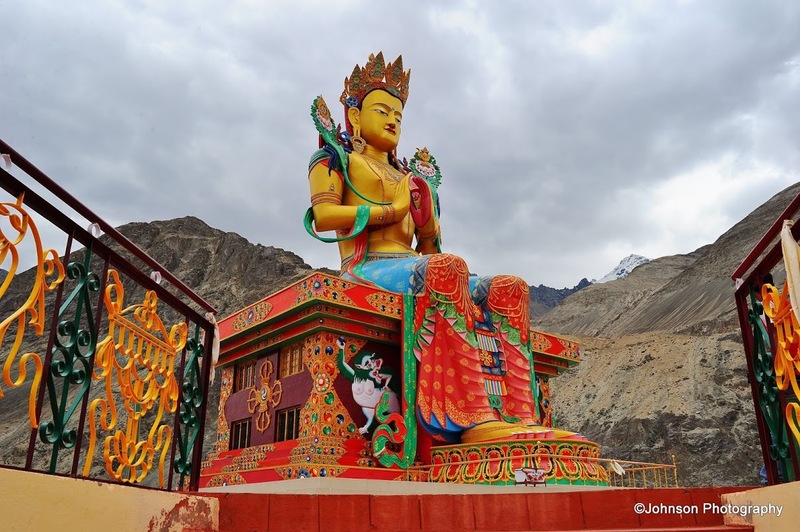 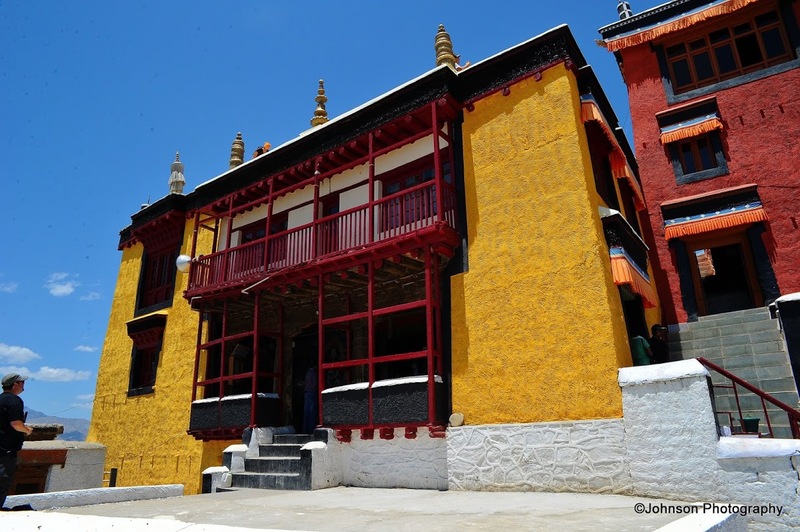 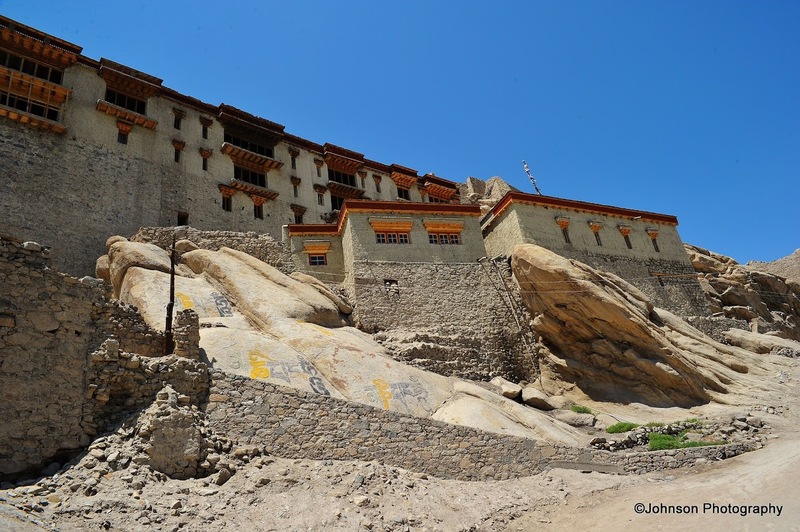 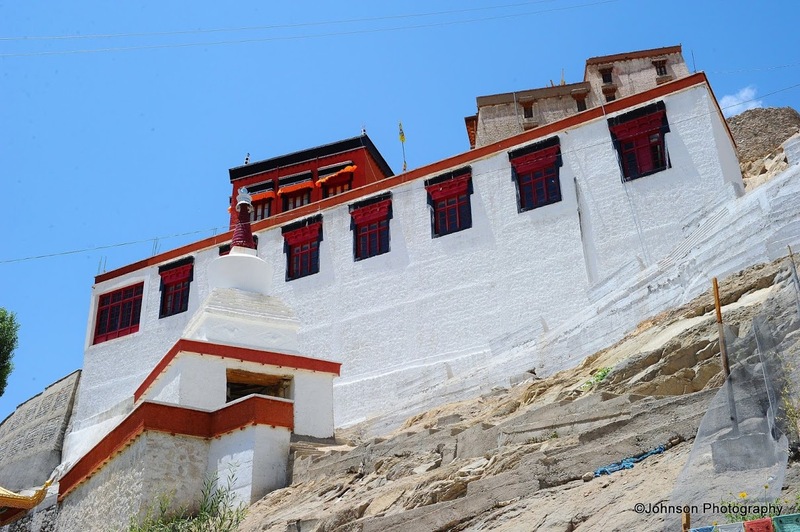 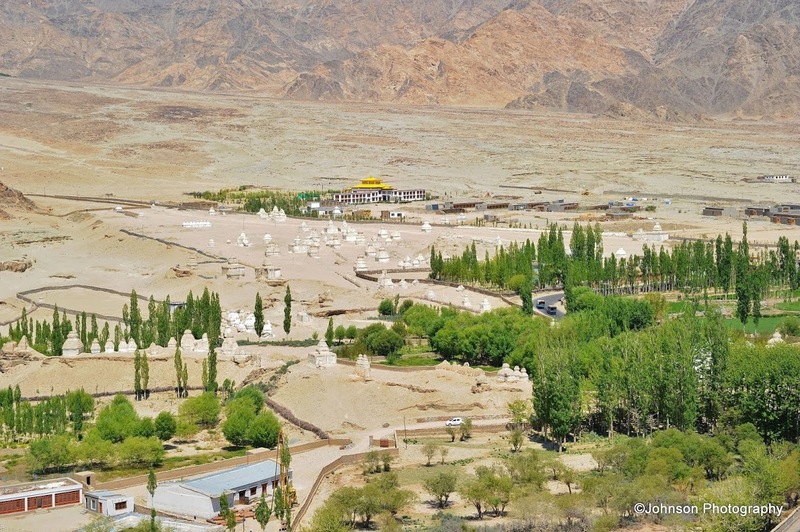 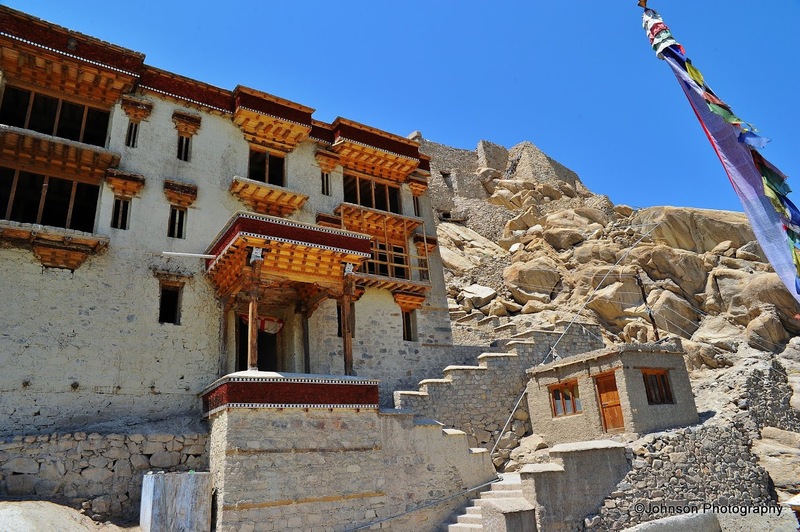 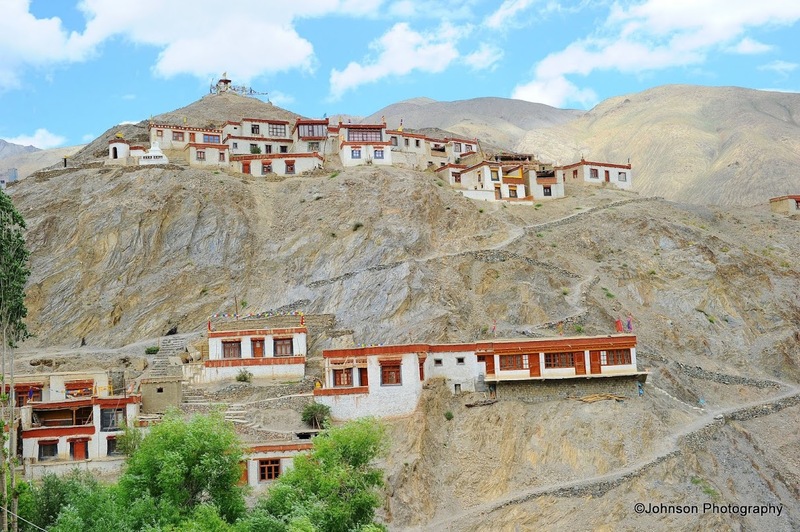 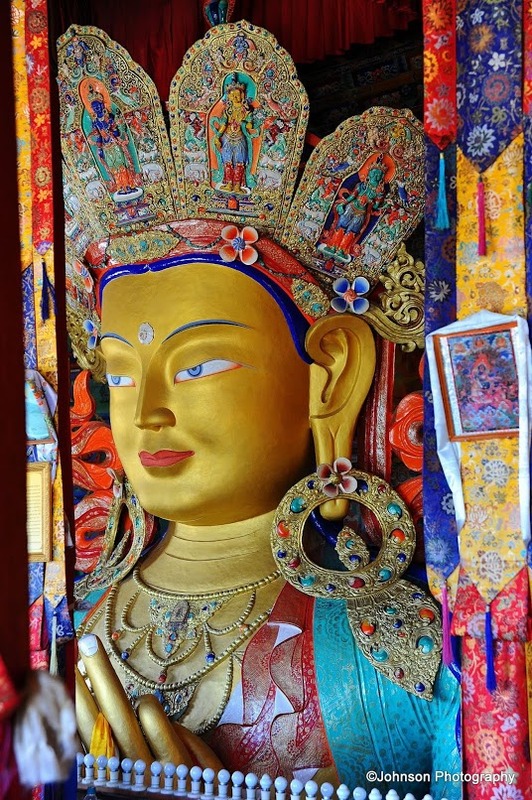 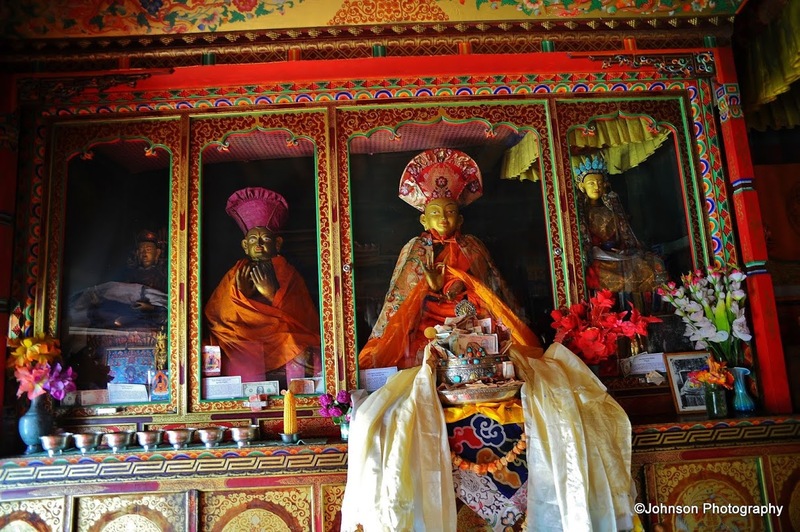 Lamayuru Monastery or the Eternal Monastery is situated on the Leh-Sreenagar highway, 107 km west of Leh. 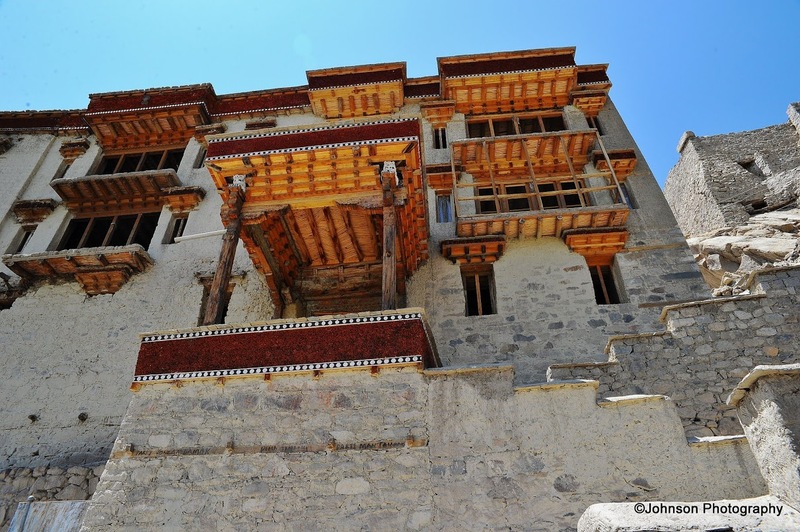 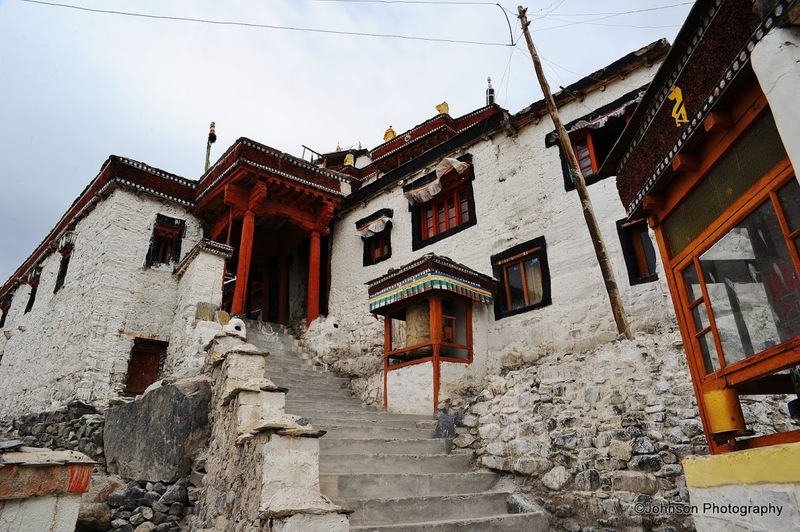 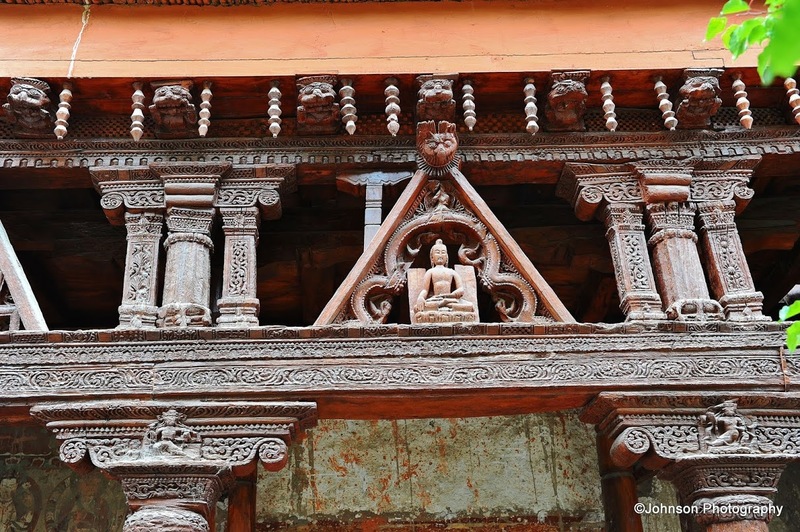 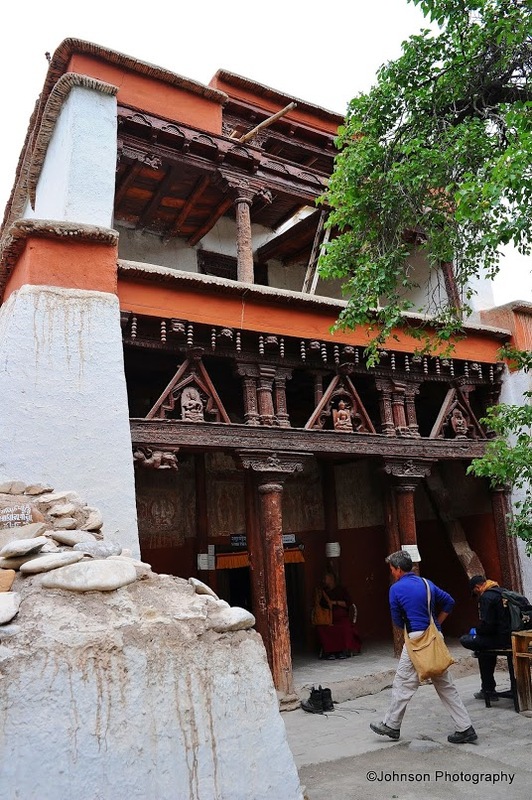 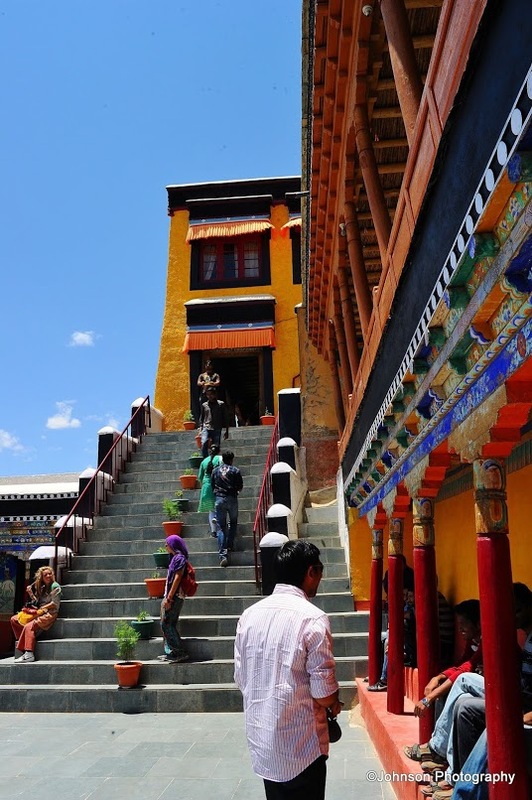 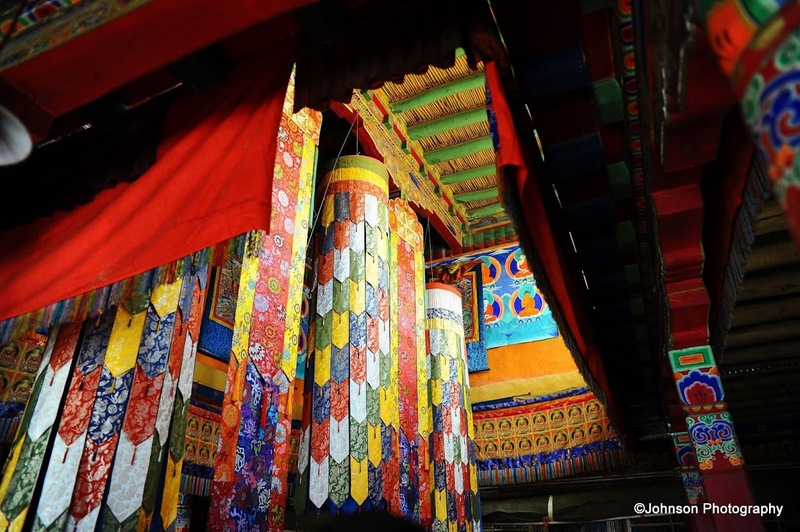 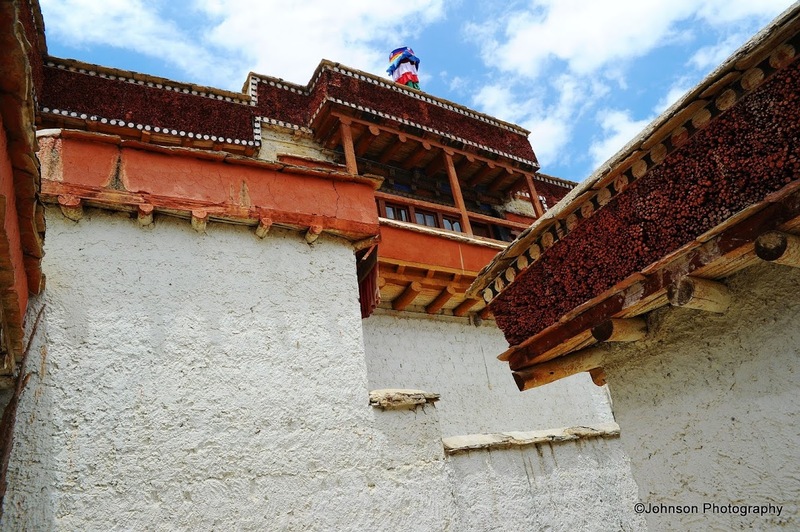 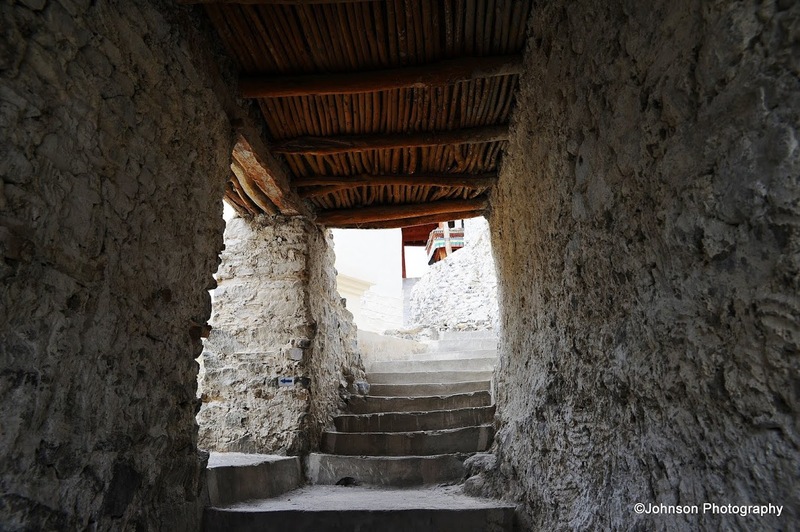 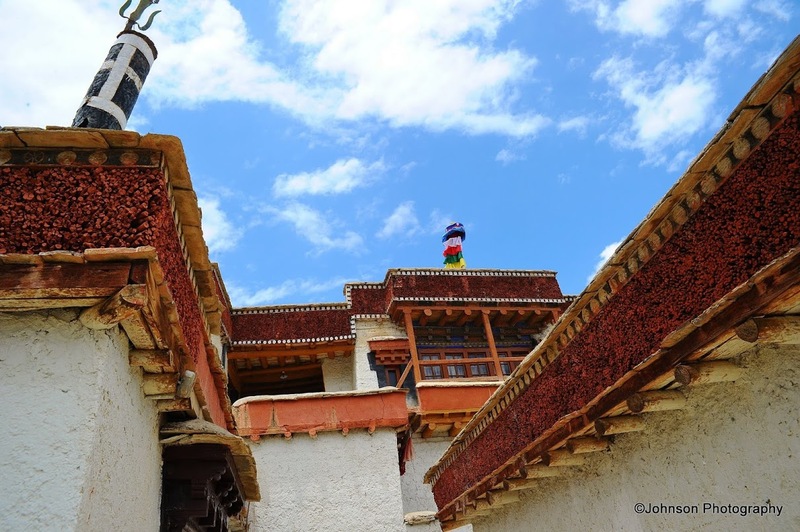 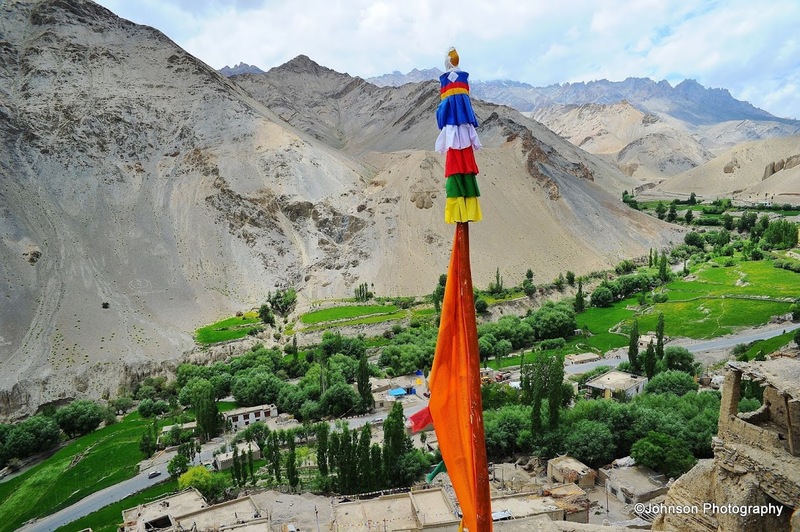 Lamayuru Monastery was originally the foremost Bon monastery in Ladakh, its name means sauwastika and is a popular symbol in Bon for eternity. 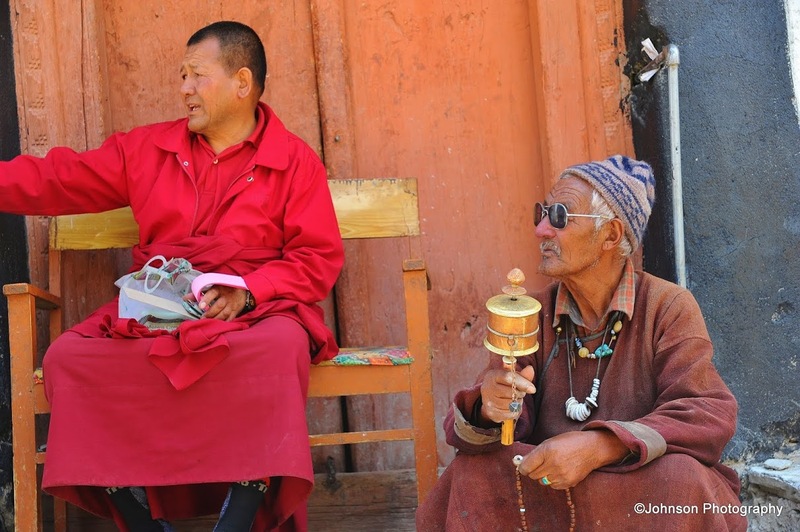 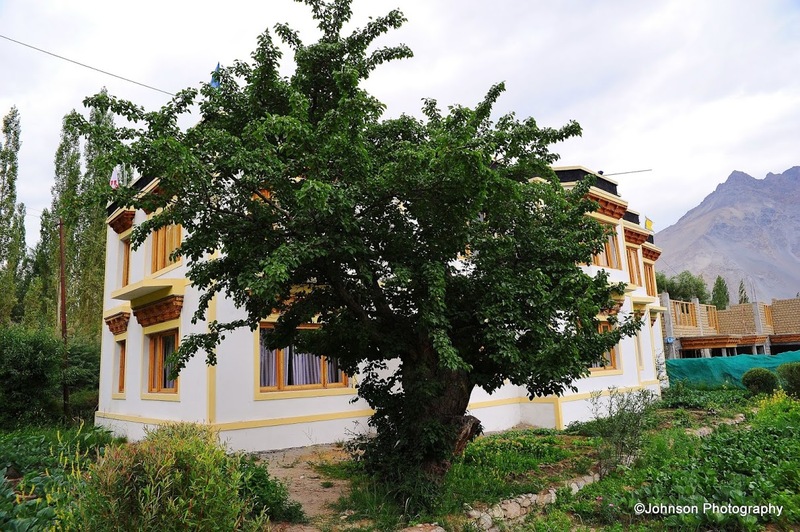 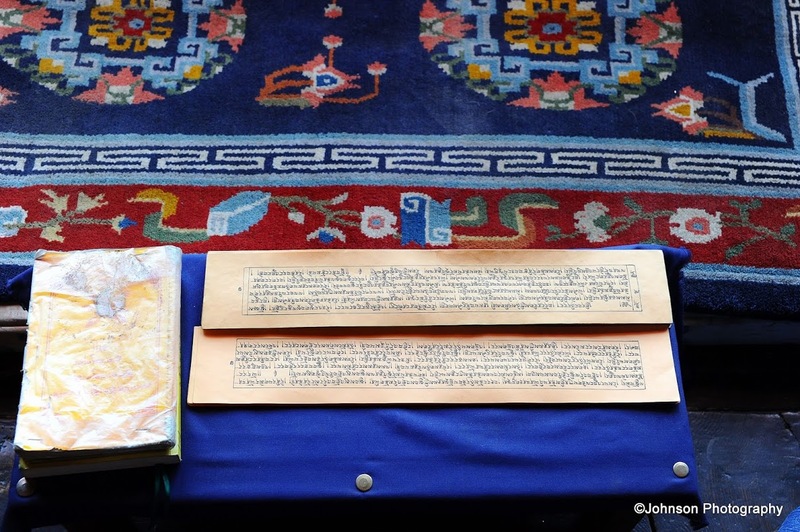 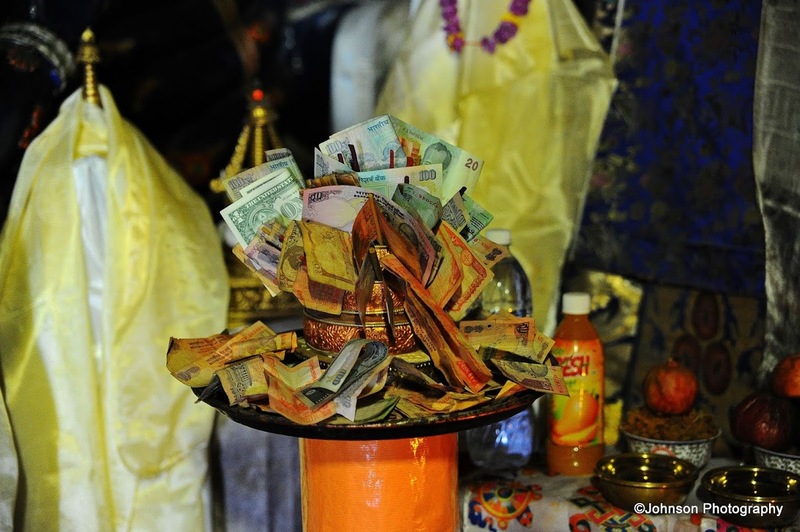 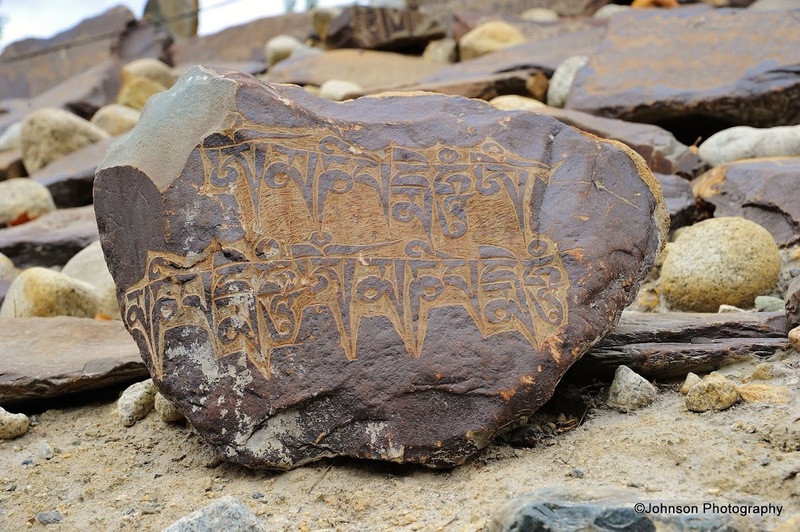 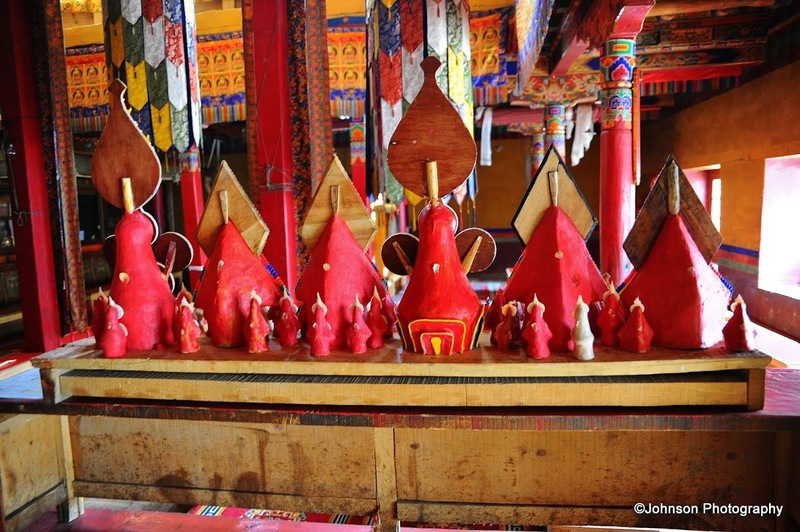 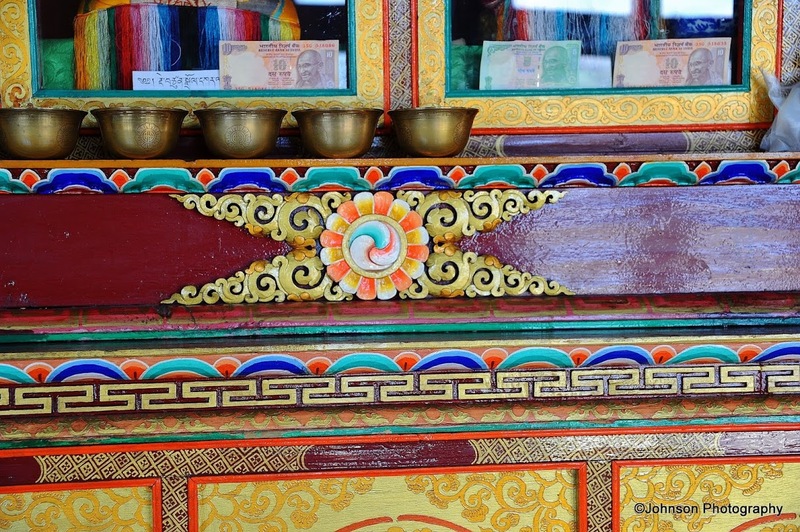 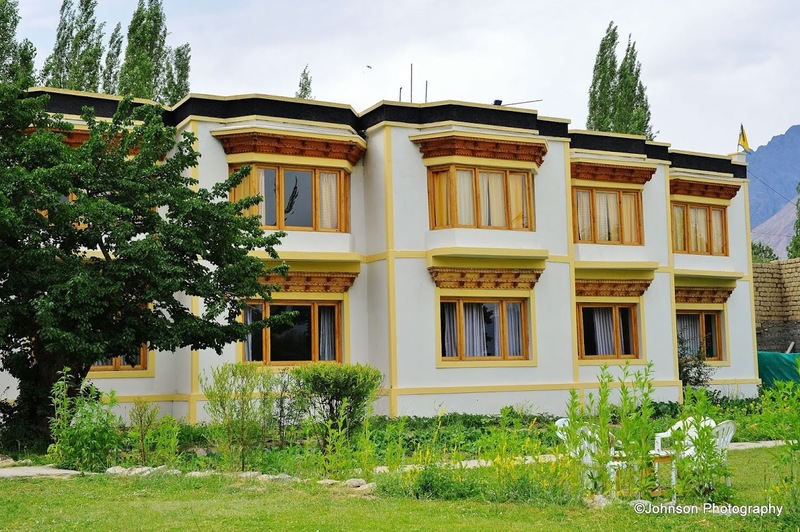 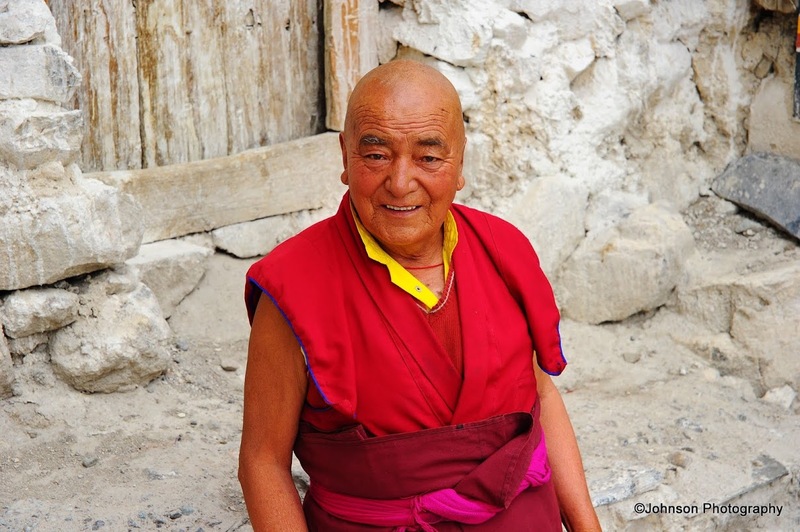 It is currently affiliated to the Krikung Kagyu school of Buddhism. 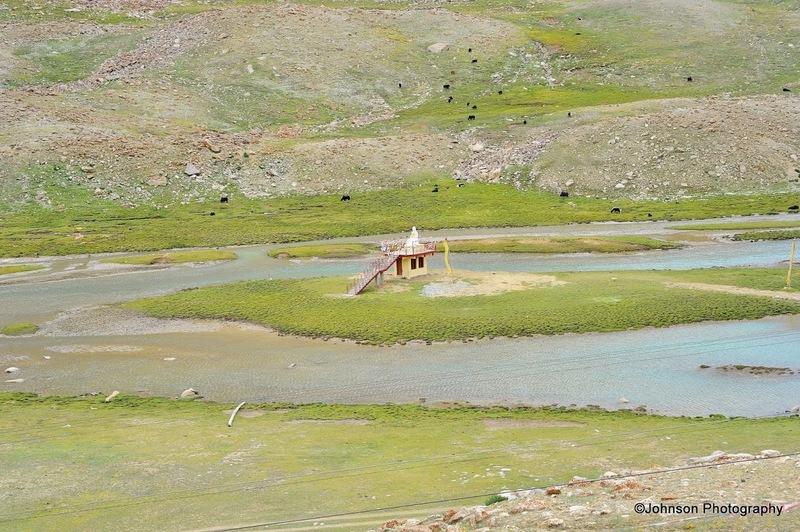 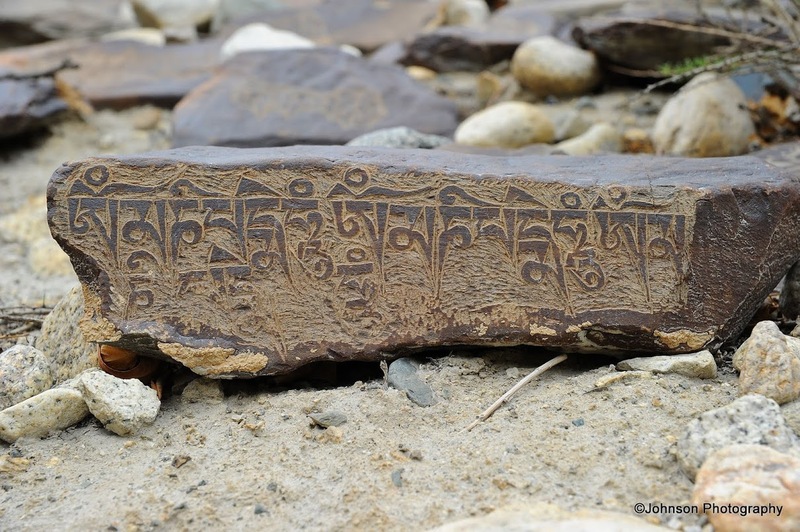 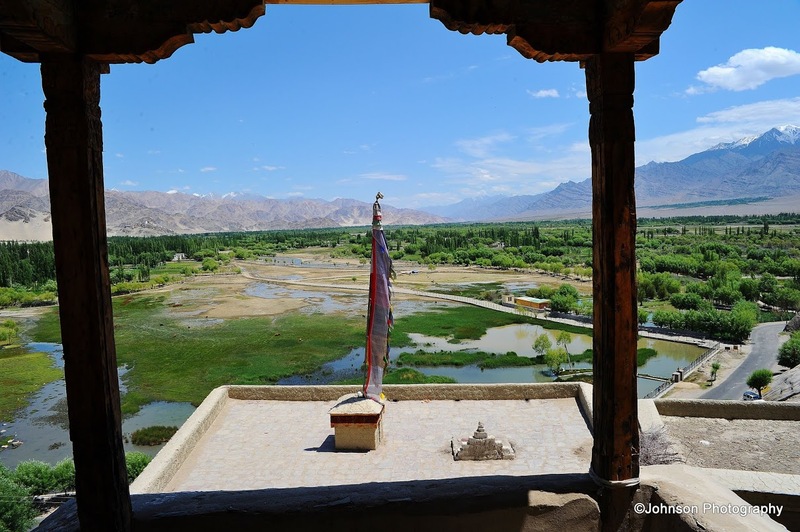 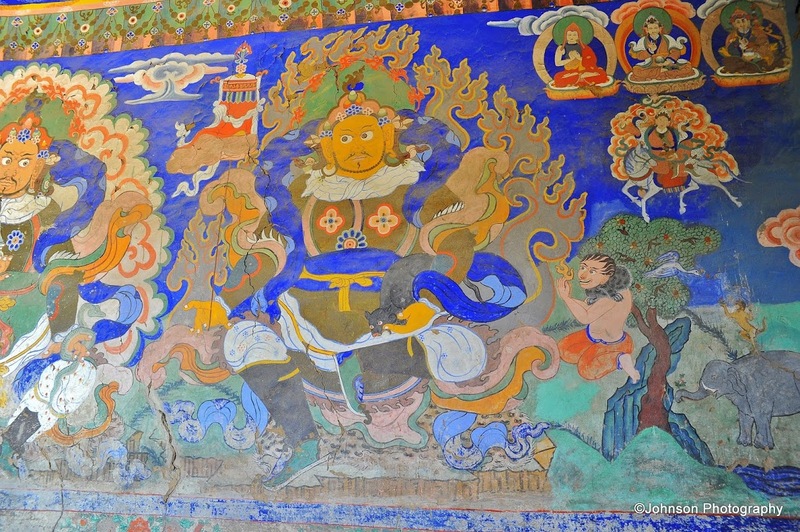 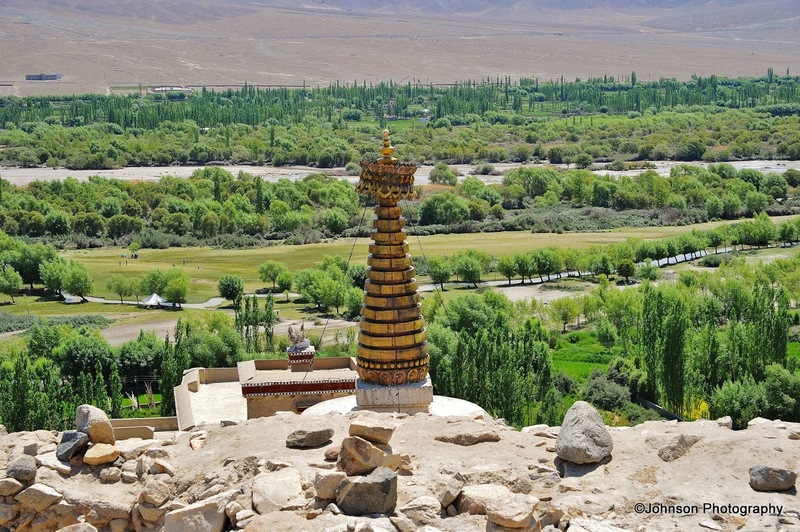 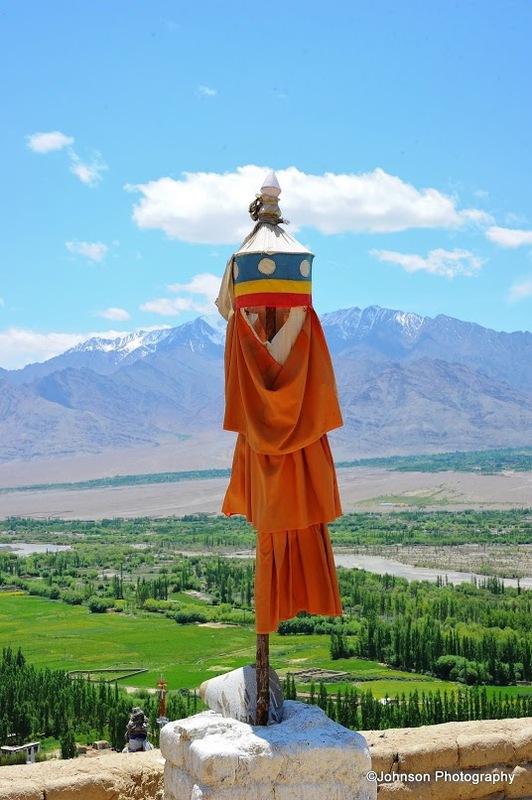 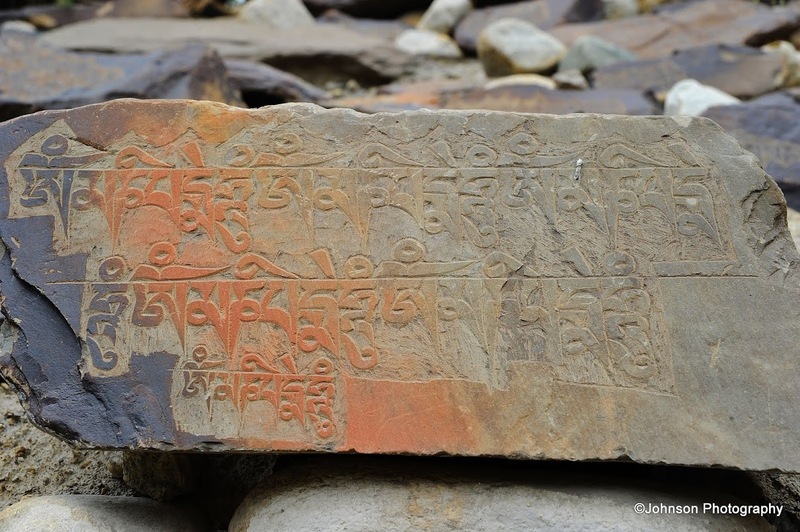 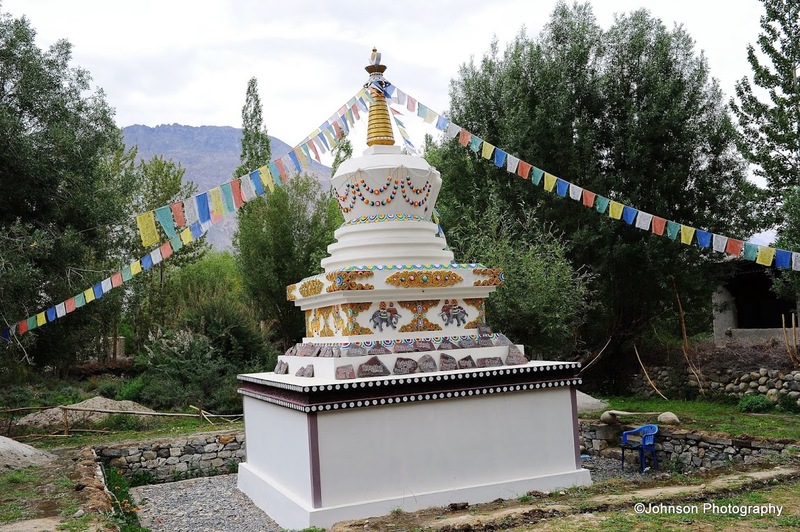 According to tradition the Indian scholar Naropa (956-1041AD) allegedly caused a lake which filled the valley to dry up and founded the Lamayuru Monastery. 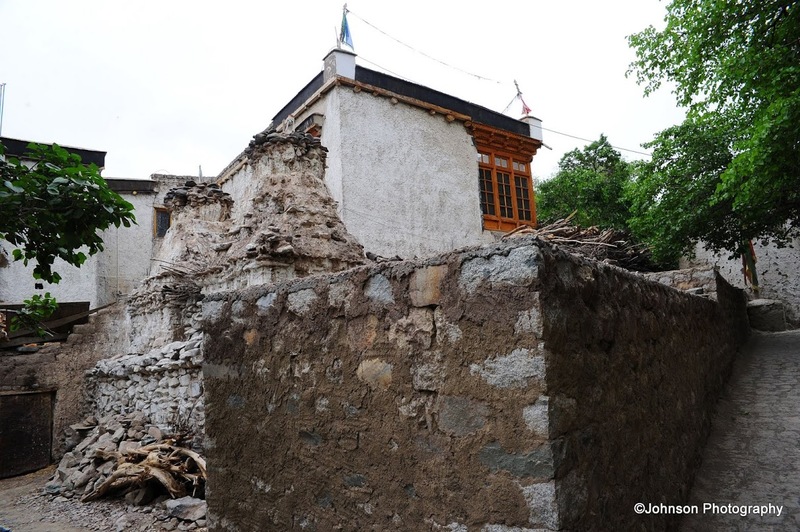 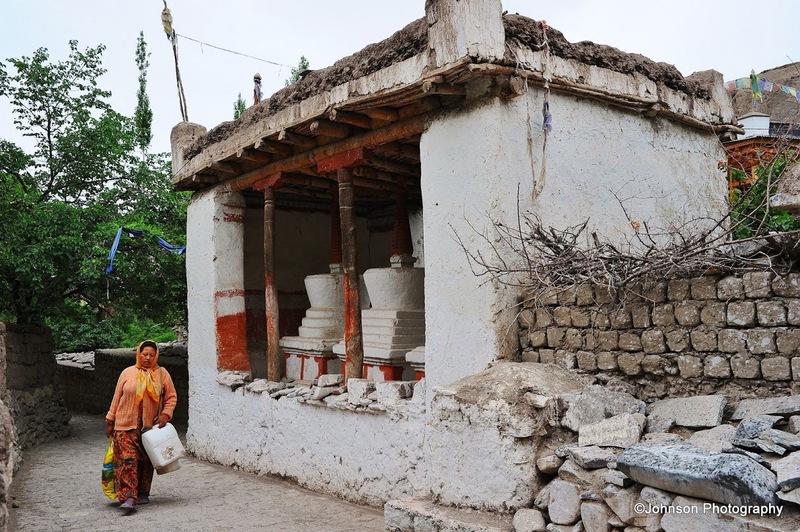 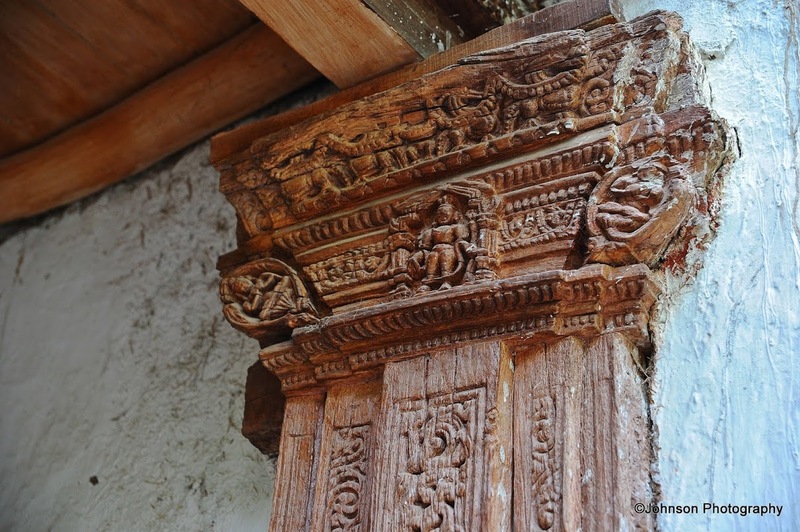 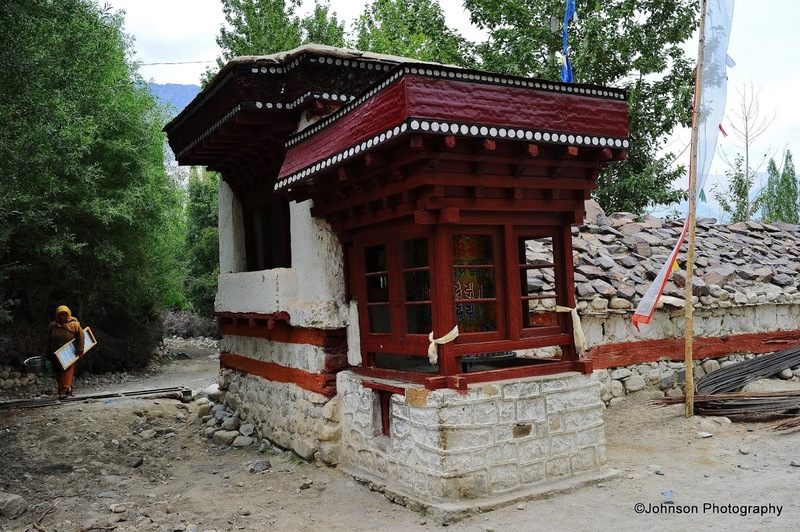 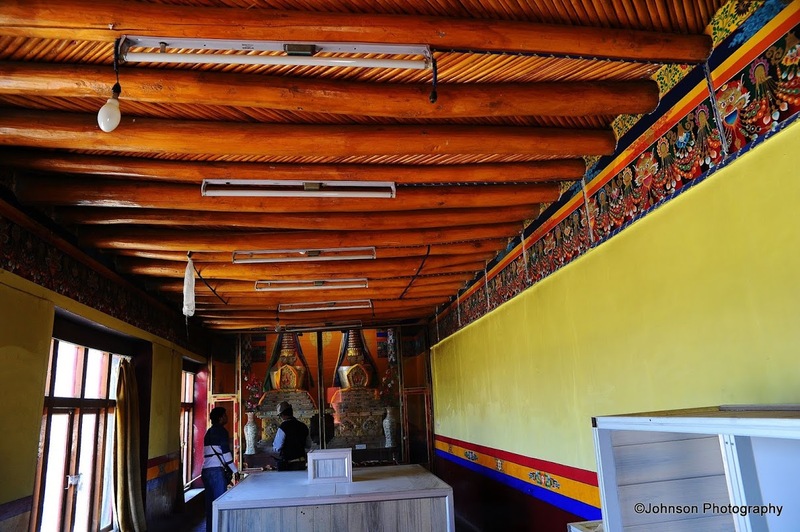 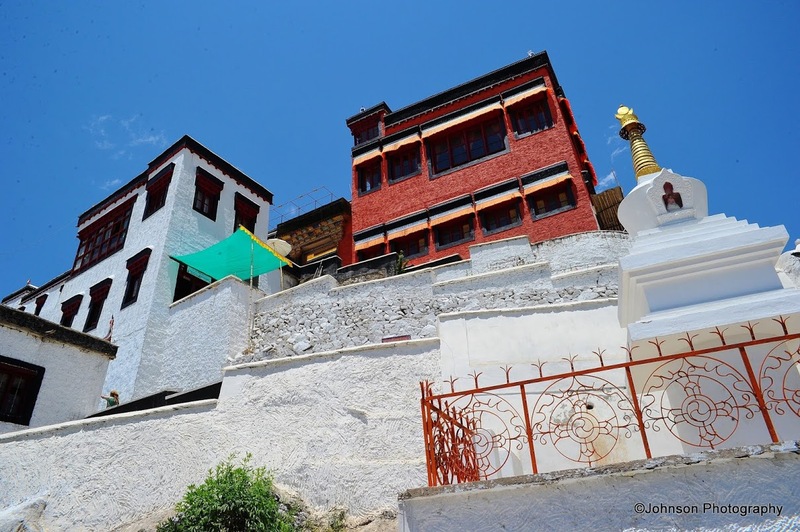 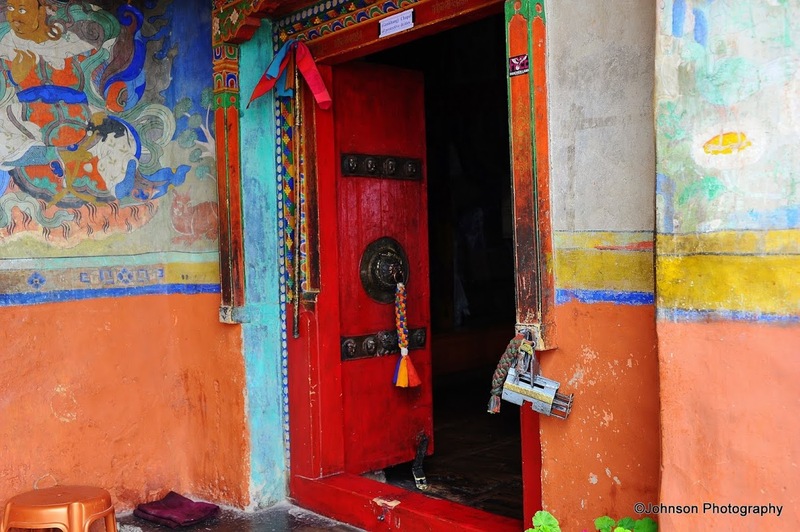 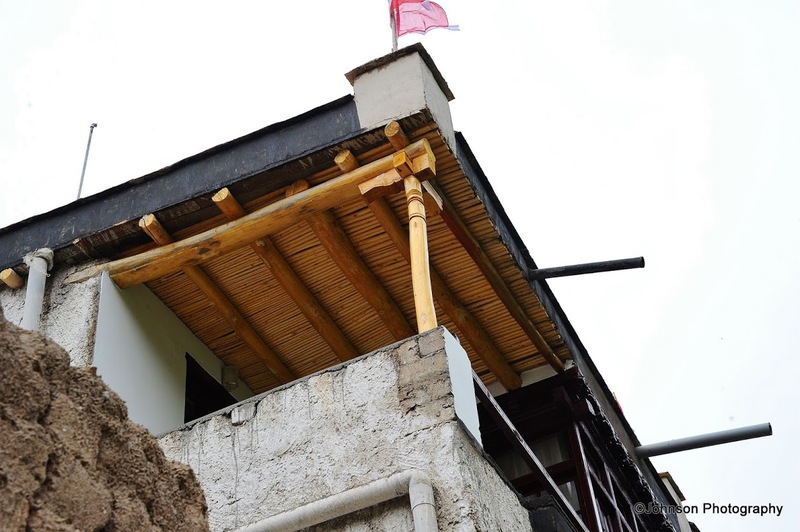 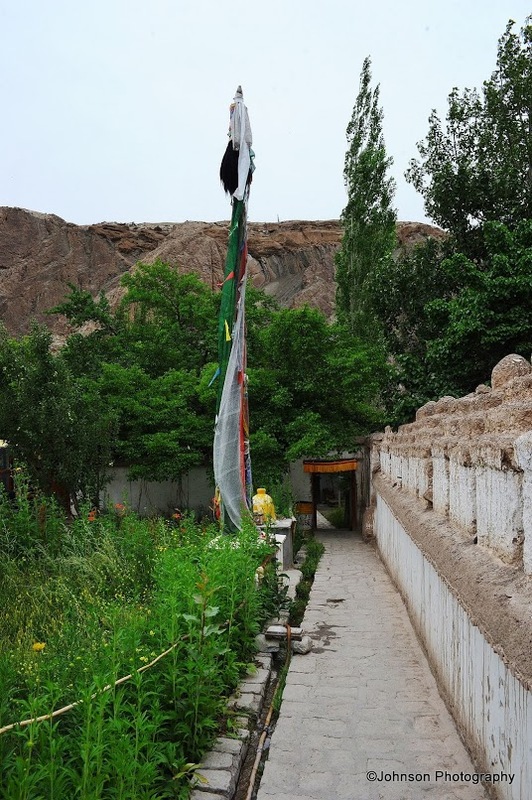 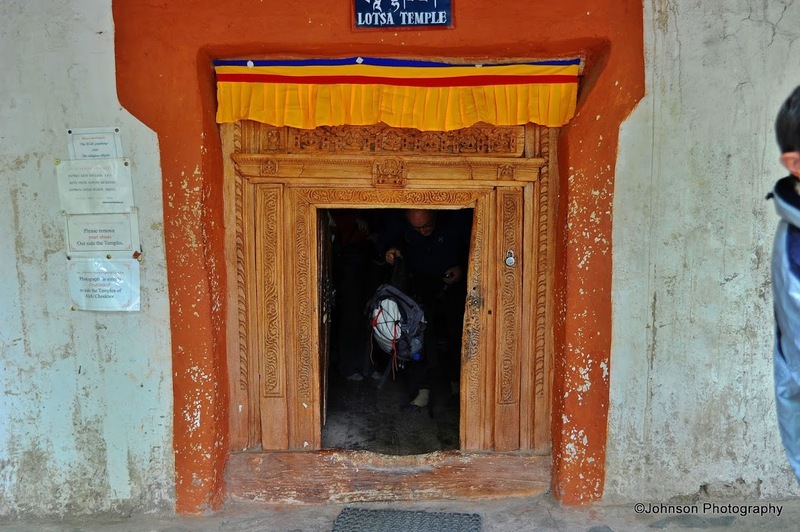 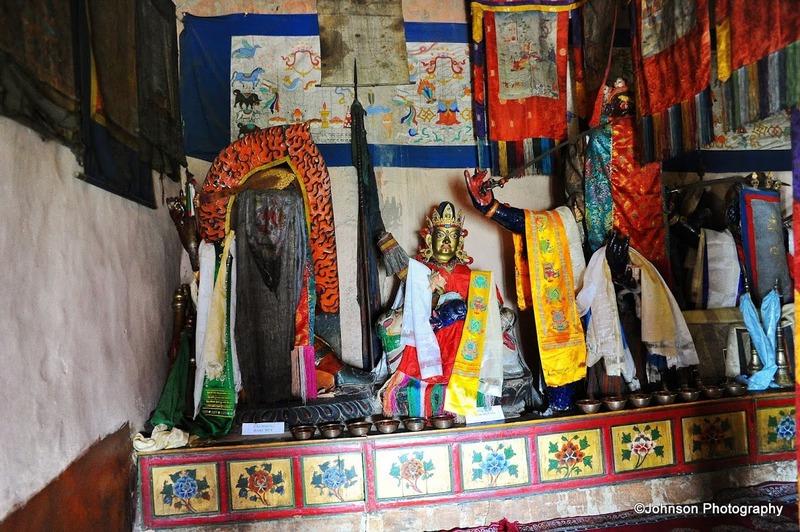 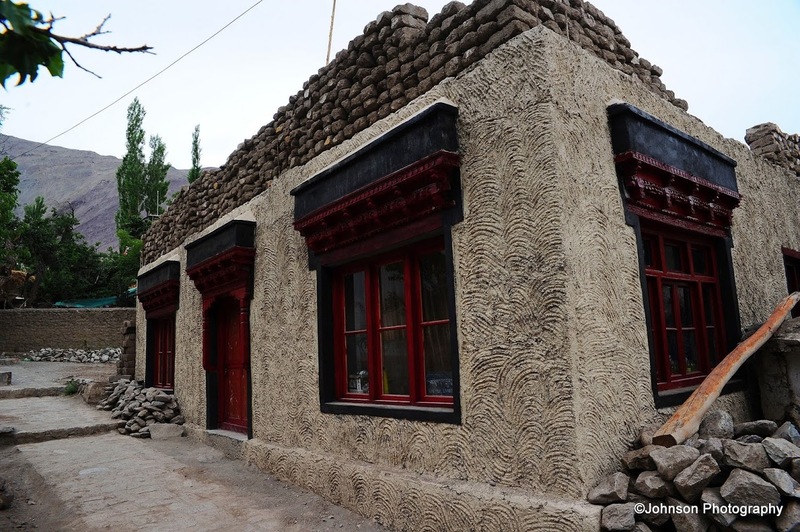 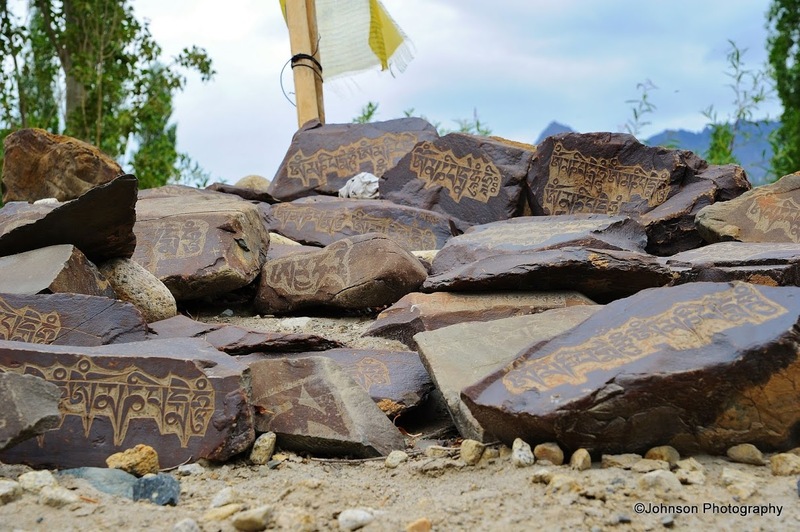 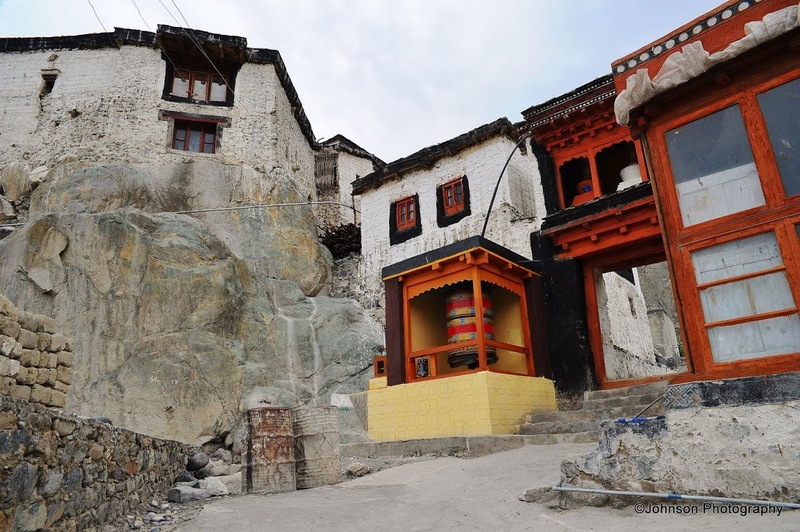 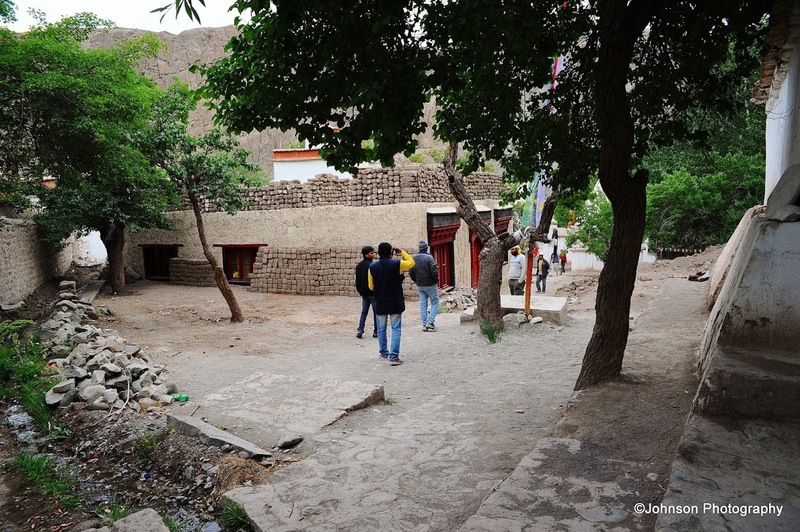 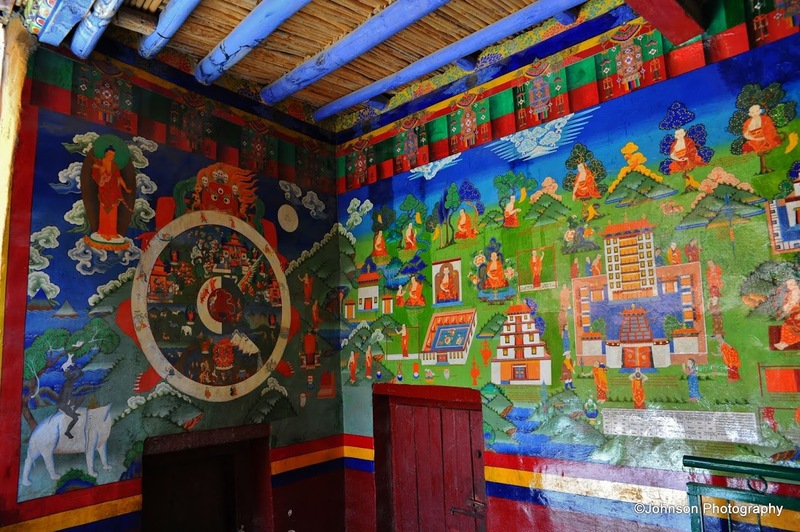 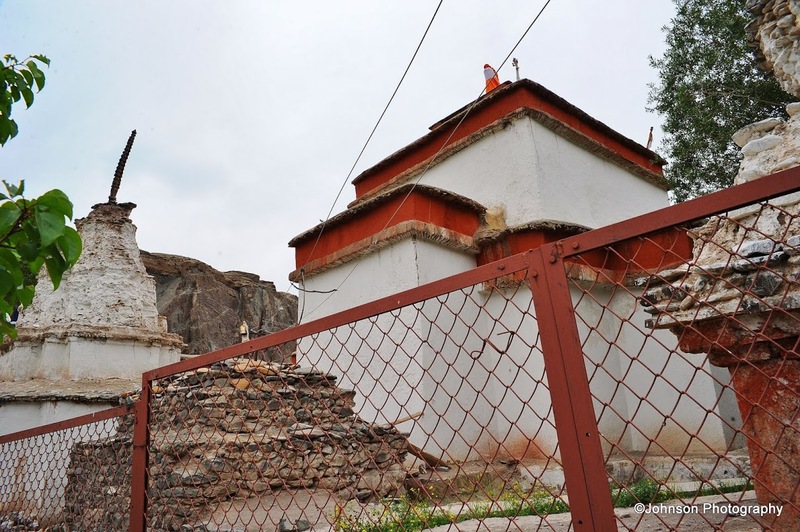 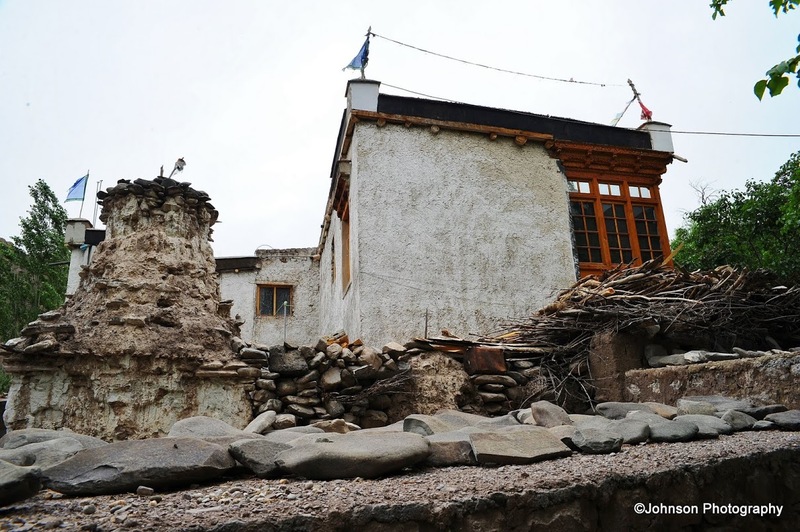 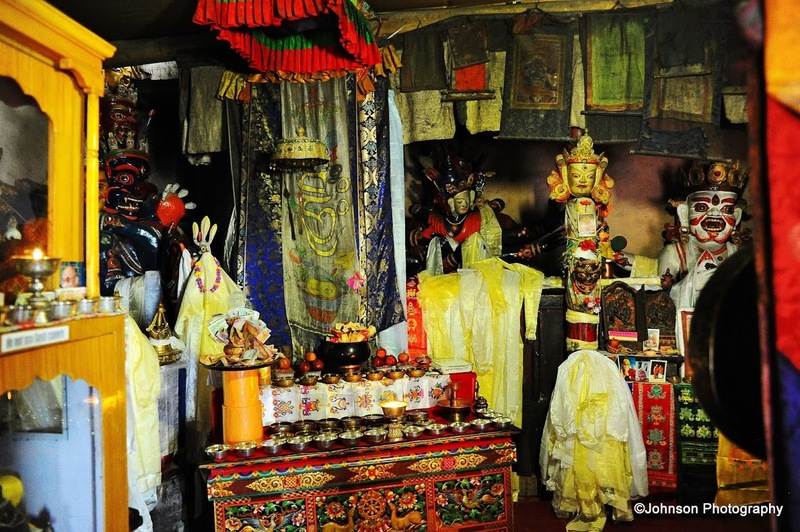 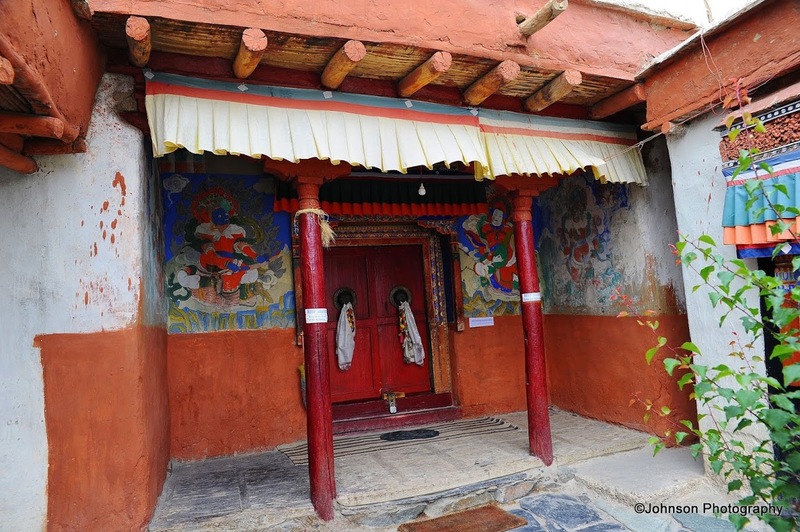 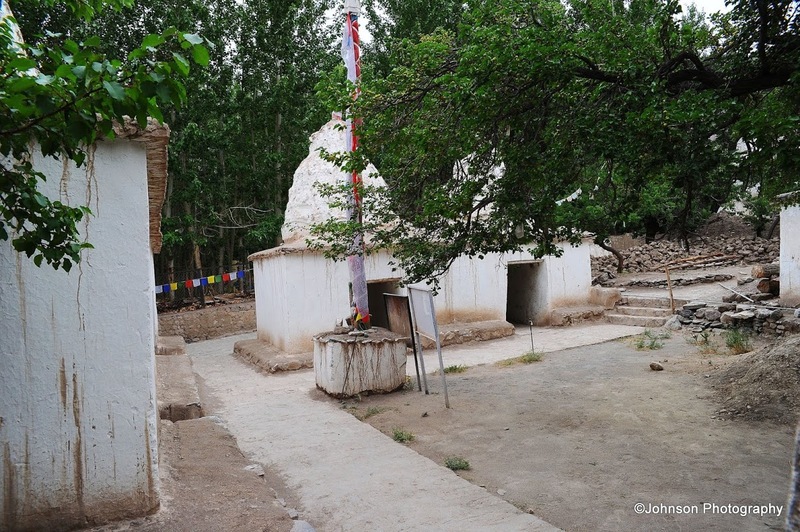 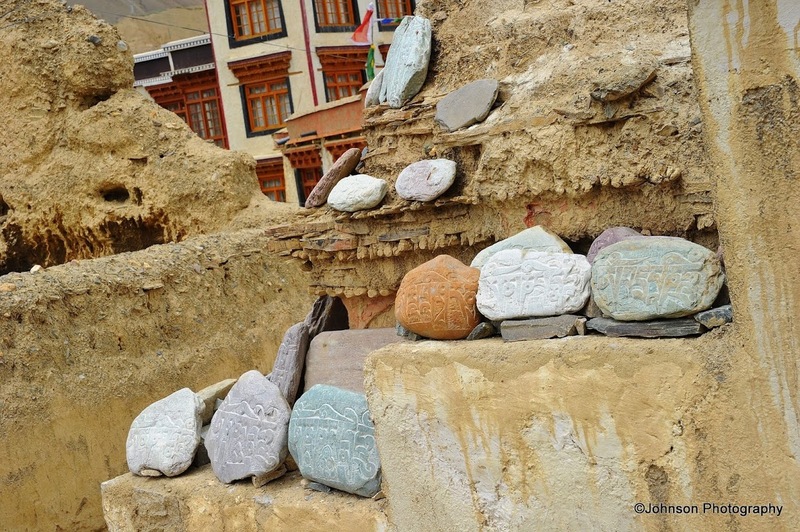 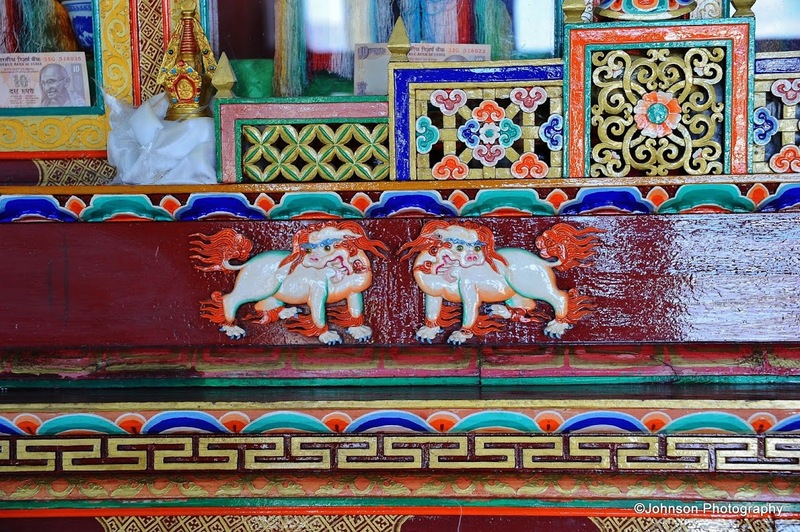 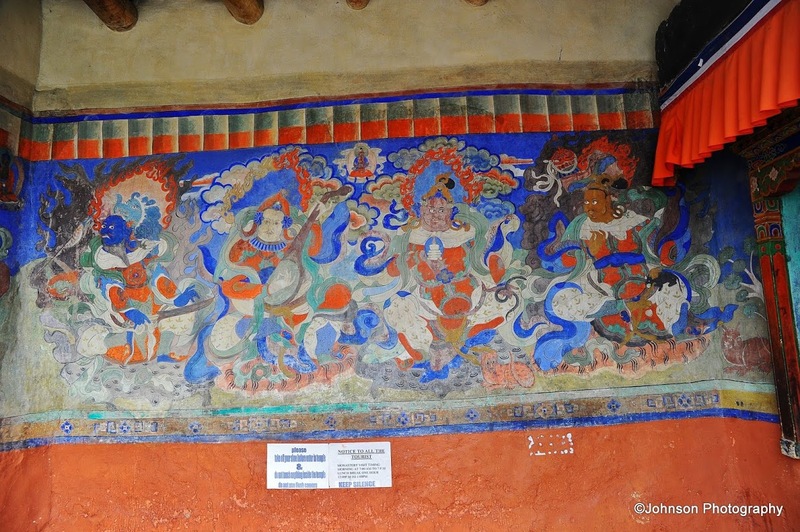 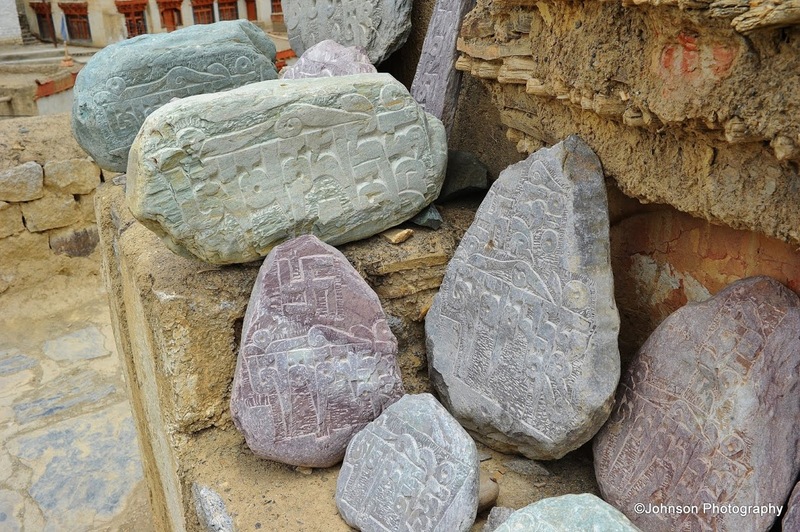 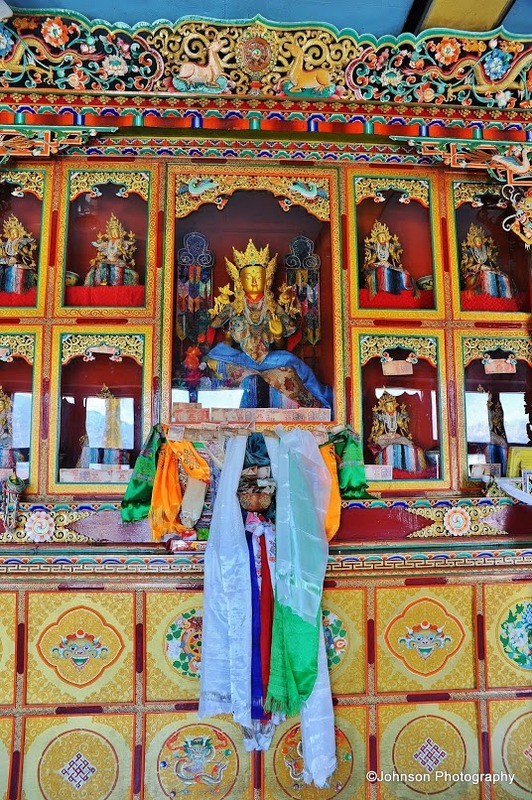 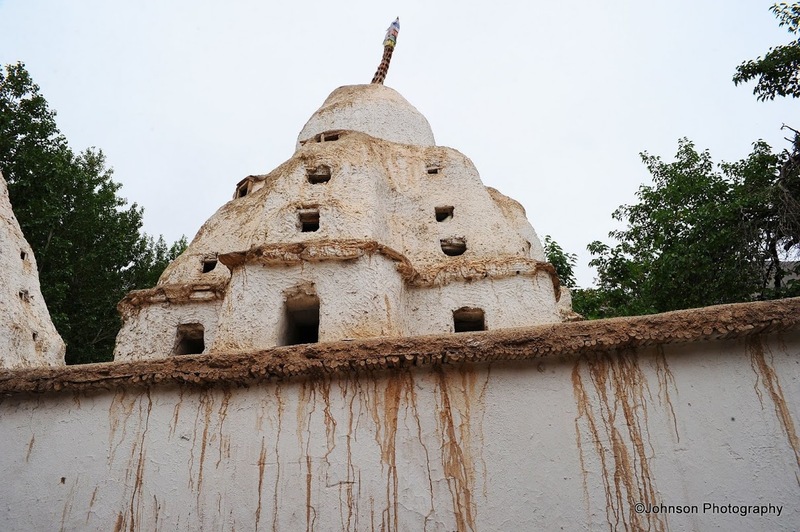 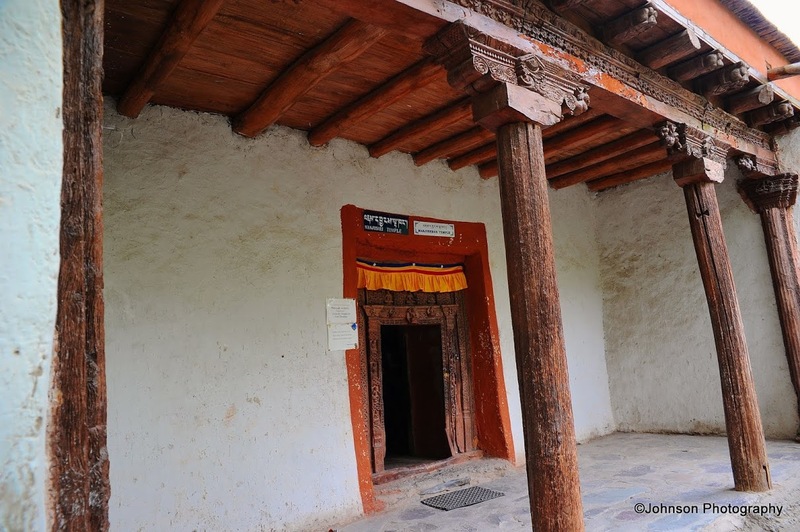 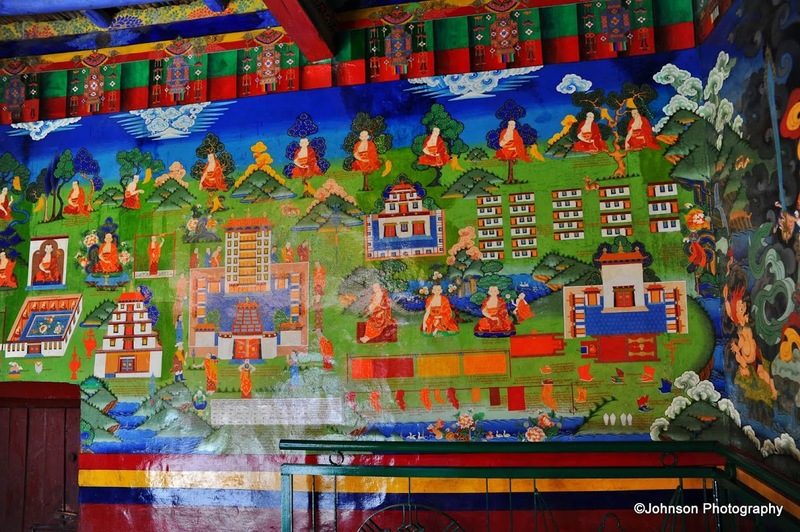 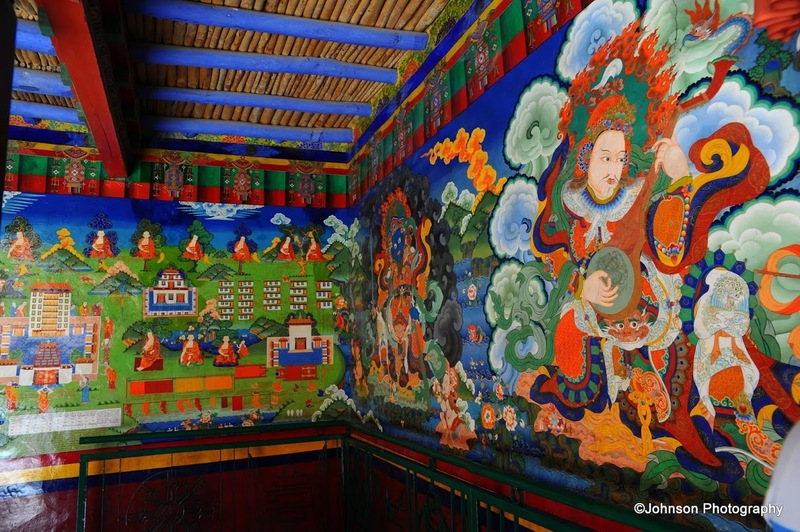 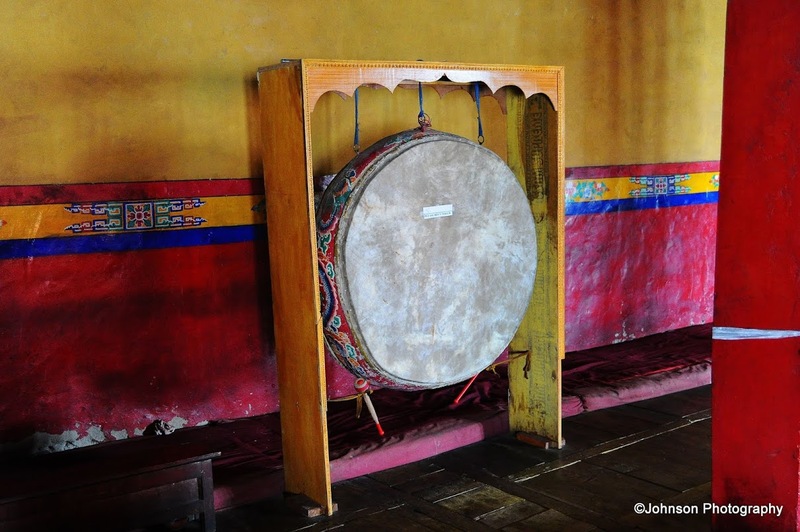 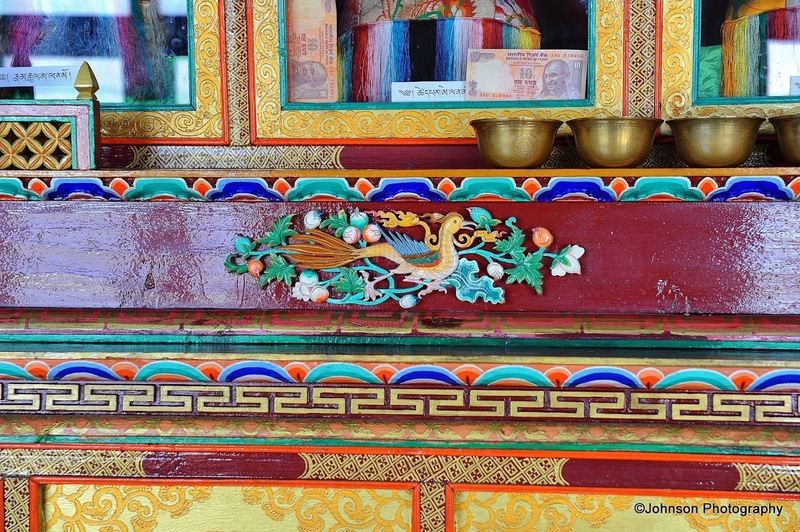 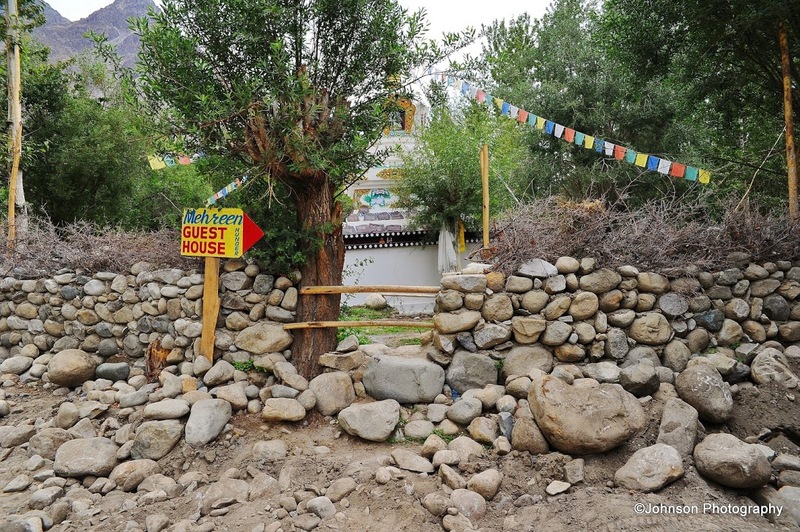 The oldest surviving building at Lamayuru is a temple called Seng-ge-sgang at the southern end of the Lamayuru rock which is attributed to the famous builder monk Rinchen Zangpo (958-1055 AD). 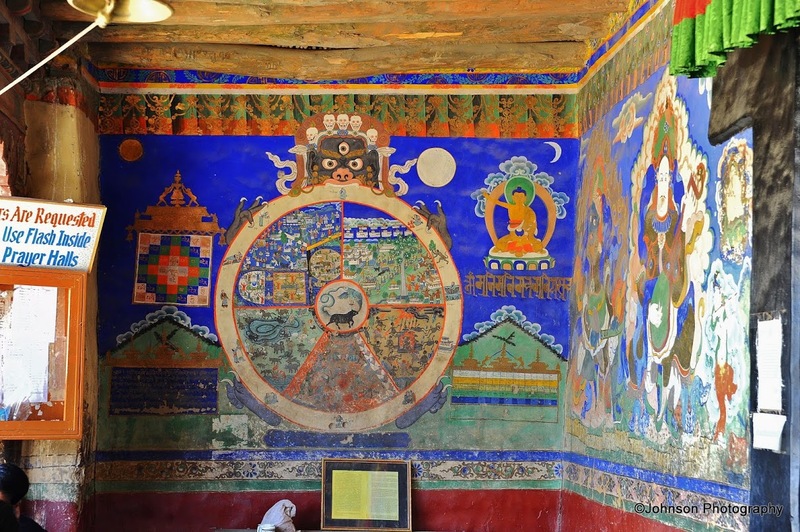 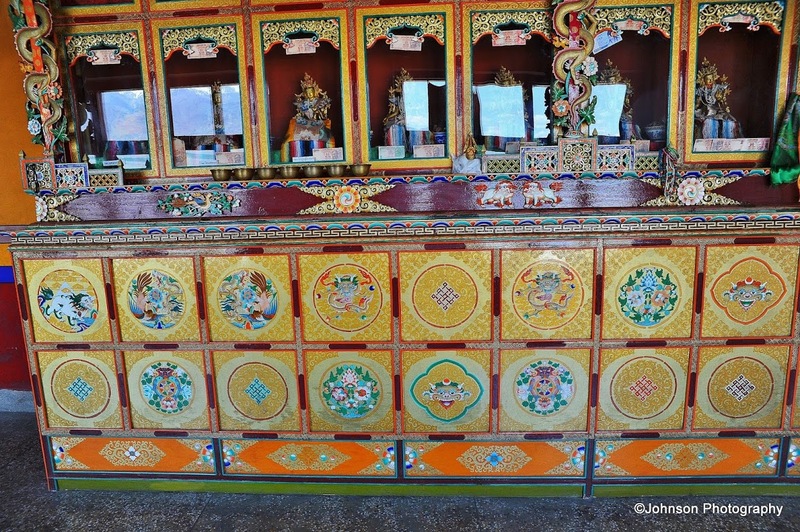 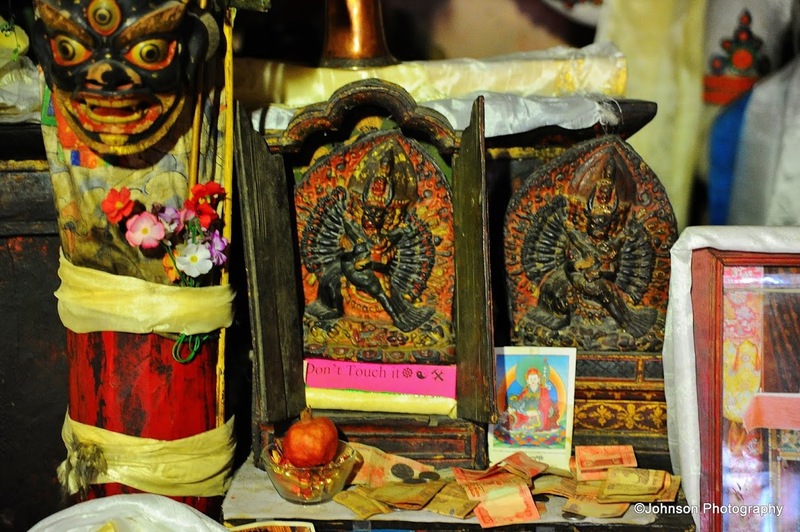 This monastery is home to more than 150 monks and houses a rich collection of artifacts, wall paintings, thangas, statues etc. 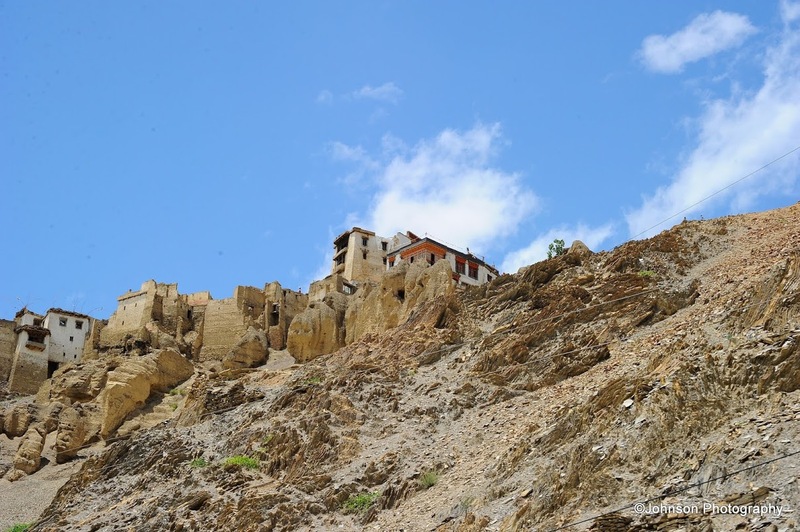 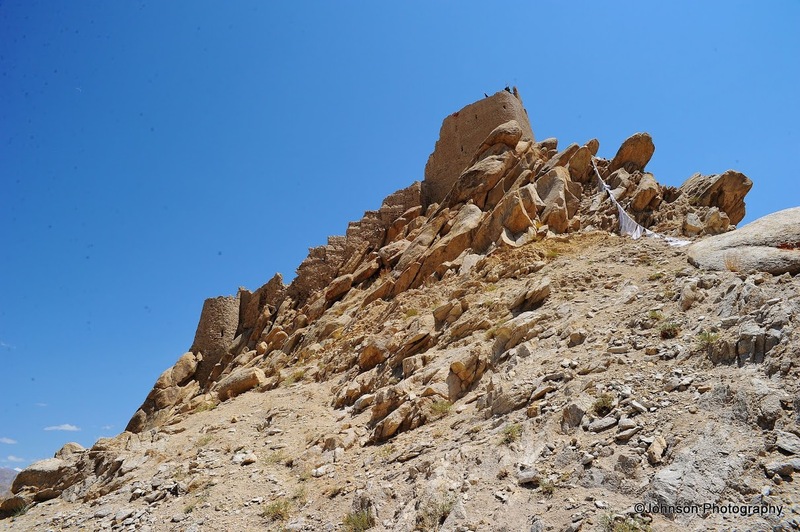 The monastery attracts tourists for its beautiful moon like landscapes and remote location.